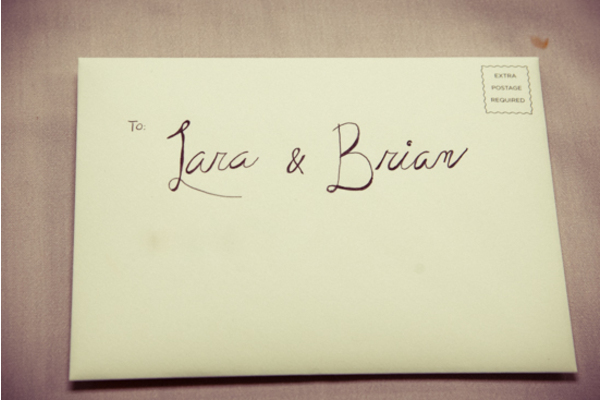 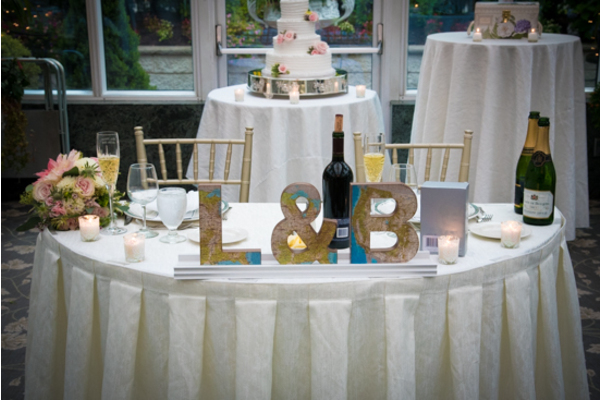 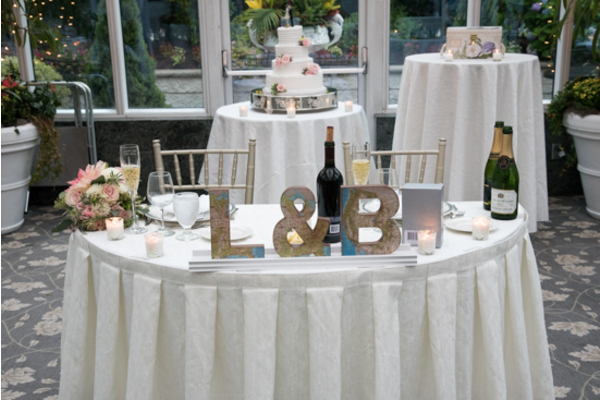 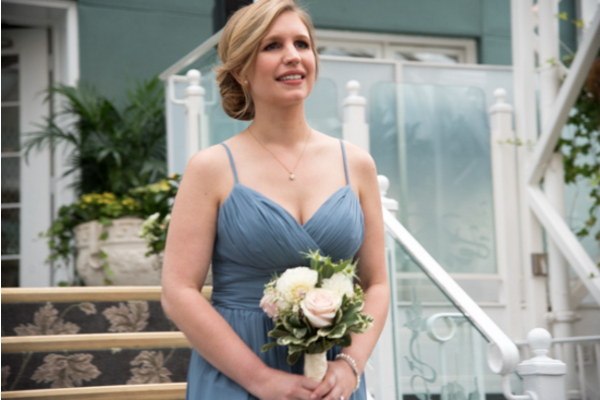 Congratulations to Lara and Brian on their recent marriage! 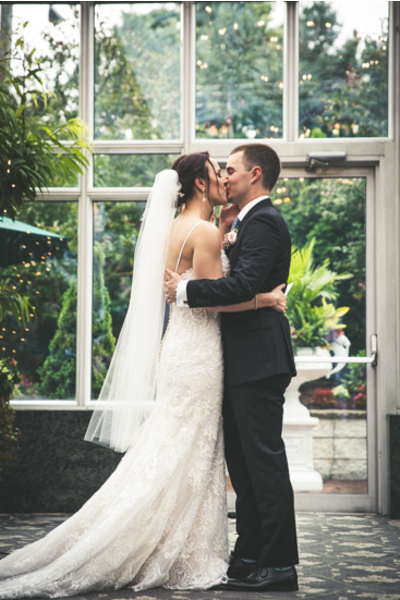 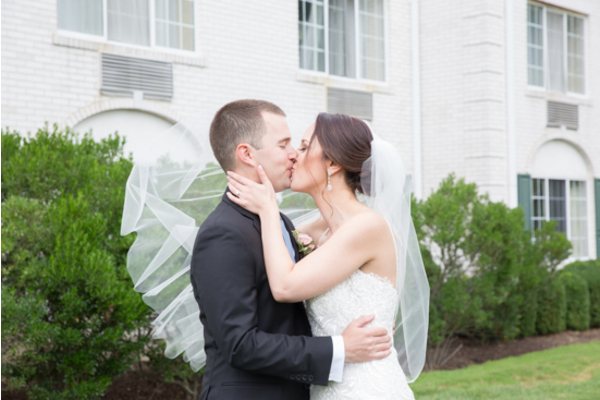 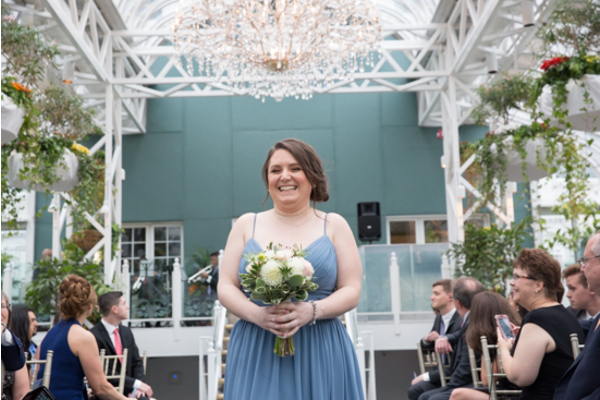 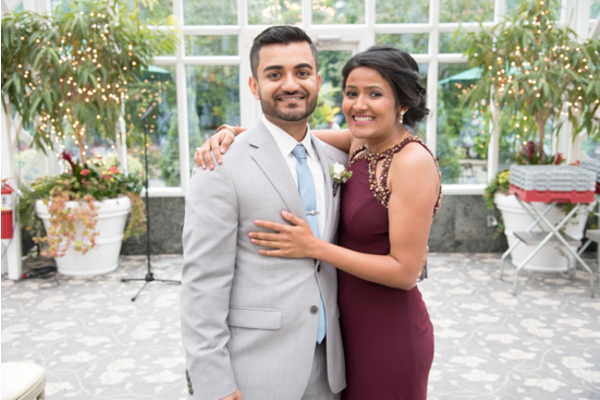 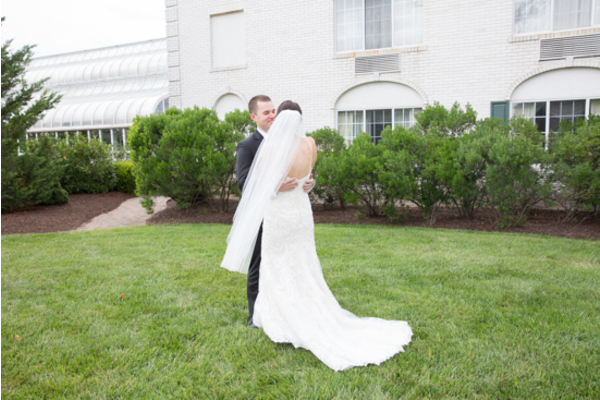 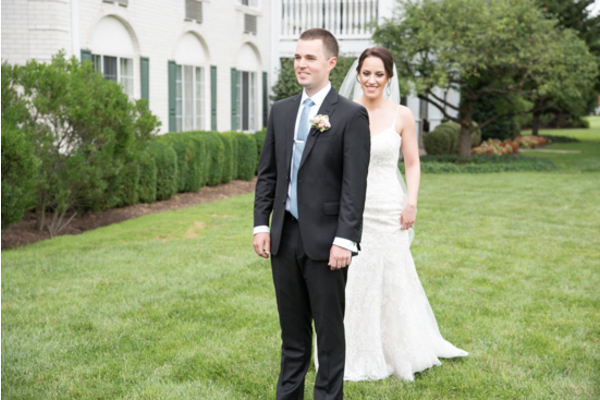 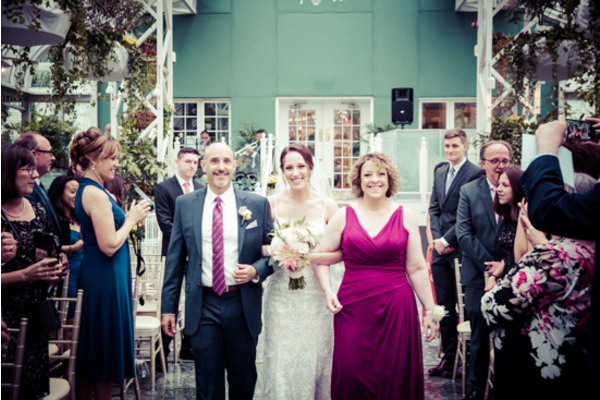 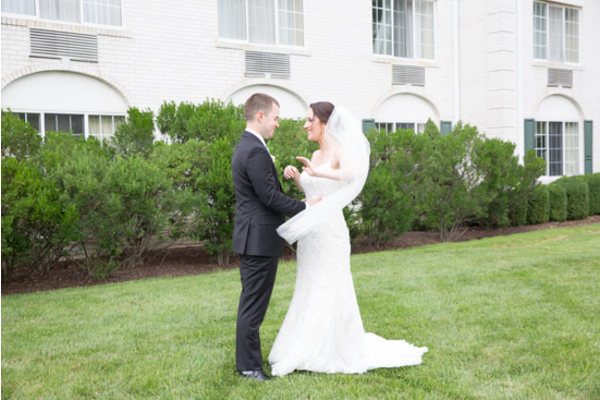 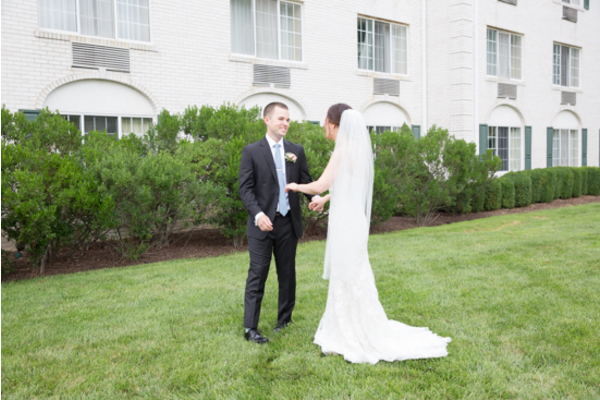 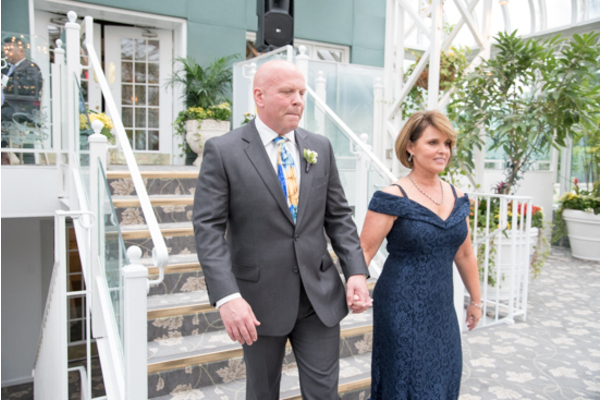 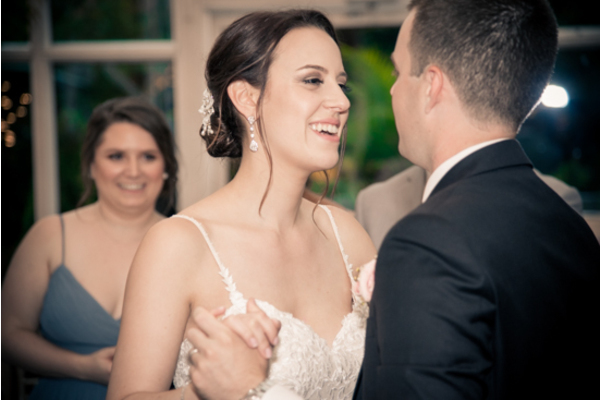 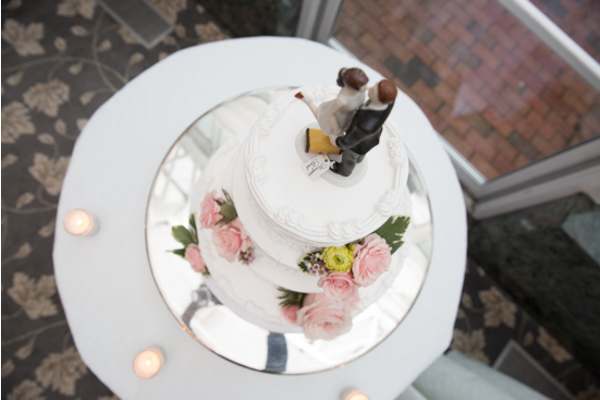 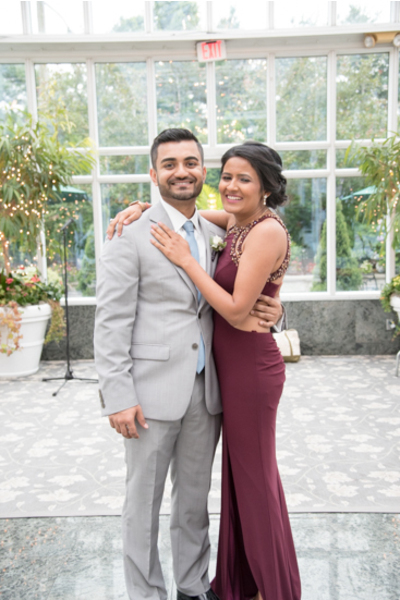 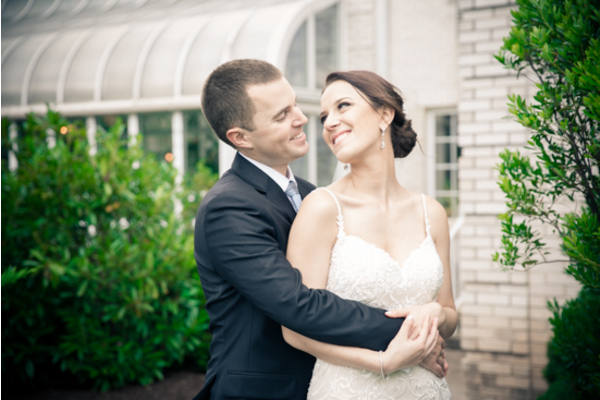 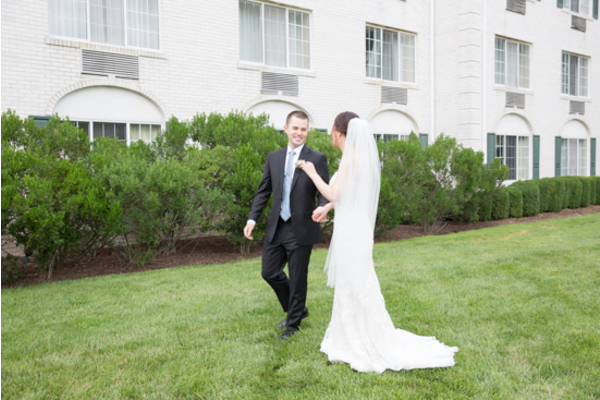 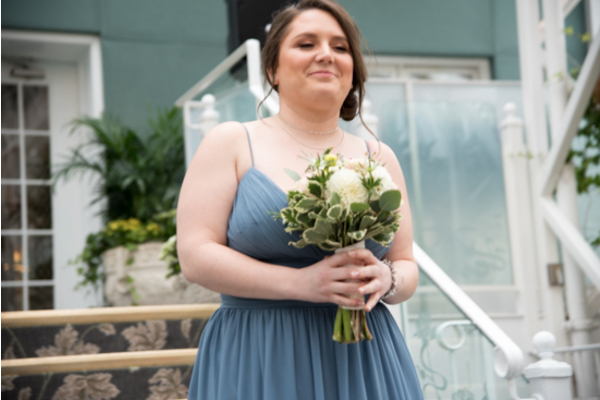 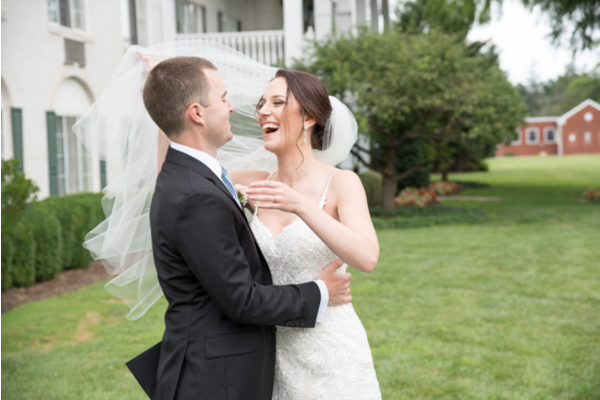 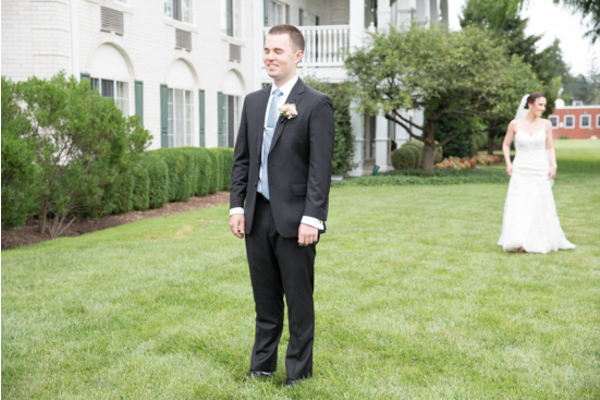 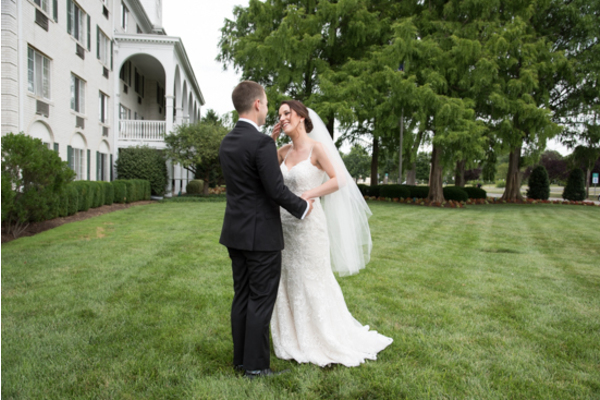 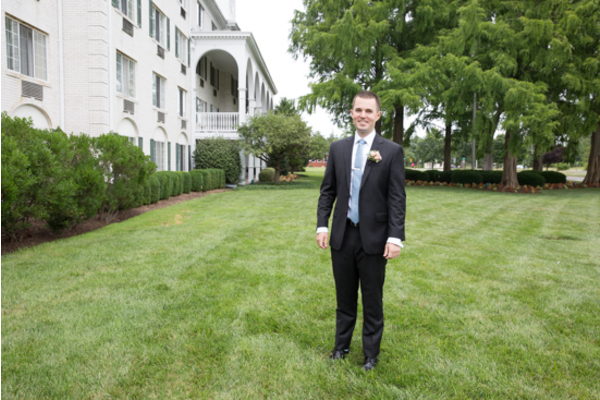 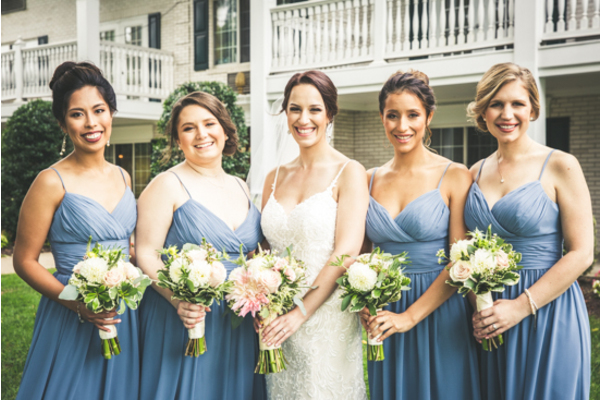 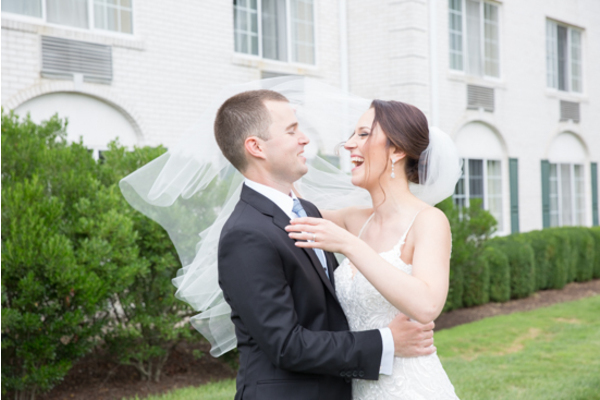 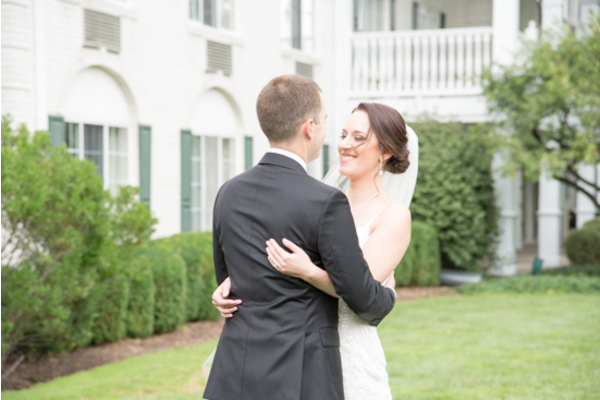 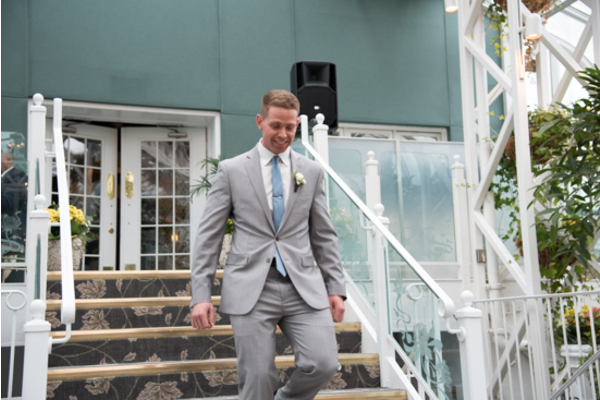 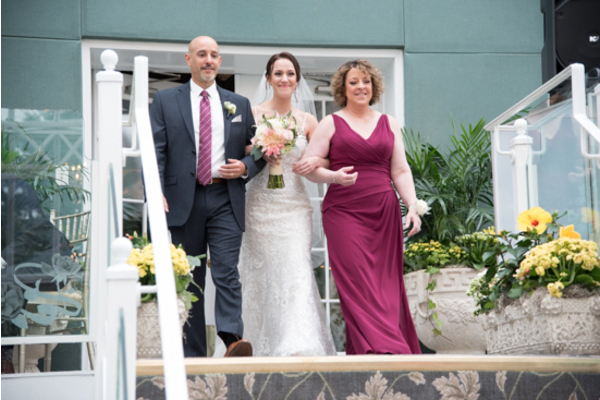 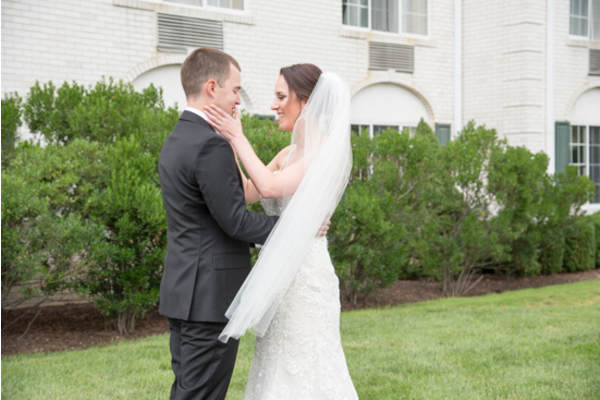 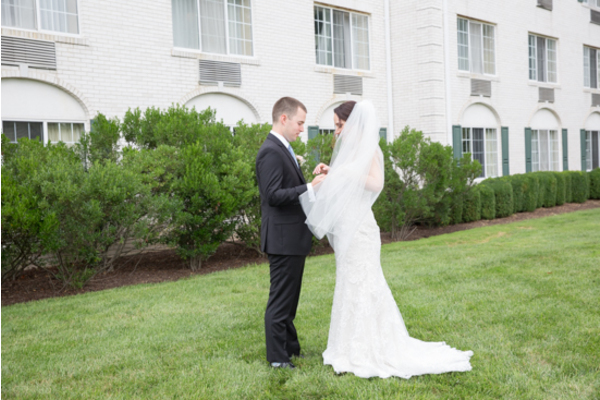 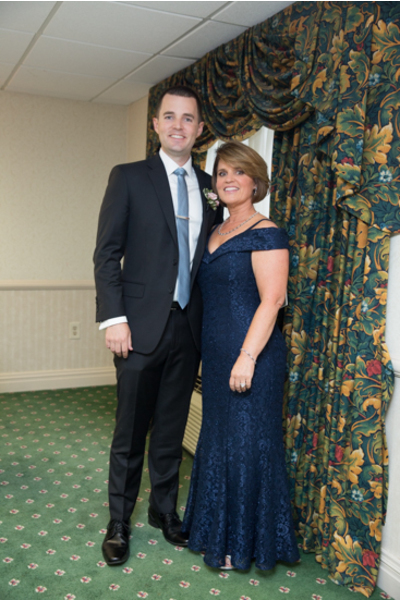 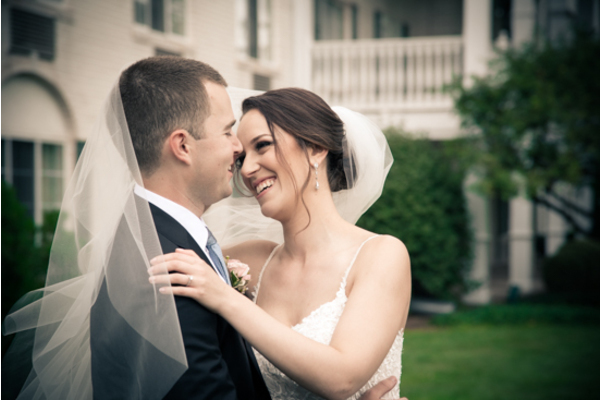 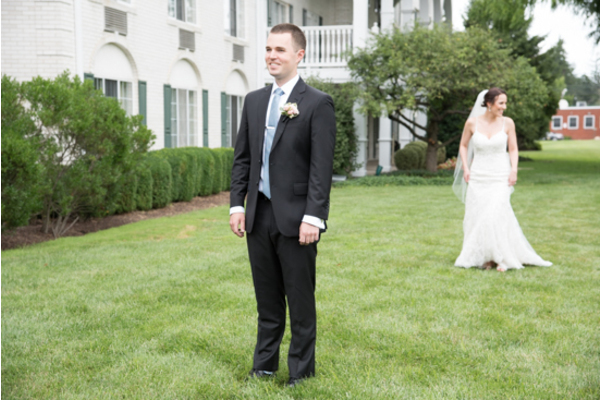 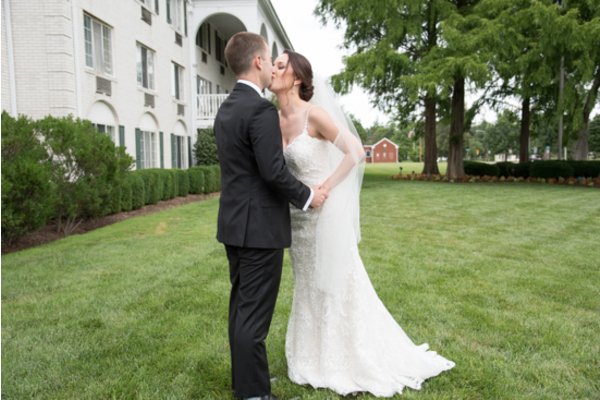 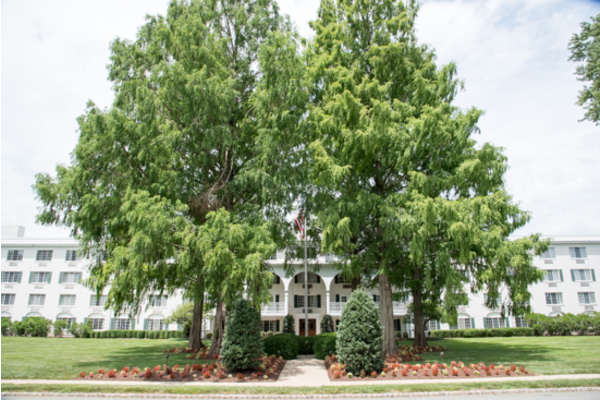 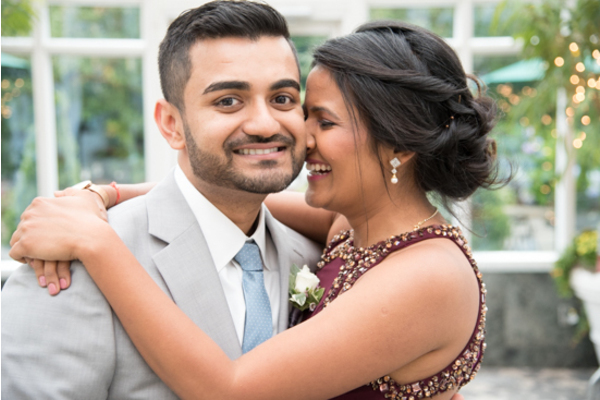 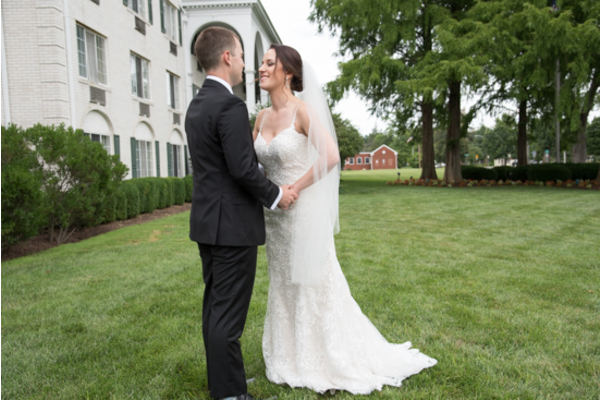 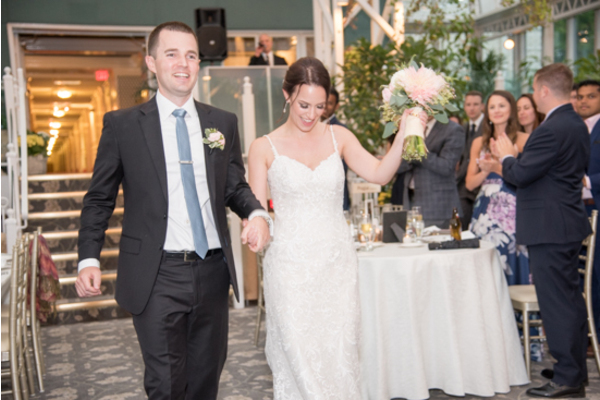 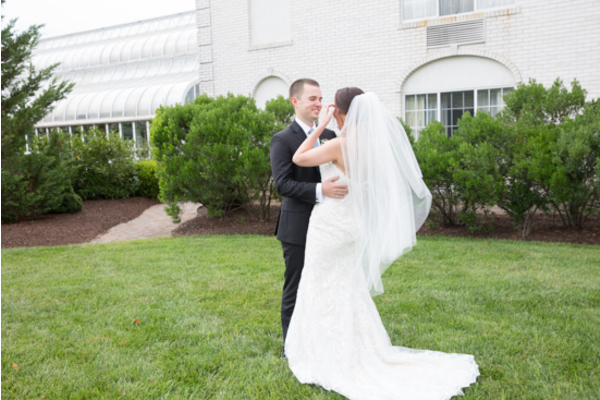 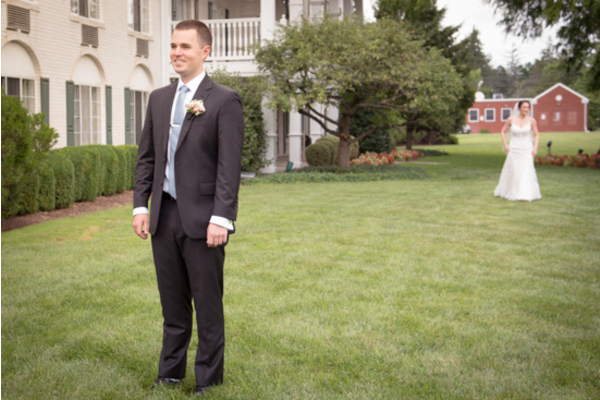 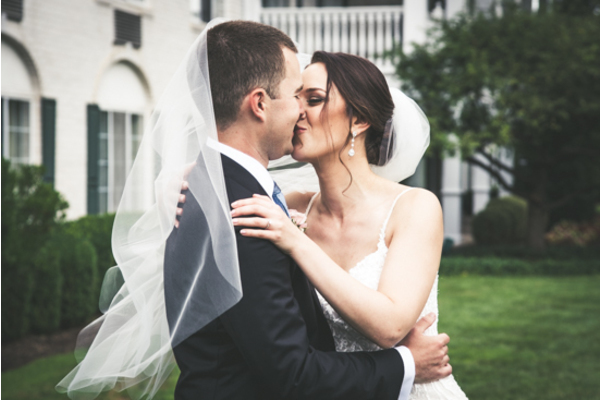 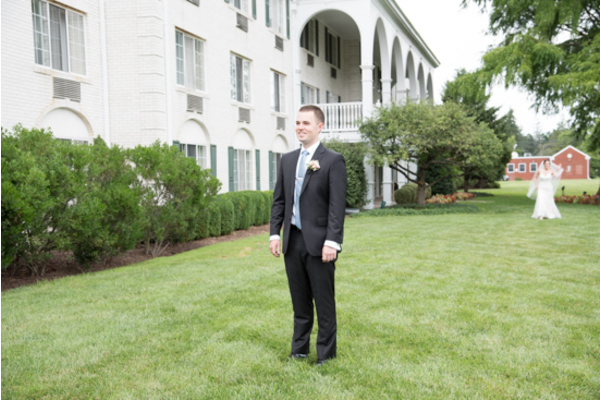 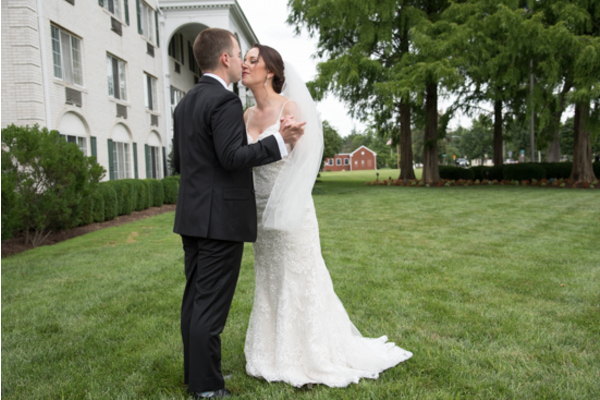 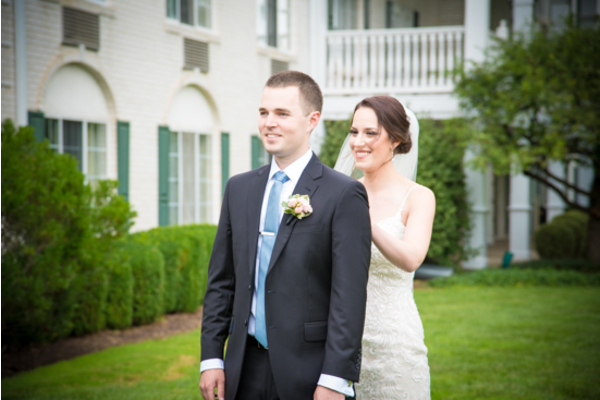 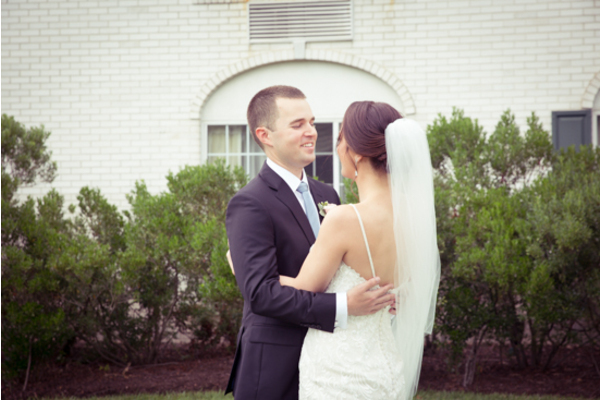 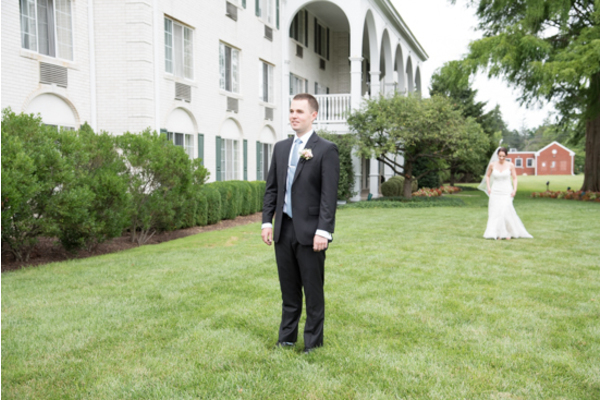 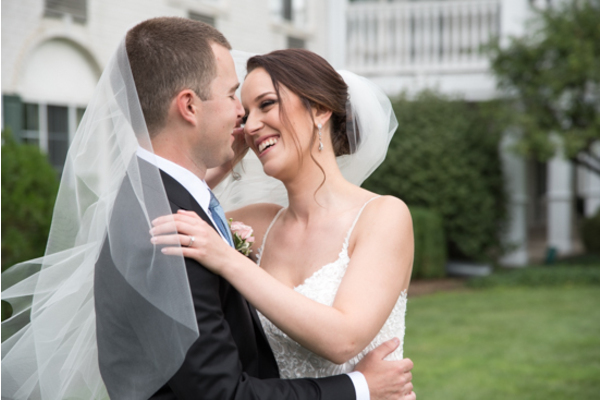 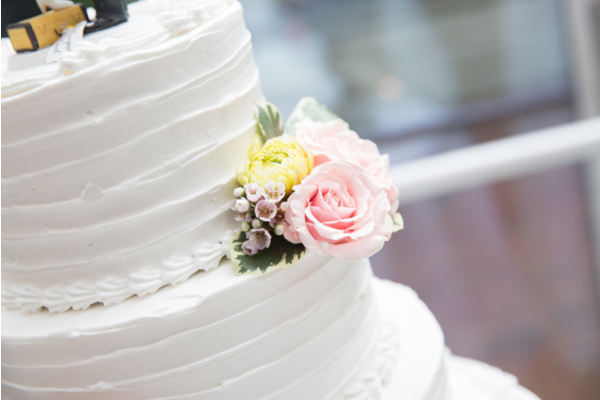 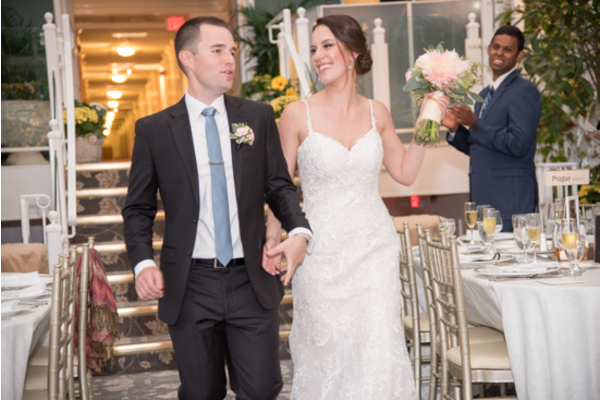 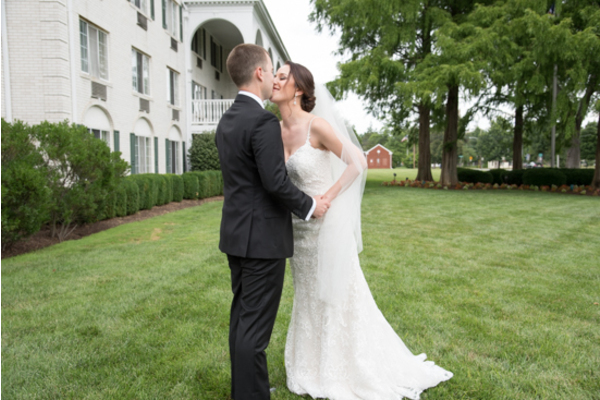 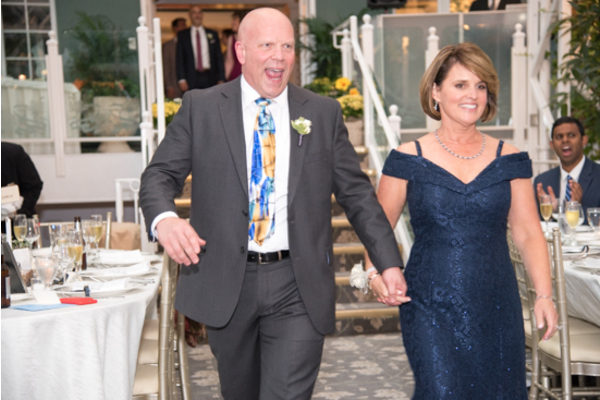 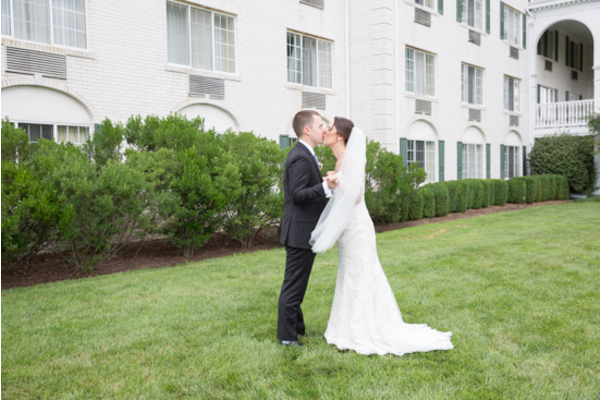 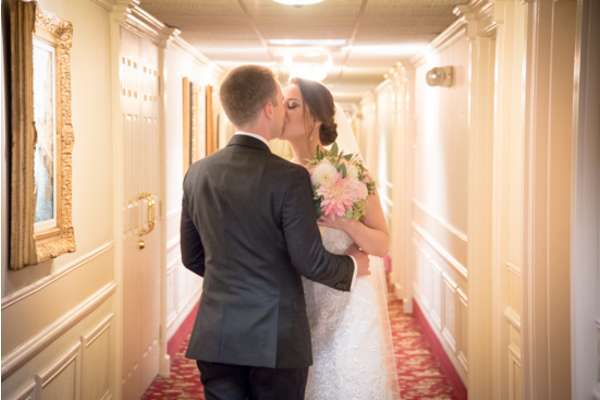 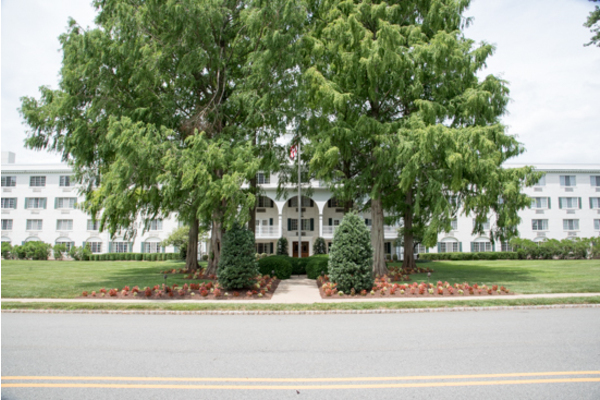 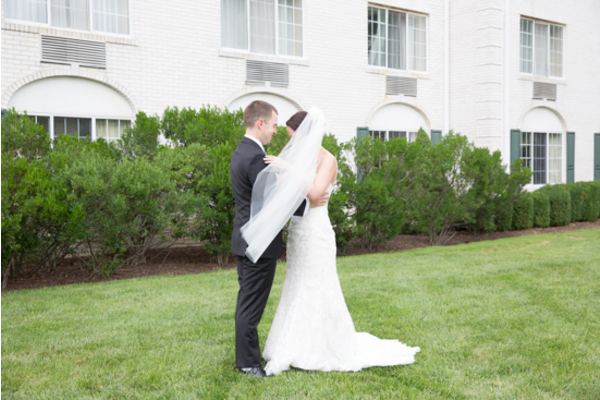 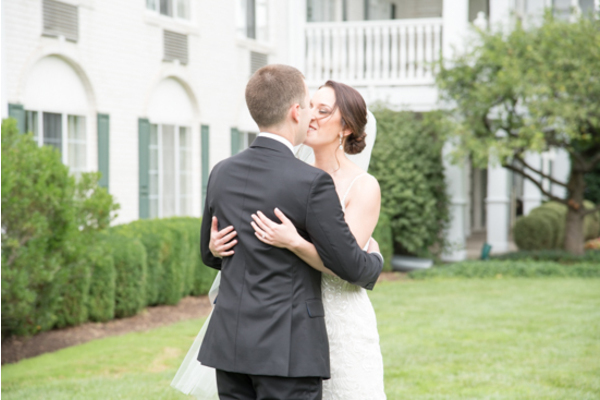 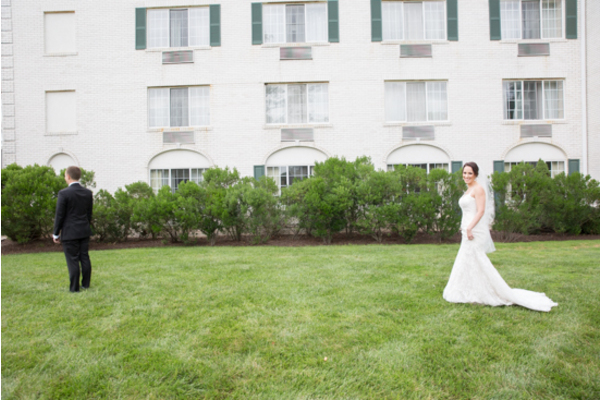 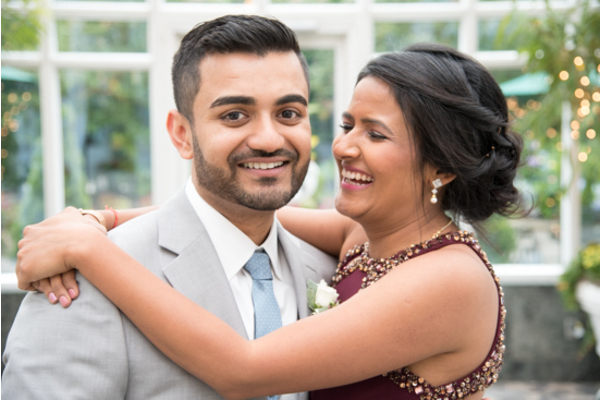 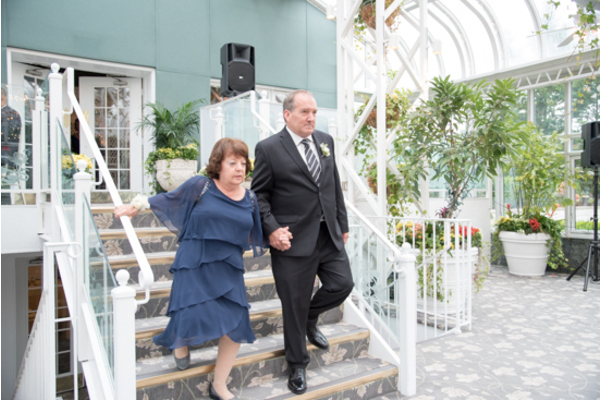 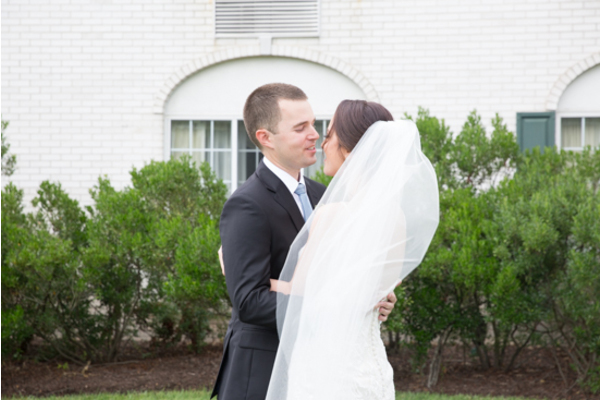 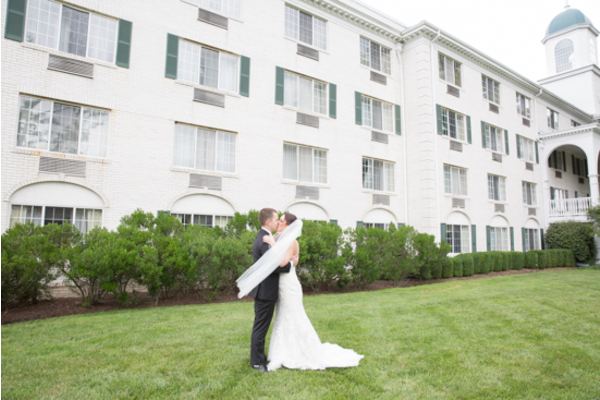 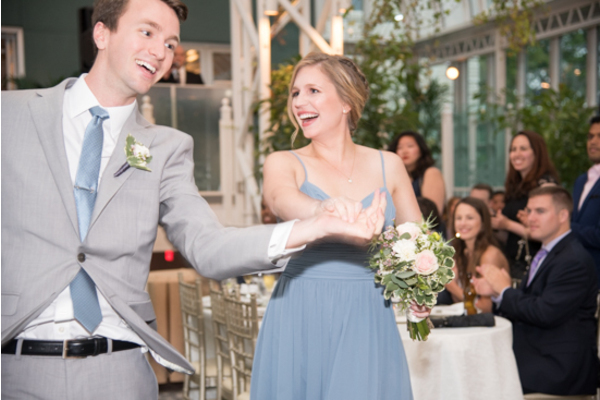 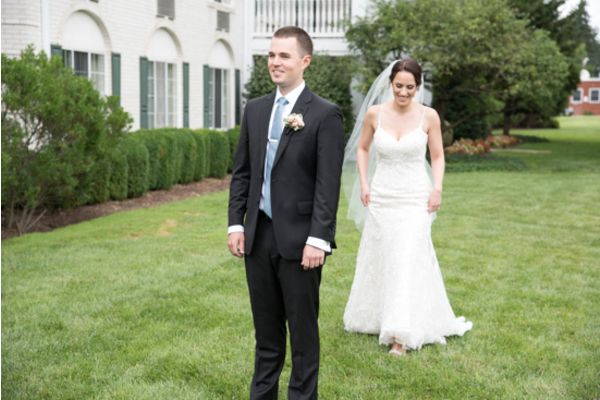 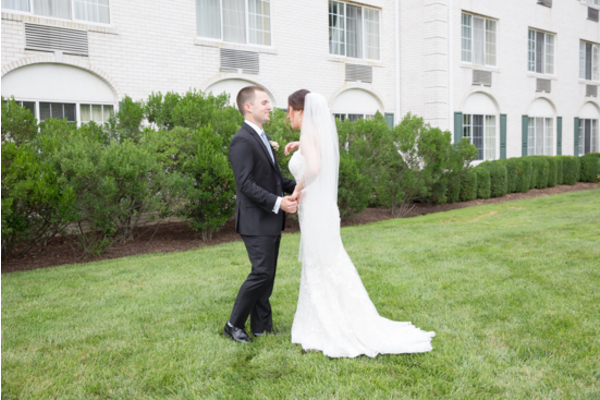 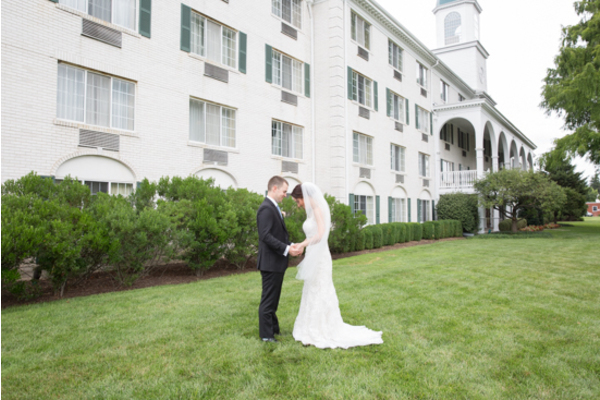 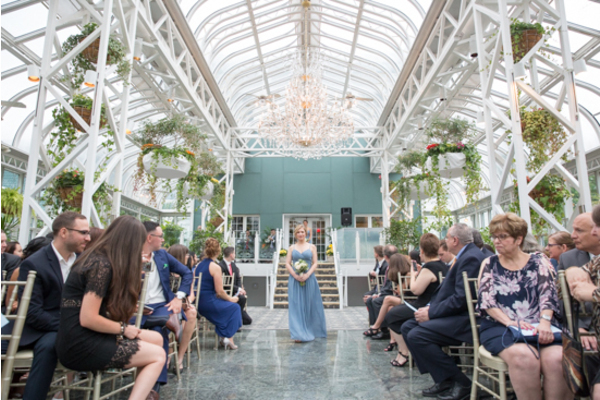 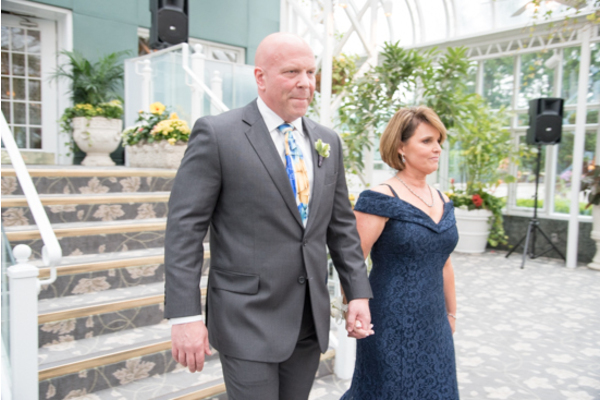 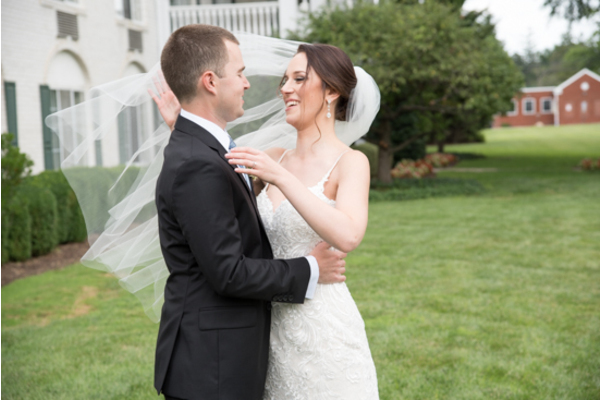 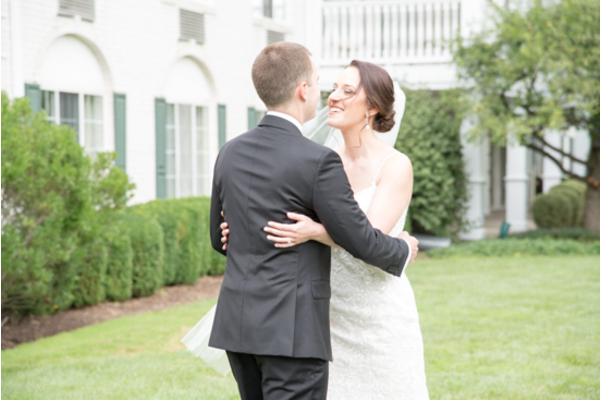 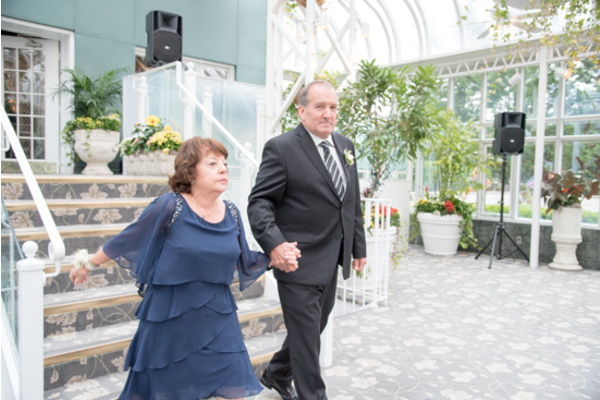 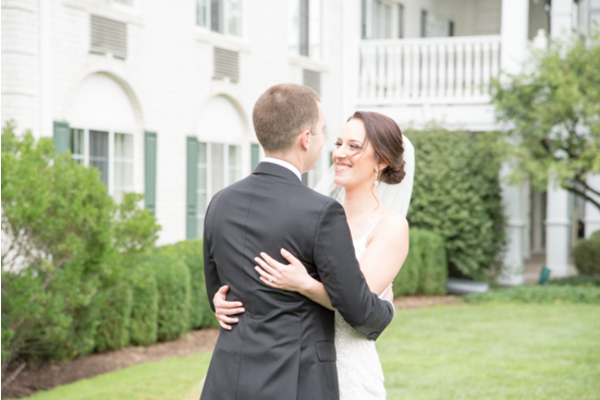 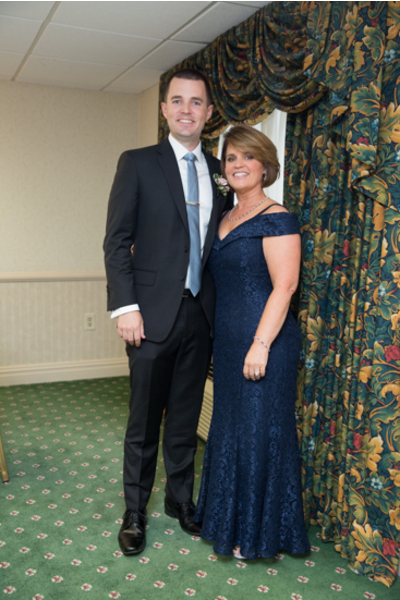 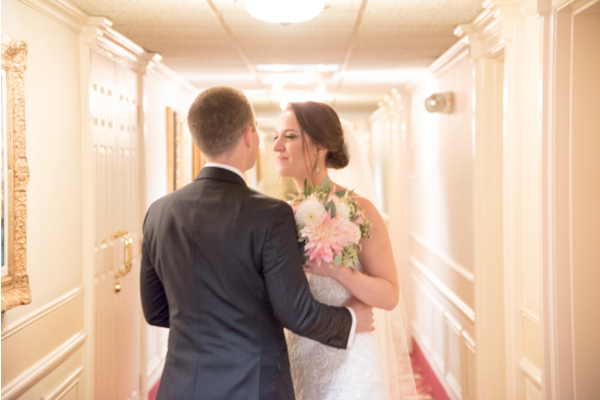 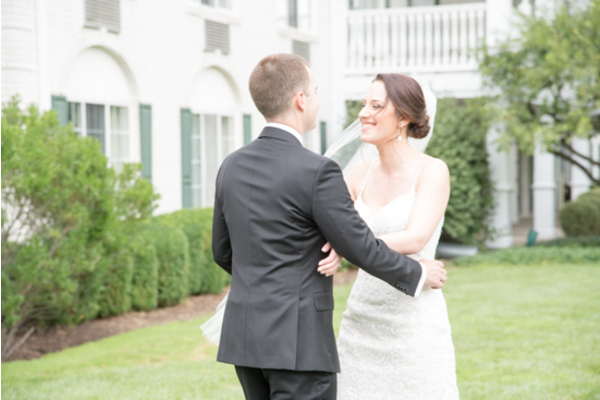 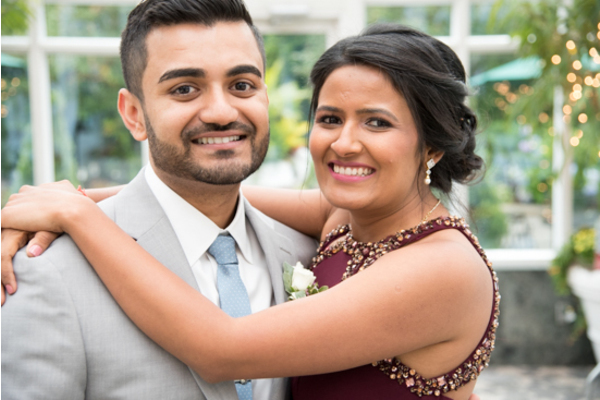 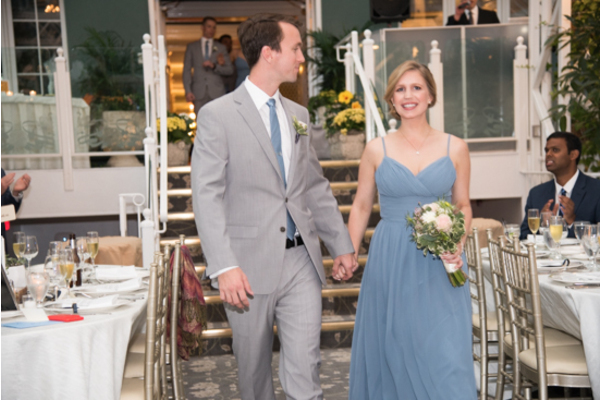 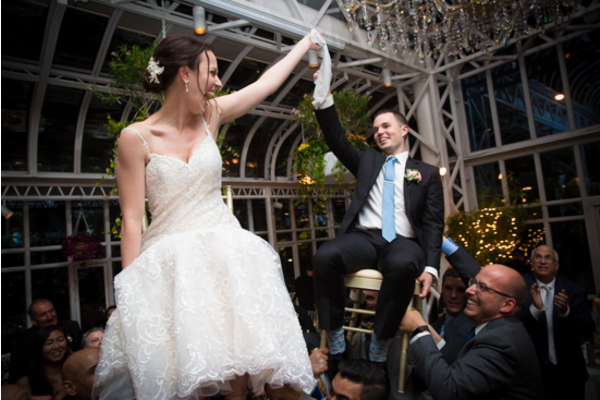 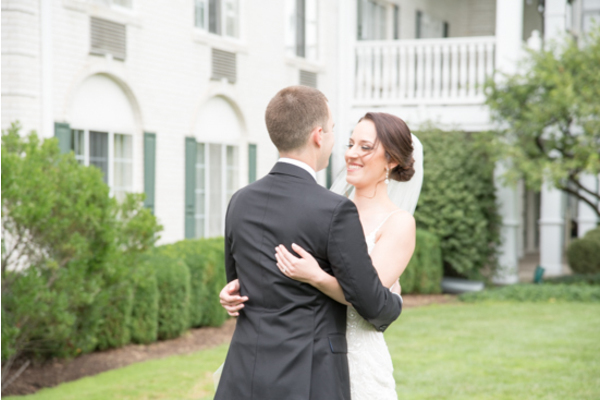 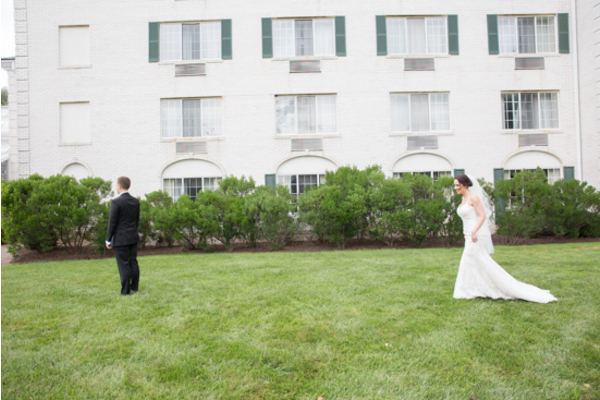 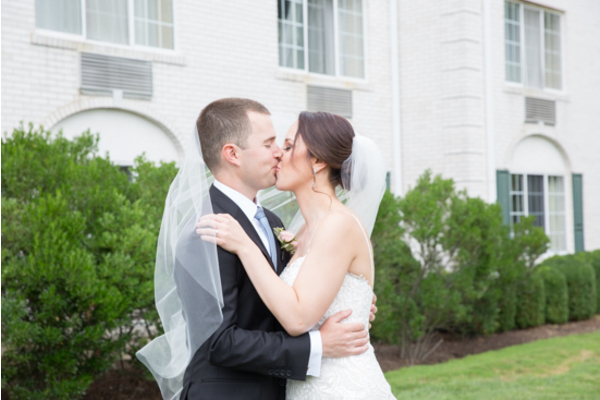 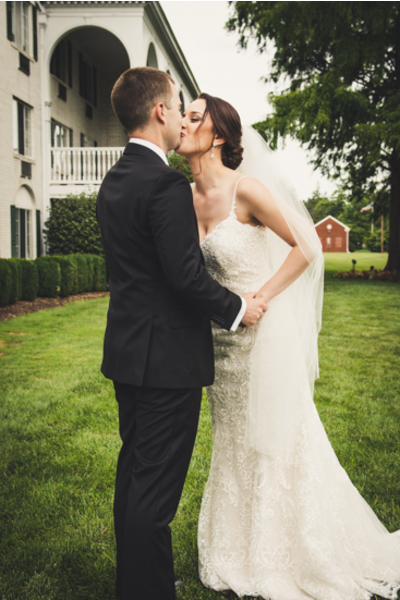 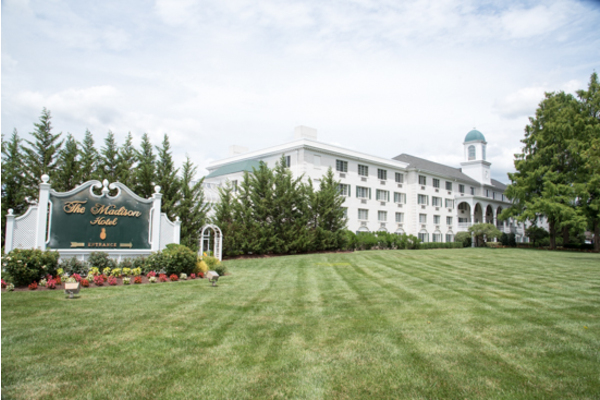 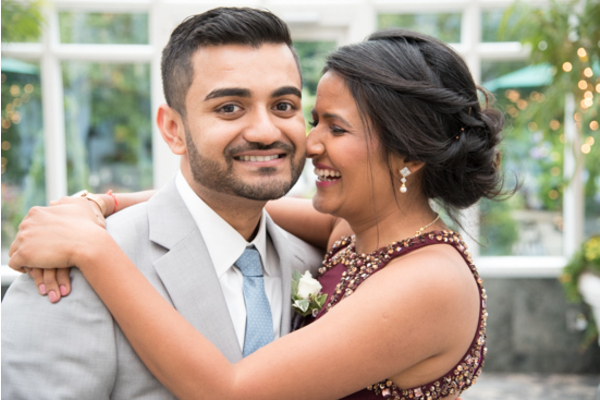 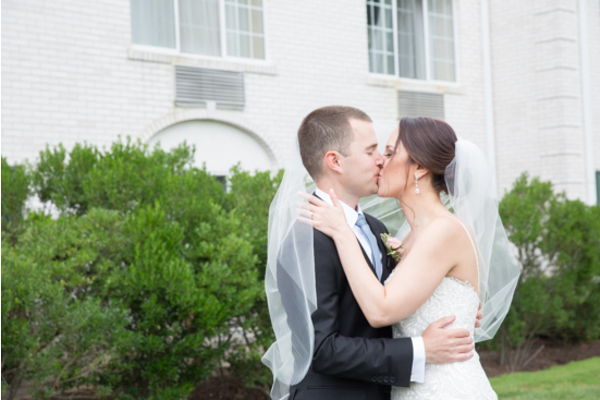 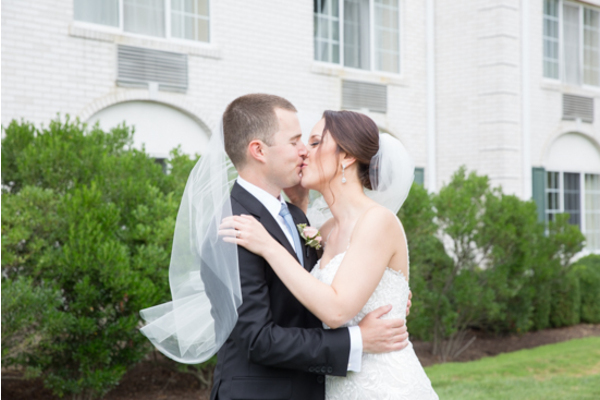 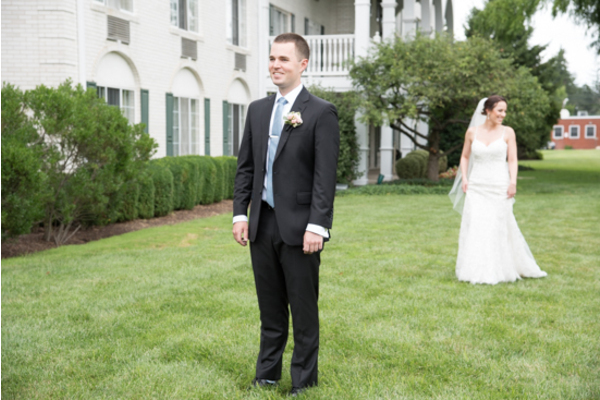 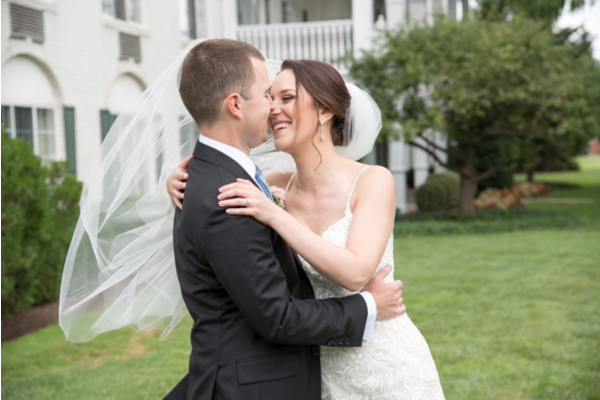 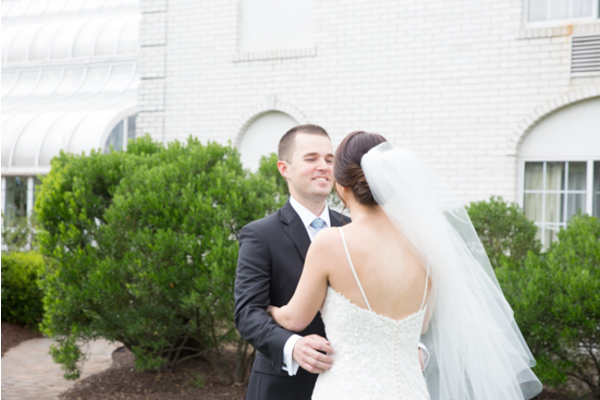 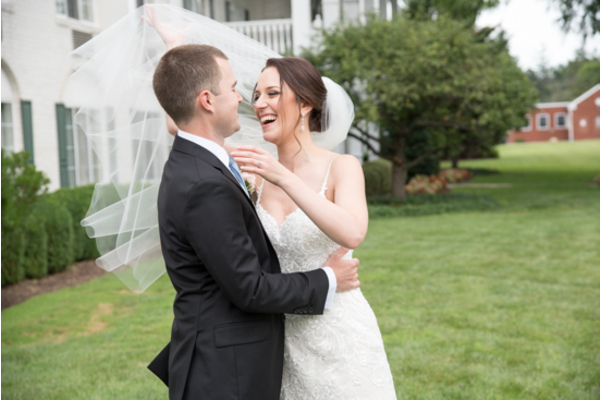 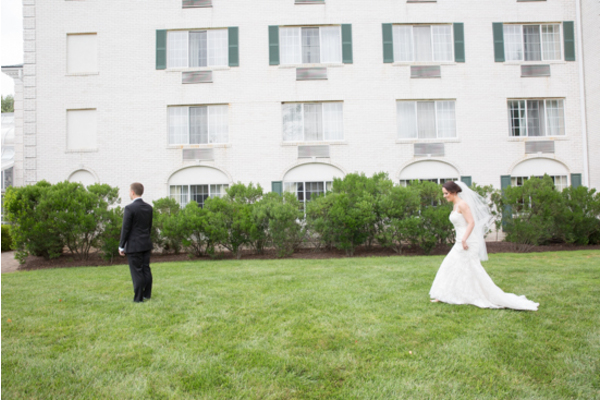 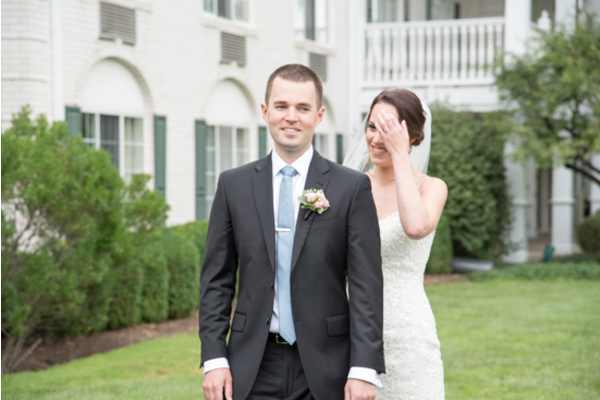 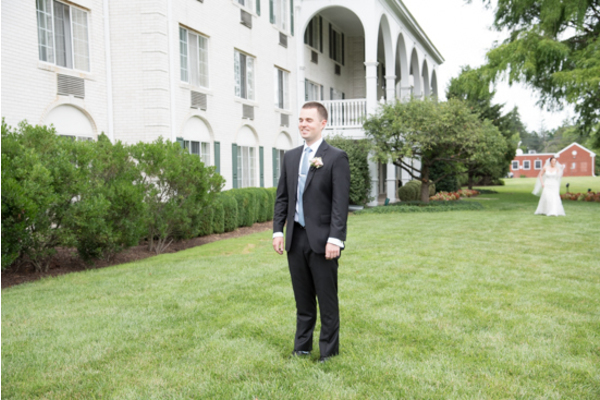 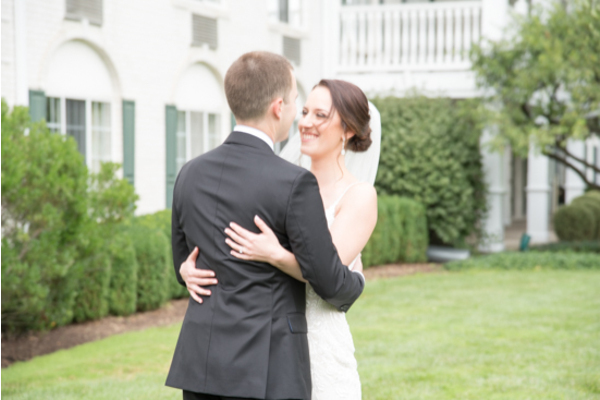 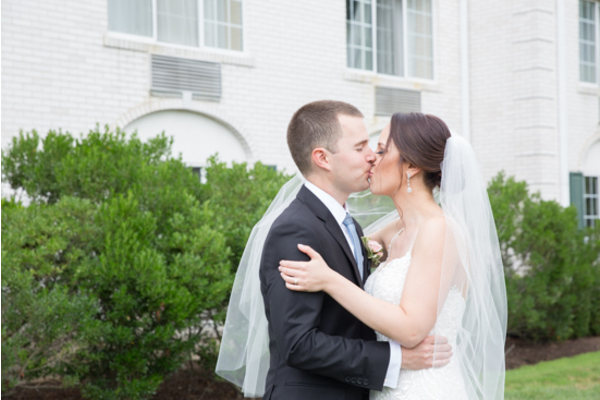 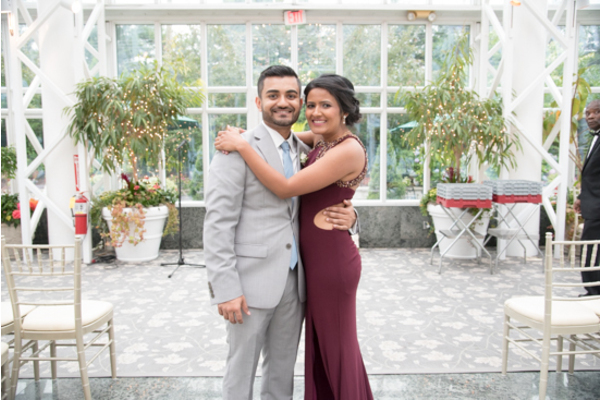 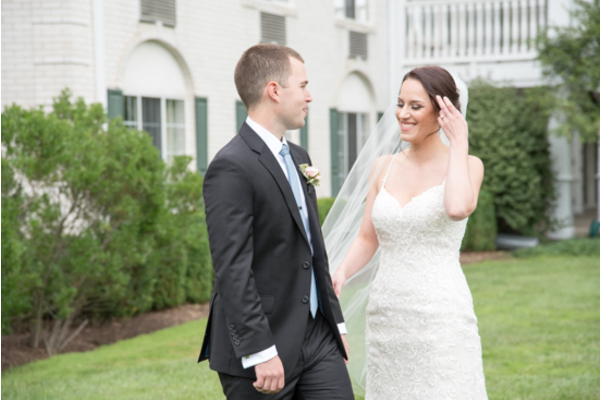 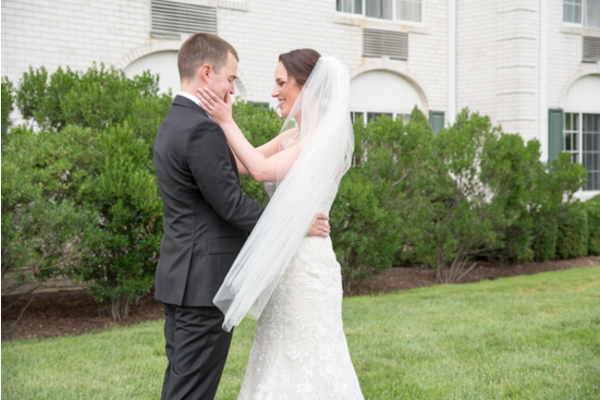 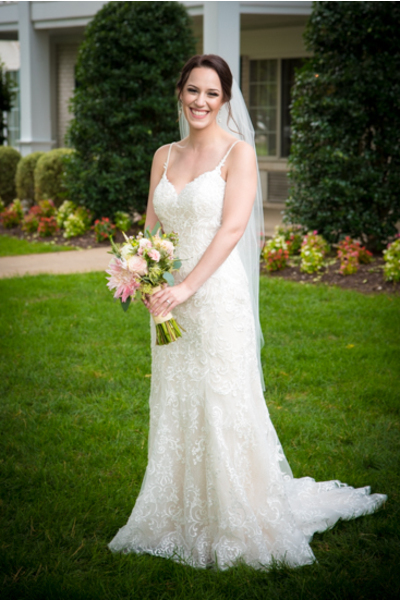 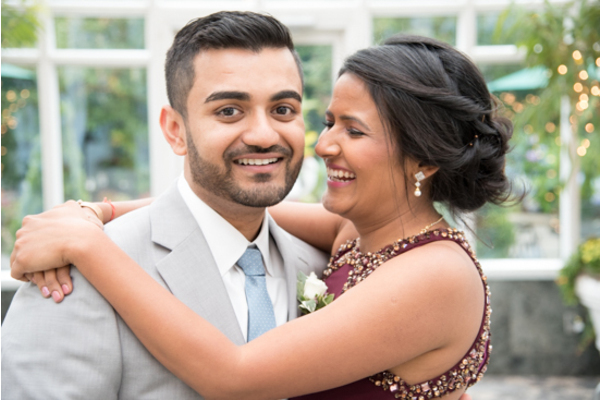 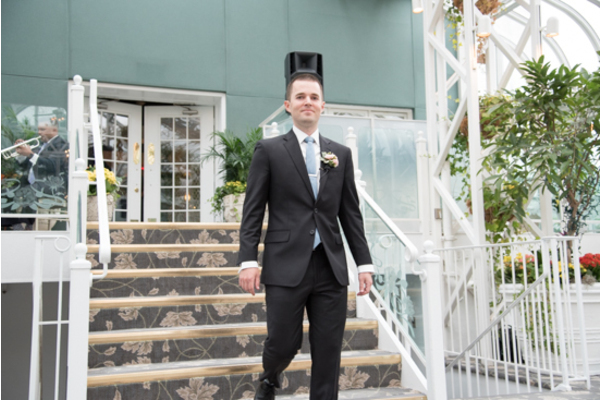 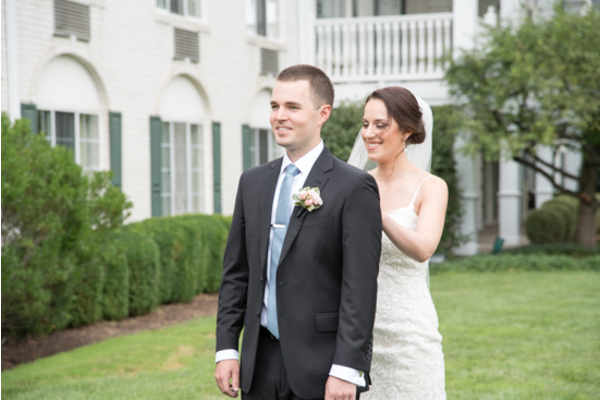 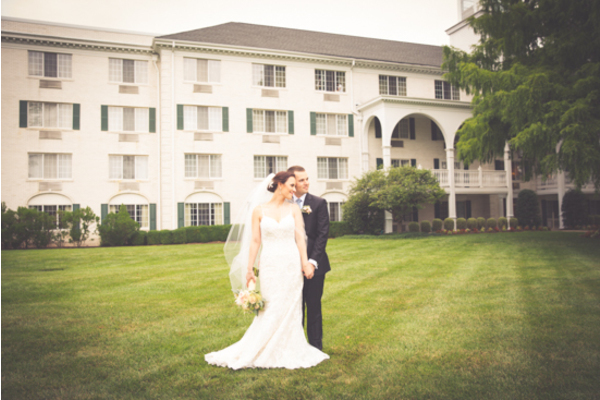 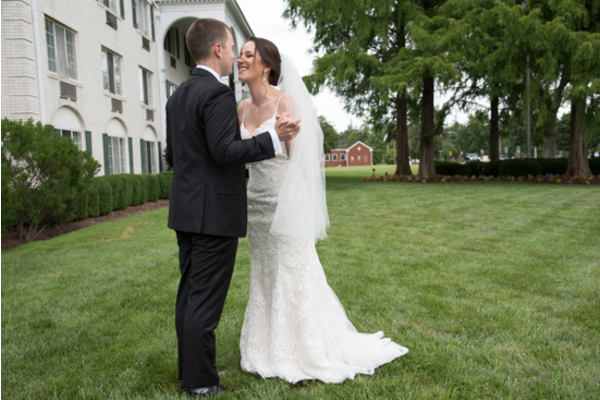 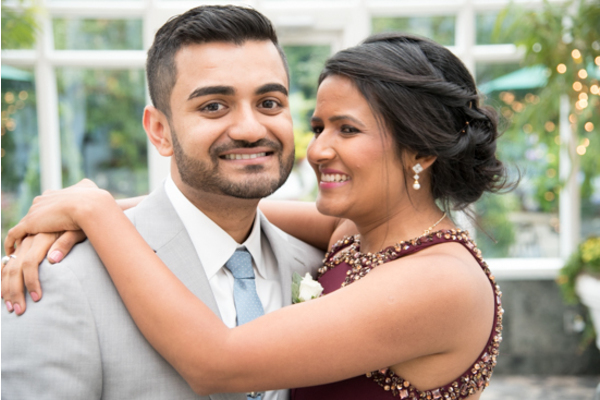 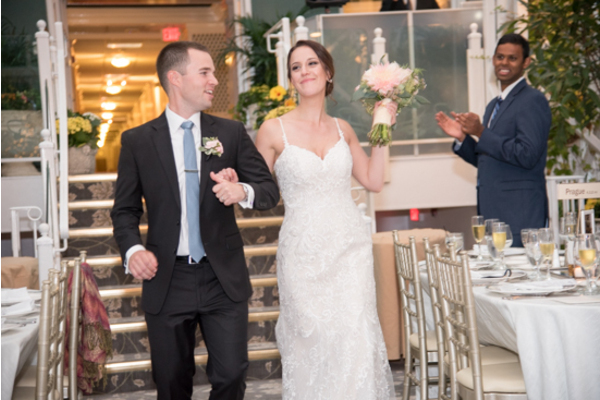 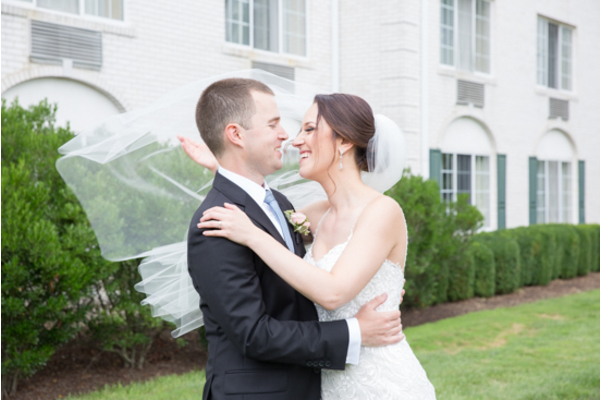 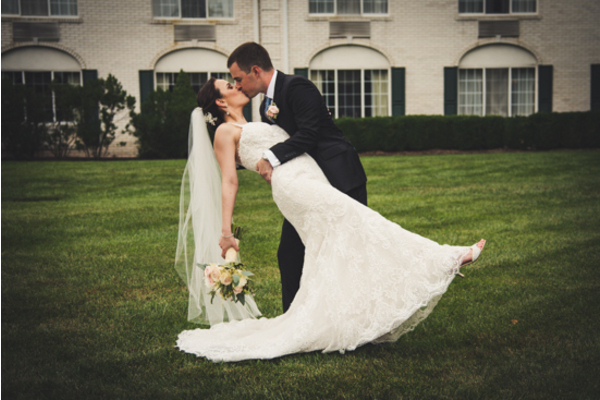 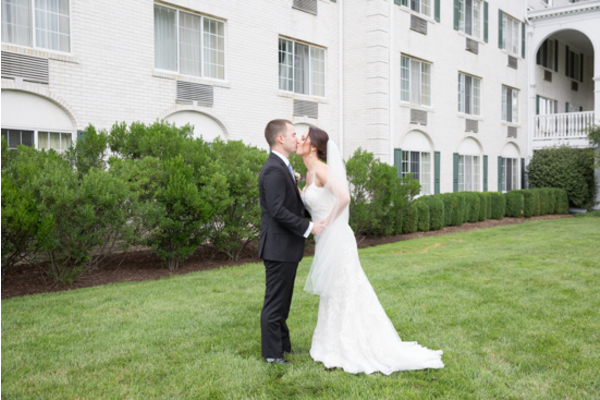 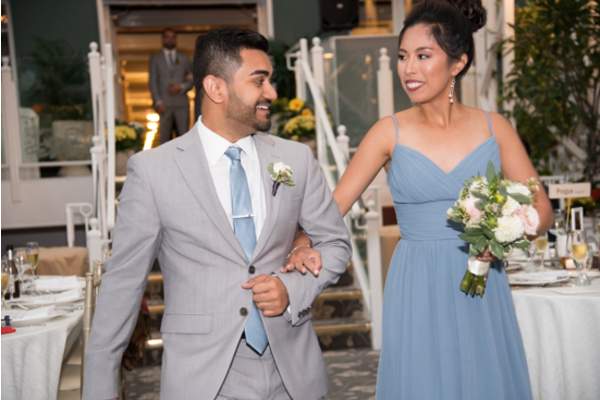 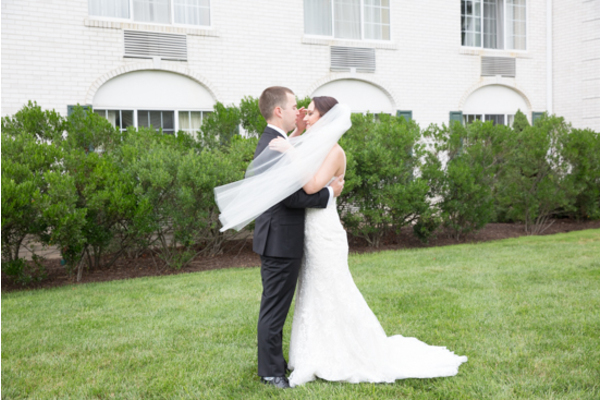 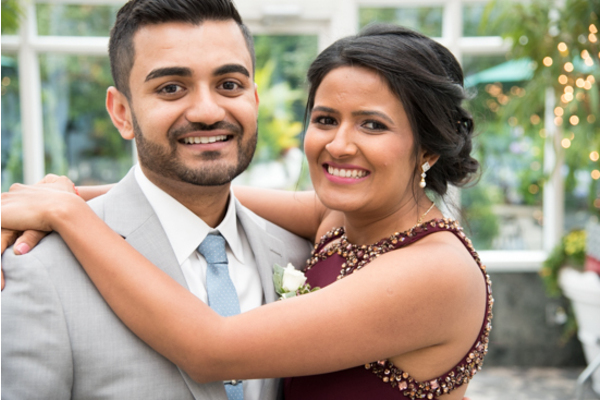 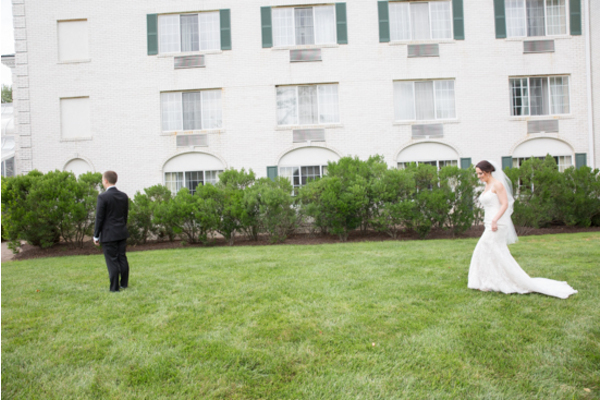 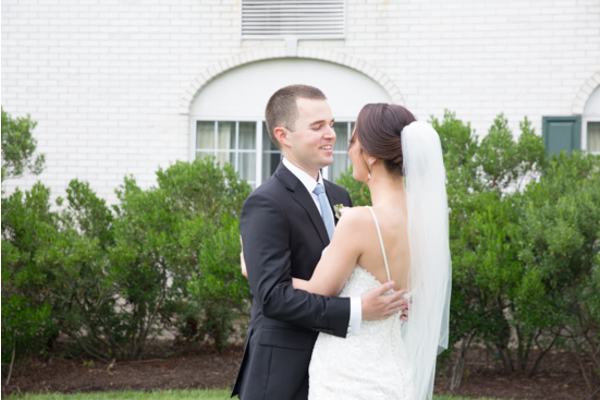 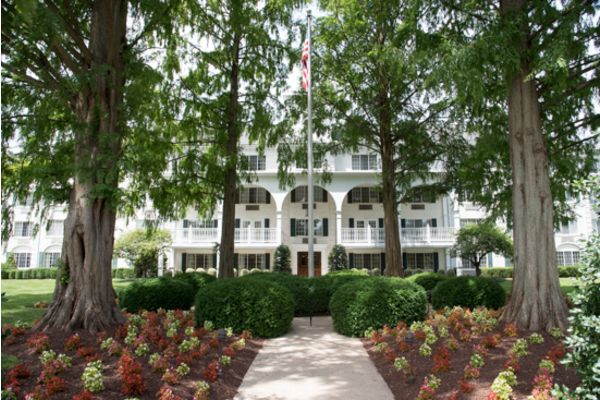 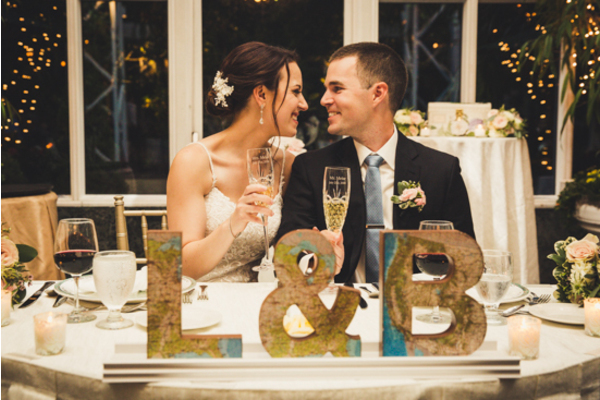 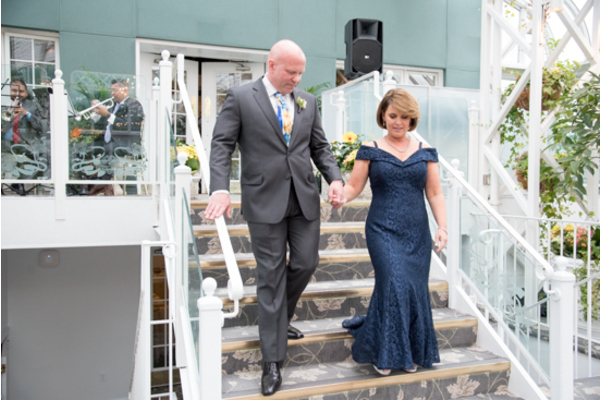 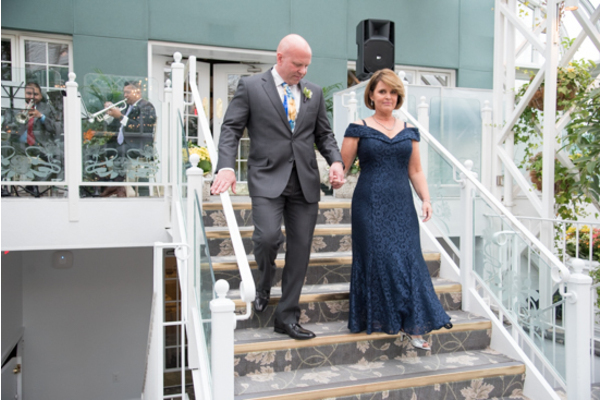 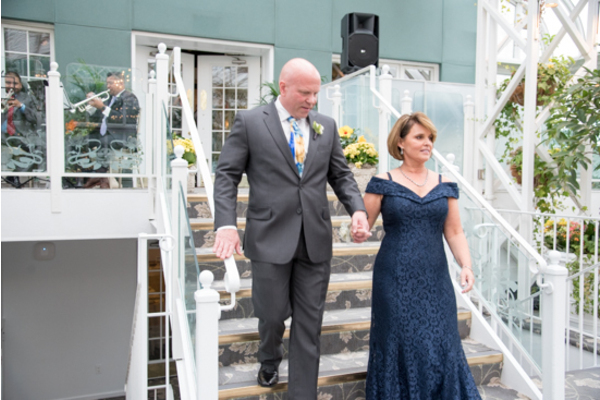 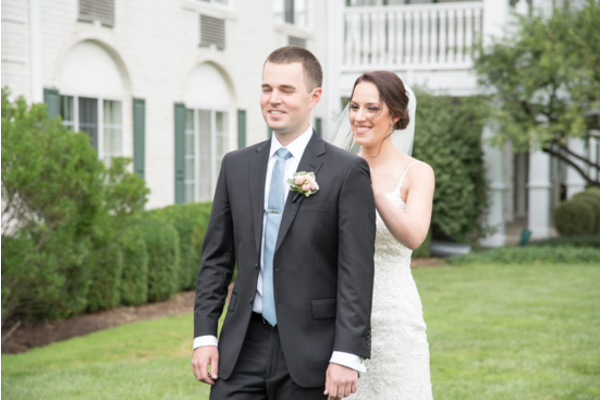 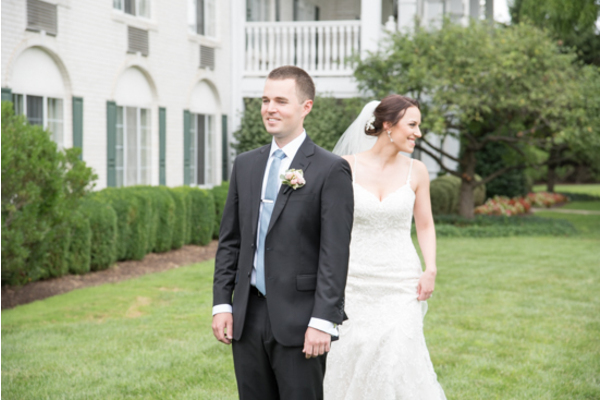 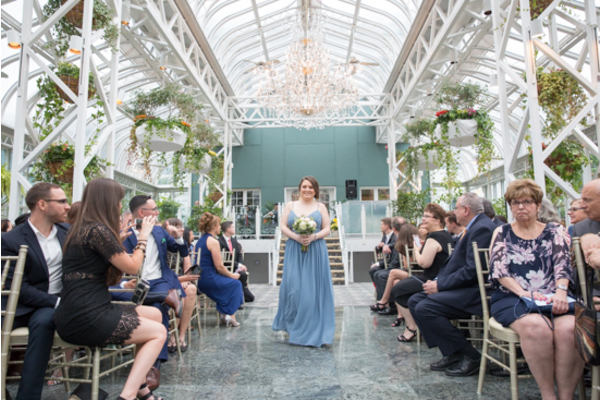 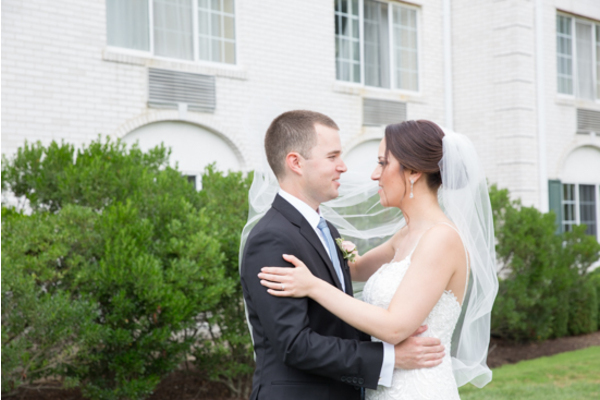 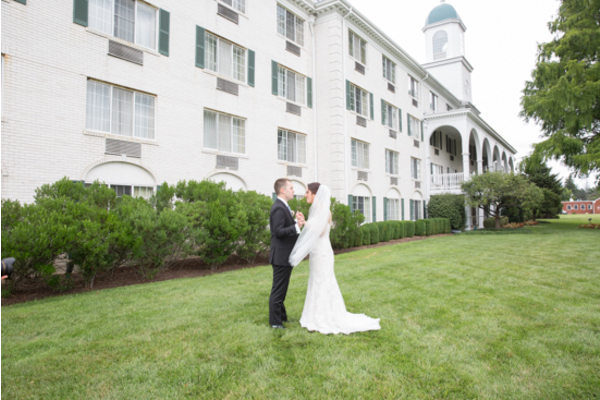 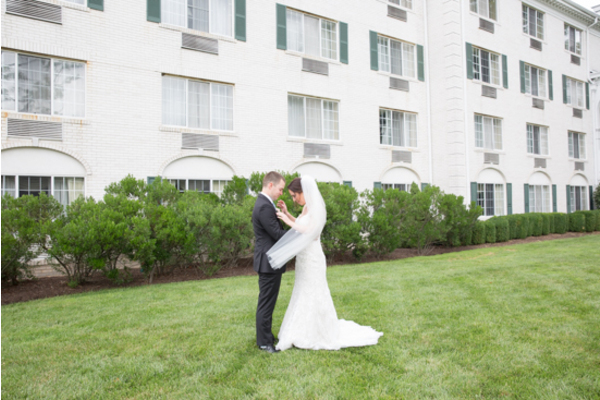 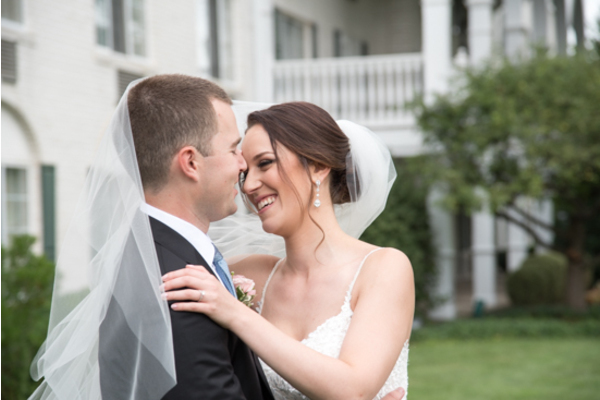 This couple was all smiles on their big day celebrated at the Madison Hotel! 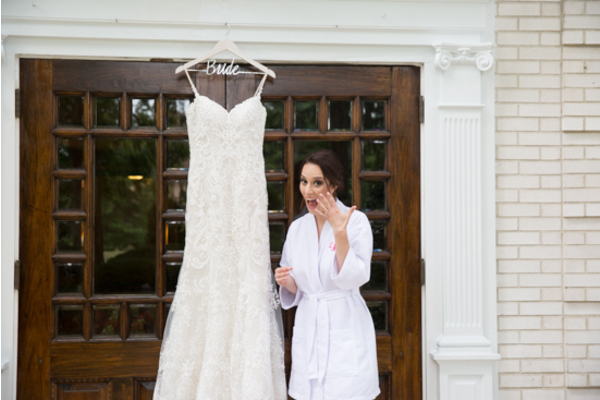 Slipping into all white has never been more exciting for Lara until today! 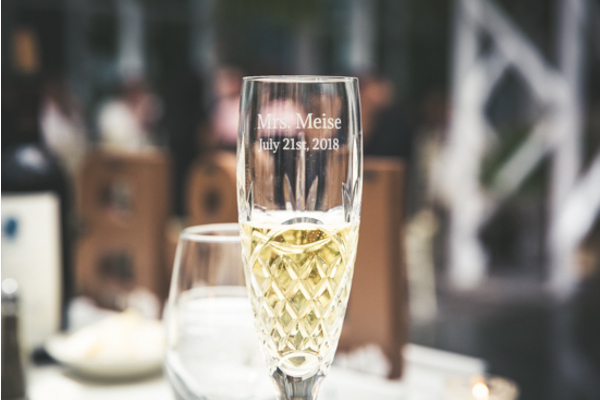 To begin the day, she and her friends drank champagne and prepared to celebrate one of the most important days of Lara’s life! 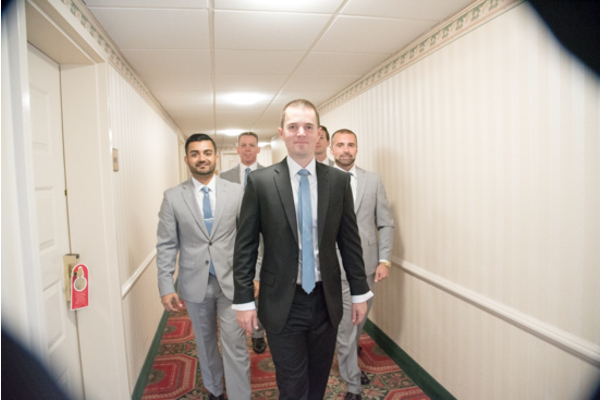 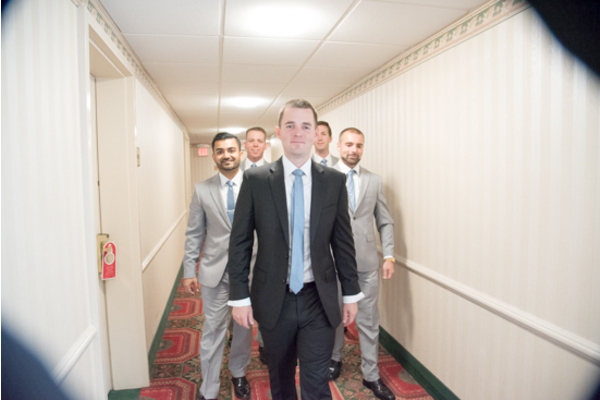 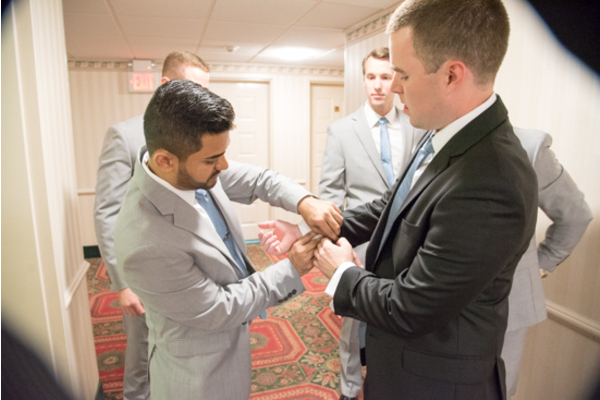 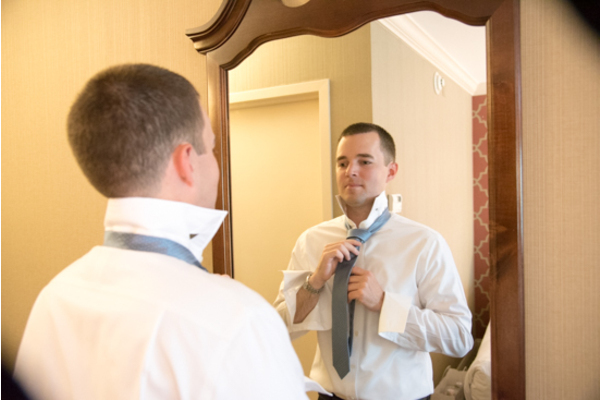 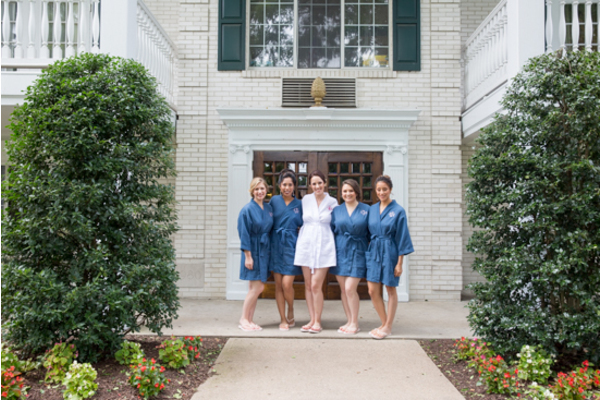 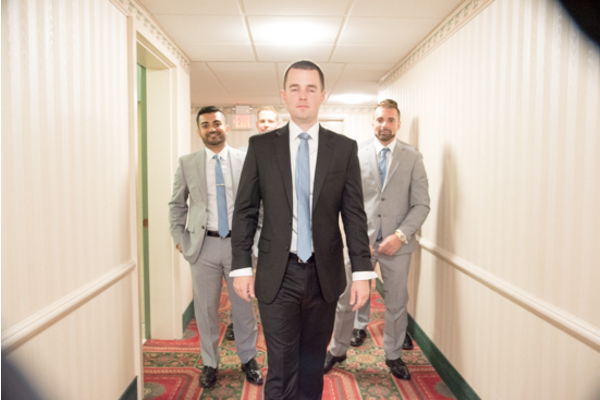 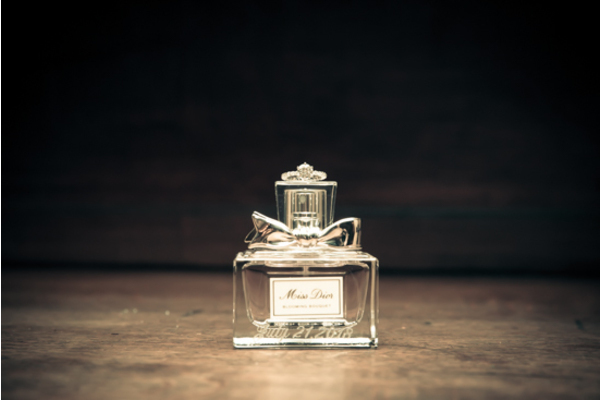 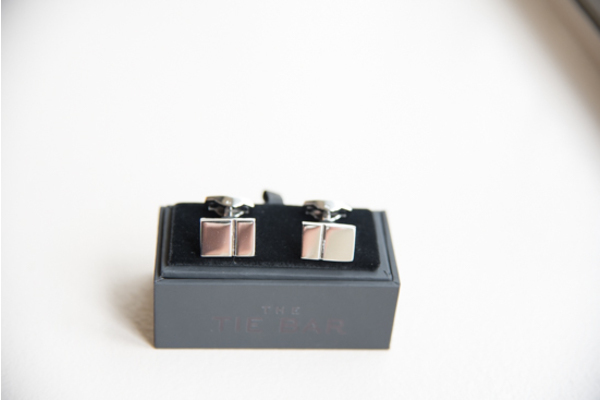 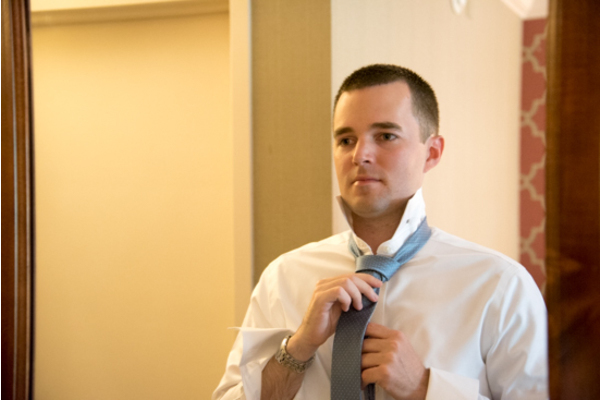 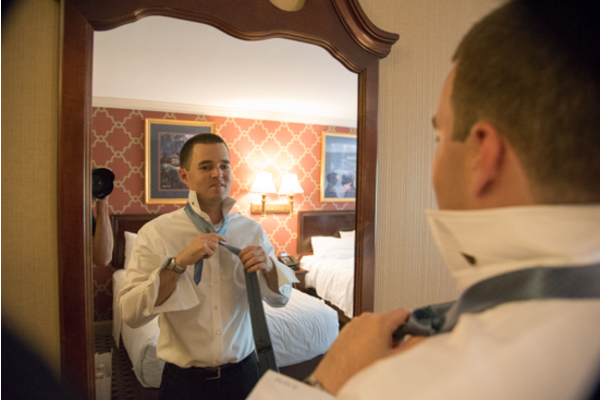 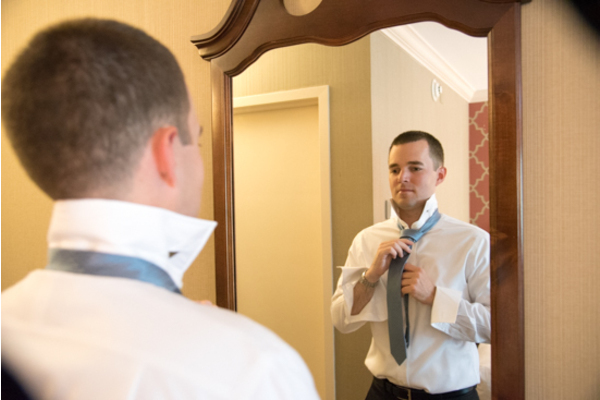 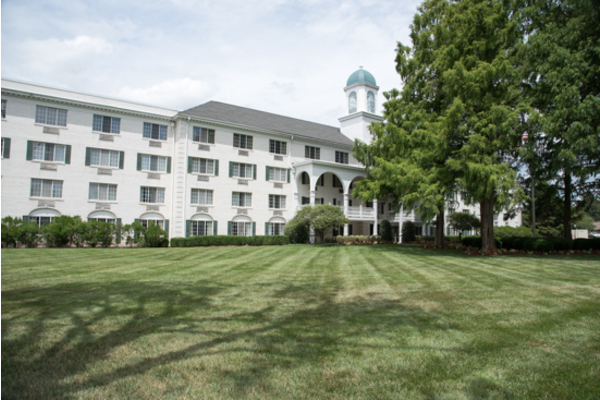 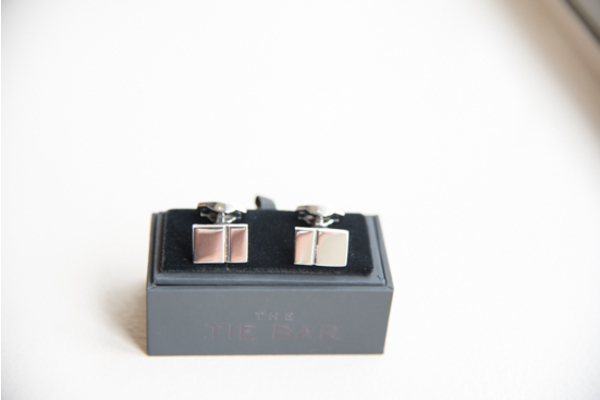 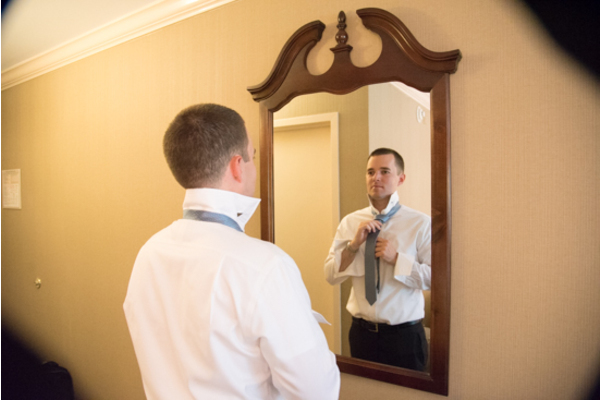 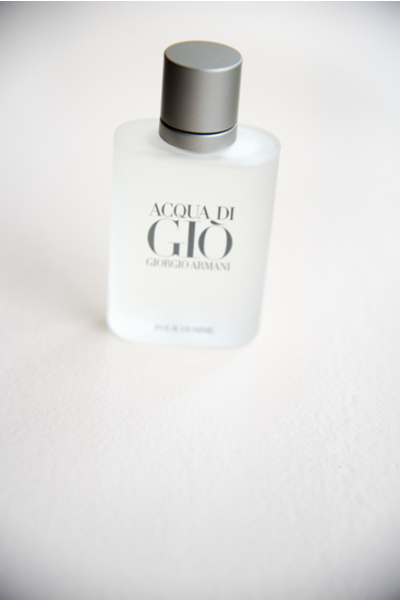 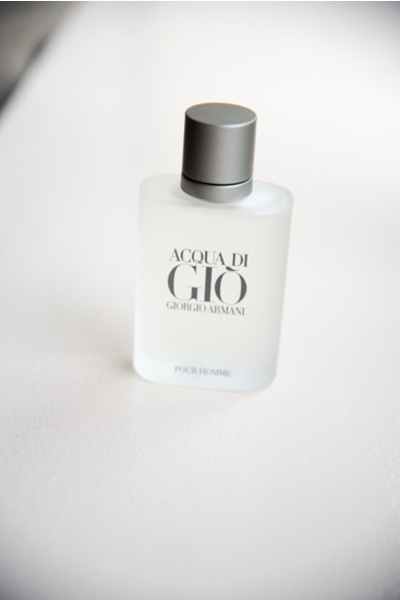 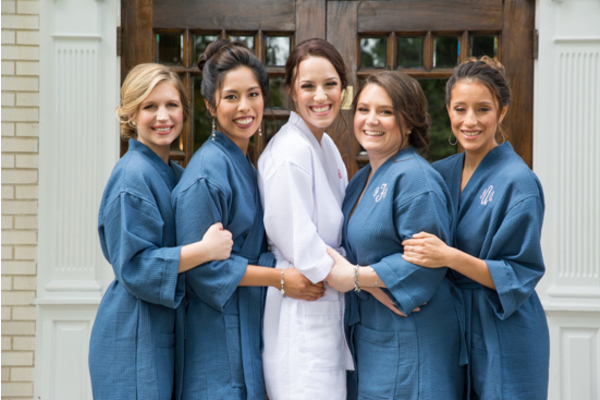 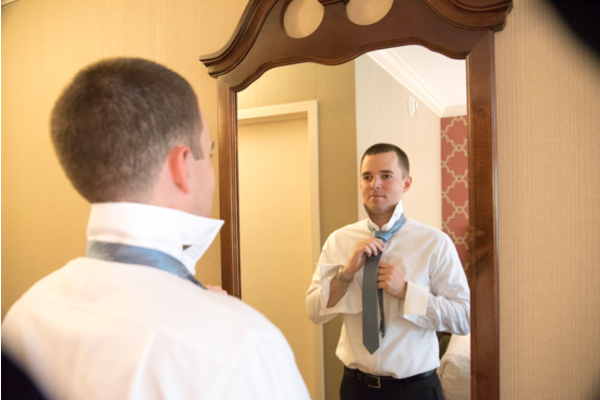 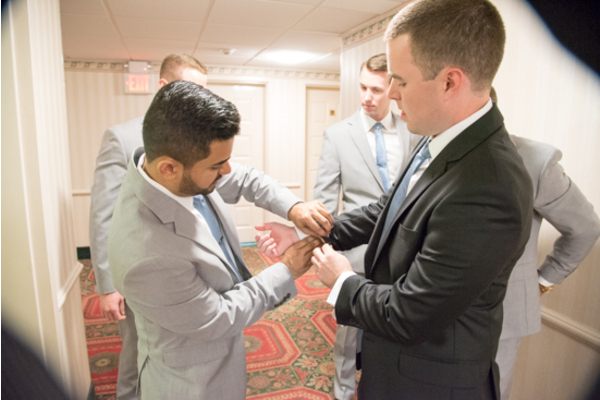 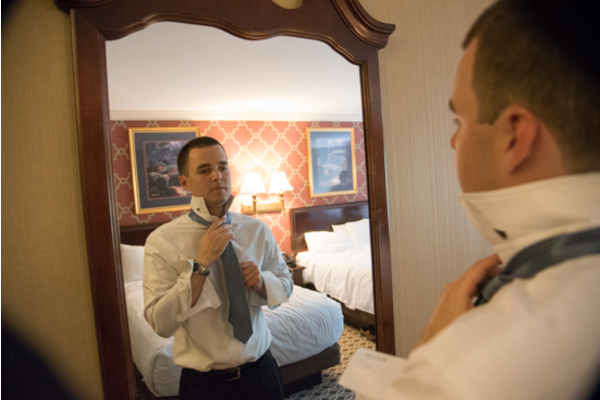 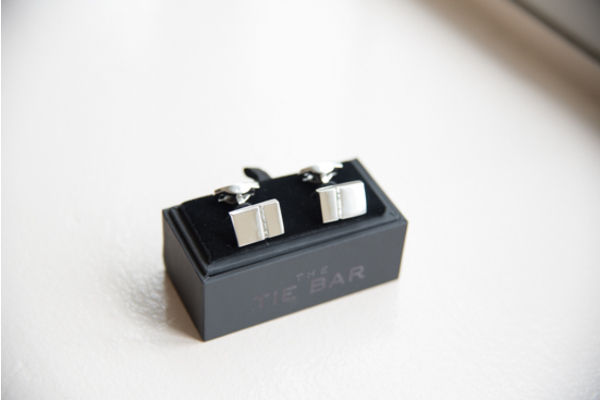 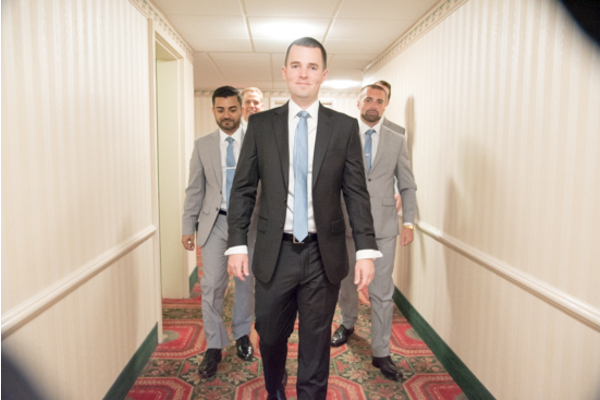 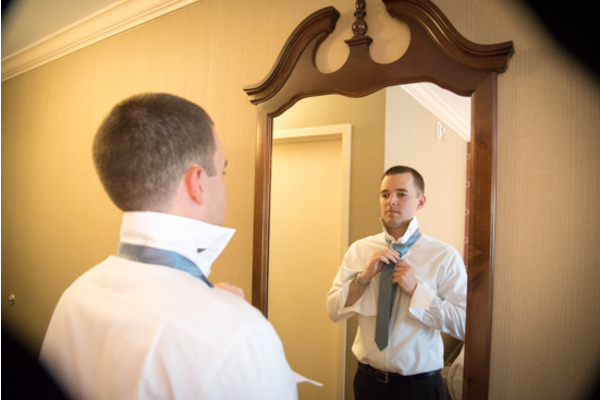 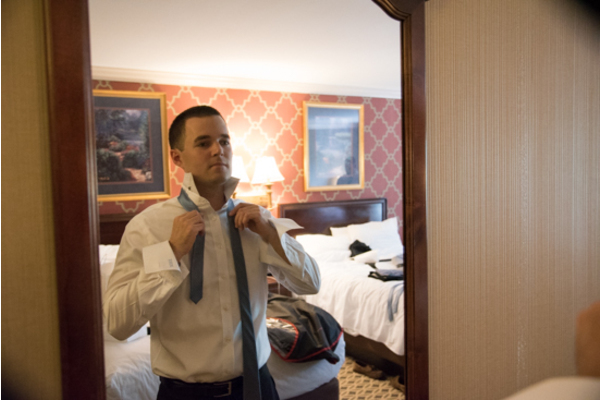 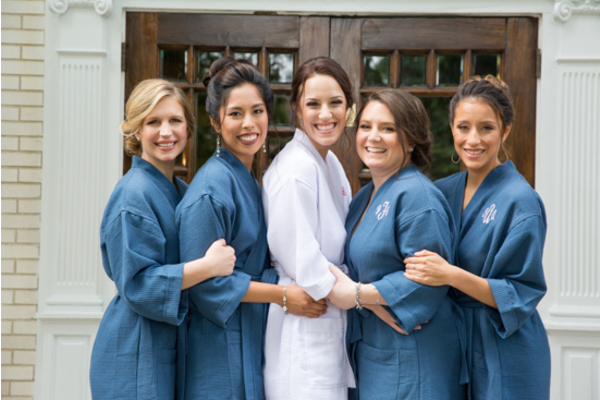 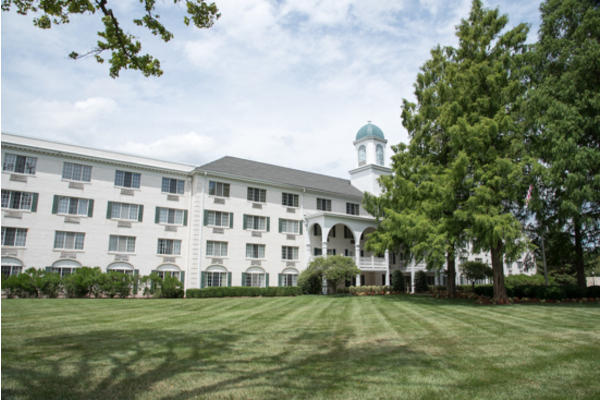 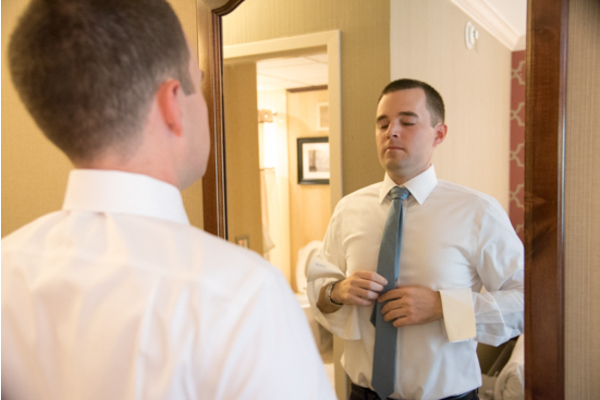 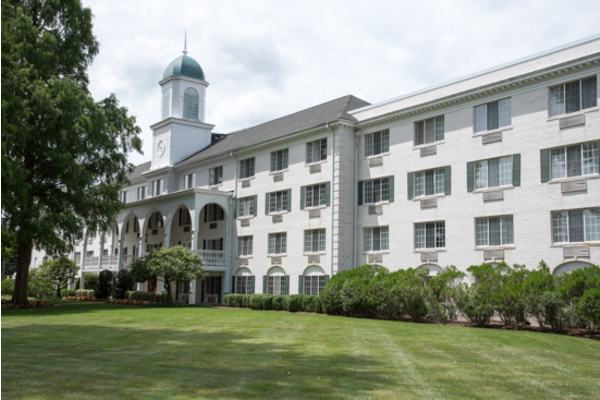 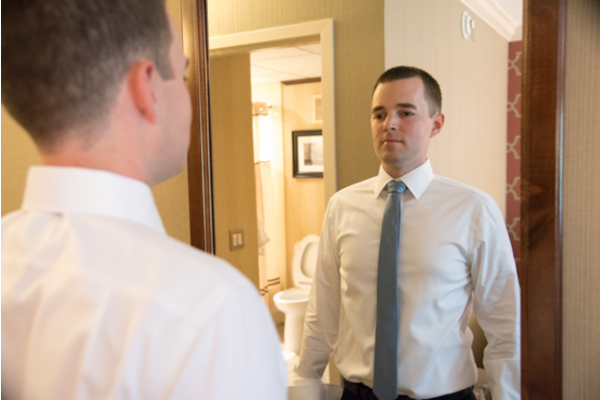 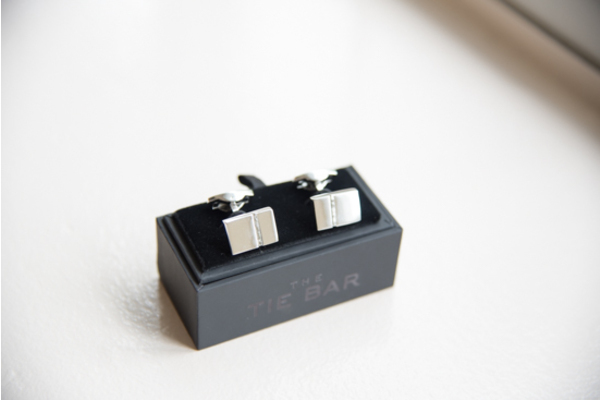 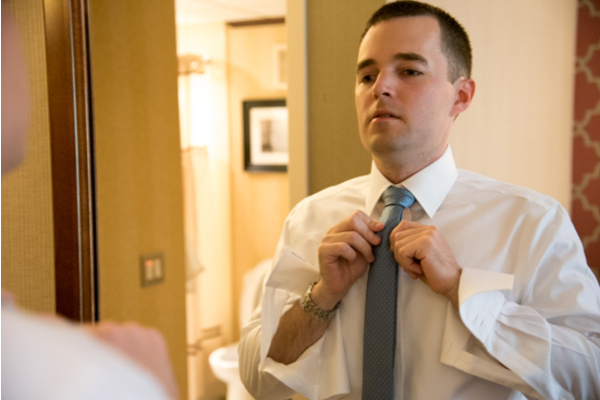 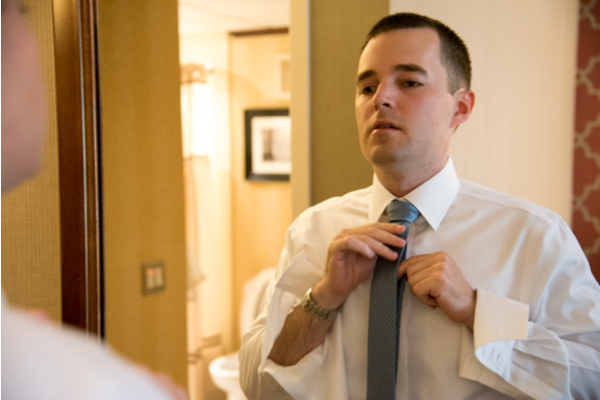 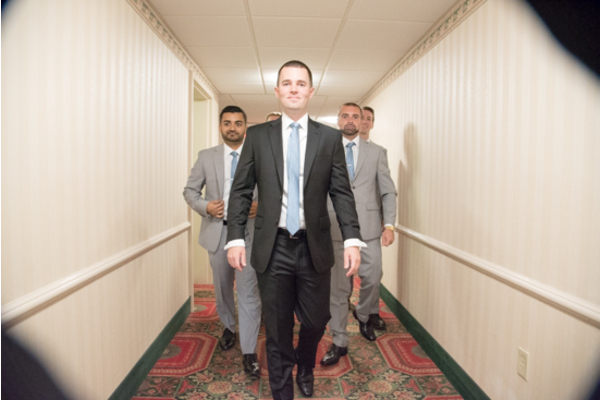 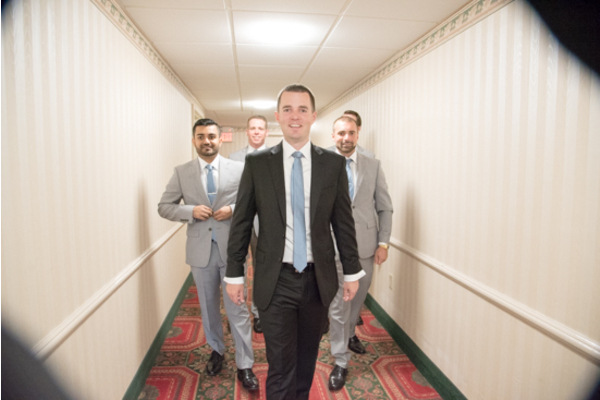 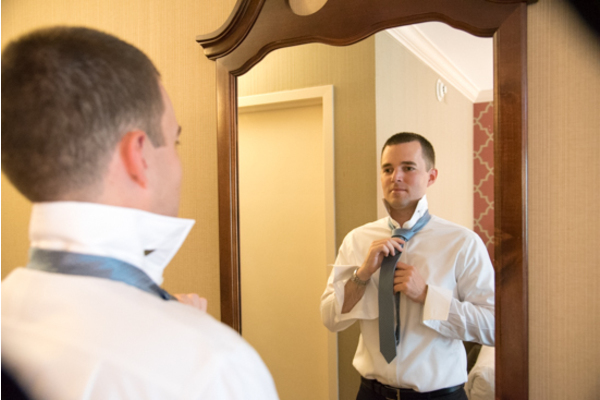 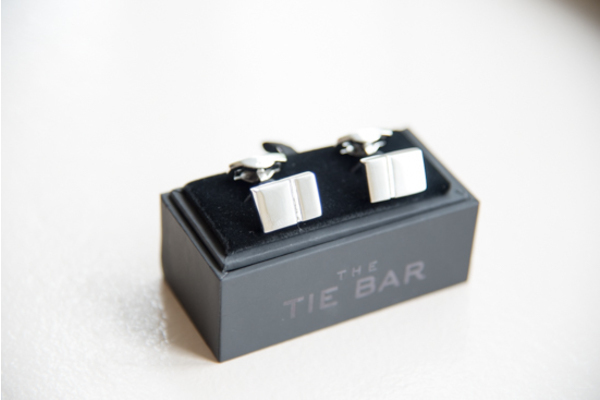 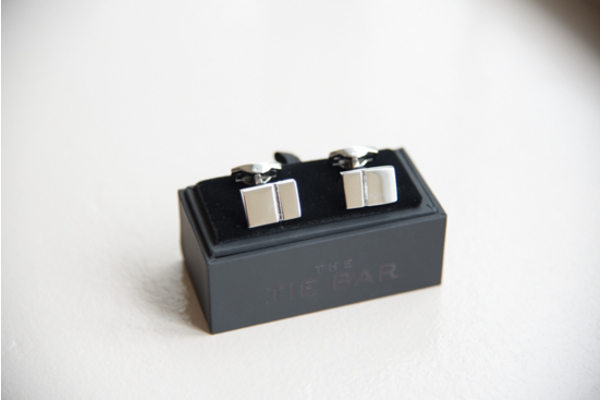 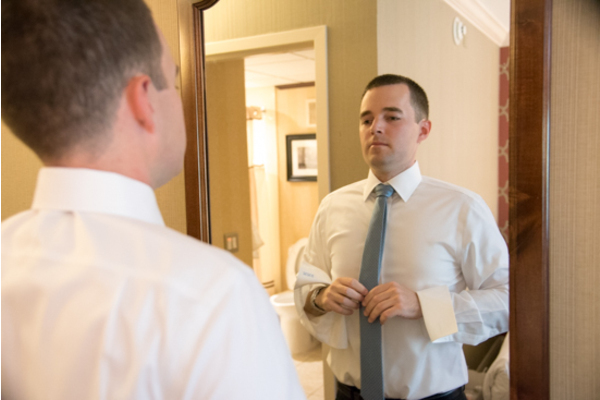 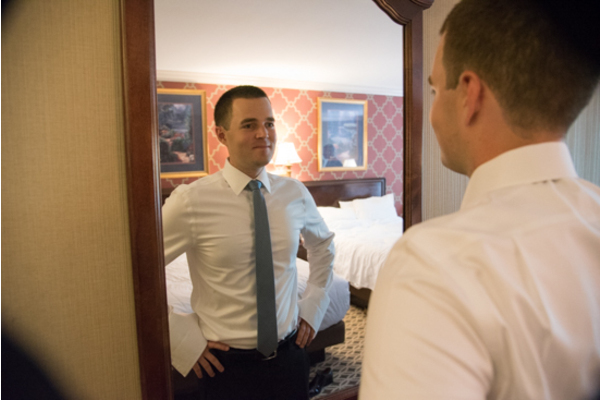 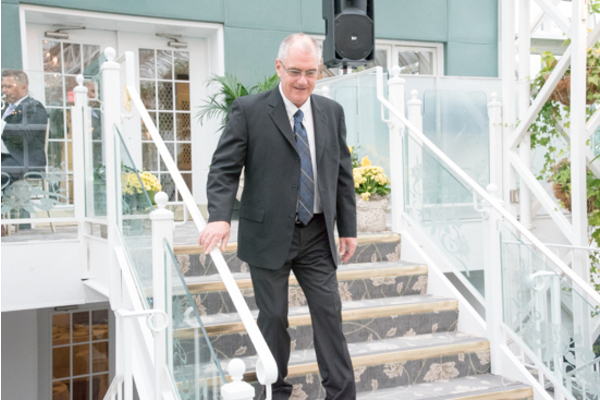 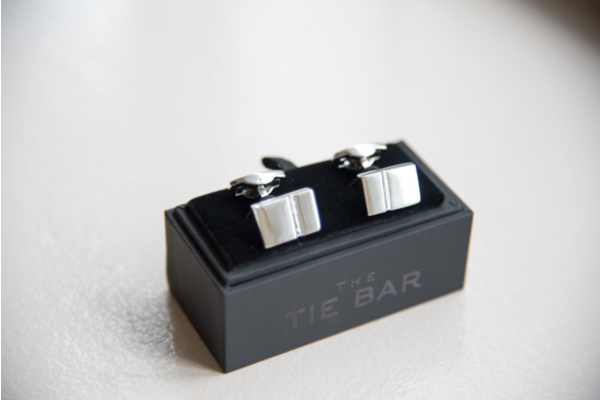 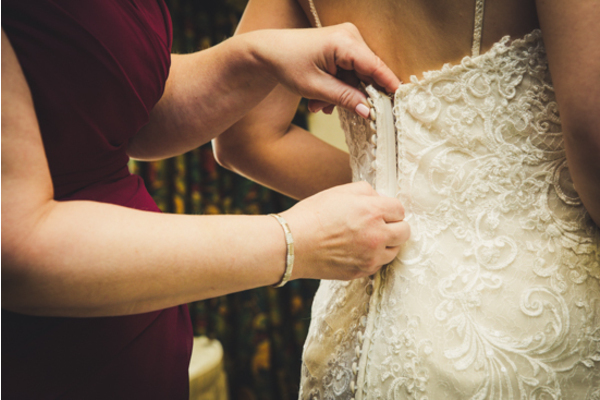 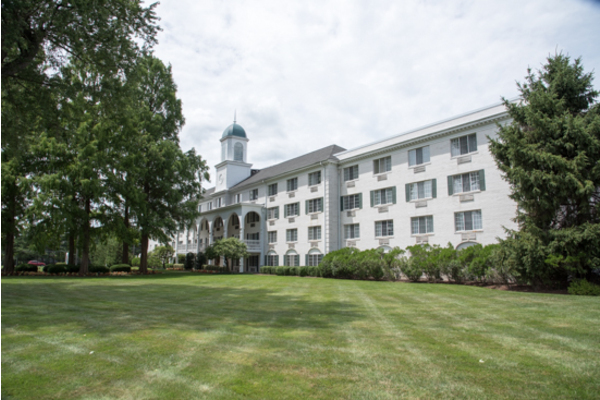 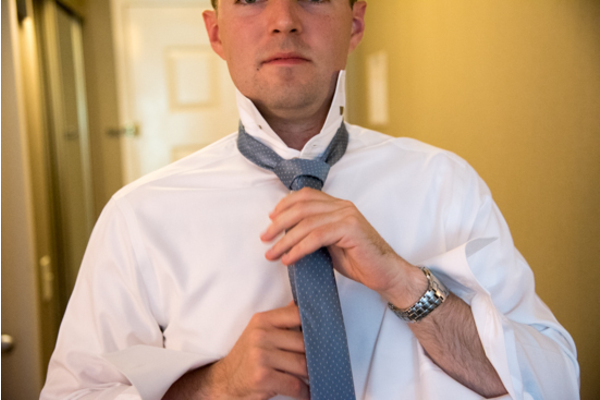 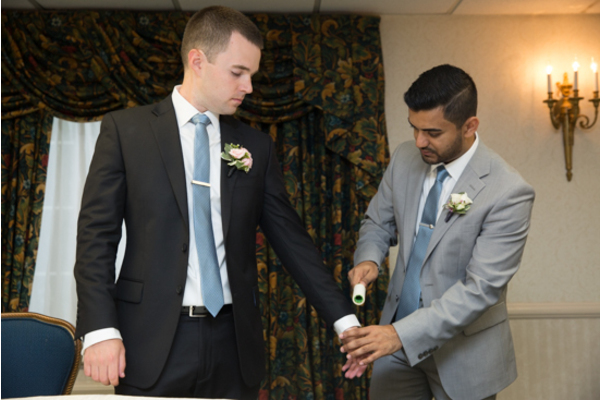 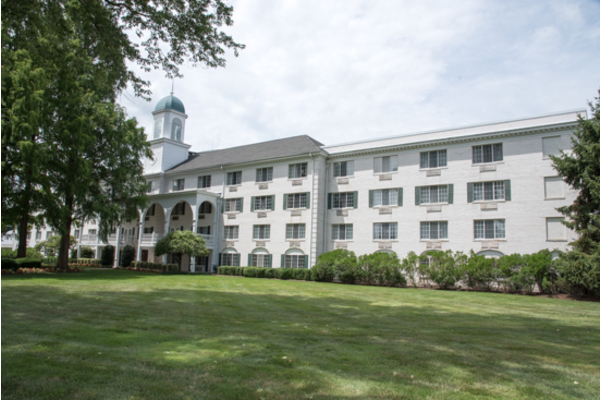 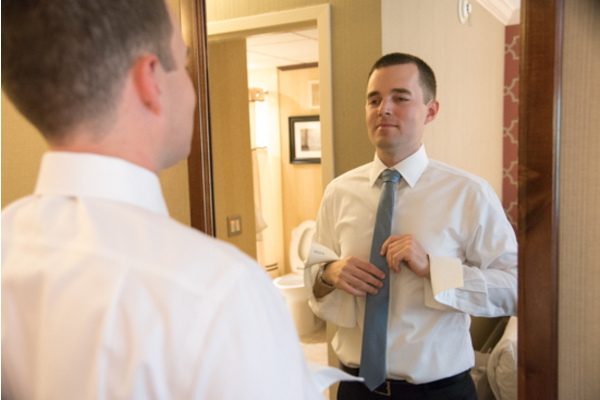 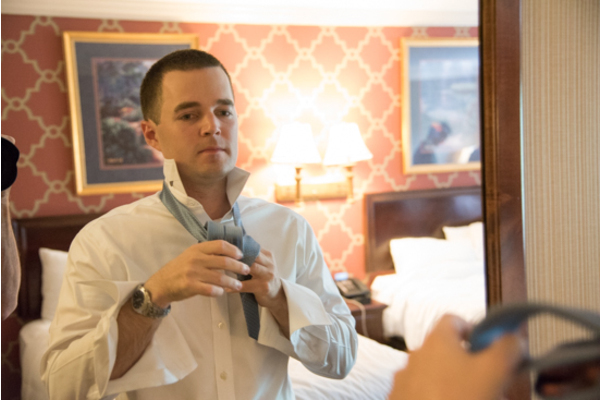 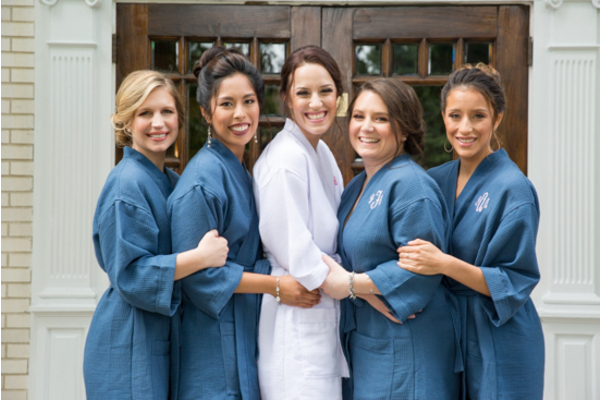 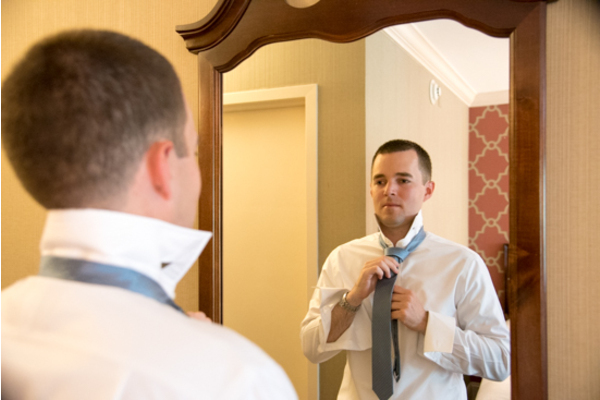 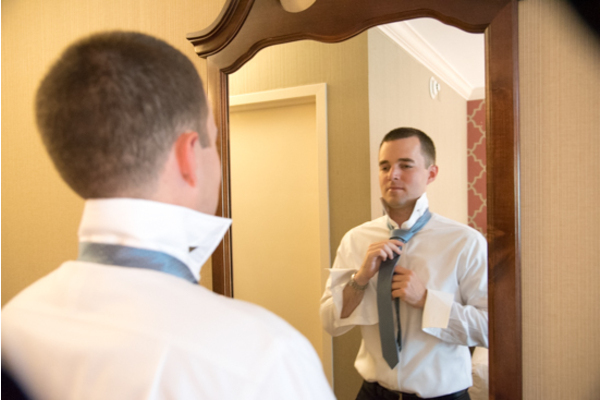 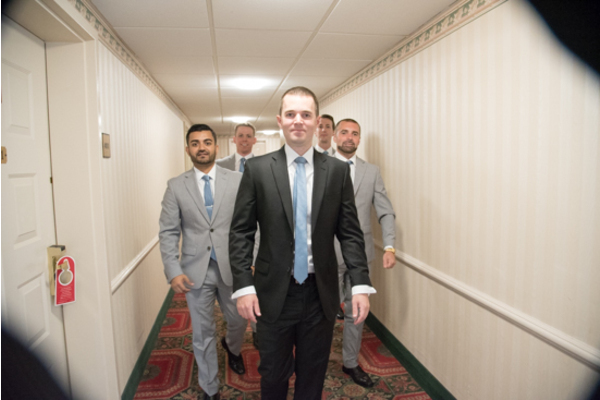 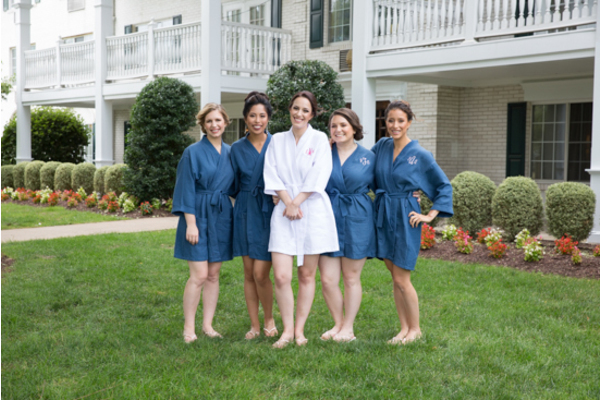 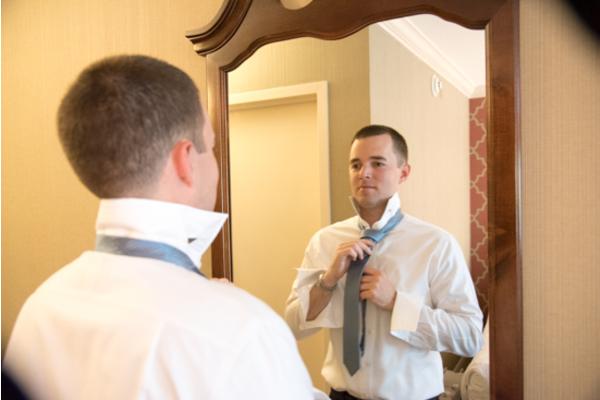 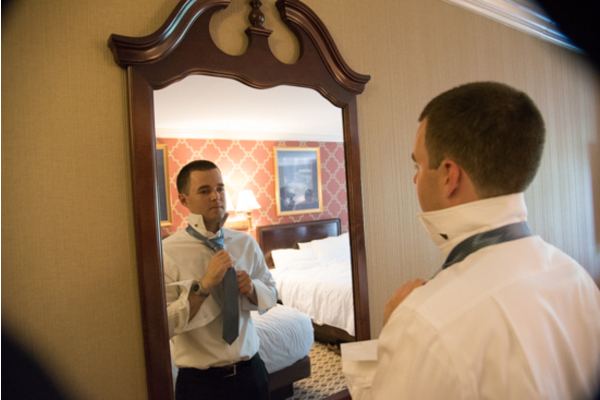 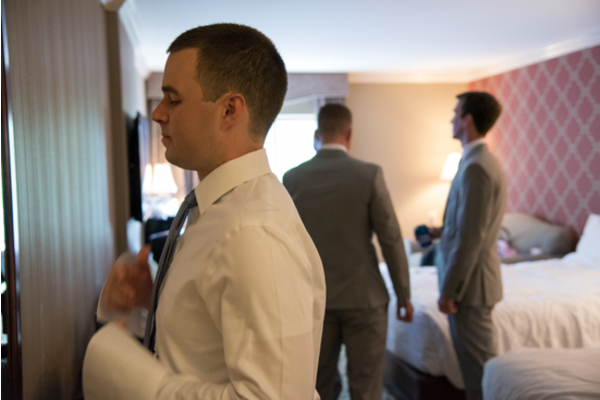 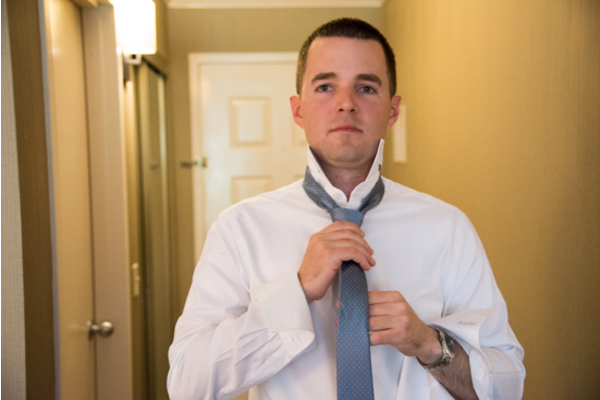 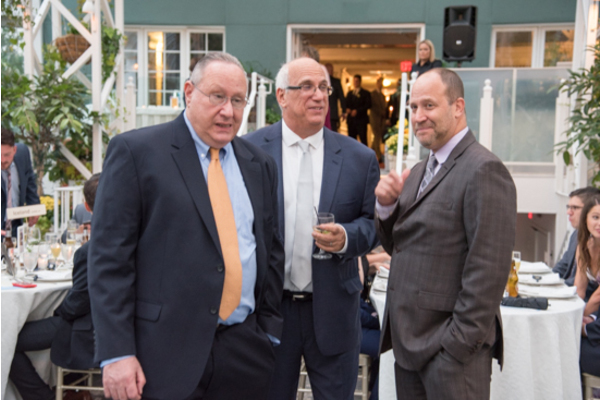 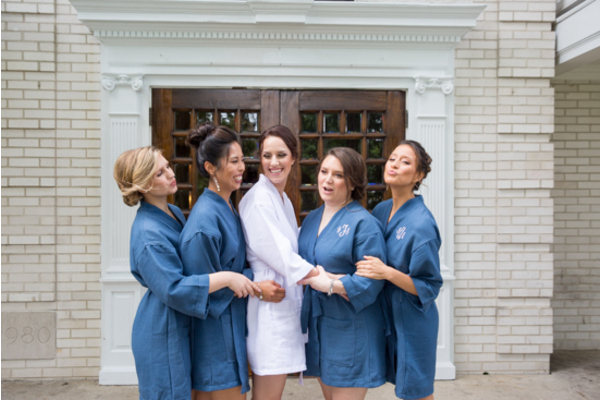 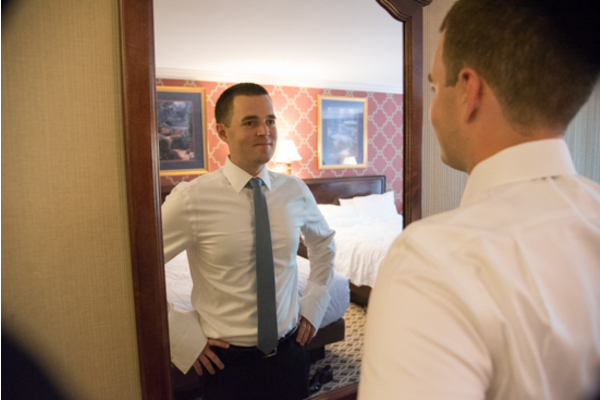 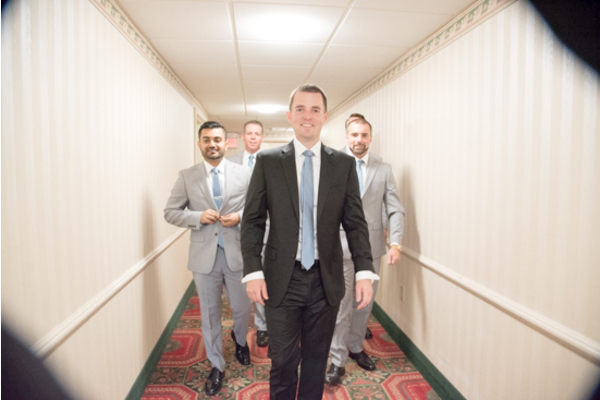 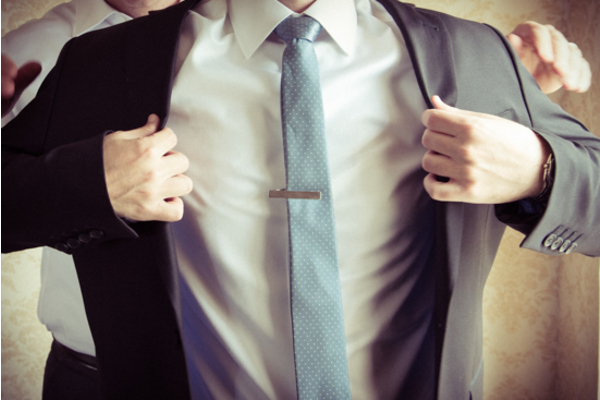 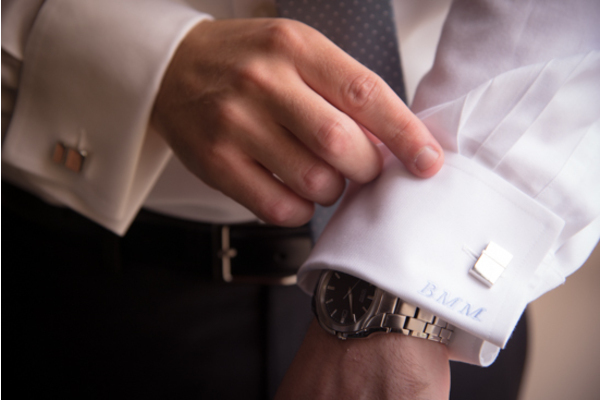 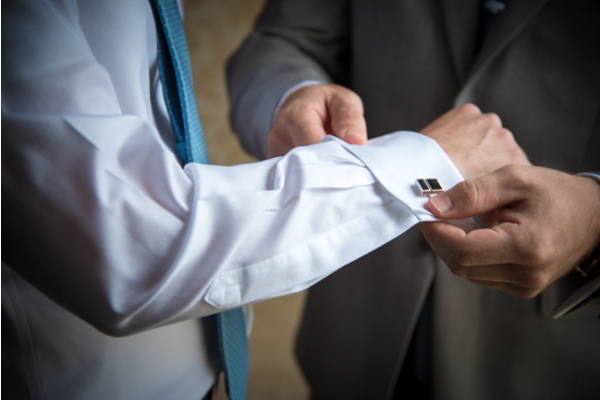 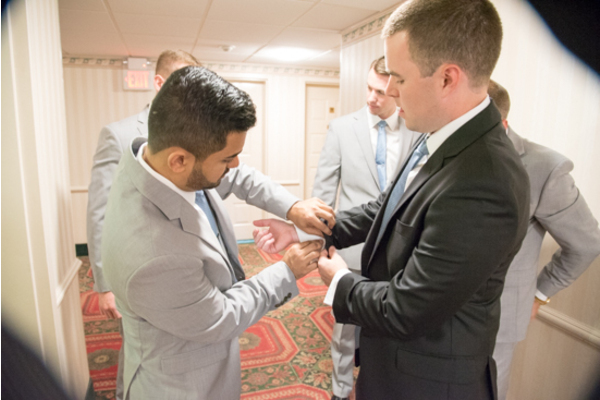 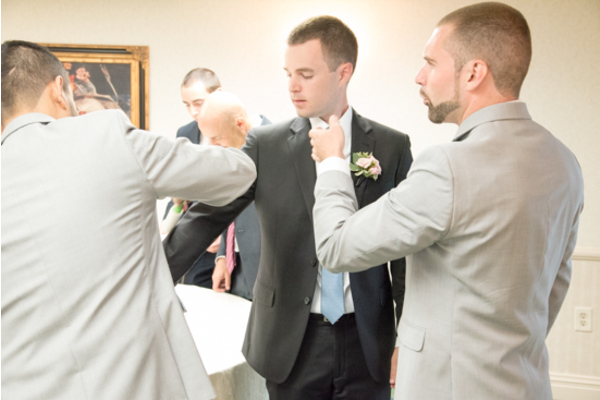 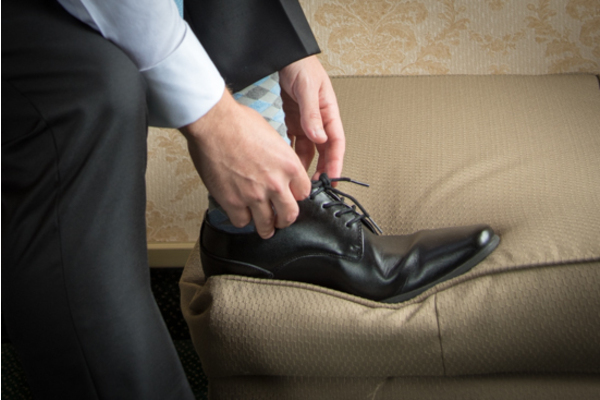 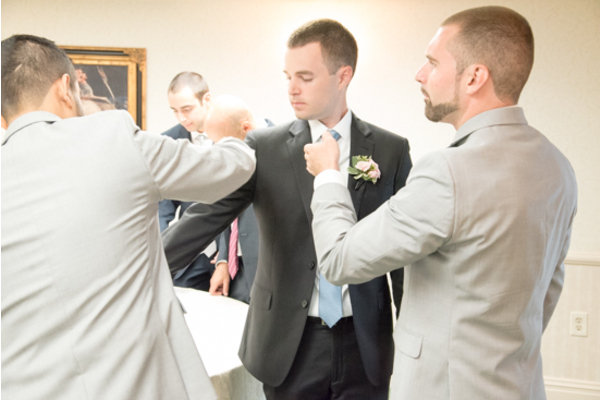 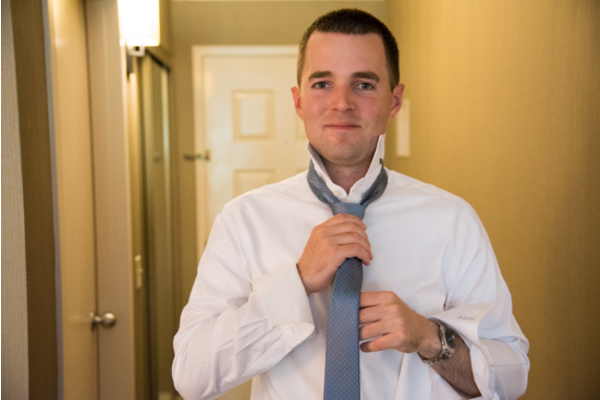 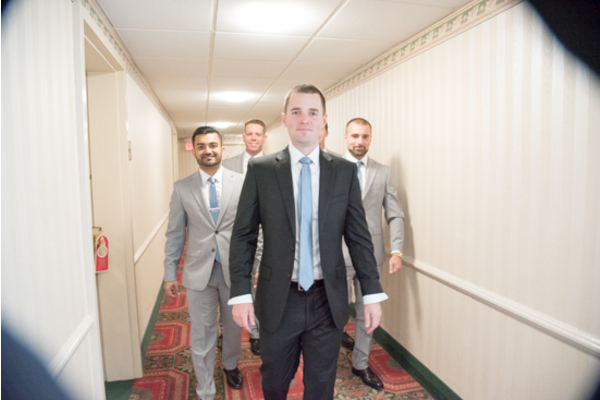 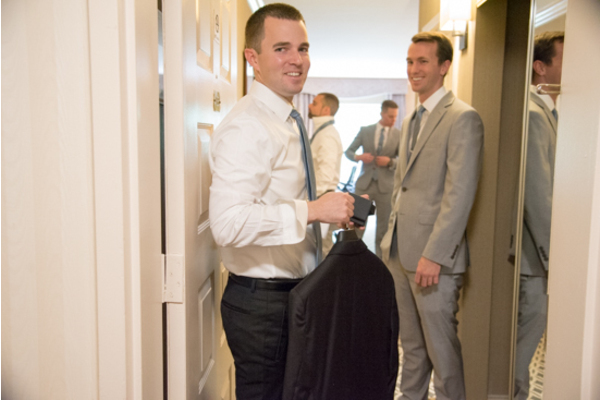 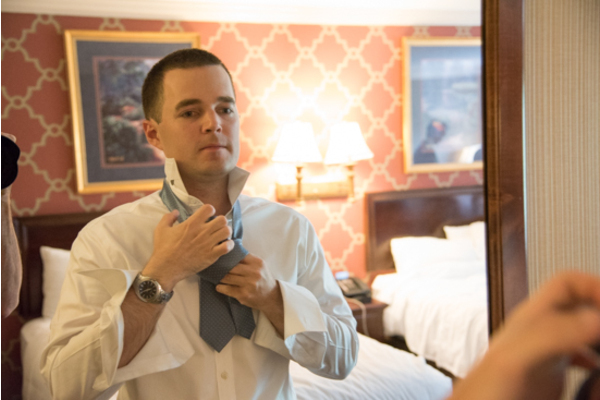 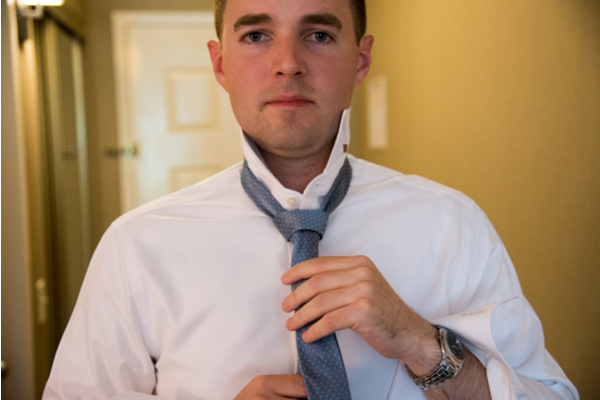 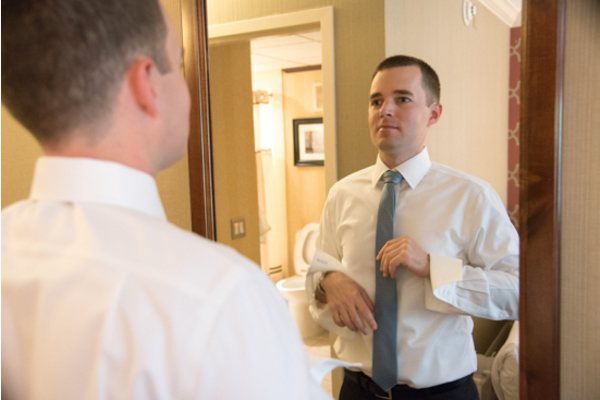 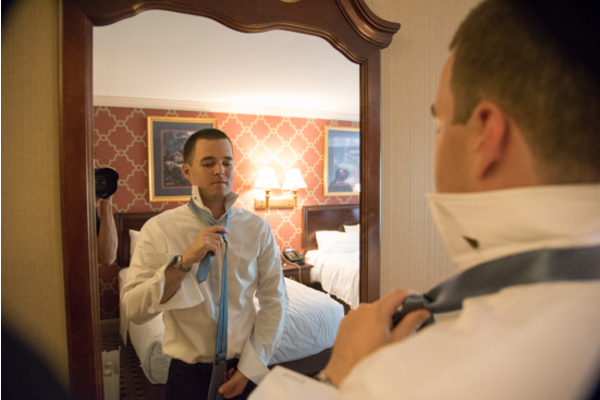 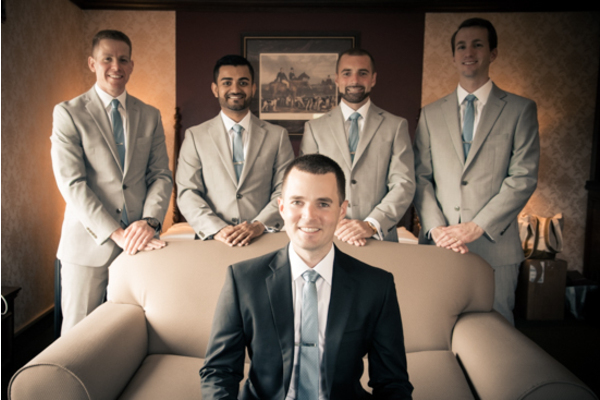 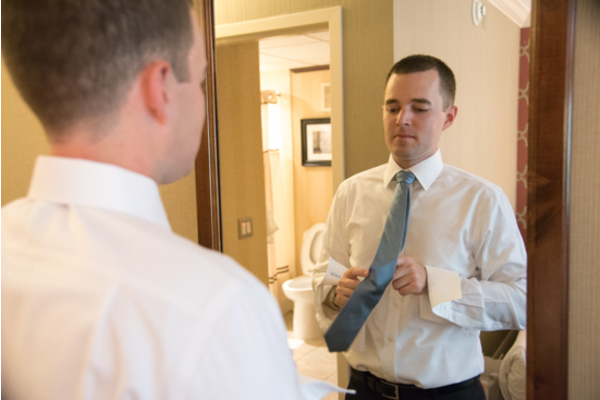 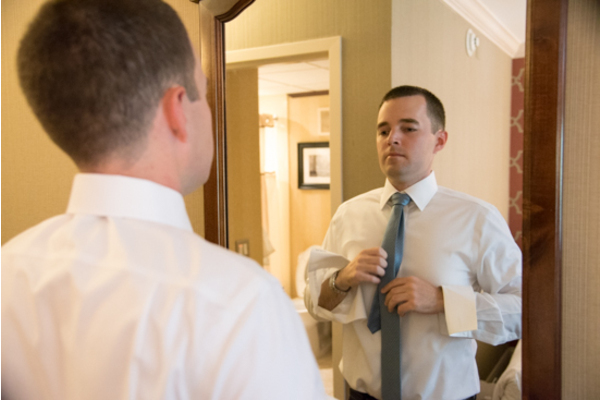 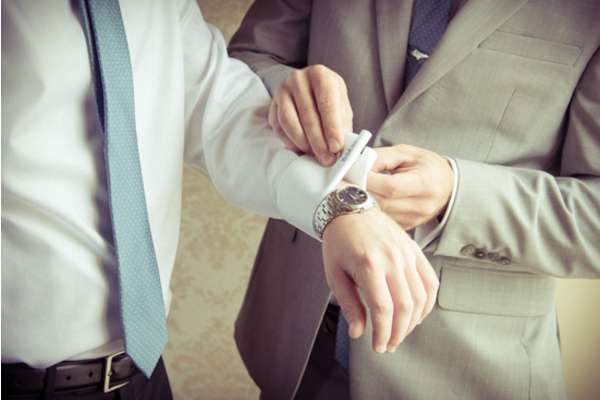 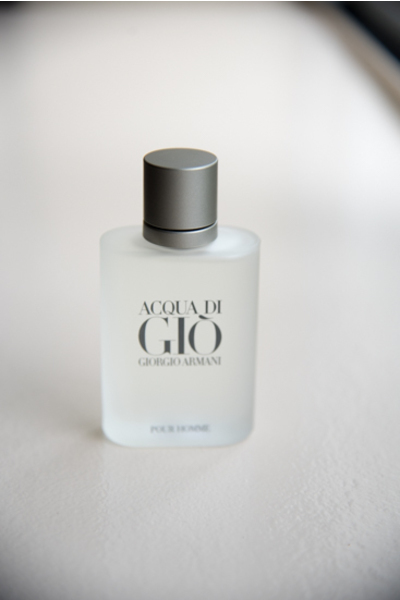 Just a few doors down, Brian and his best men were getting ready as well, making sure to look their absolute best. 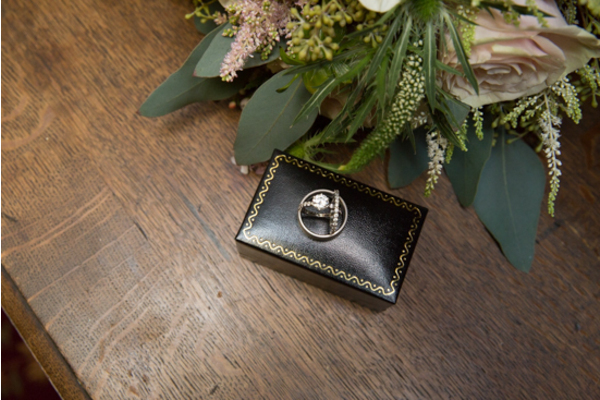 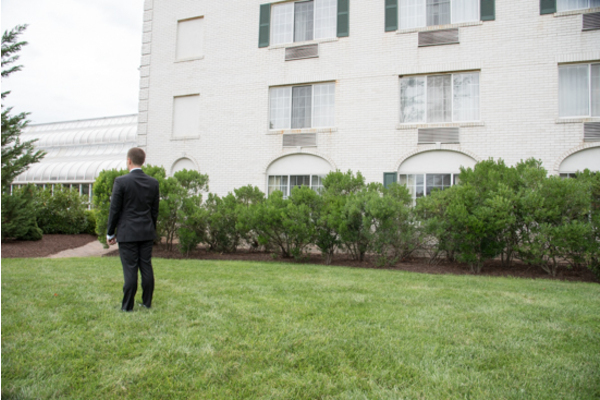 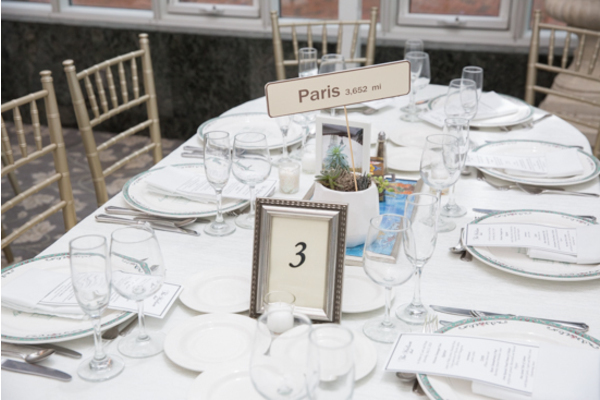 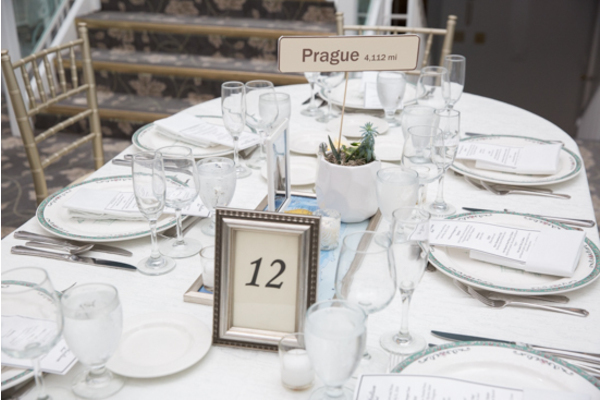 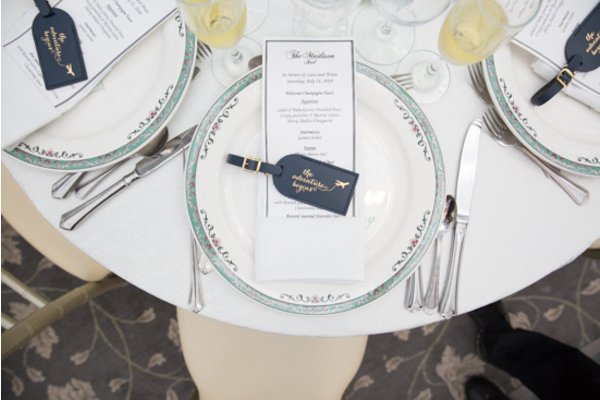 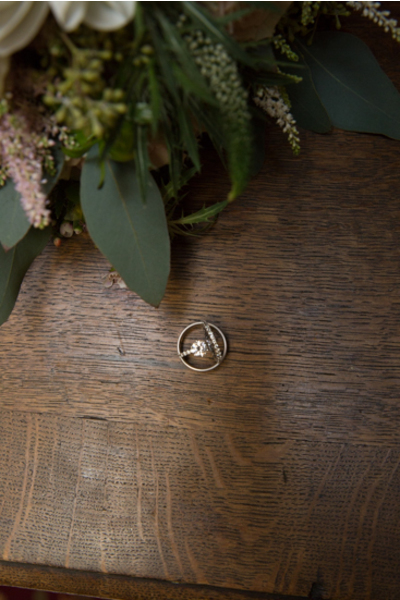 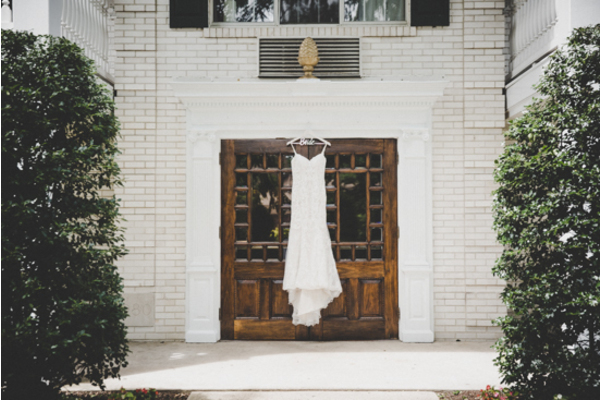 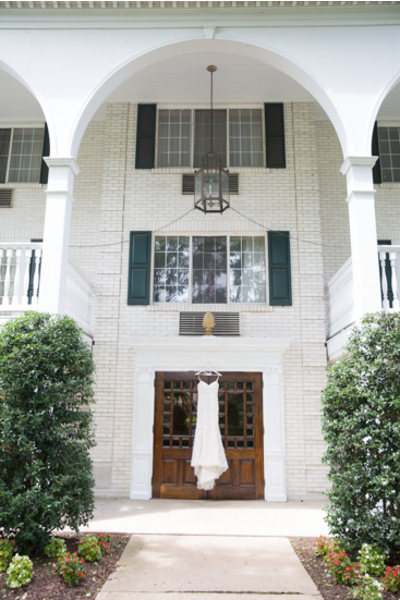 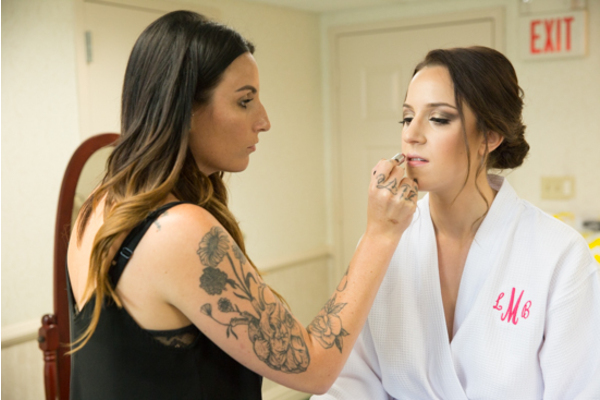 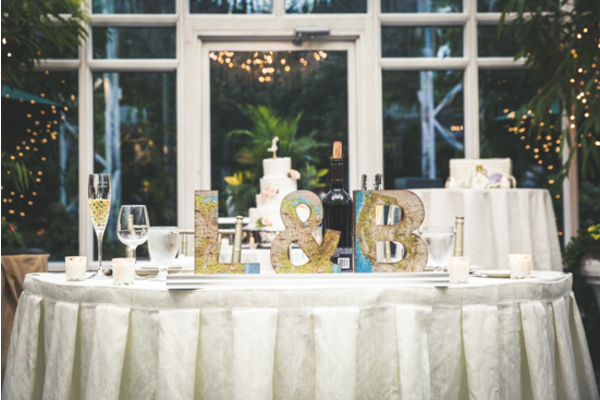 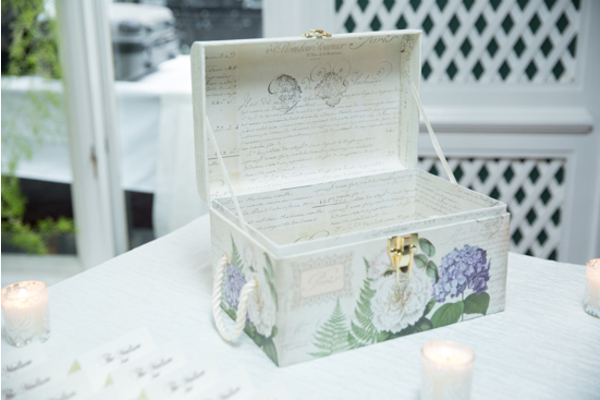 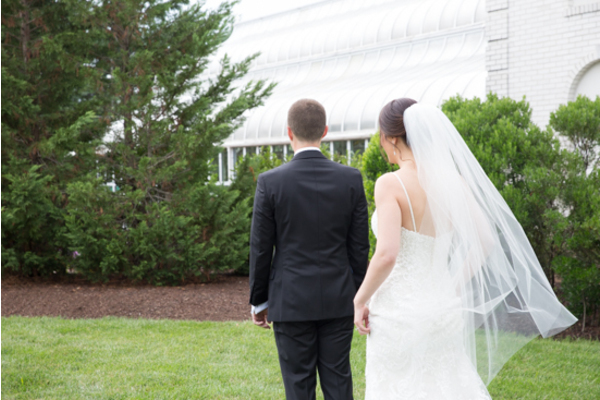 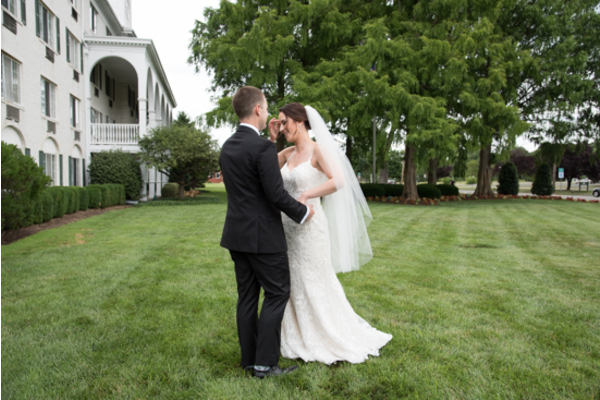 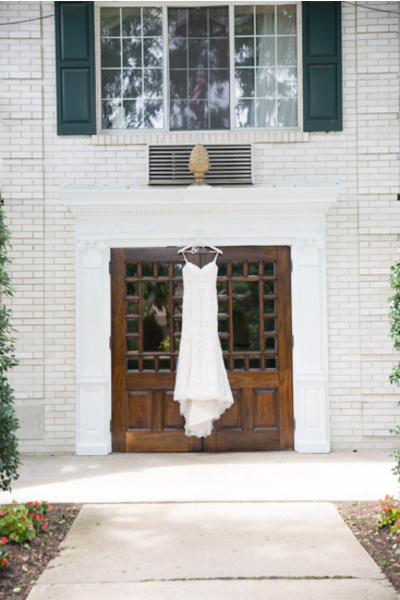 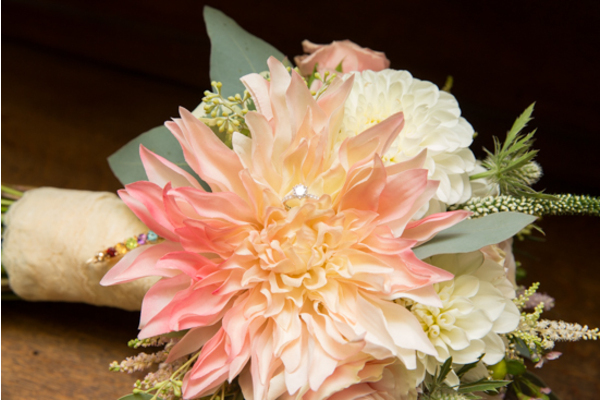 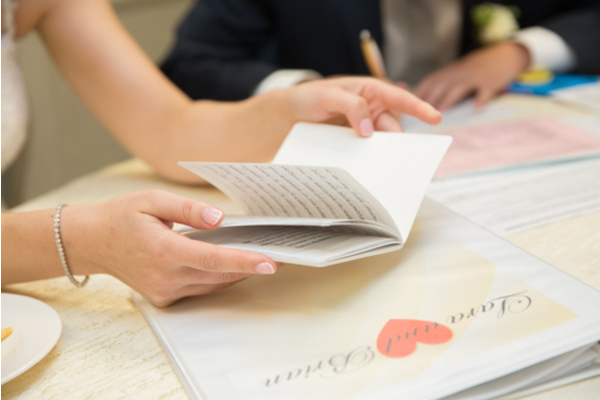 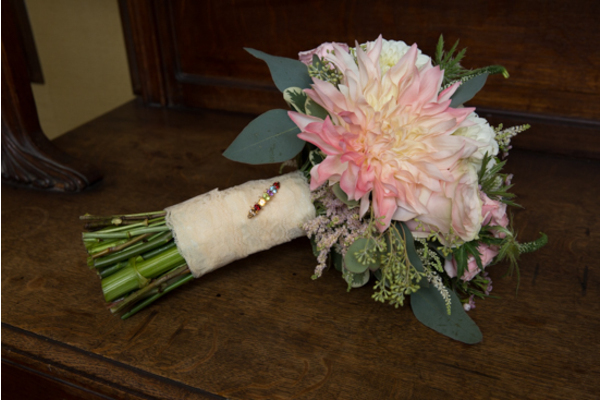 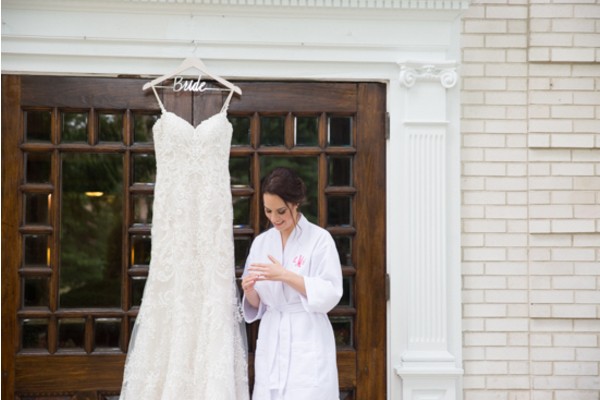 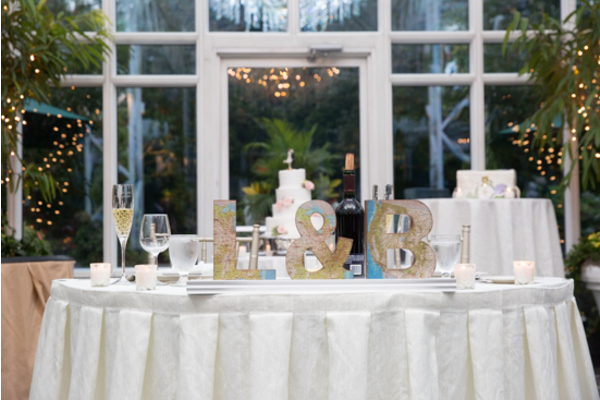 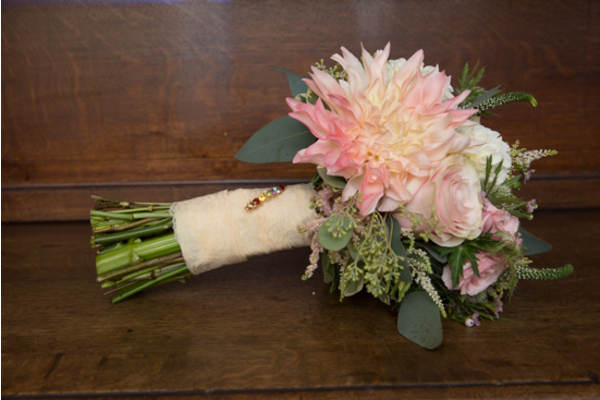 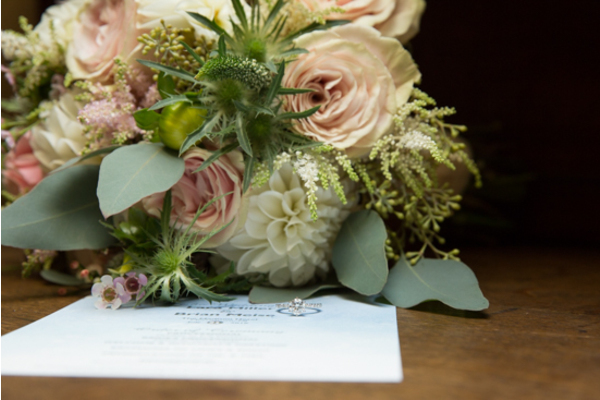 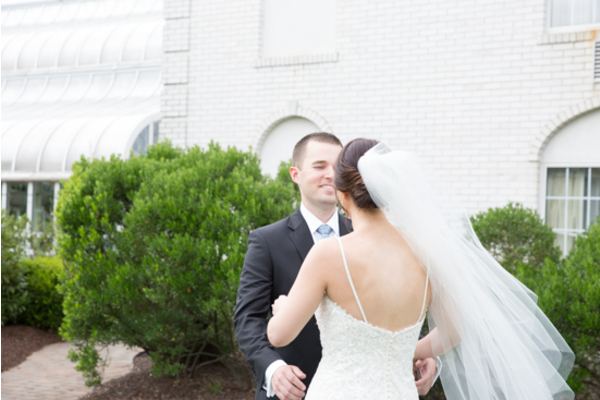 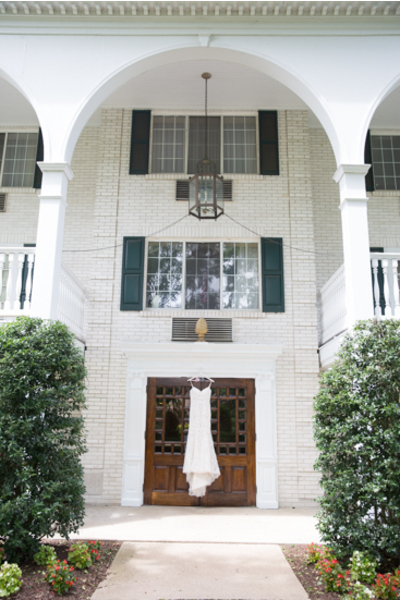 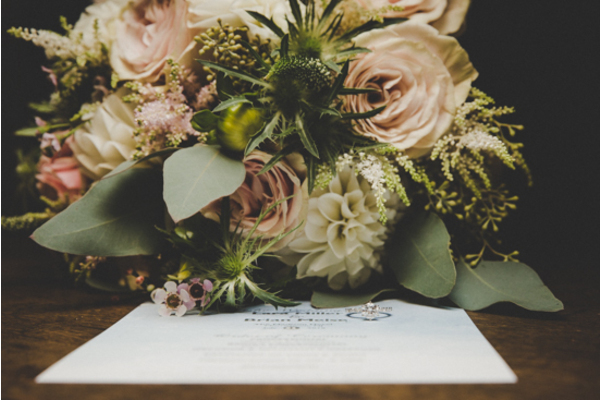 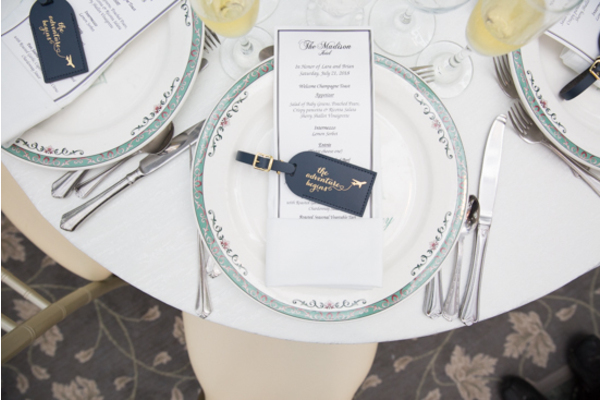 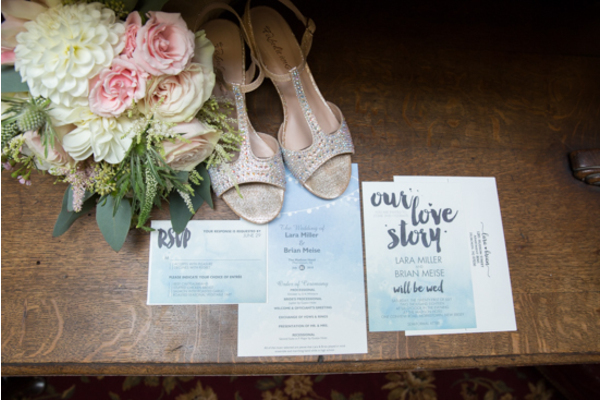 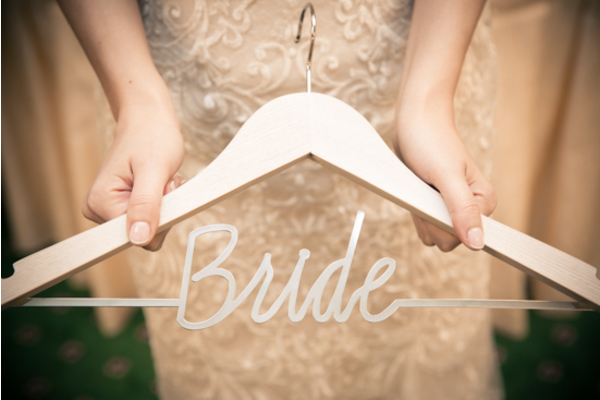 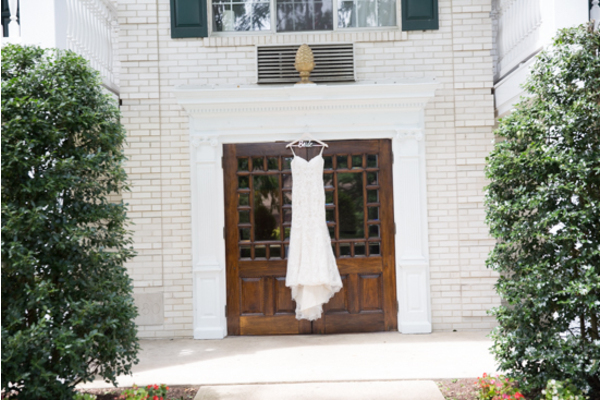 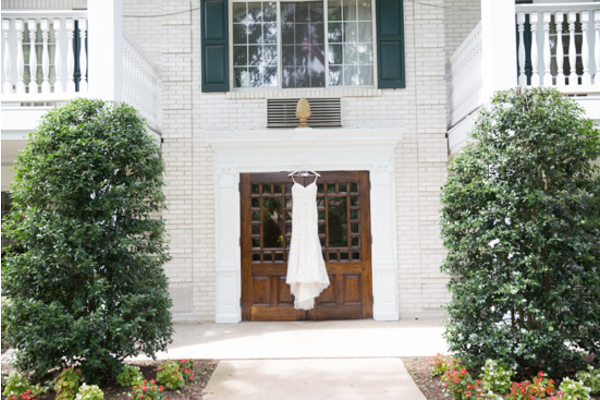 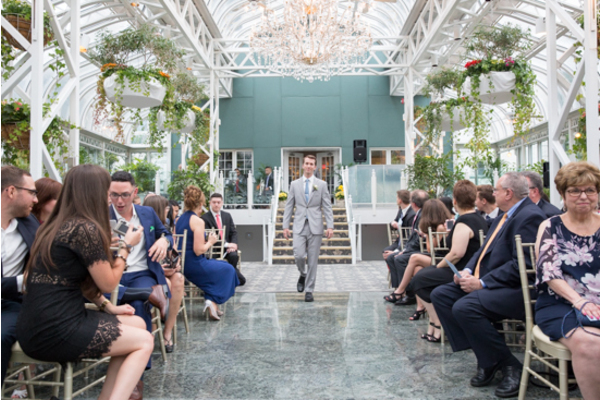 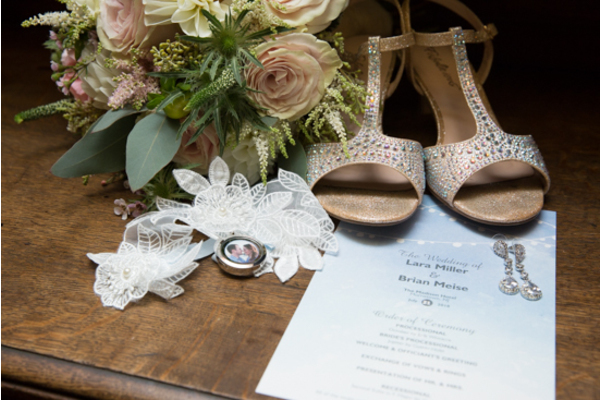 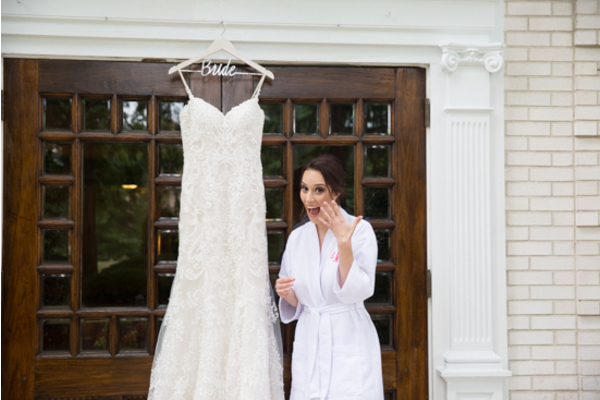 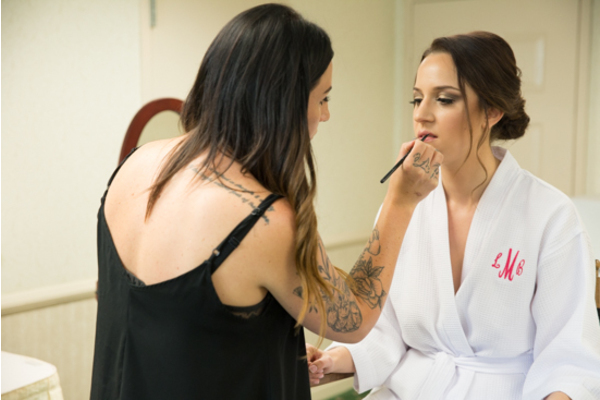 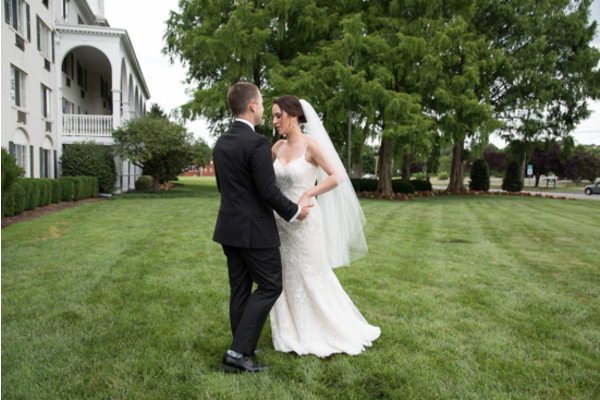 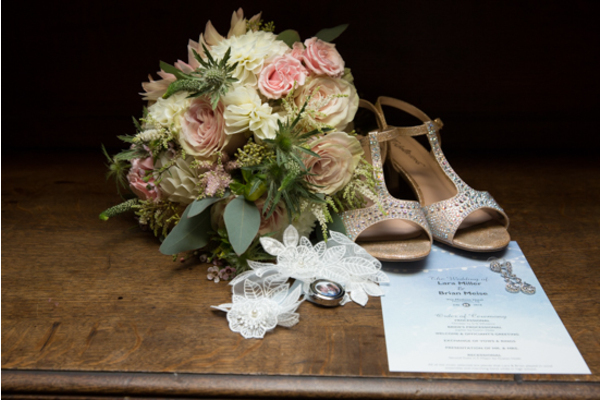 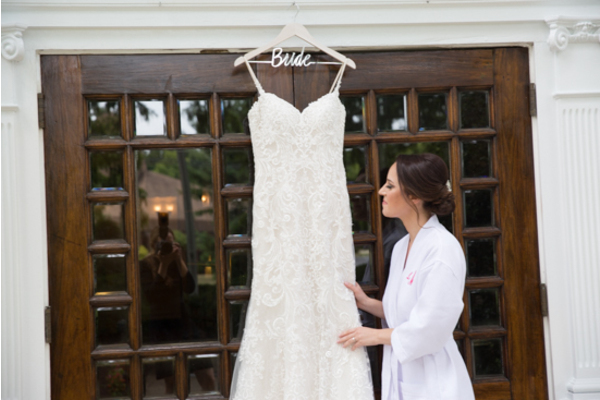 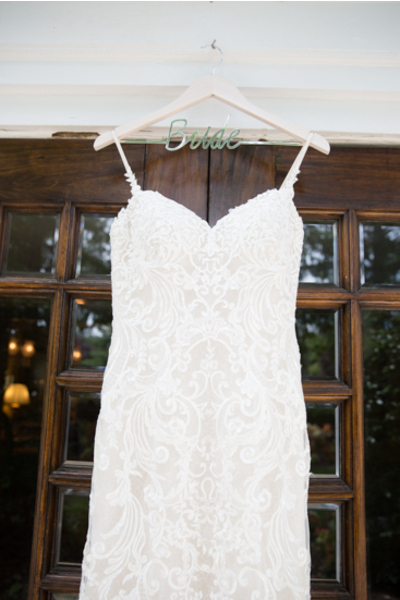 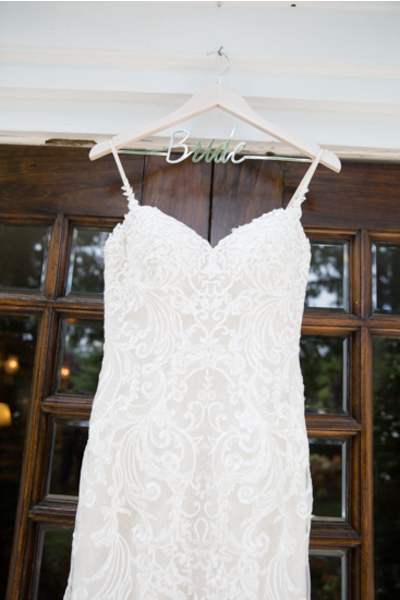 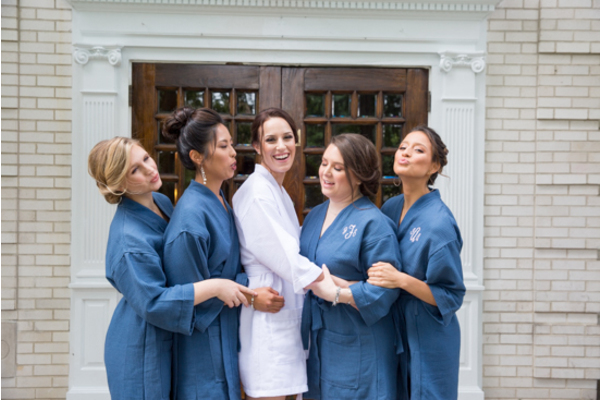 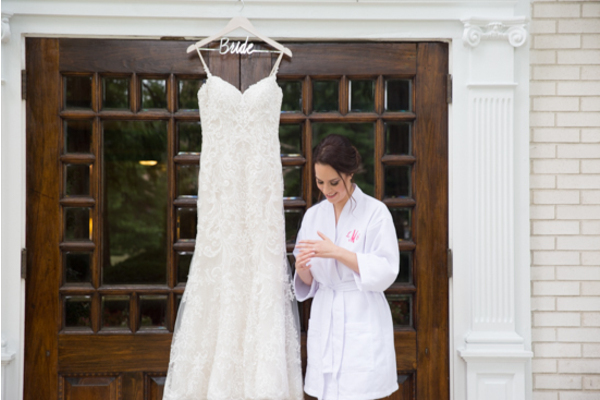 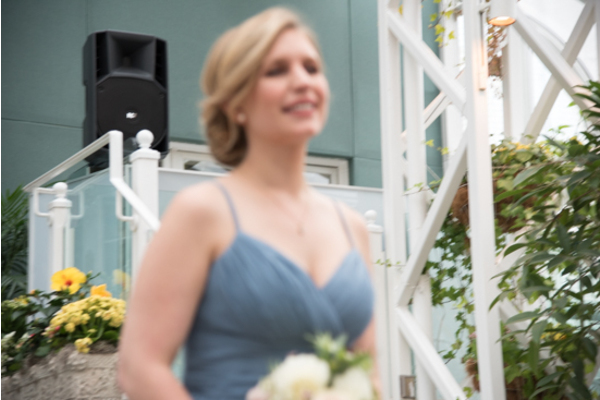 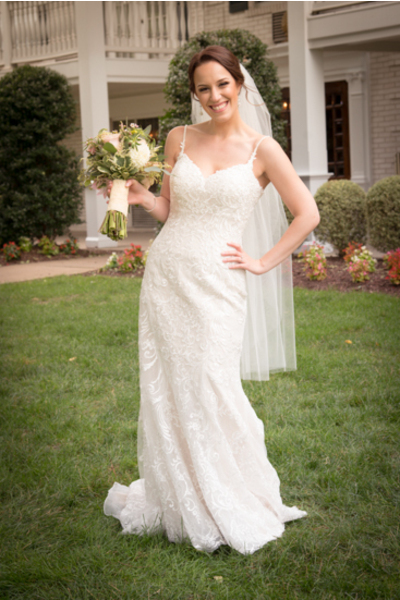 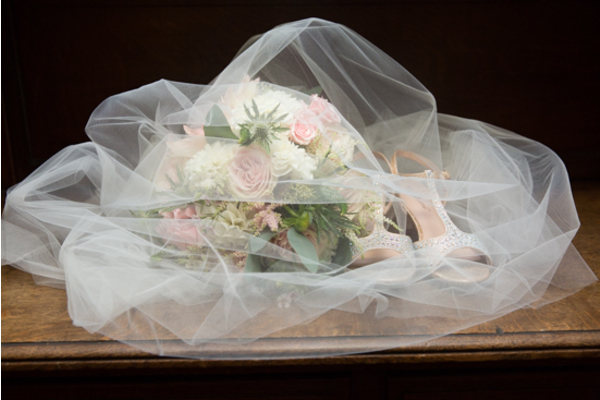 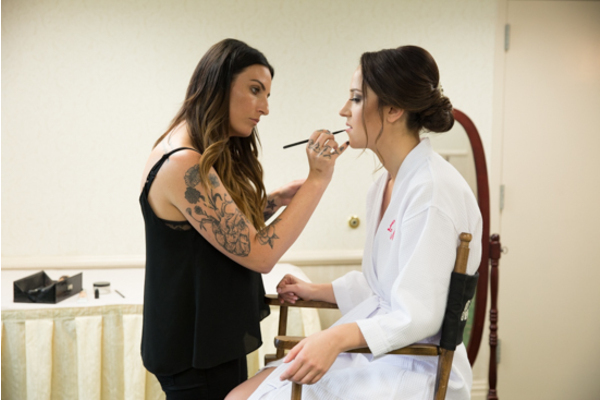 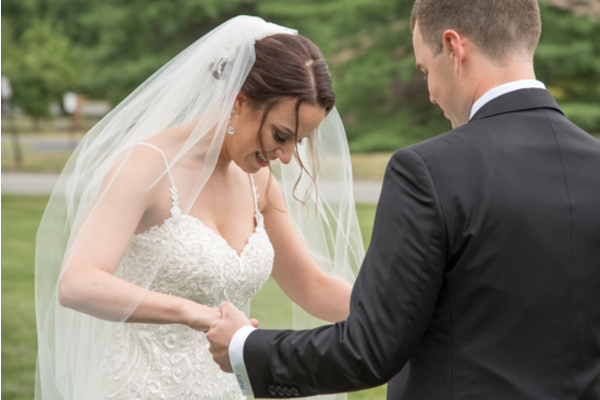 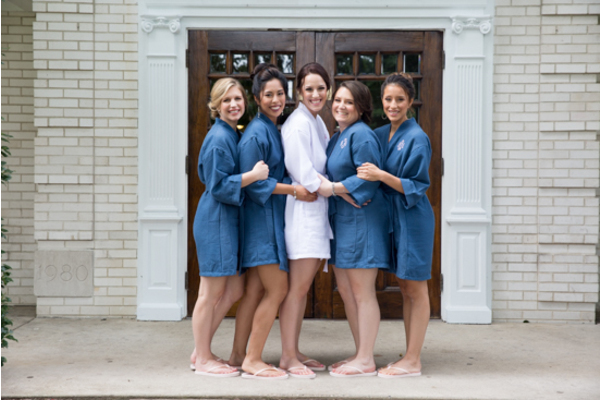 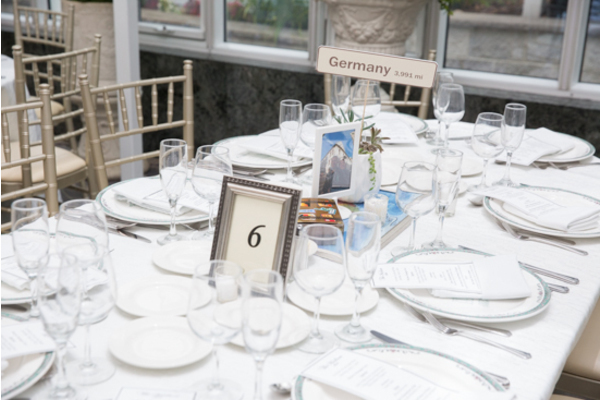 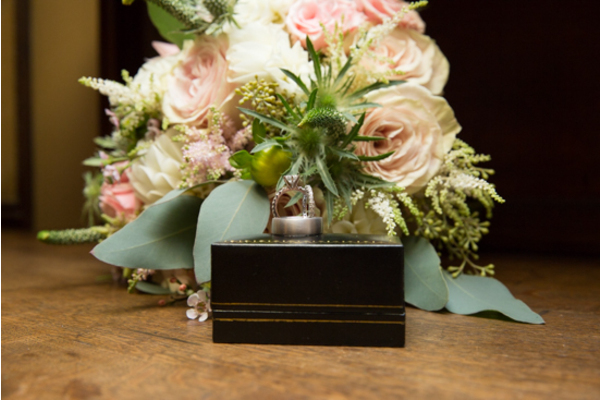 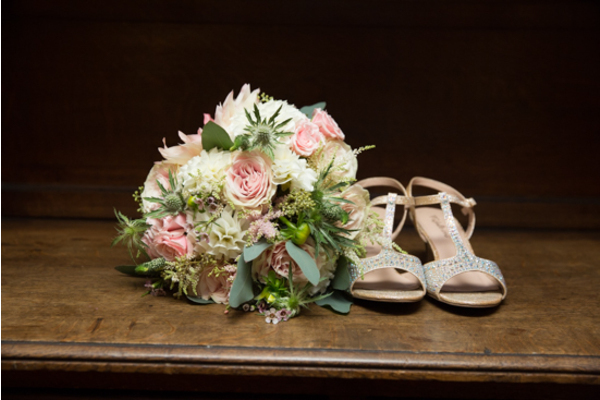 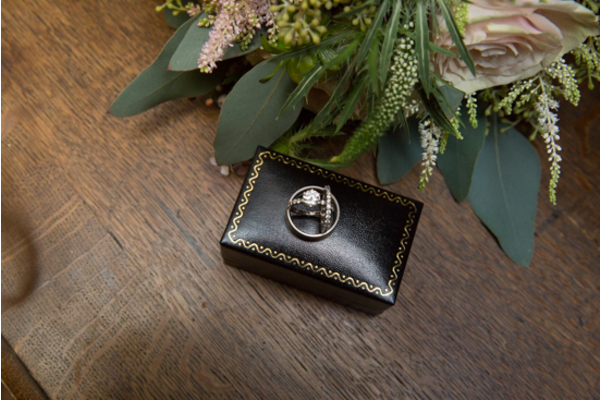 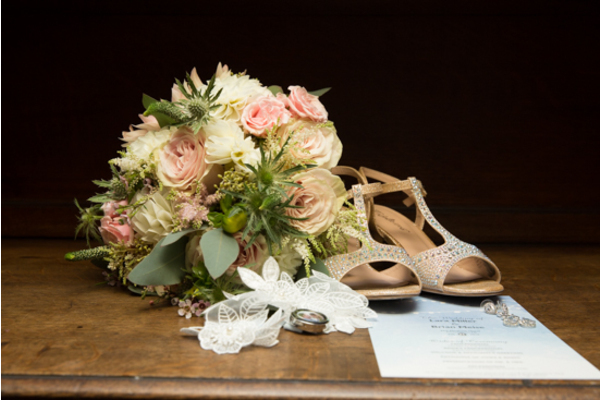 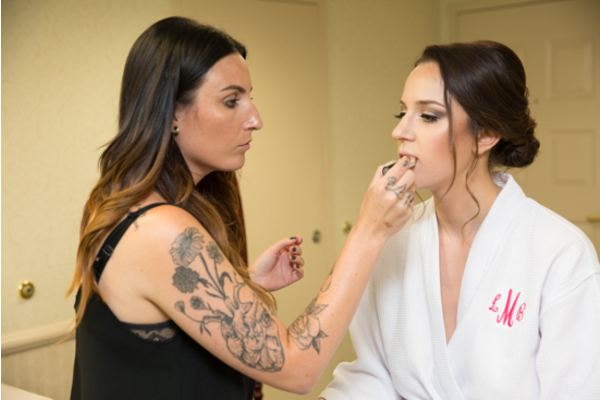 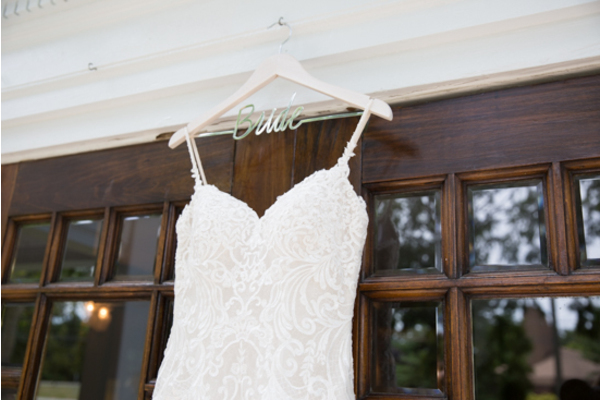 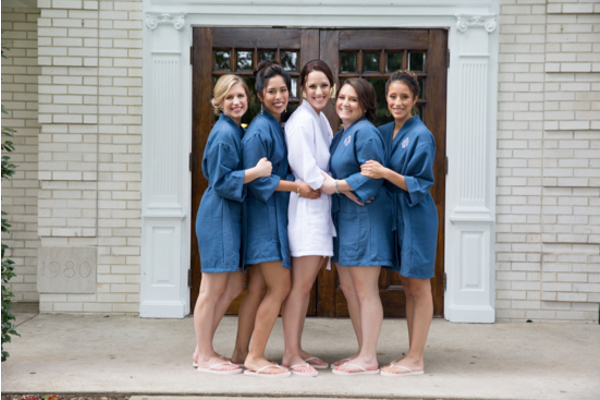 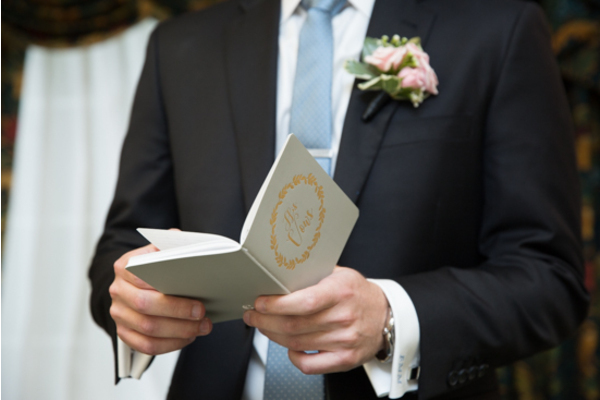 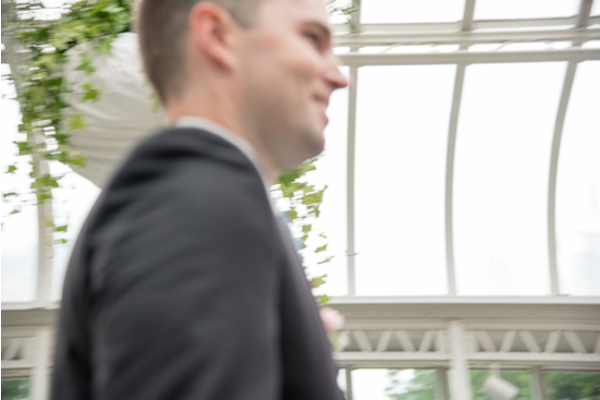 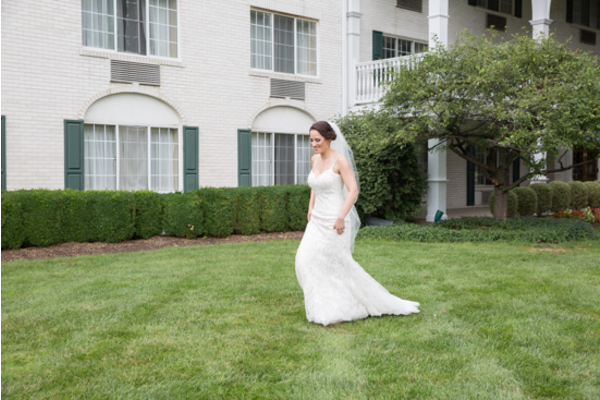 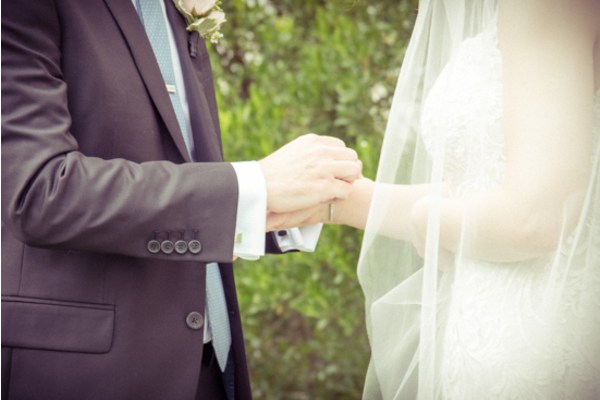 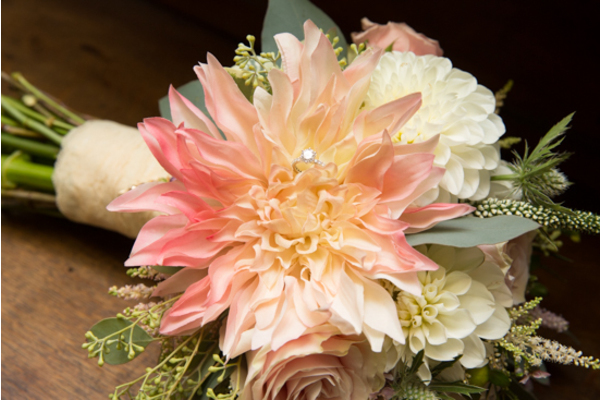 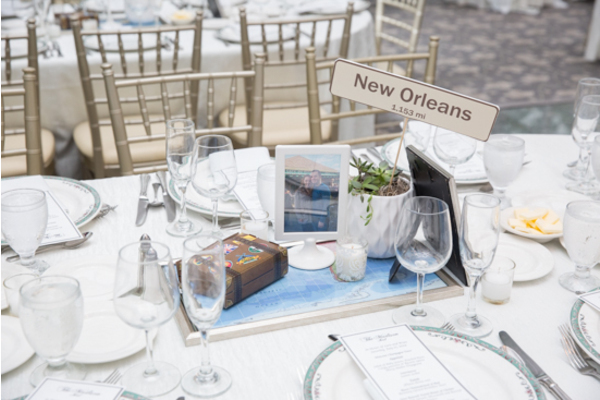 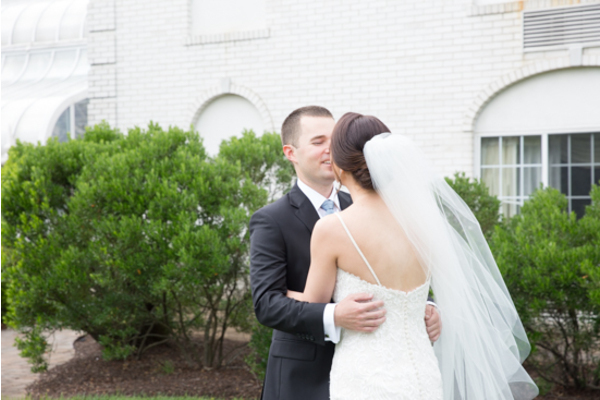 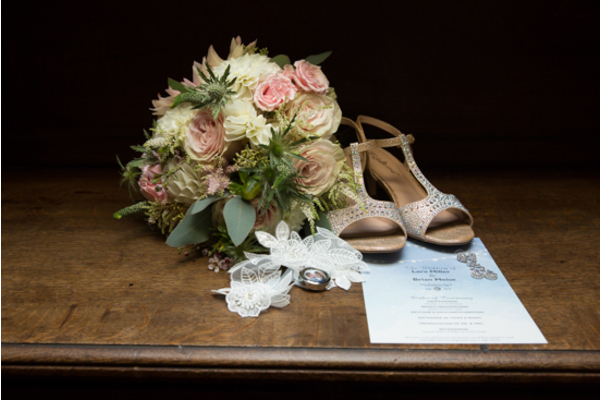 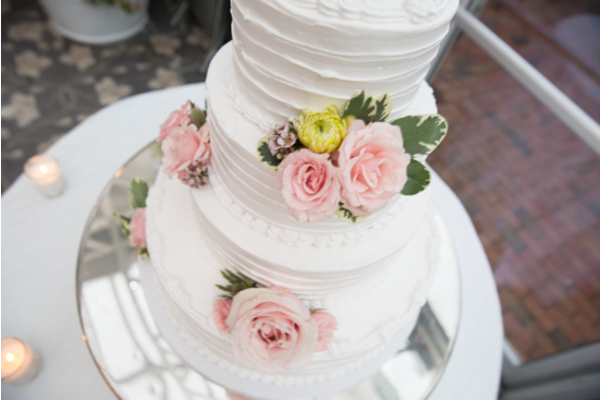 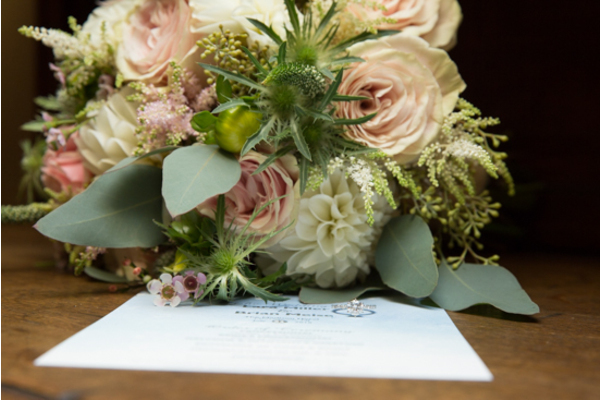 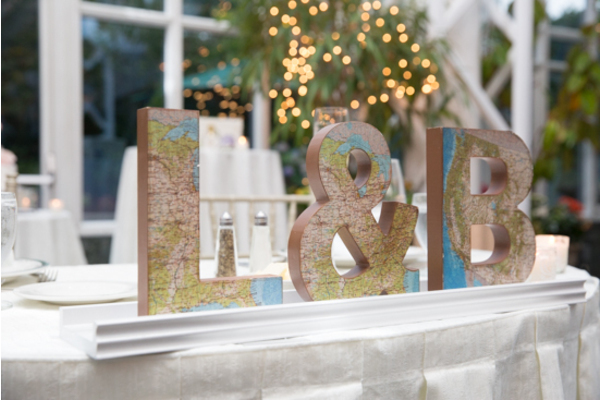 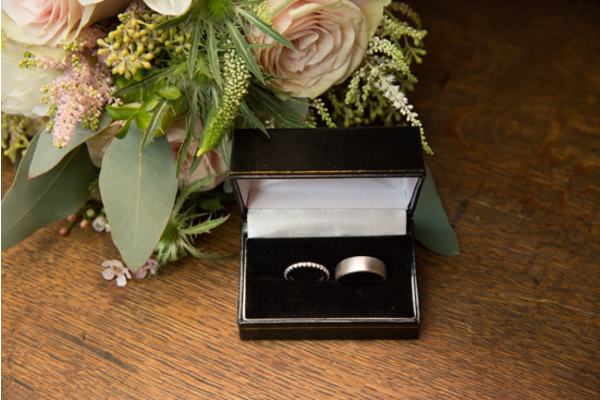 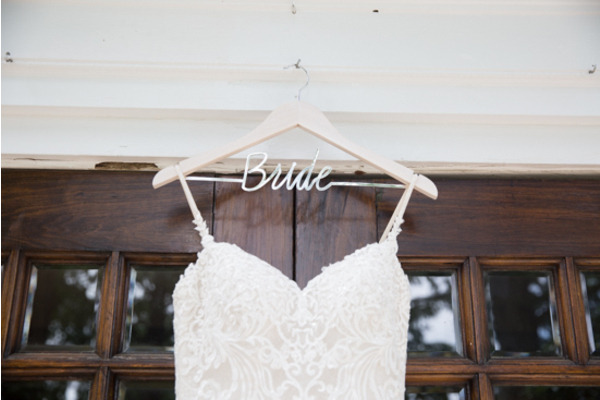 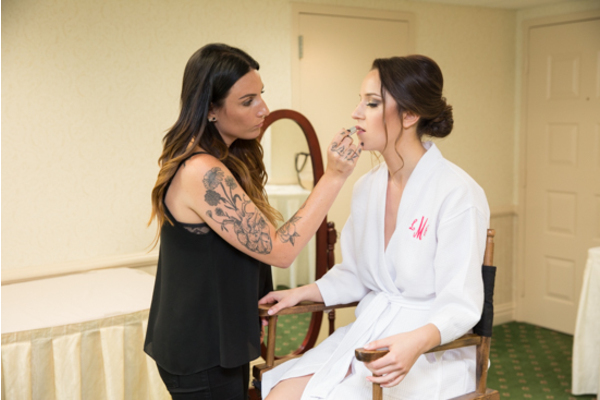 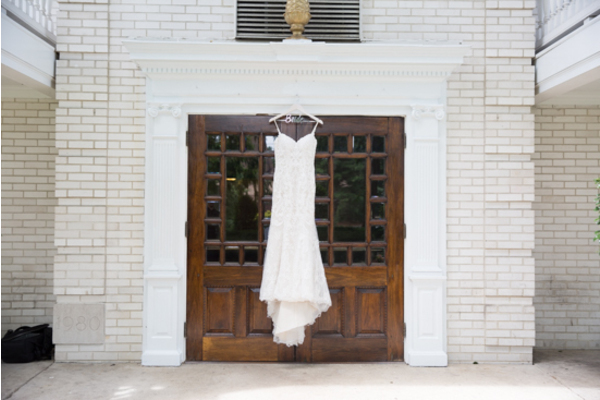 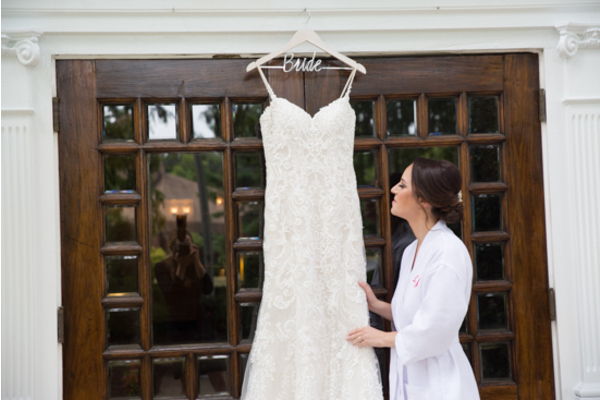 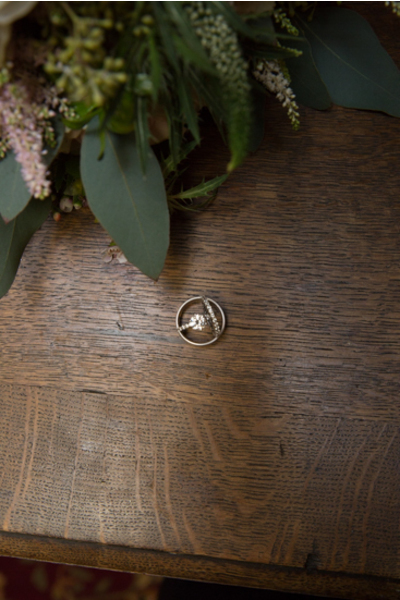 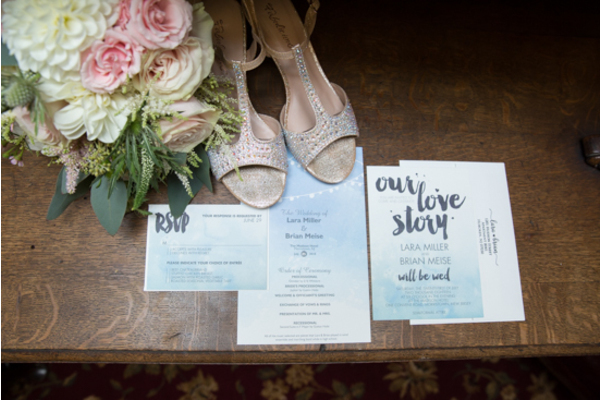 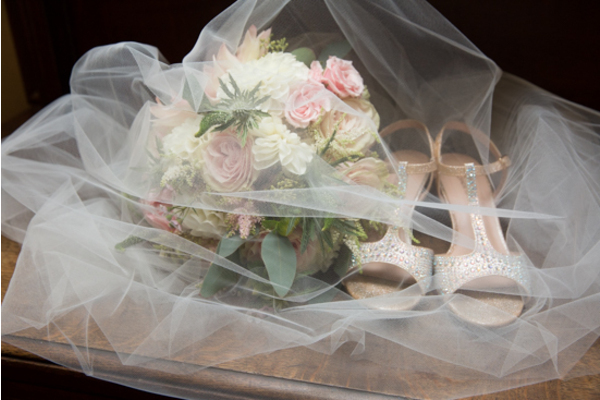 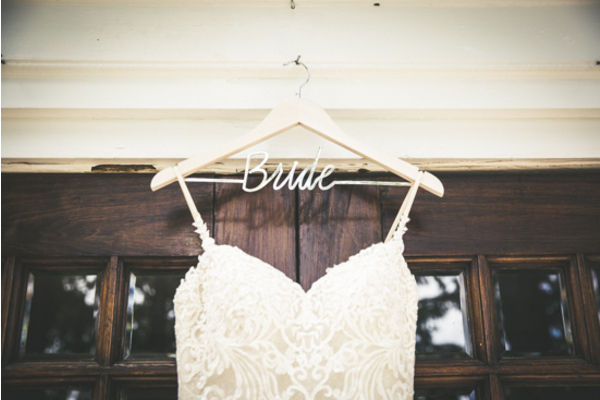 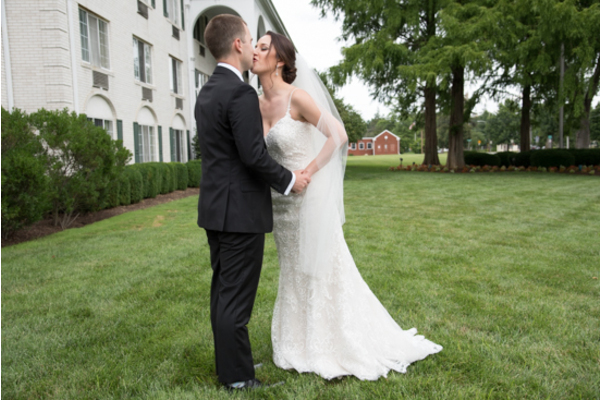 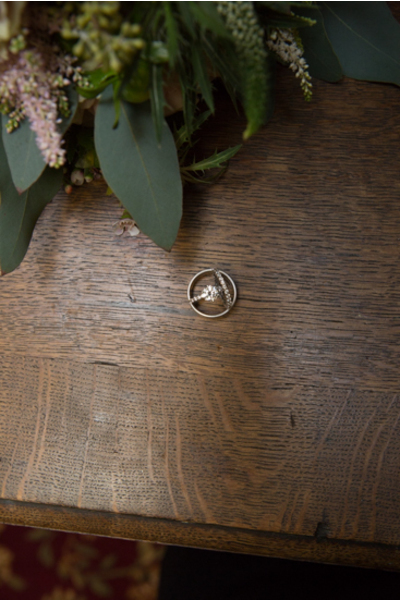 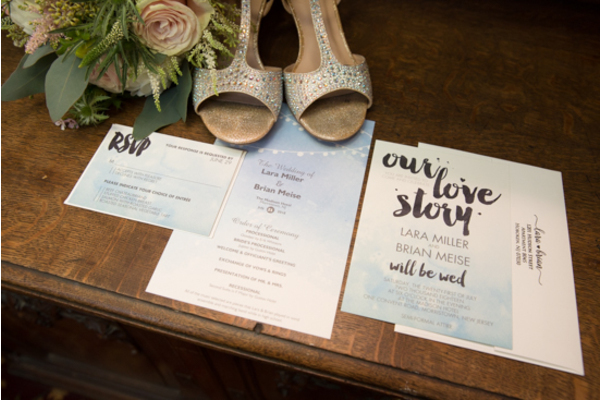 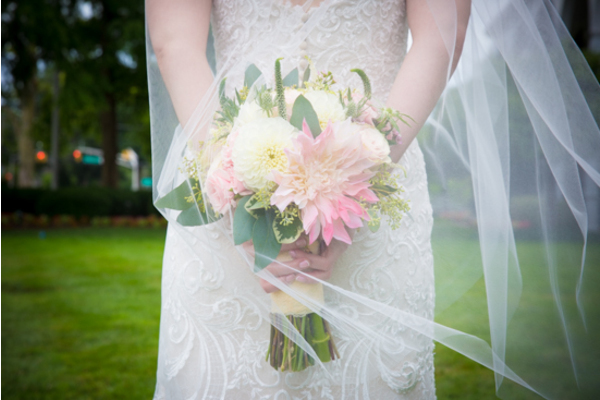 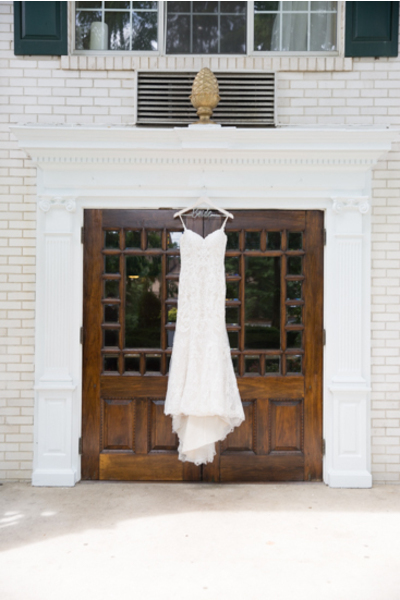 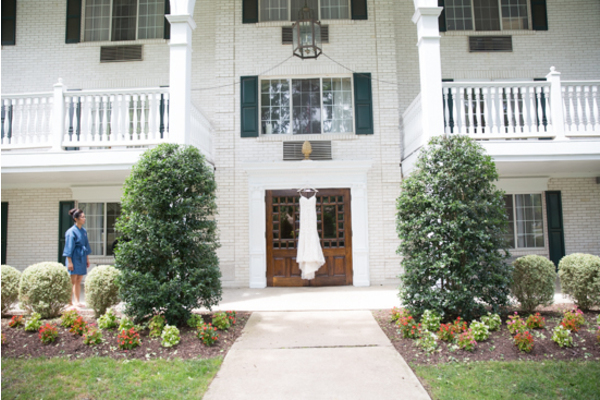 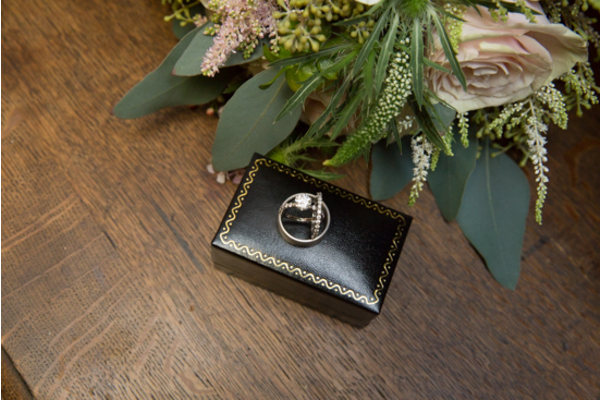 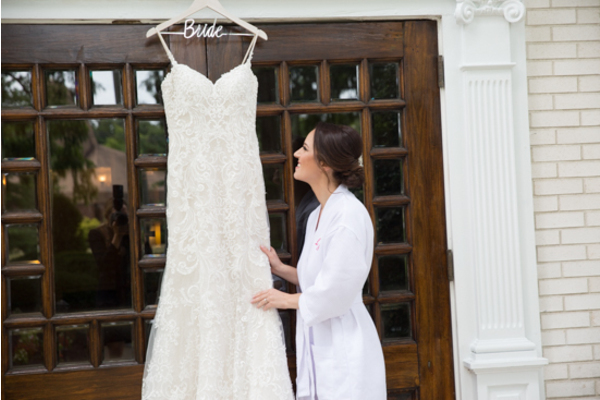 When finishing touches came to a close, the couple was ready to head off to their first look! 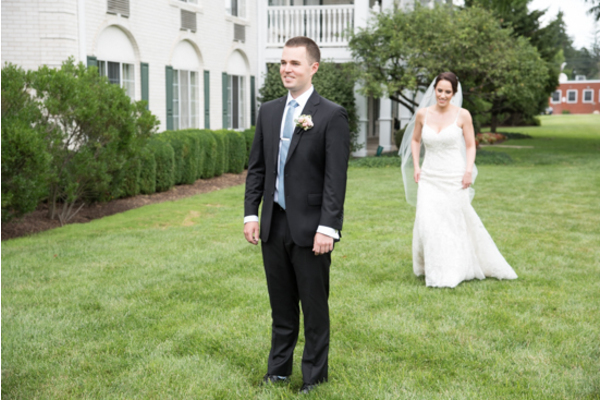 With the sound of Lara’s footsteps growing closer, Brian’s smile grew from ear to ear. 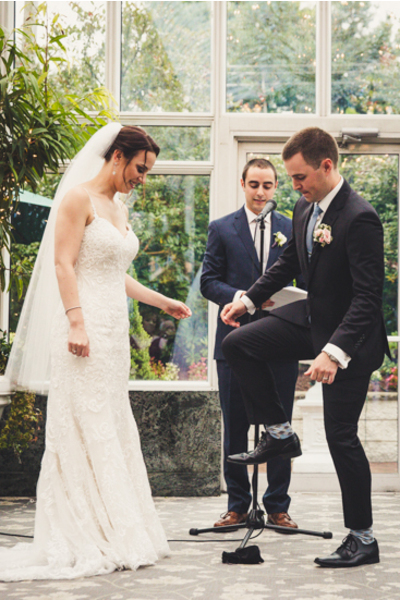 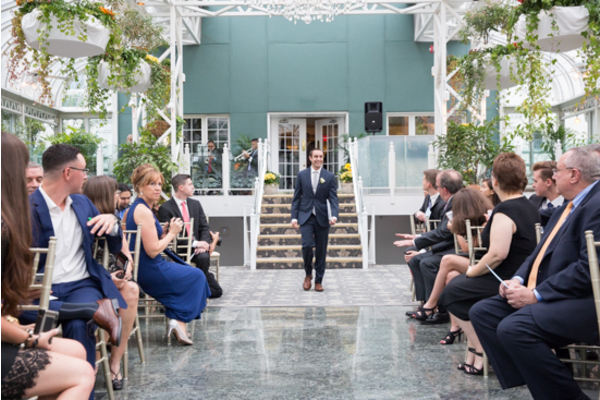 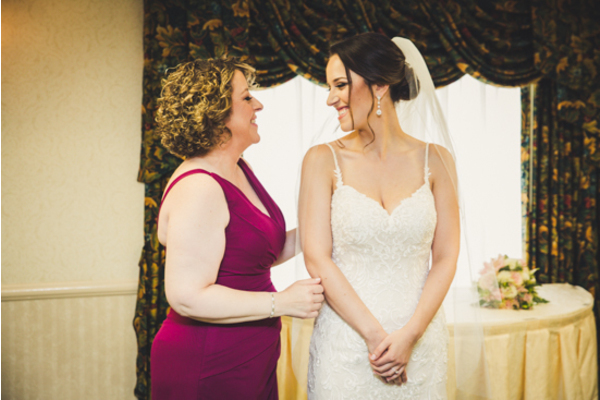 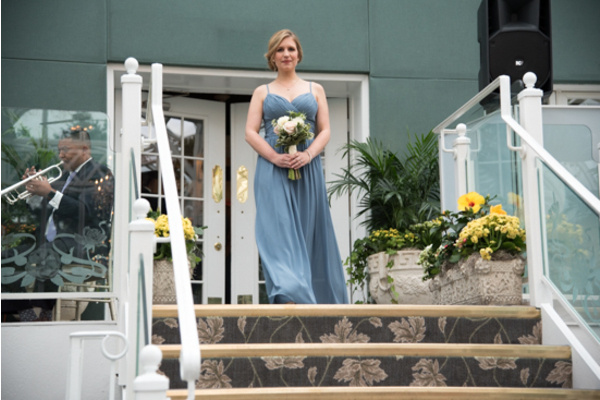 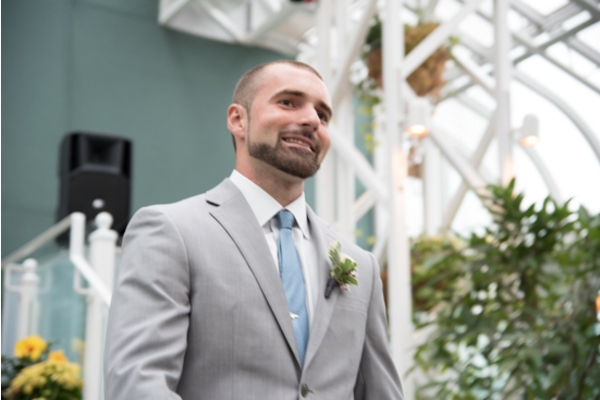 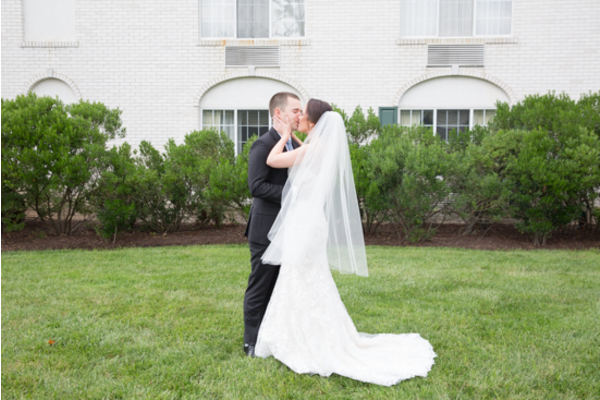 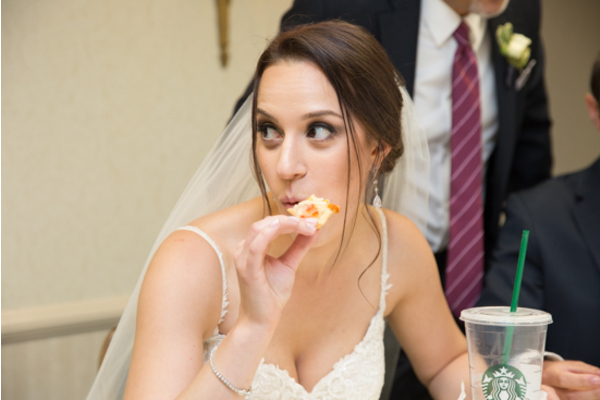 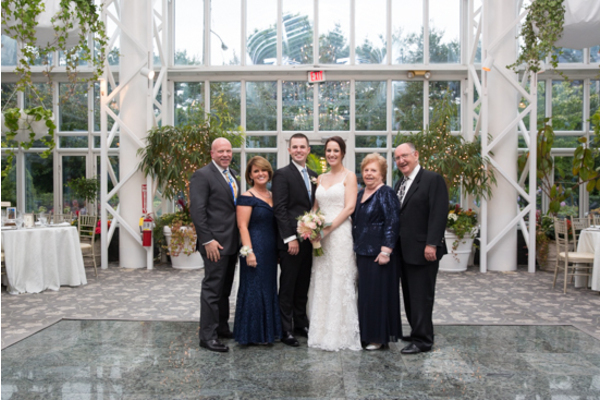 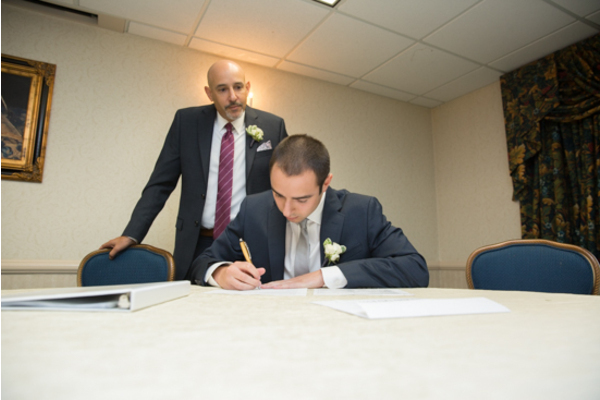 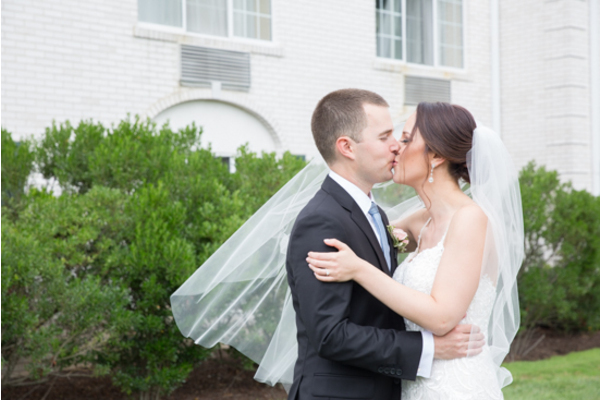 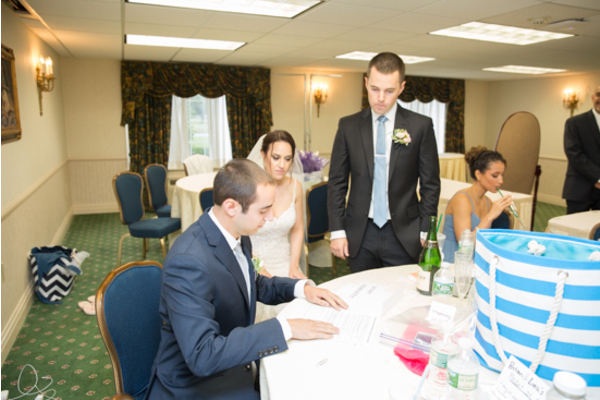 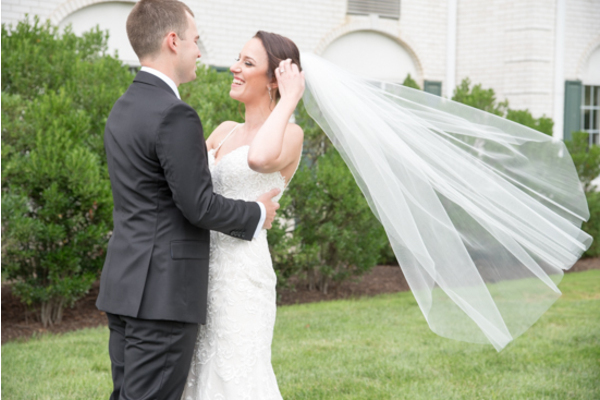 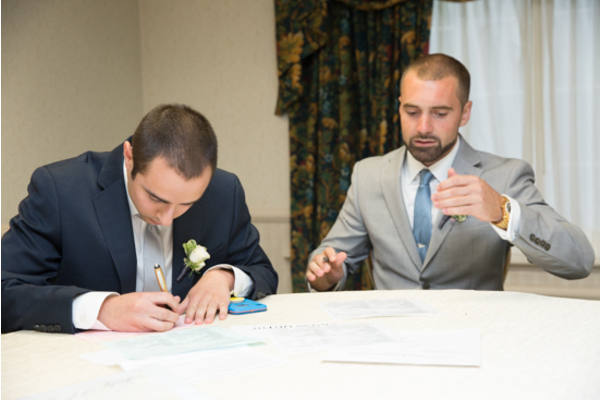 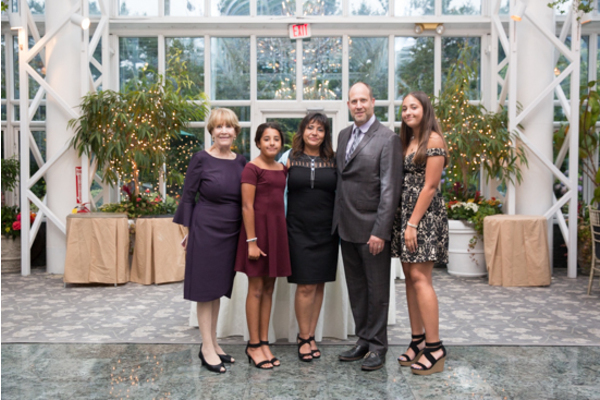 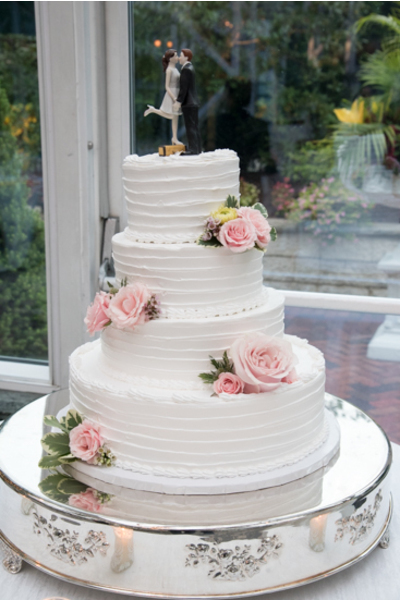 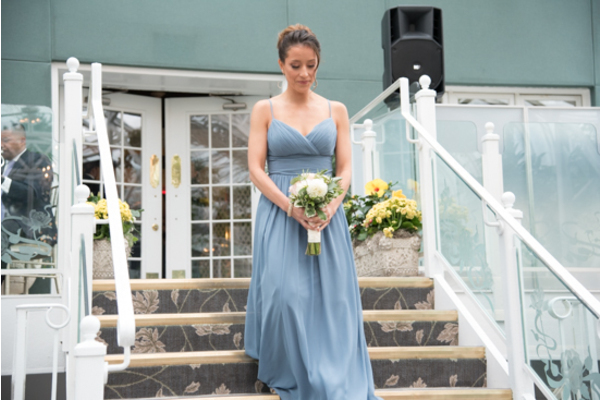 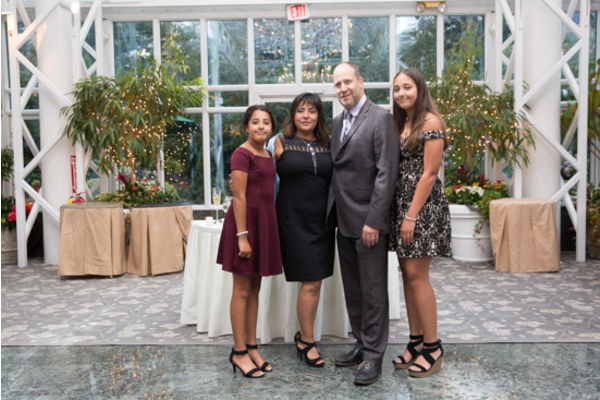 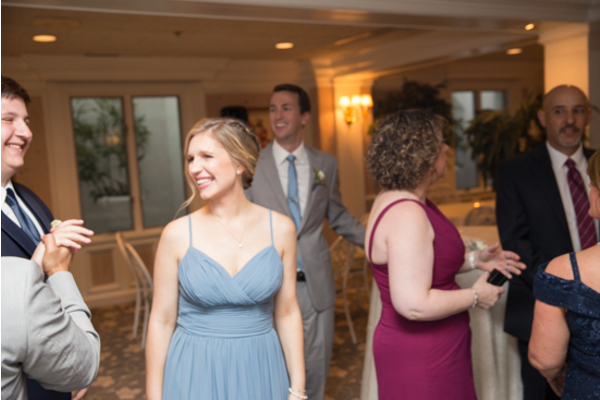 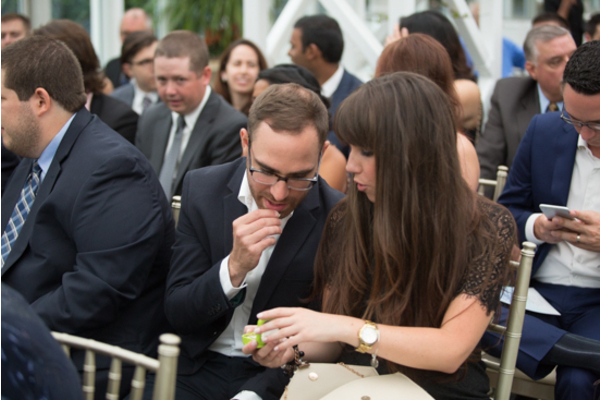 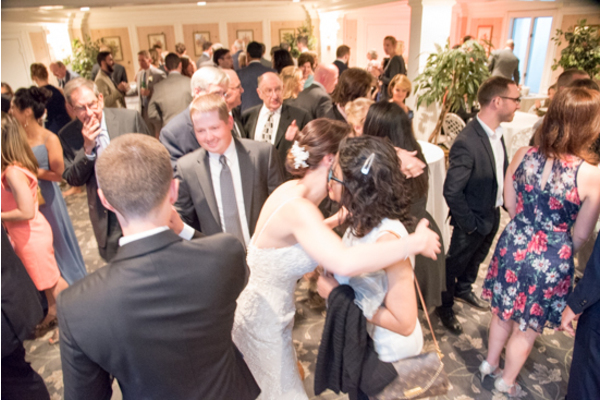 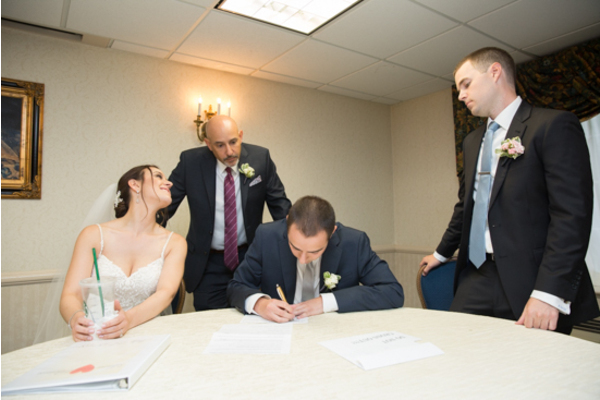 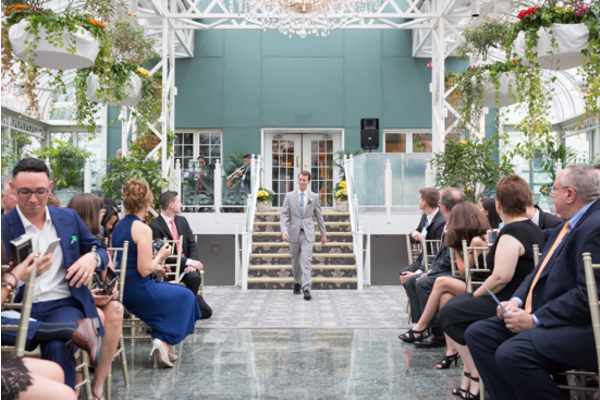 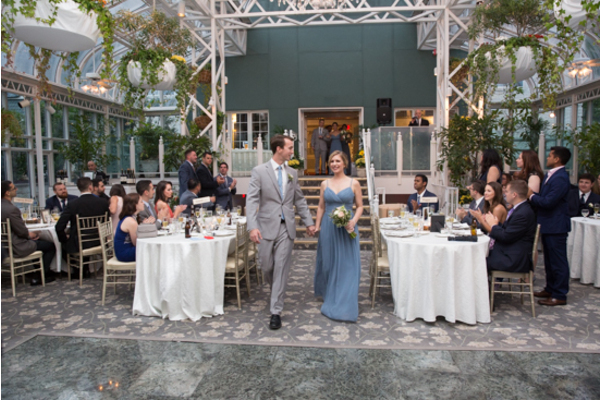 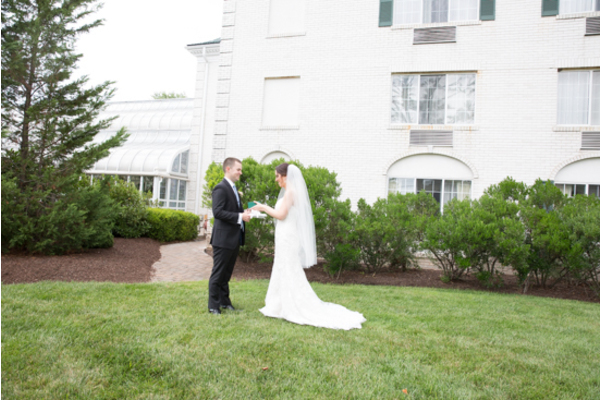 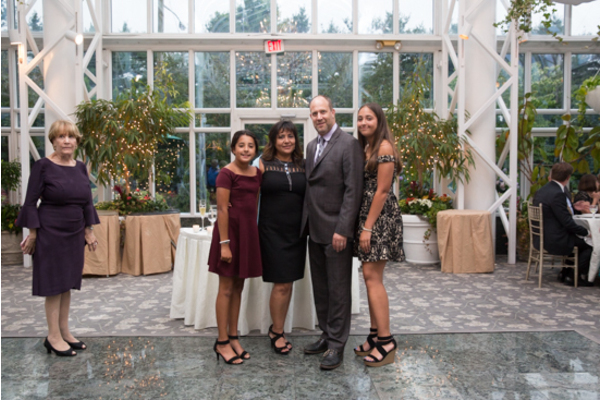 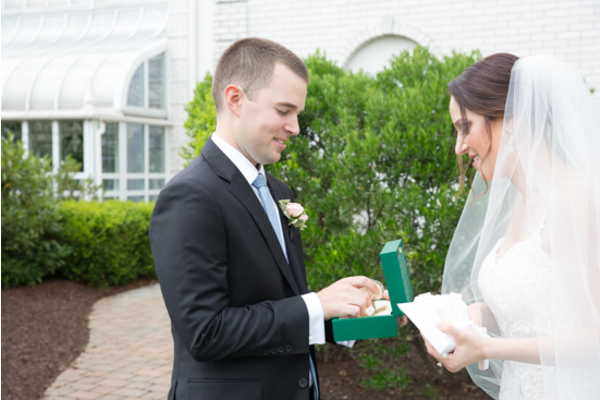 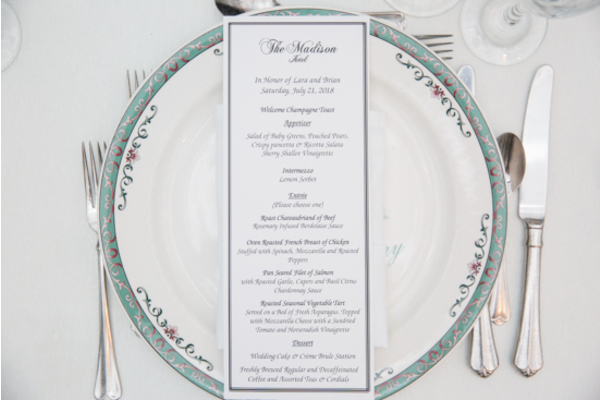 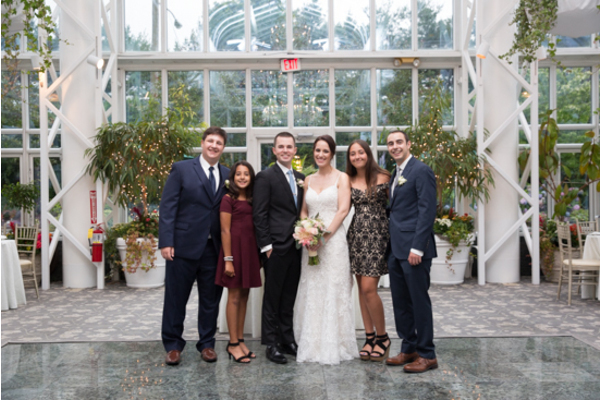 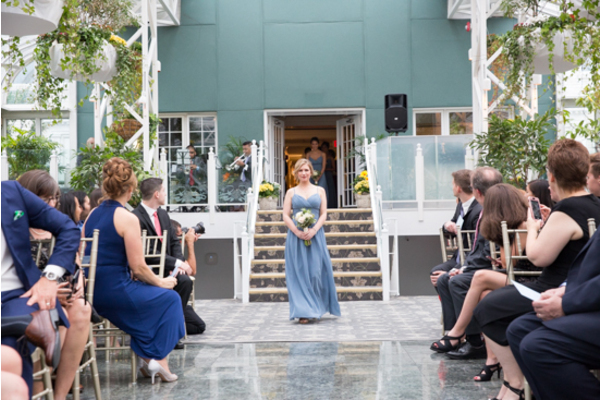 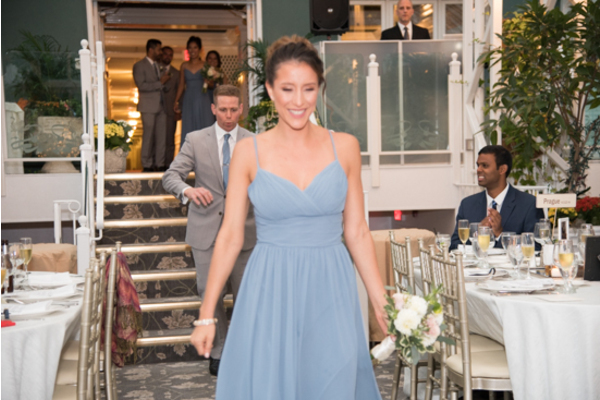 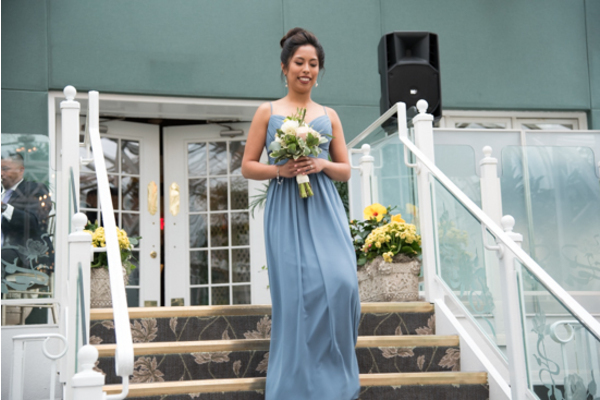 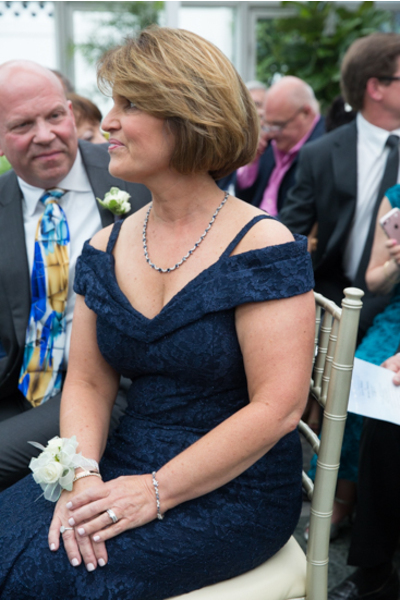 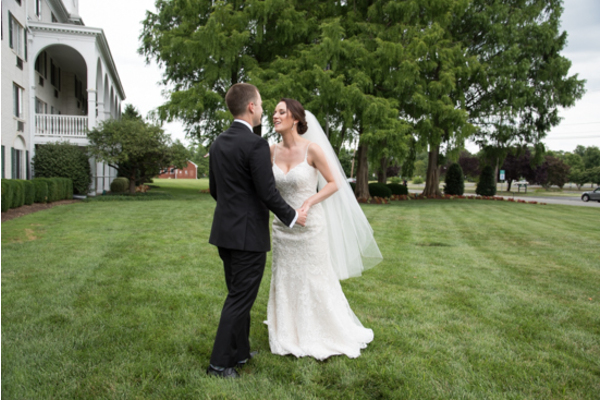 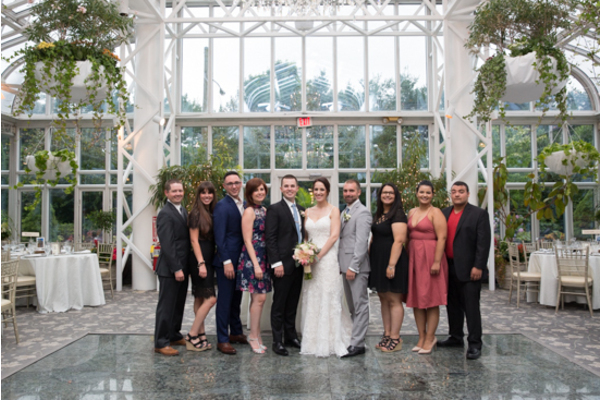 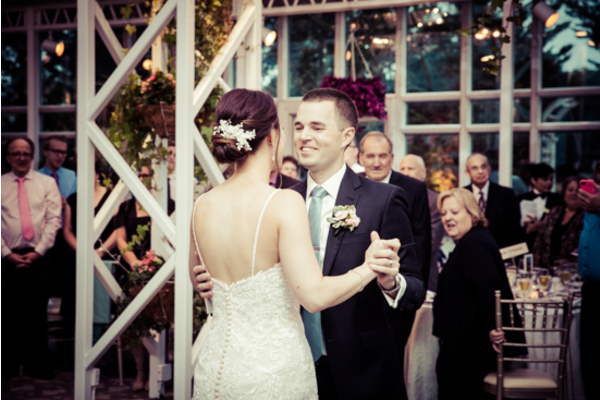 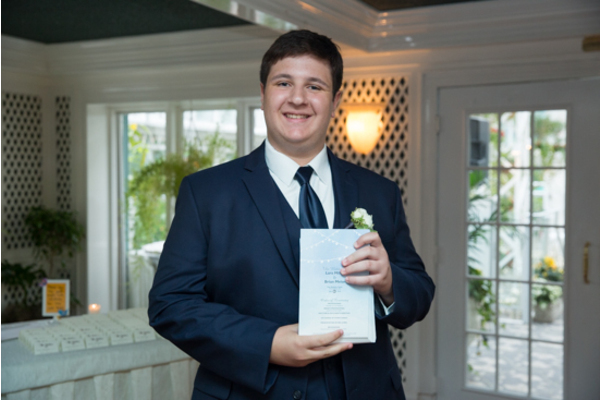 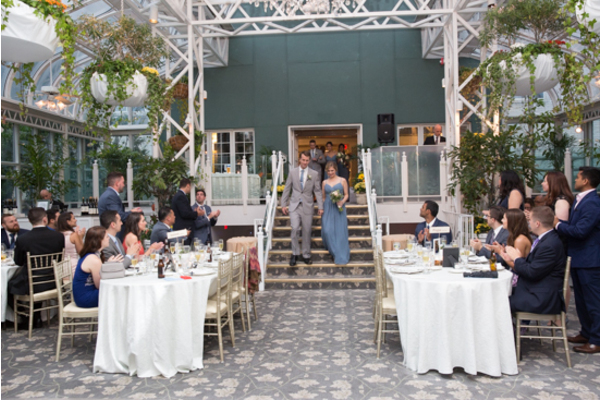 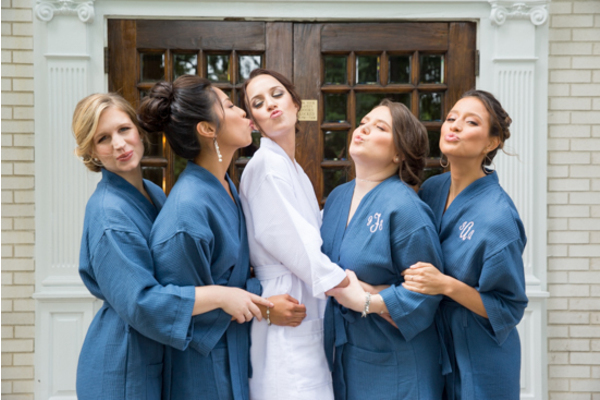 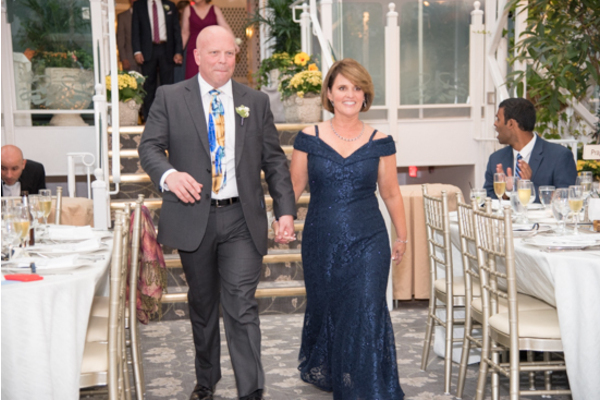 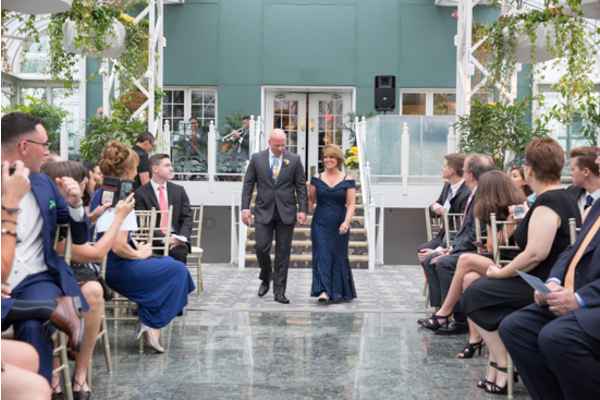 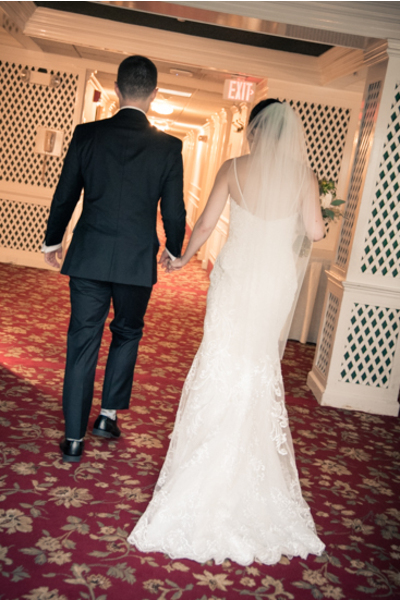 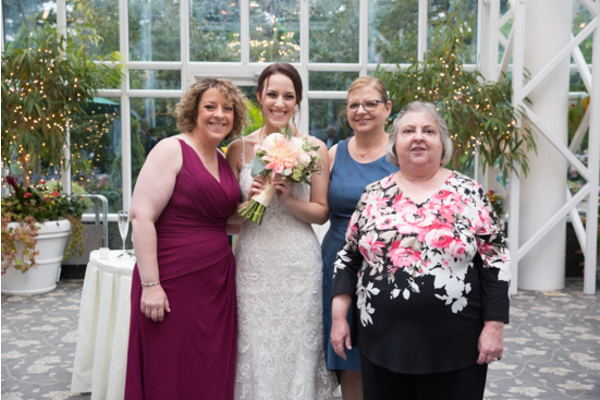 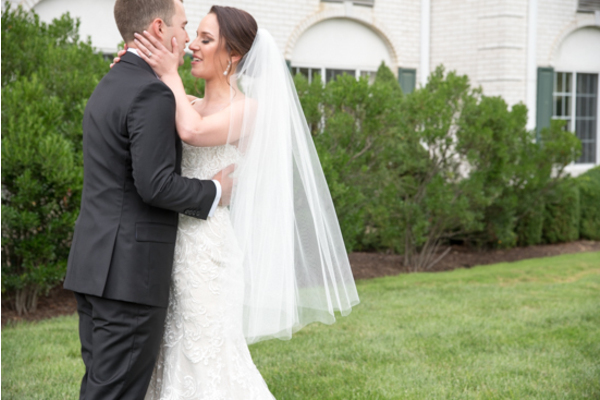 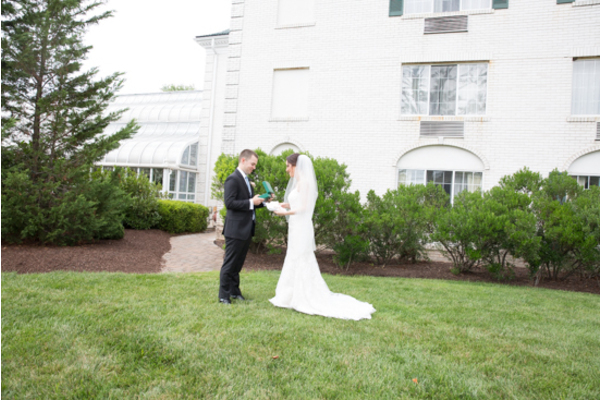 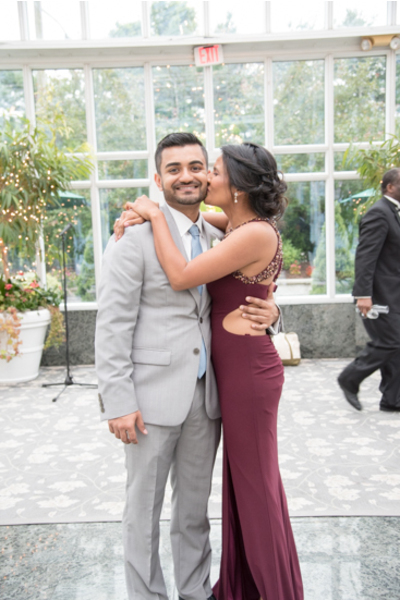 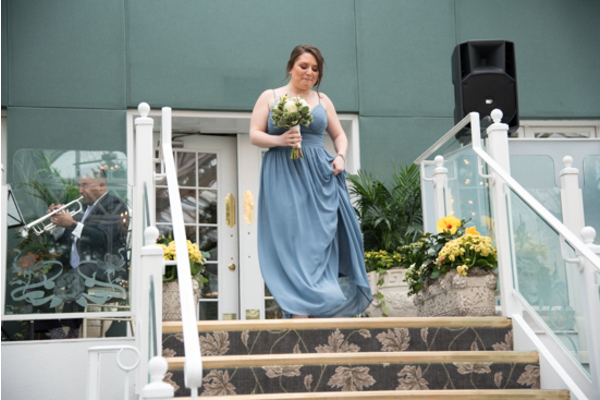 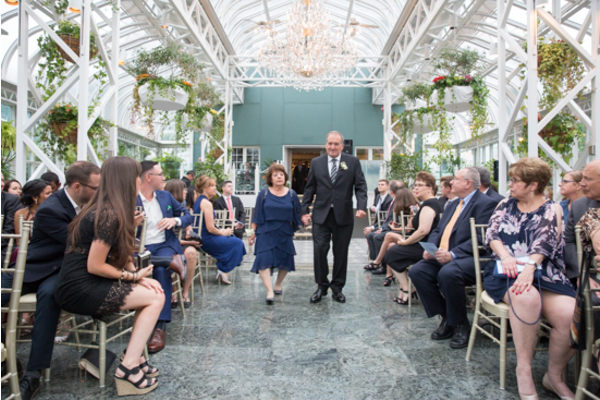 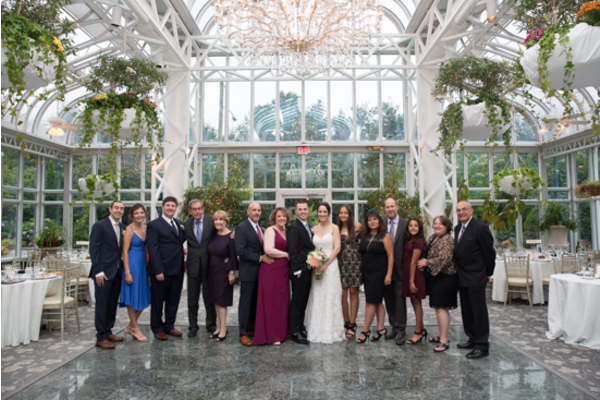 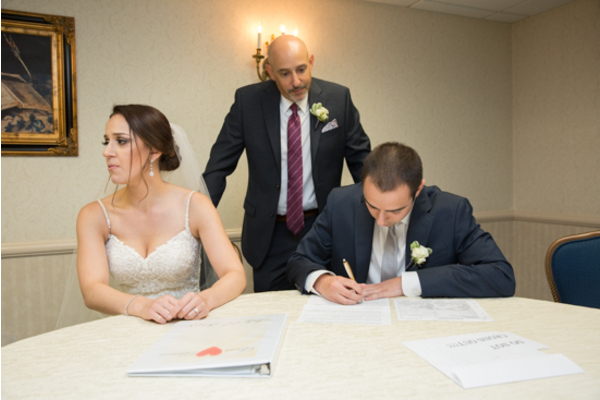 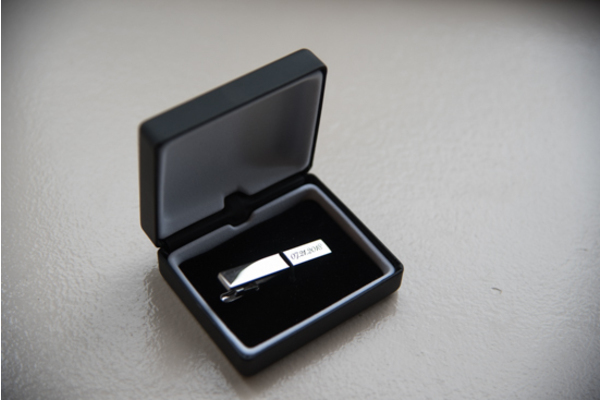 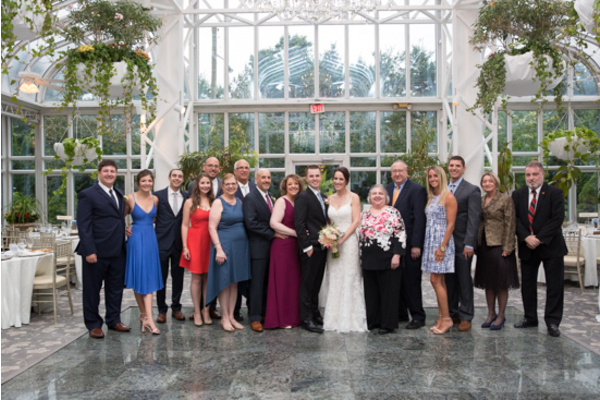 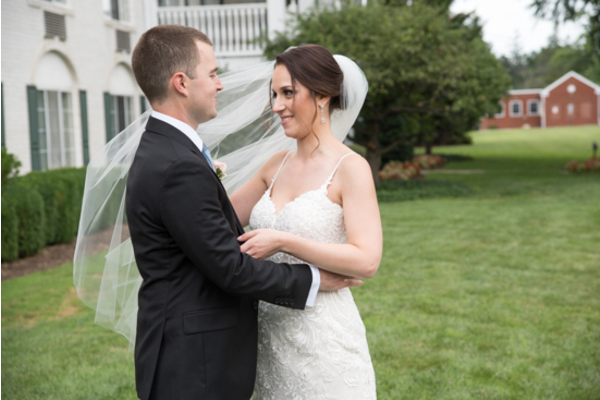 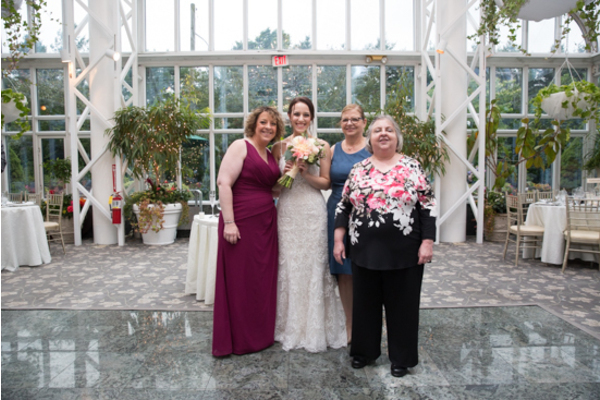 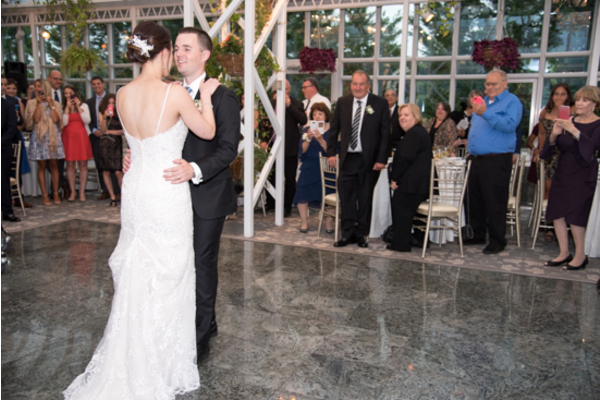 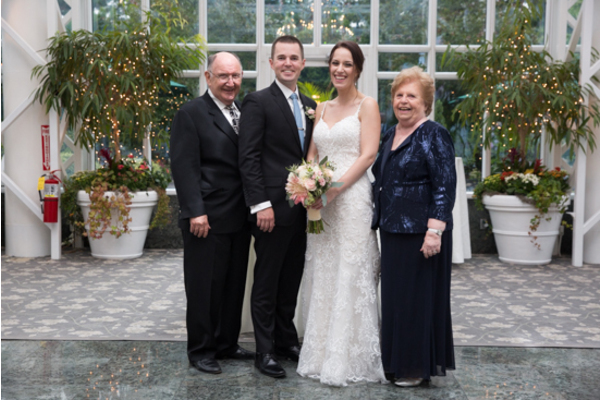 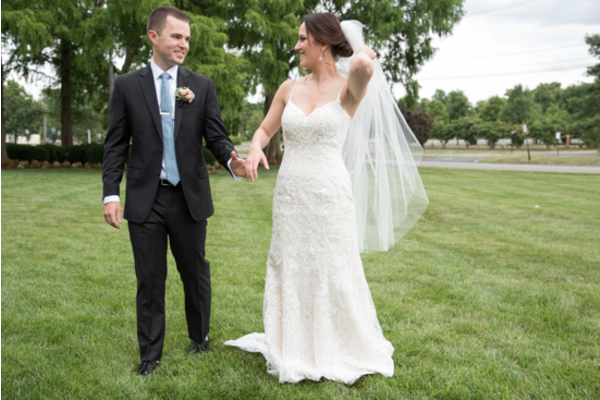 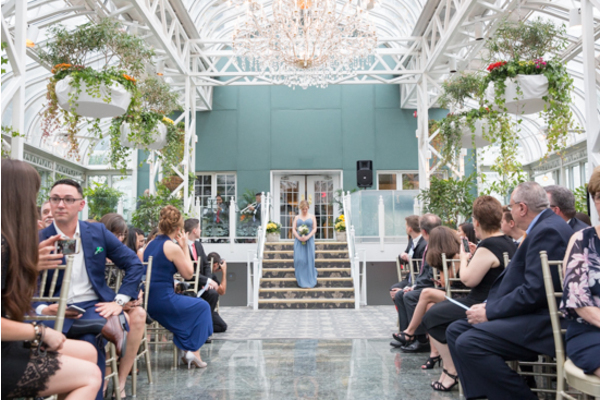 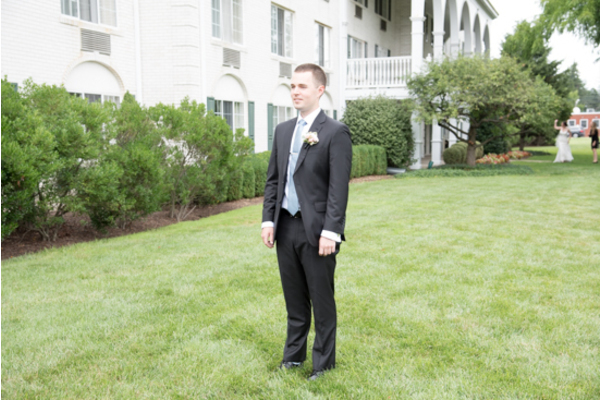 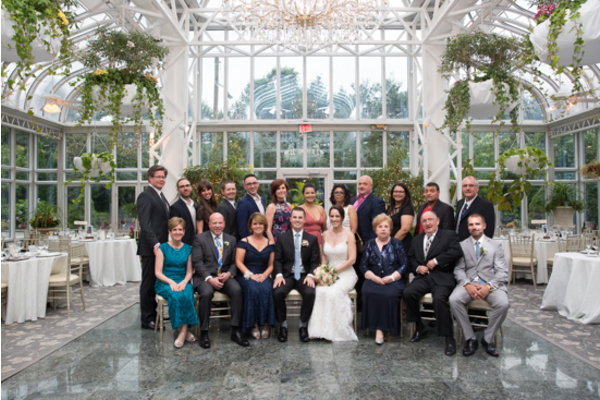 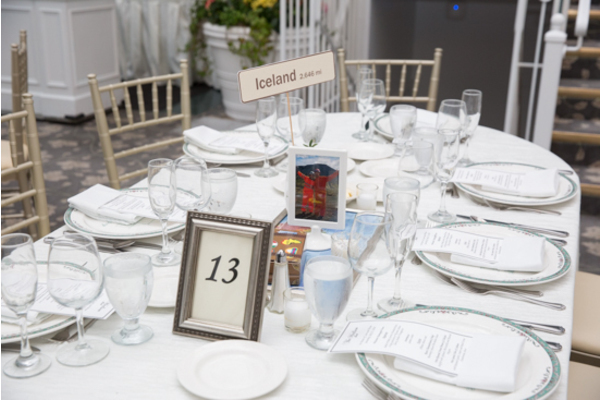 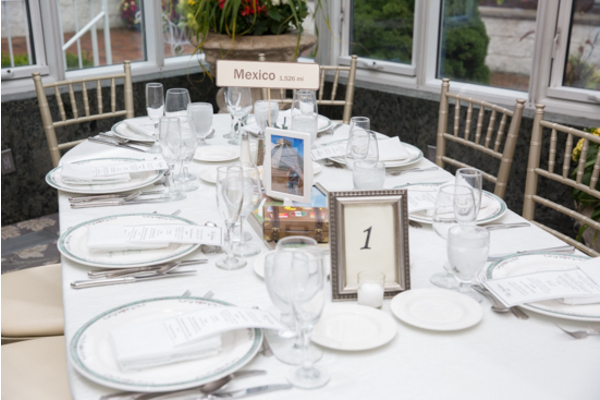 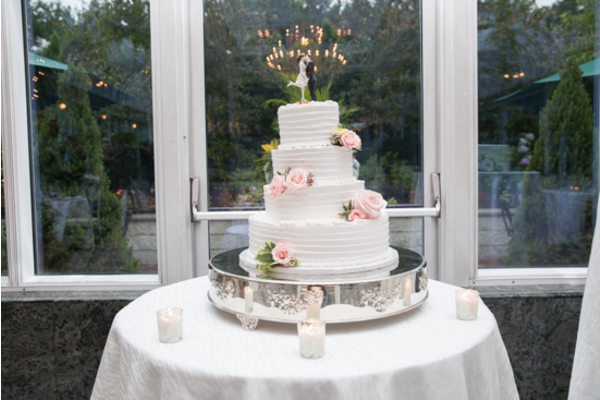 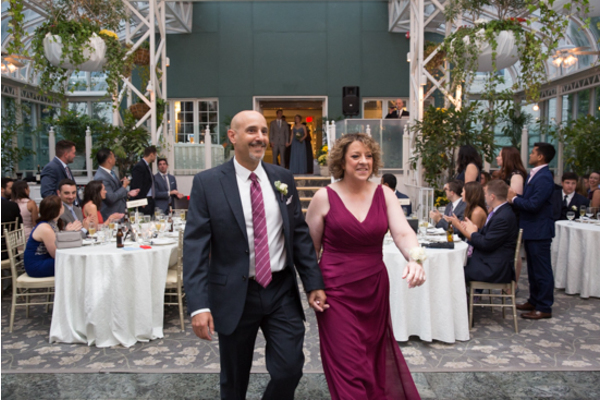 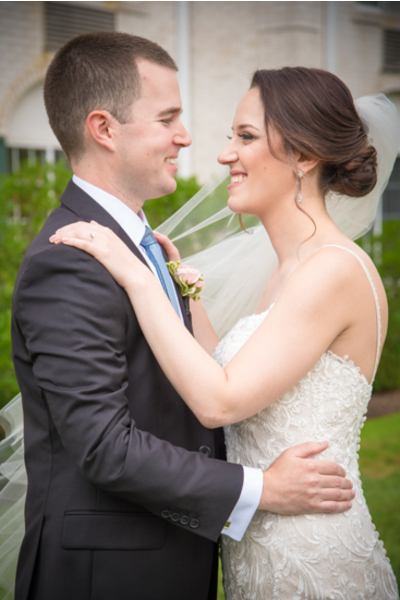 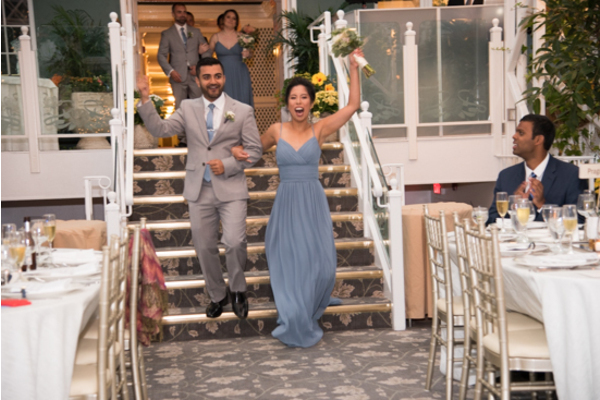 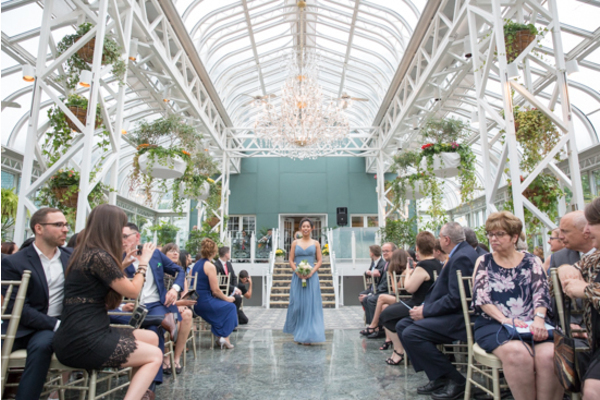 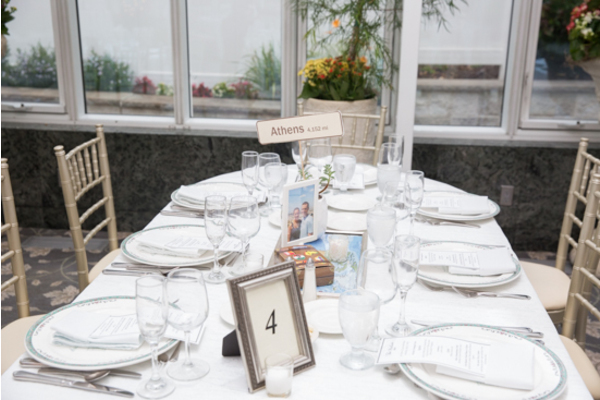 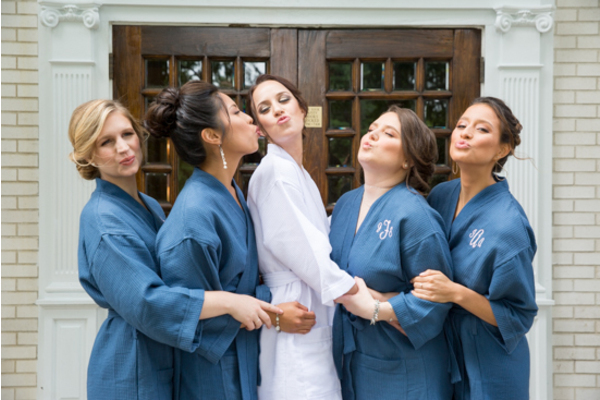 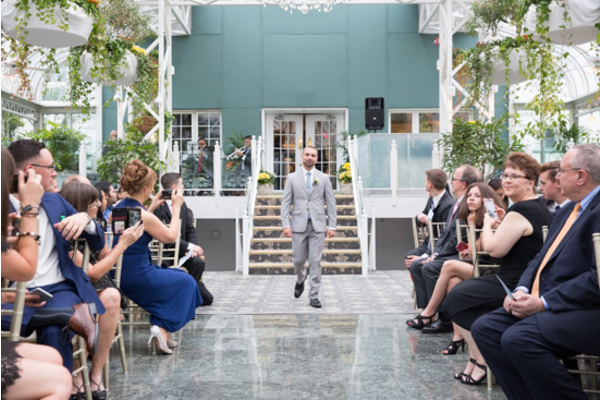 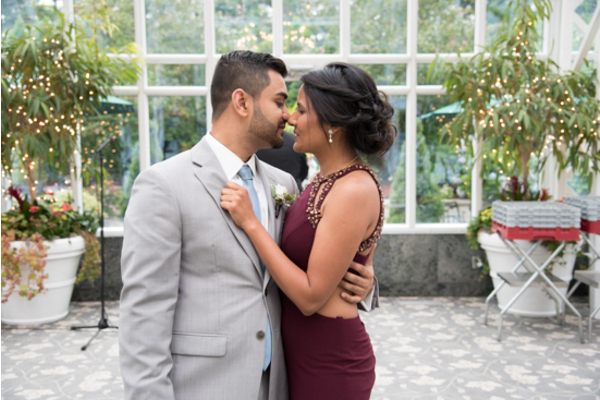 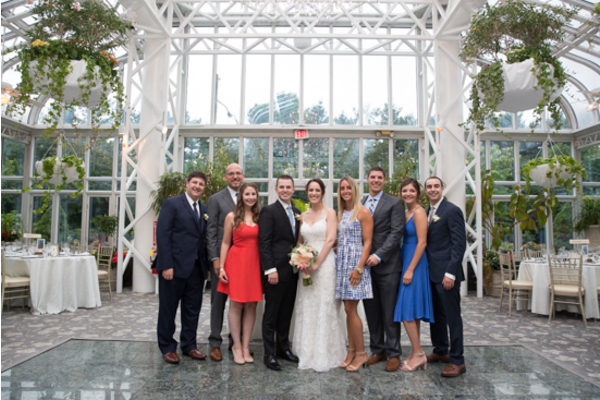 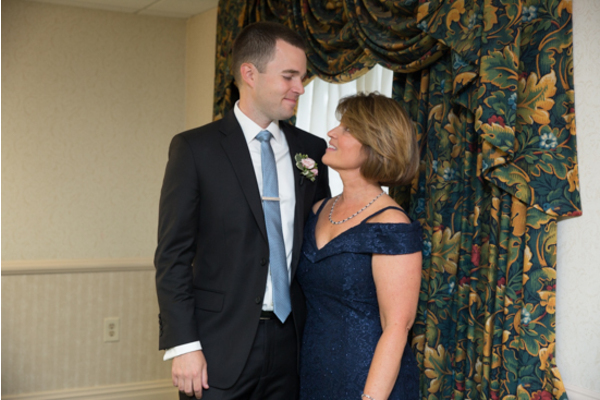 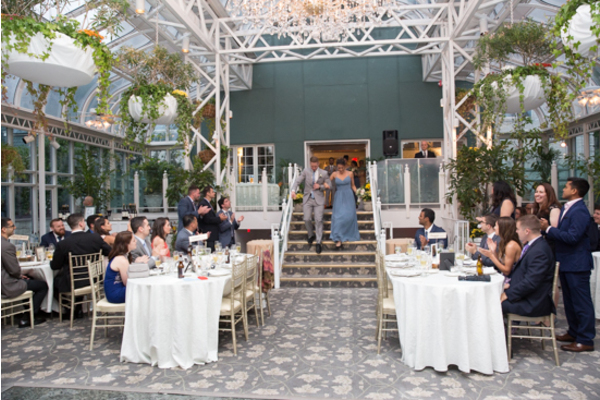 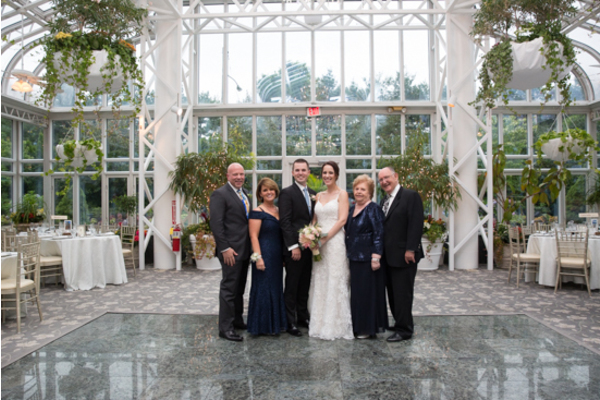 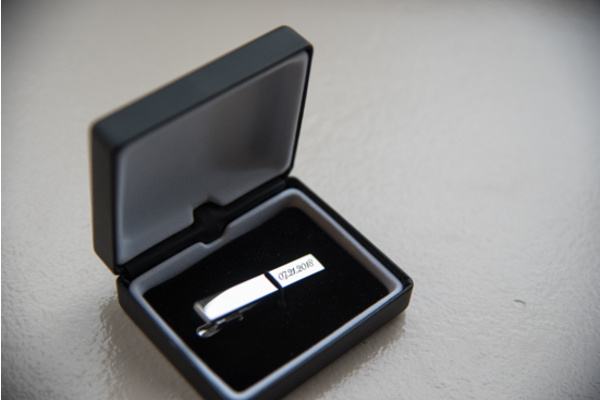 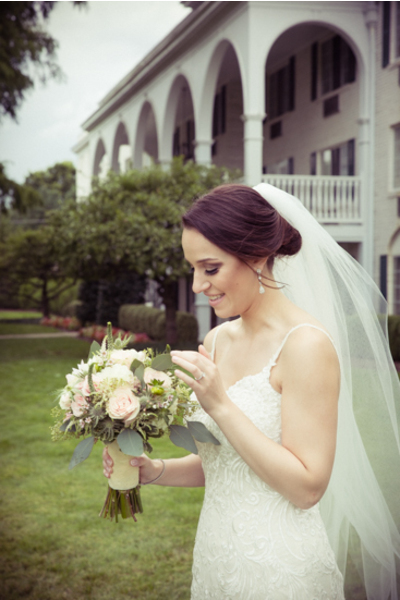 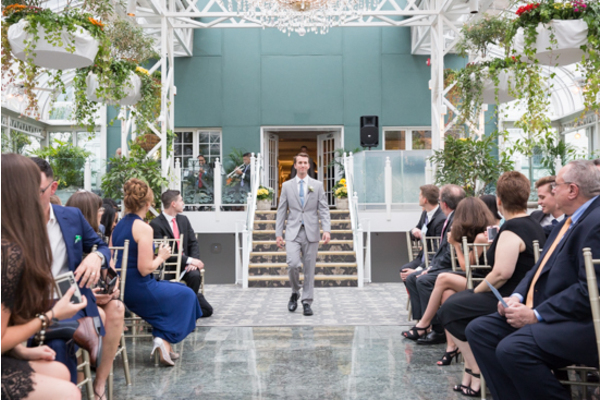 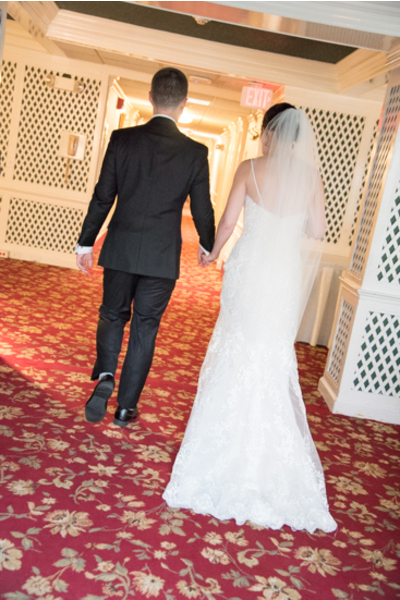 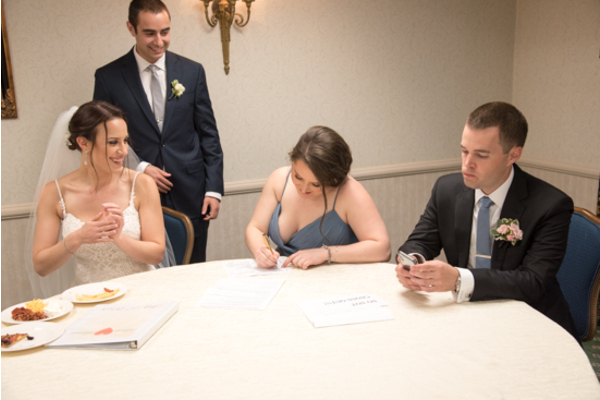 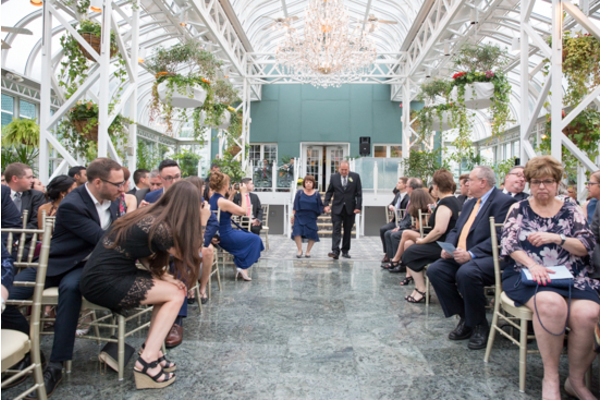 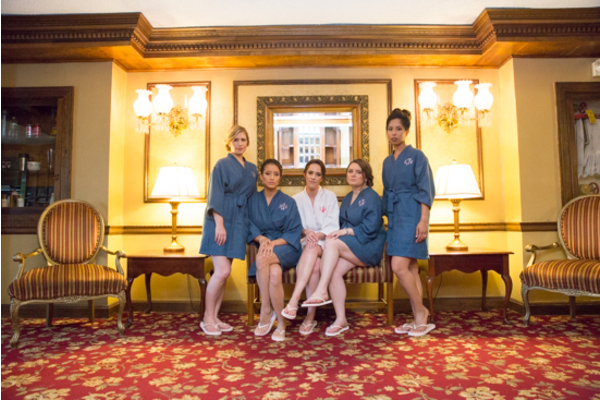 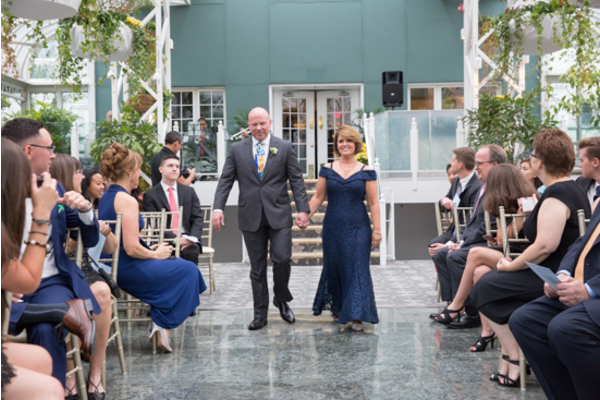 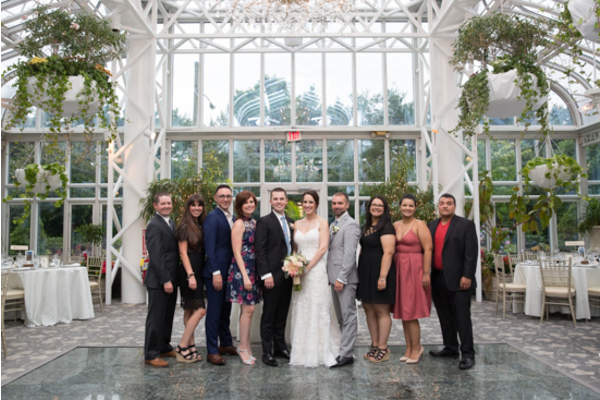 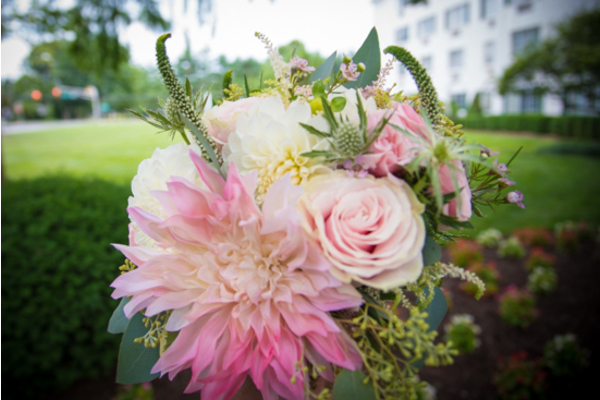 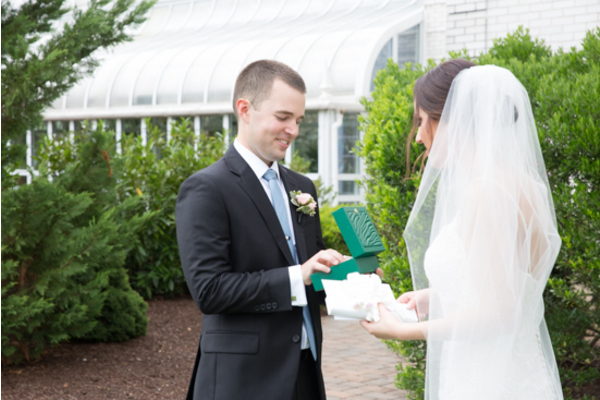 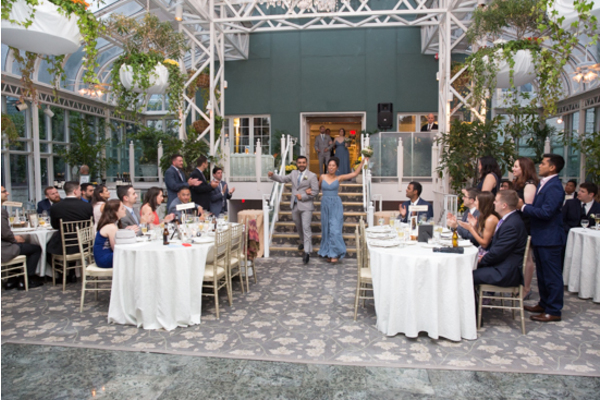 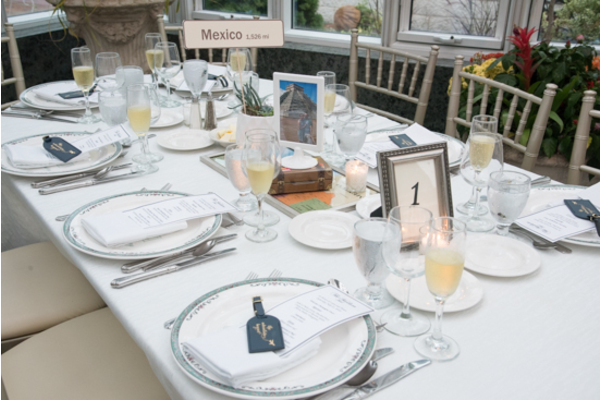 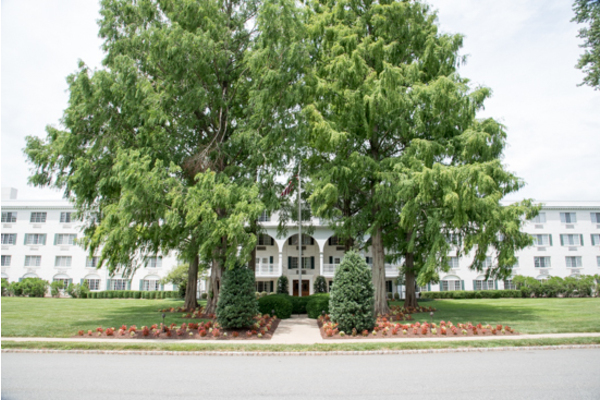 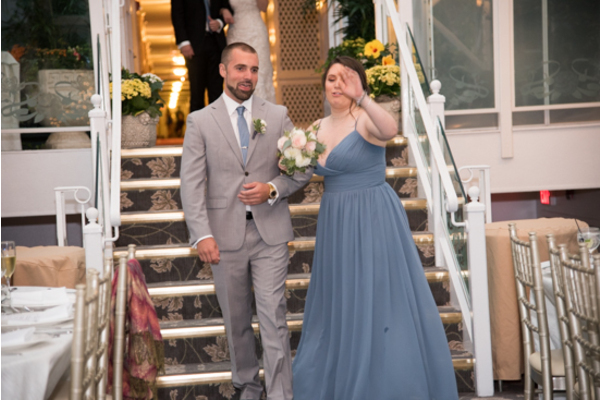 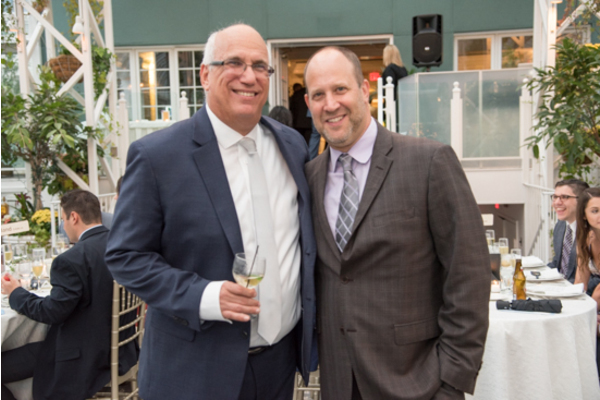 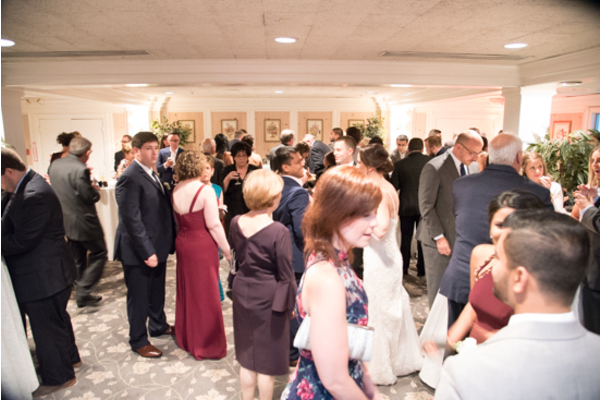 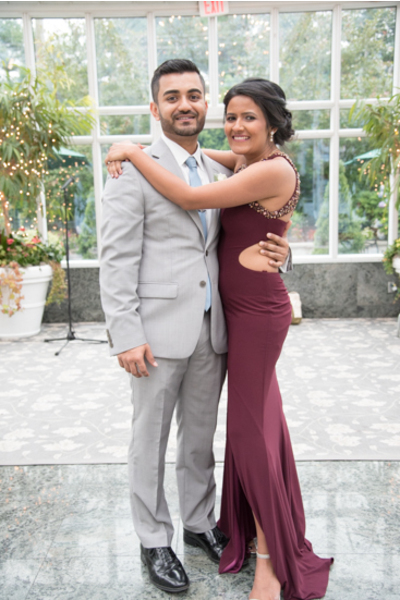 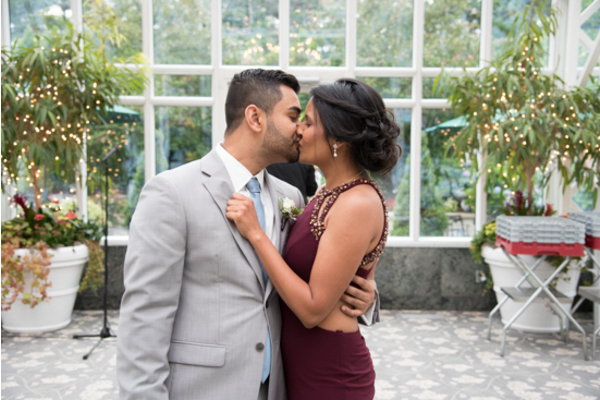 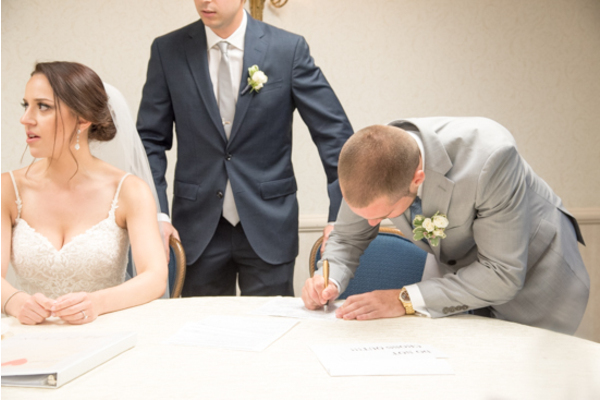 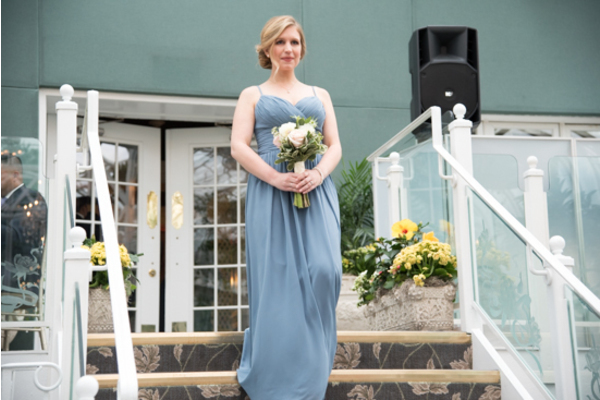 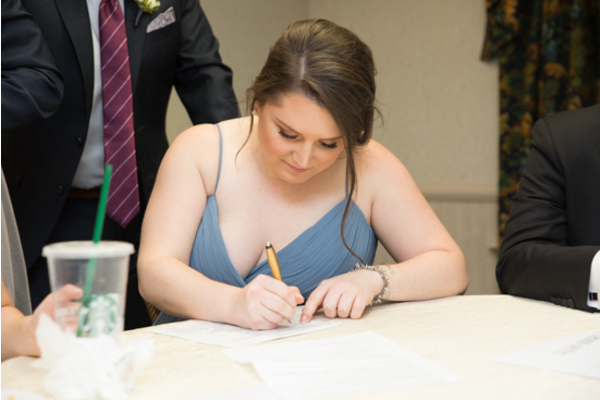 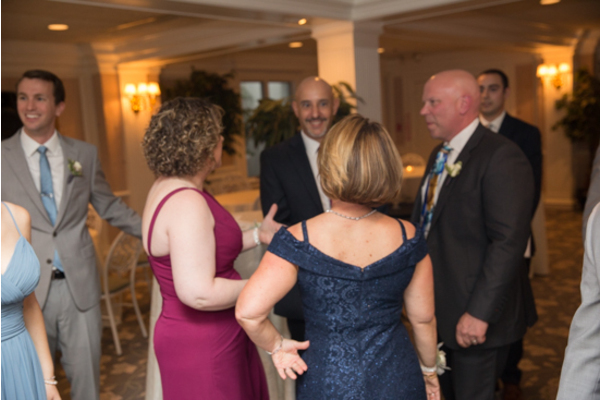 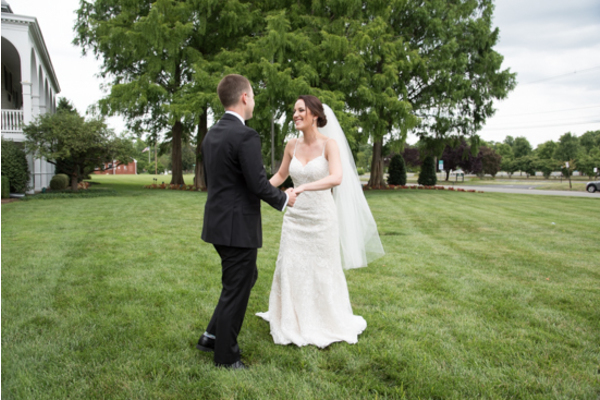 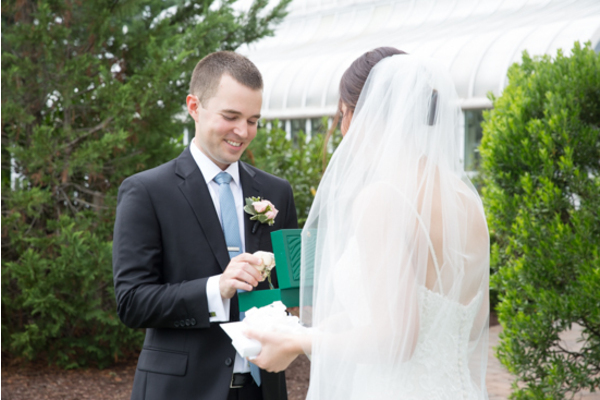 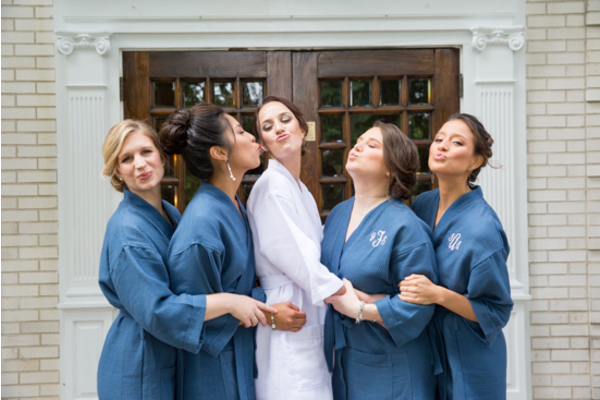 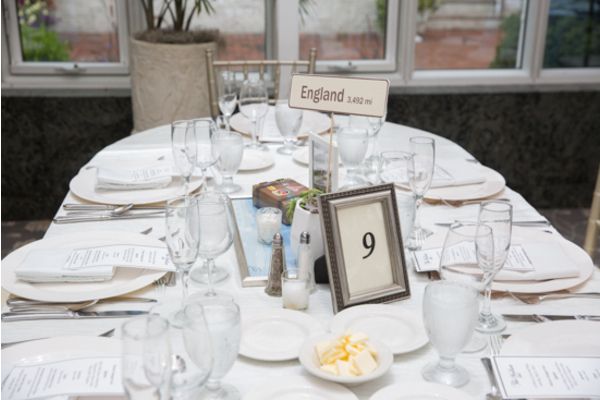 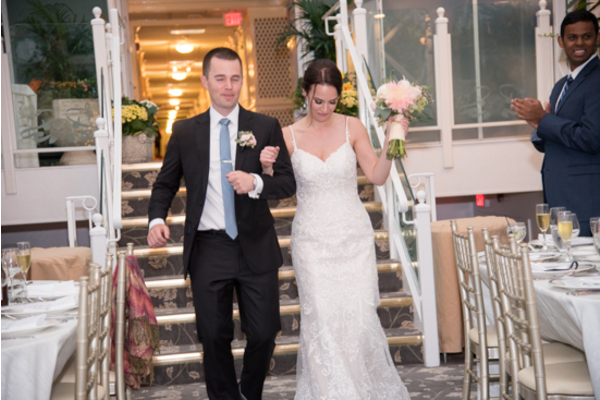 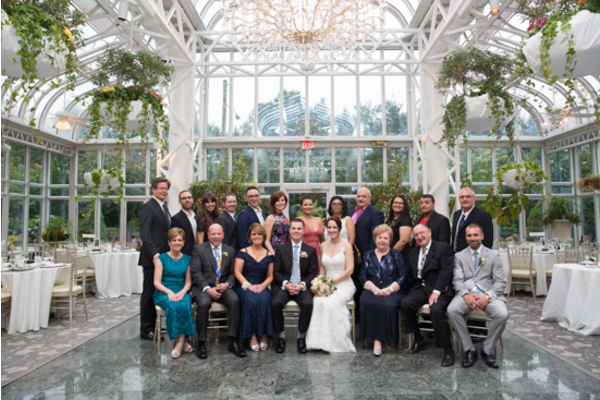 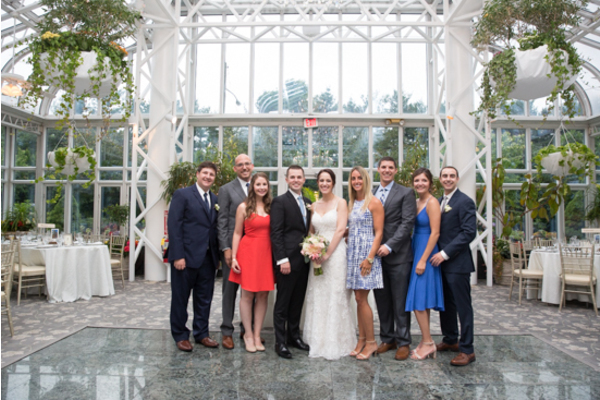 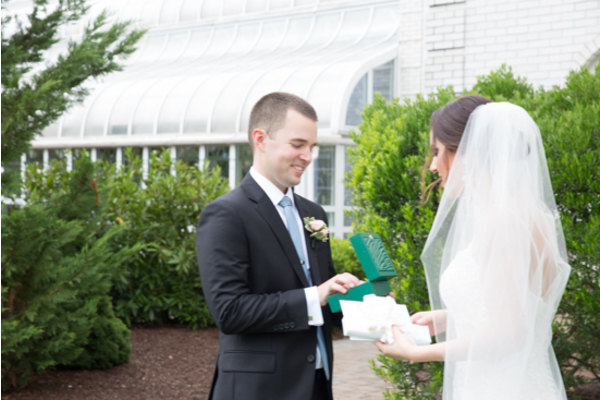 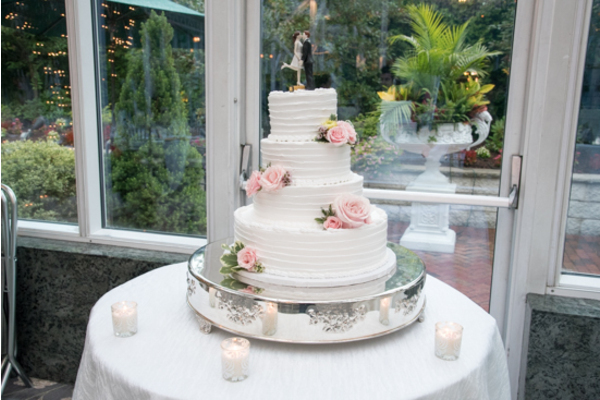 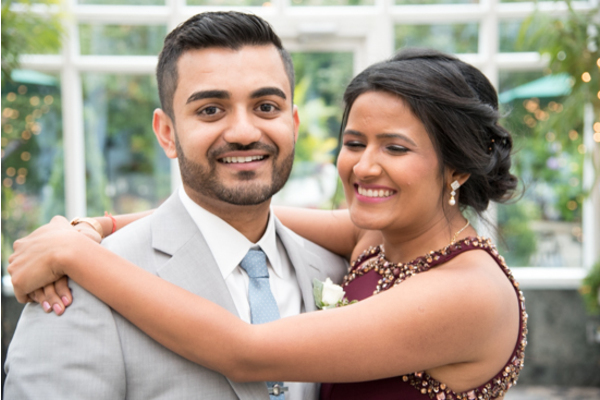 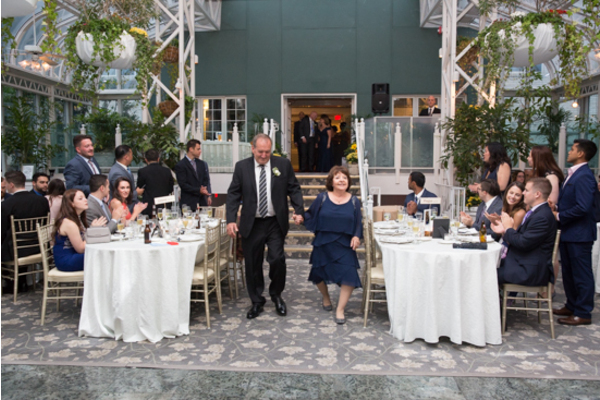 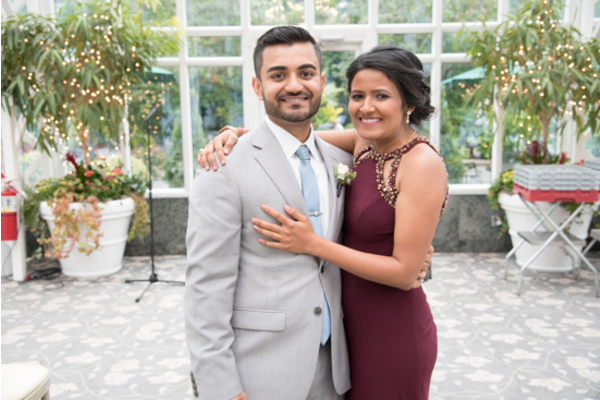 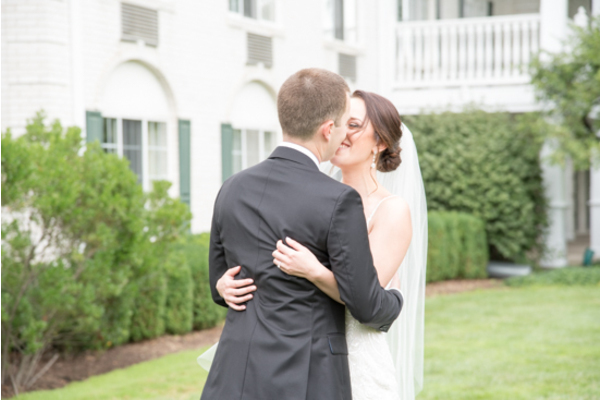 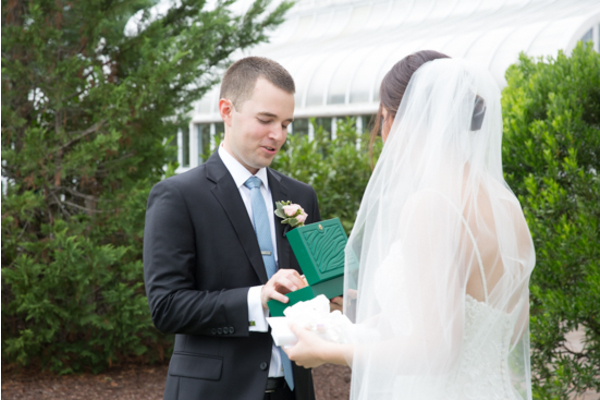 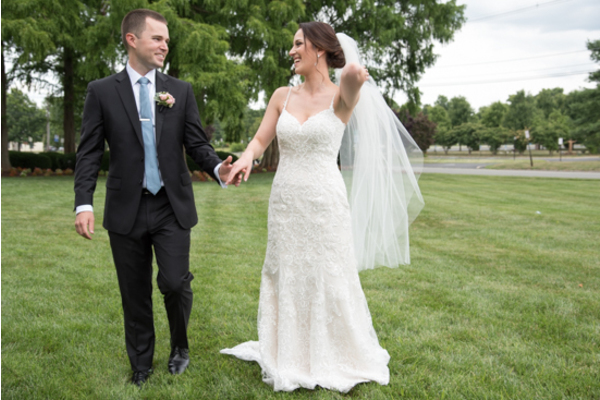 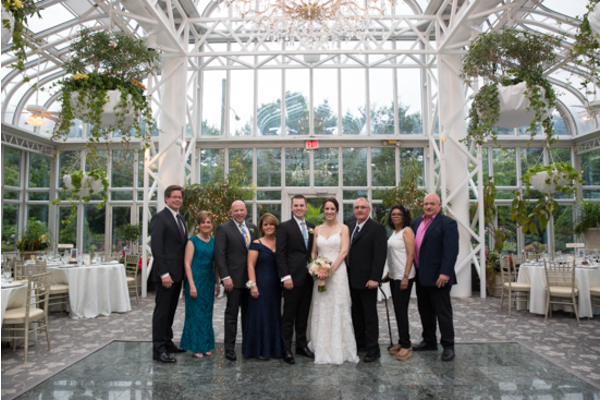 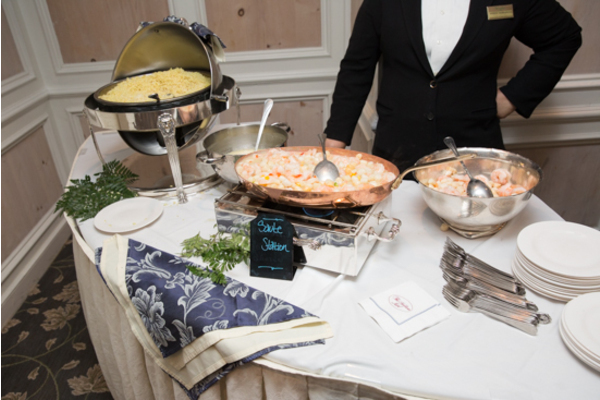 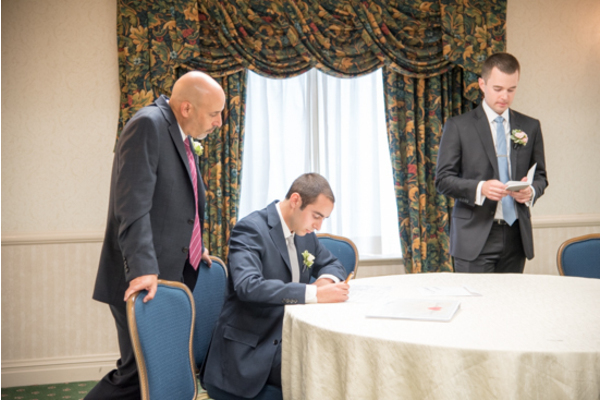 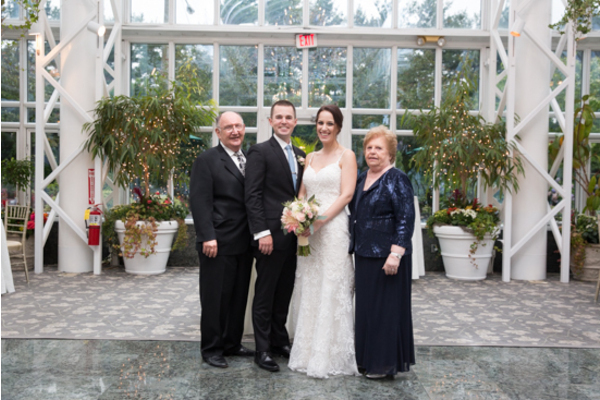 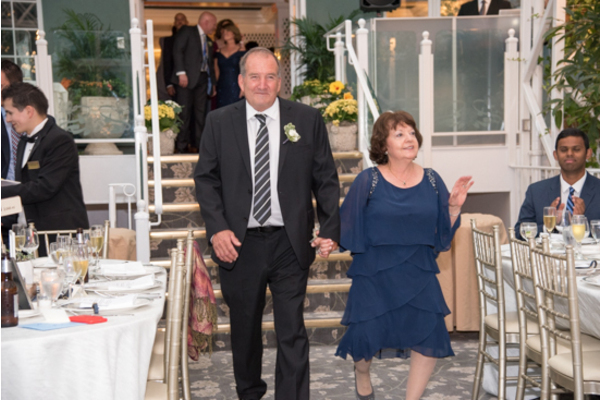 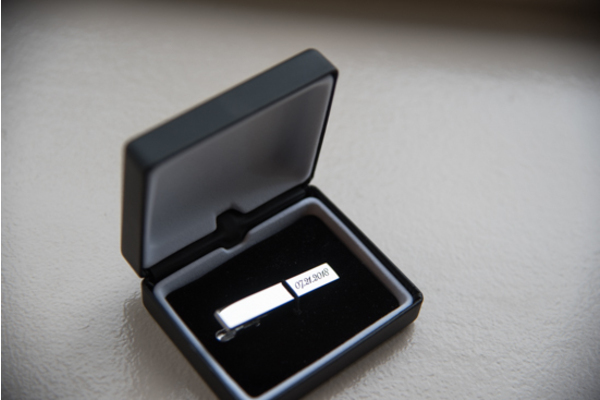 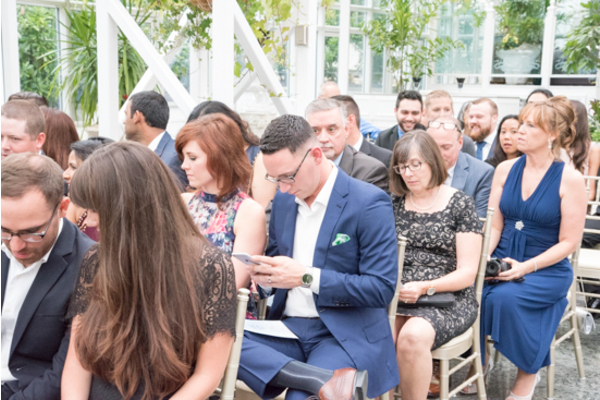 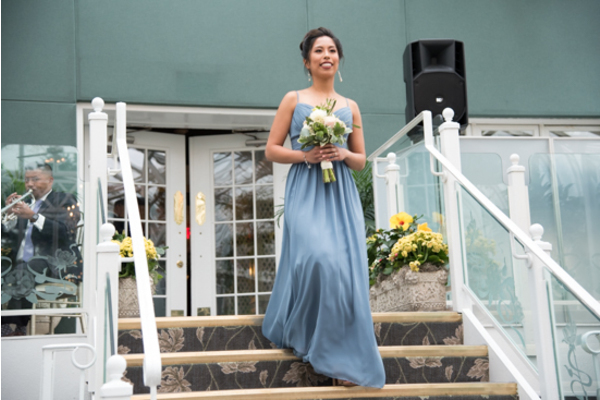 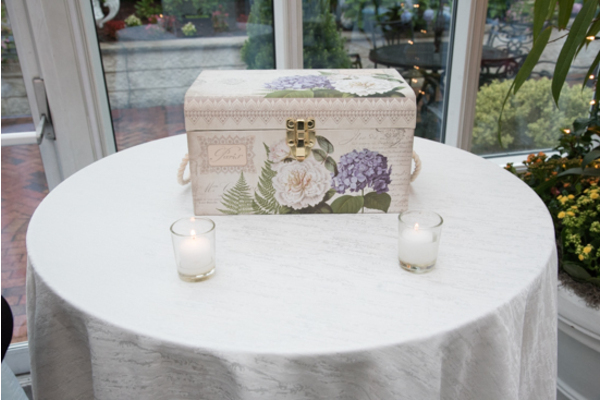 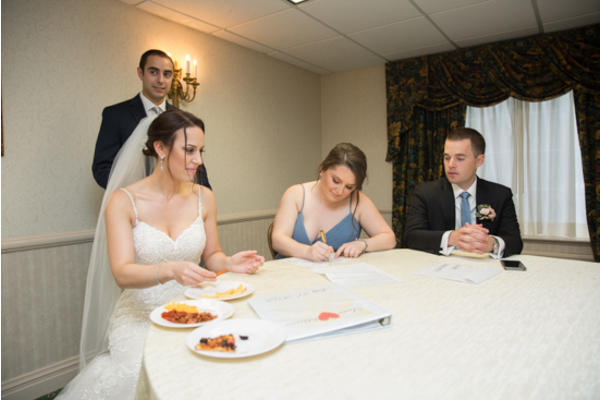 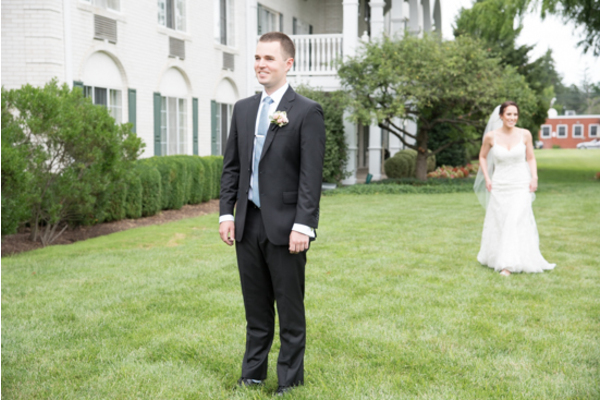 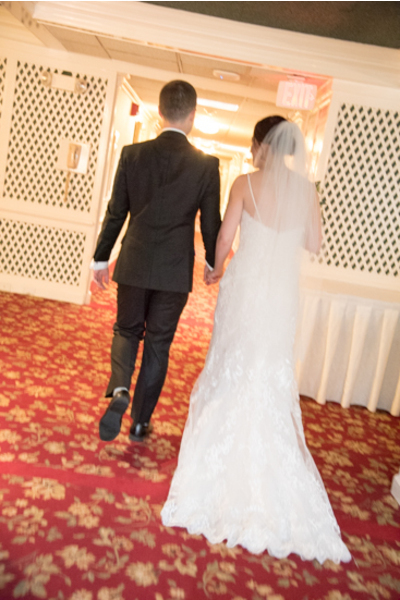 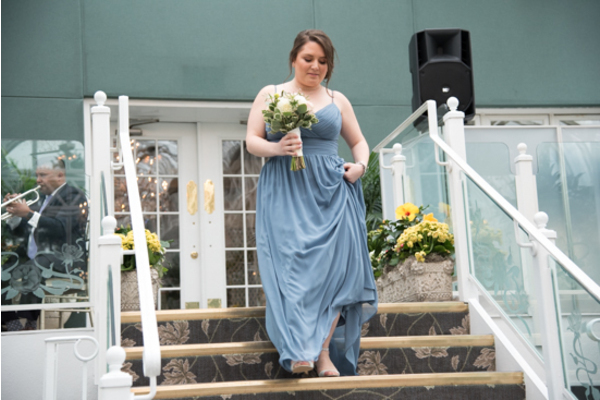 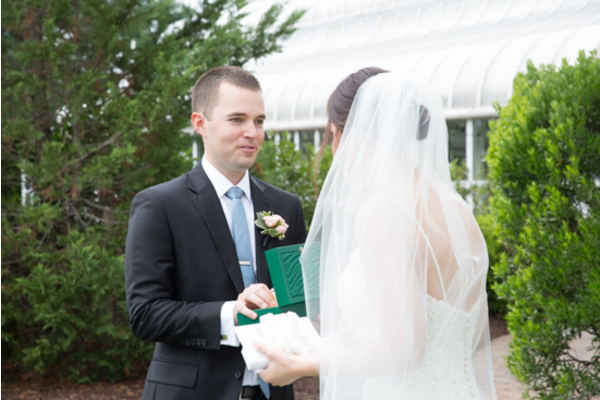 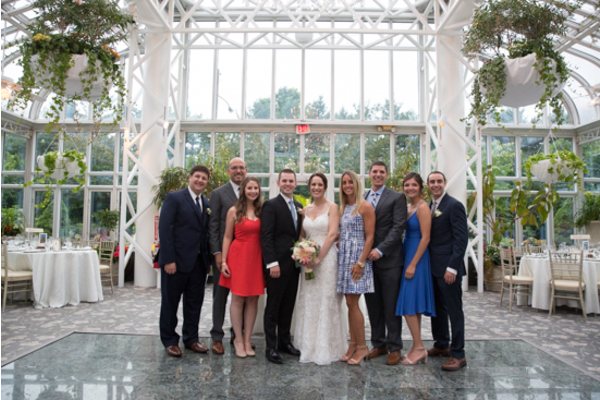 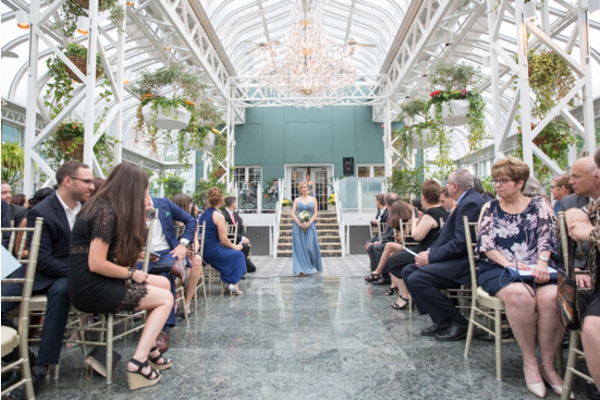 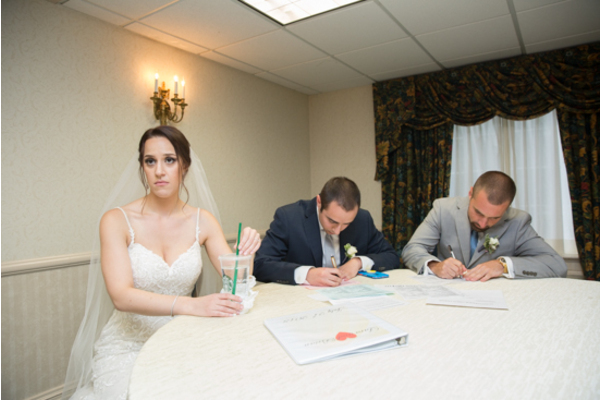 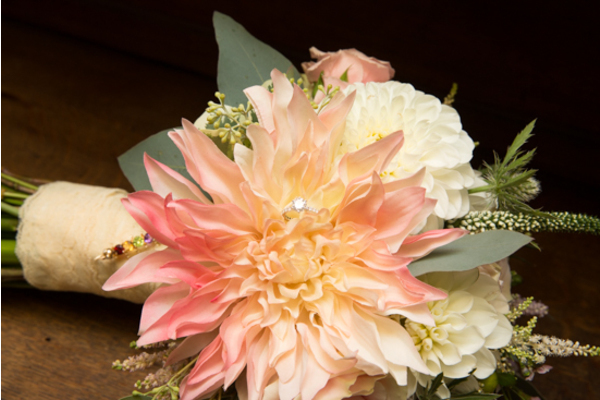 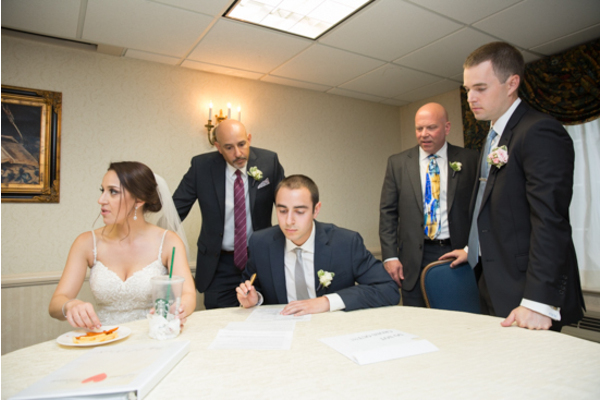 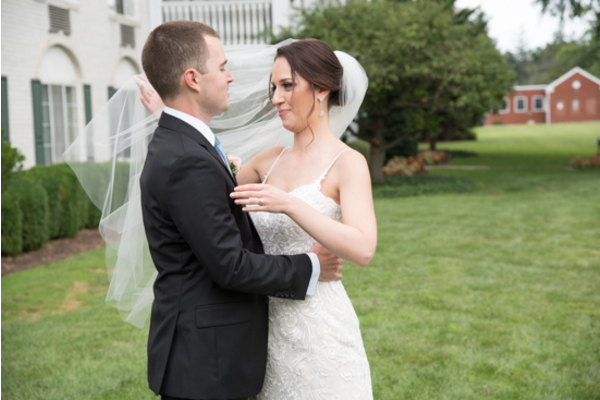 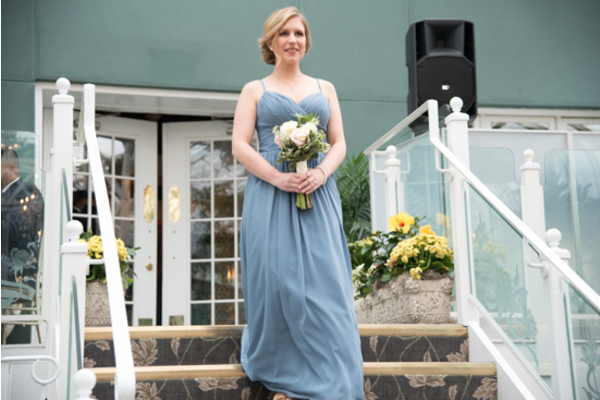 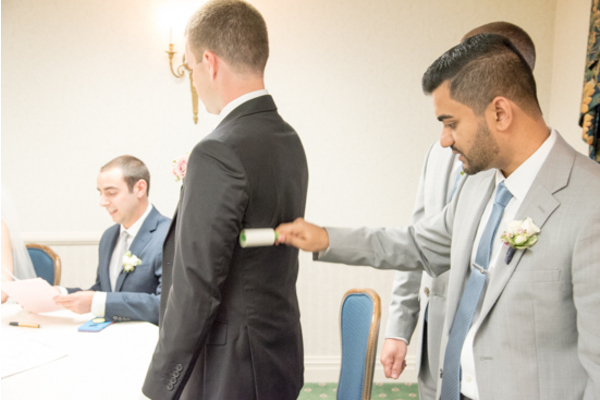 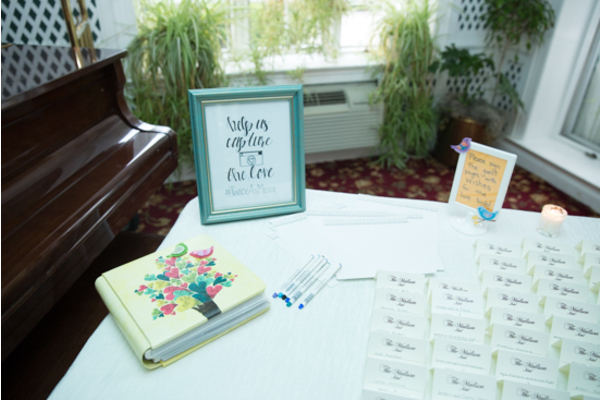 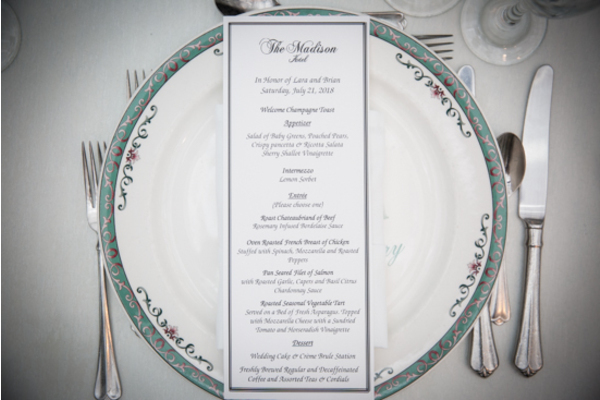 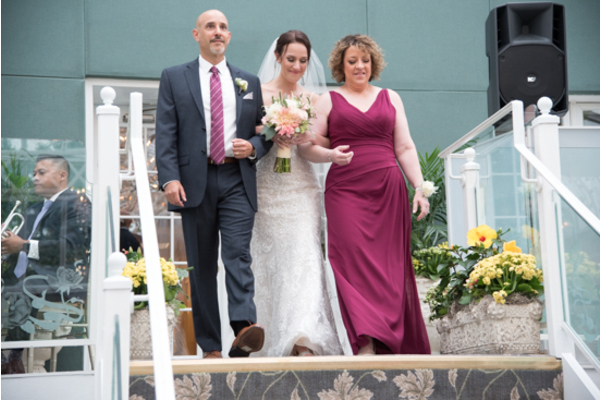 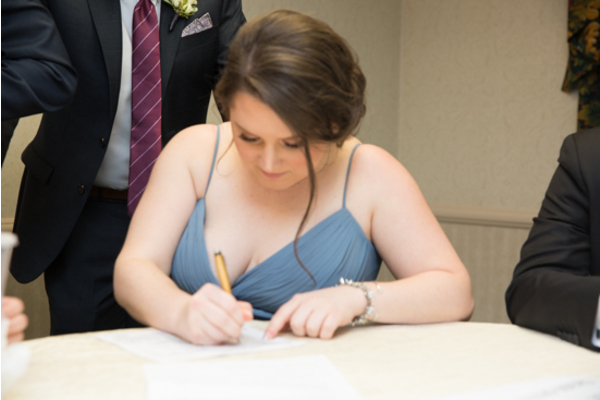 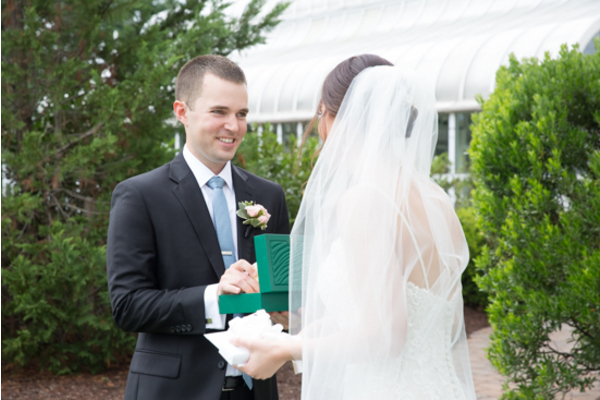 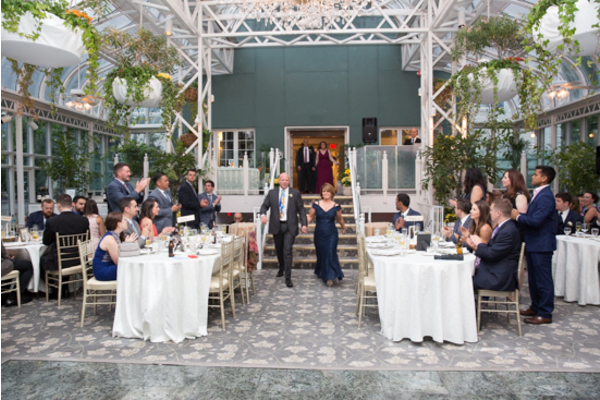 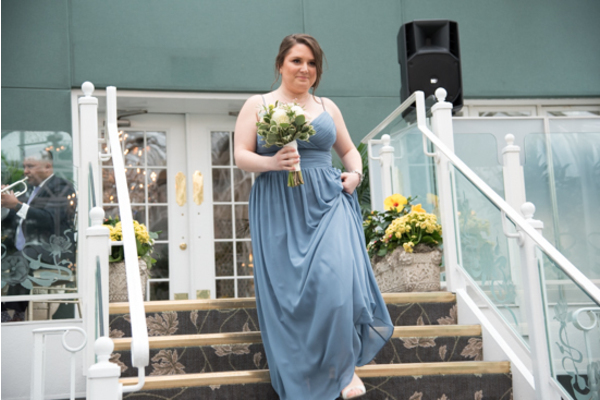 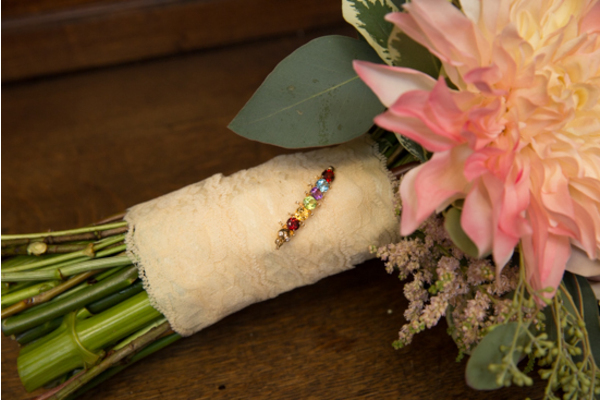 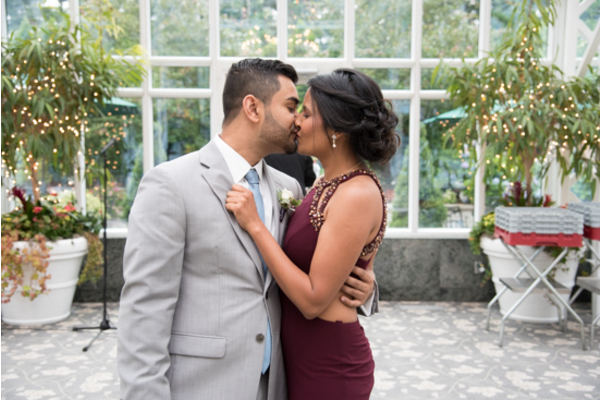 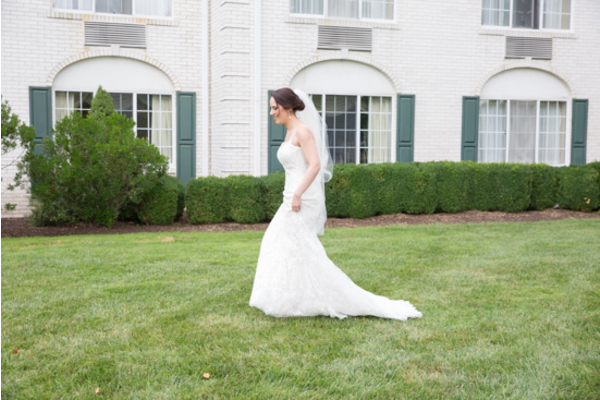 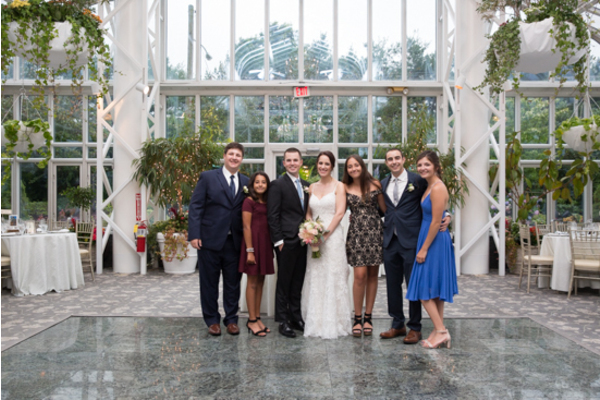 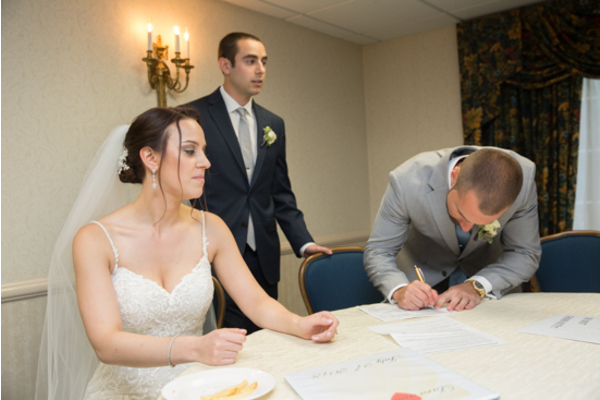 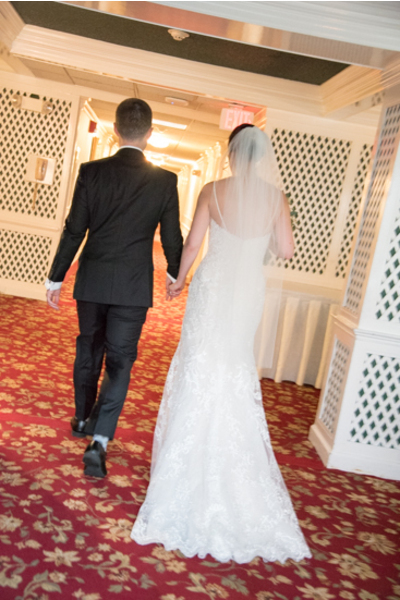 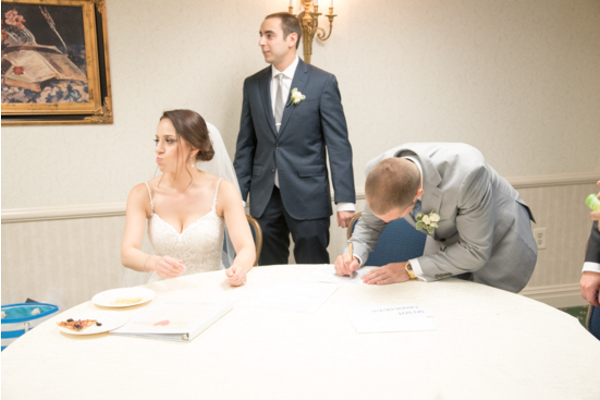 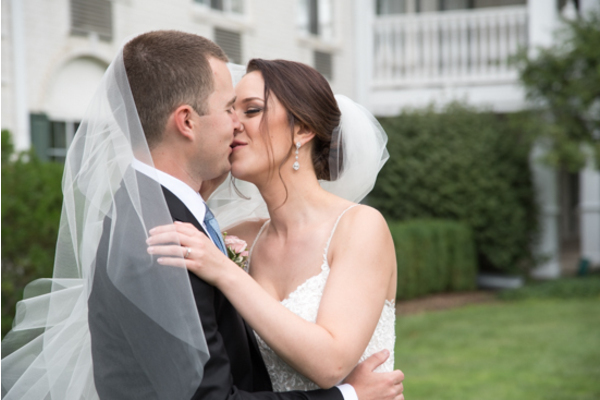 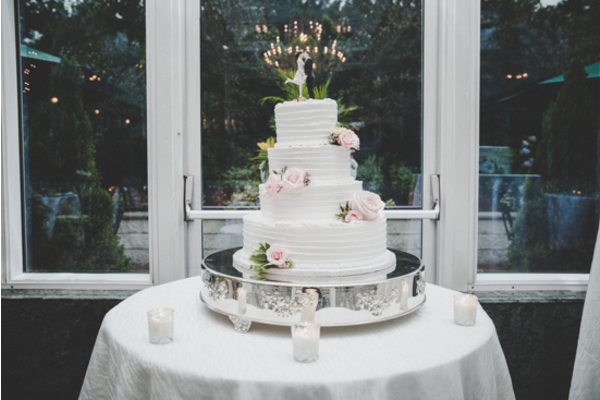 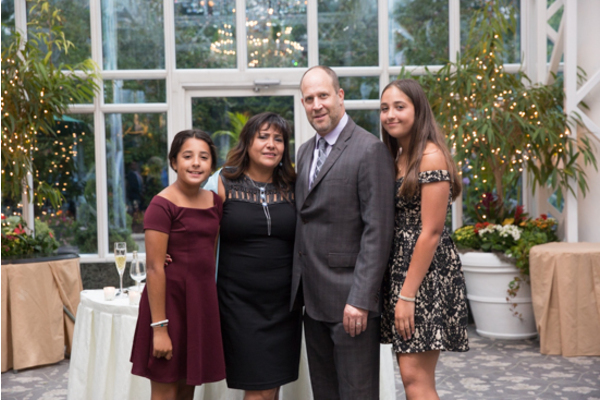 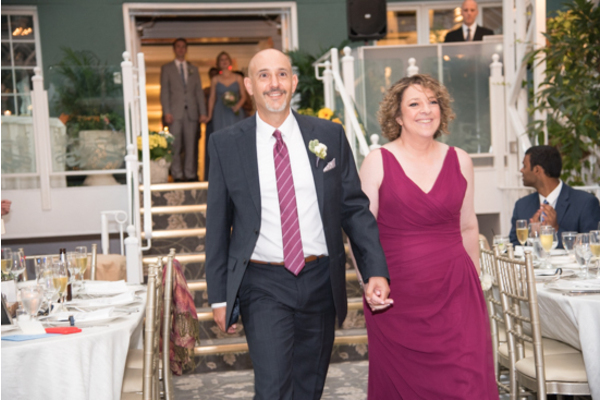 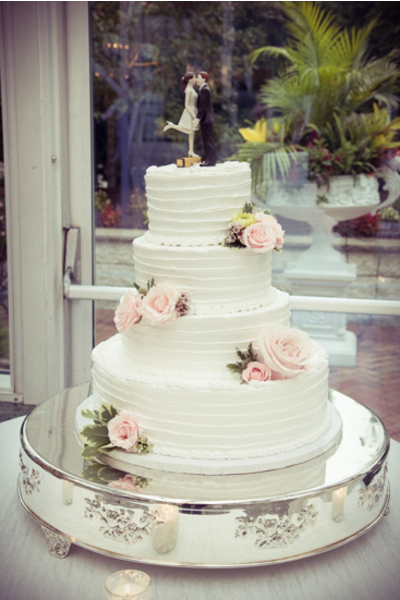 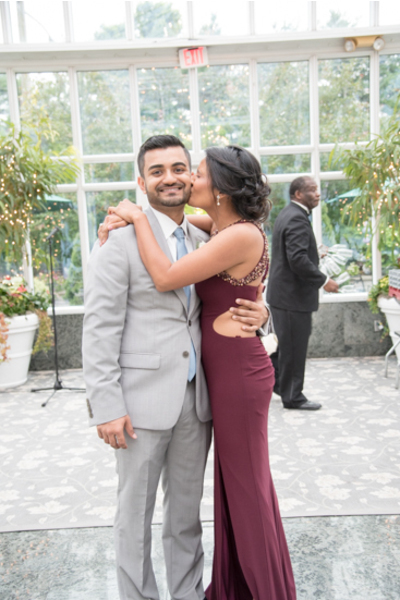 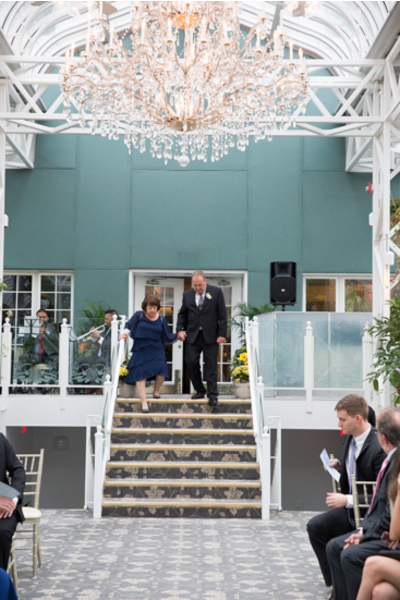 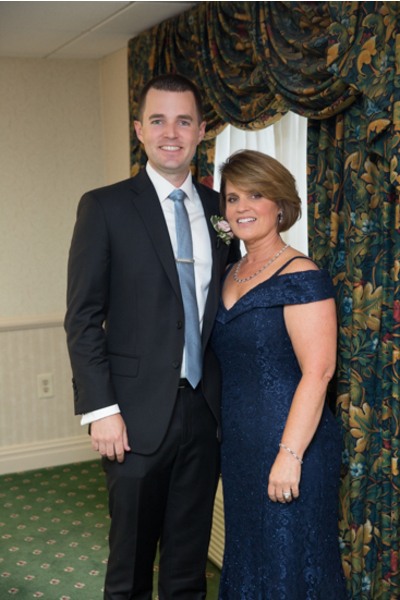 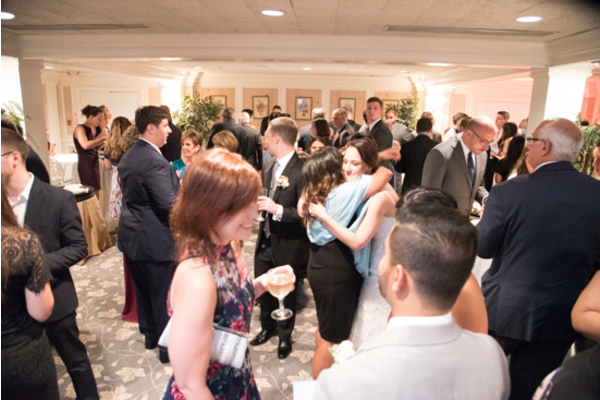 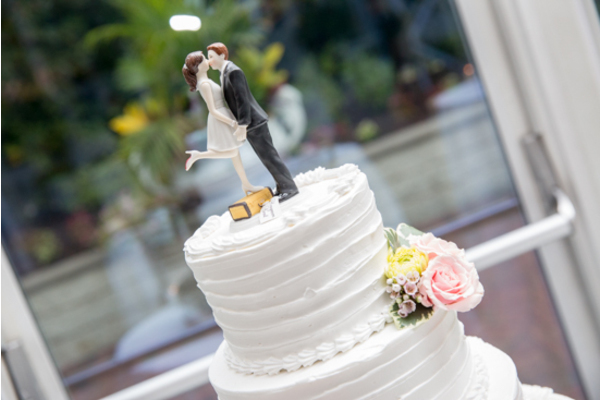 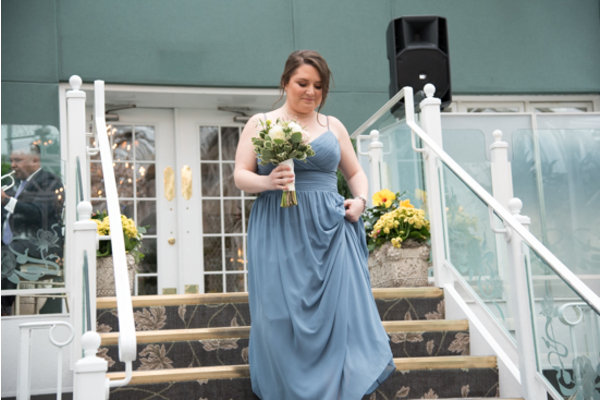 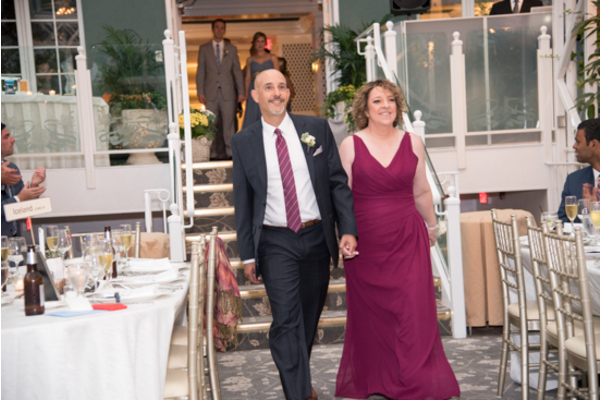 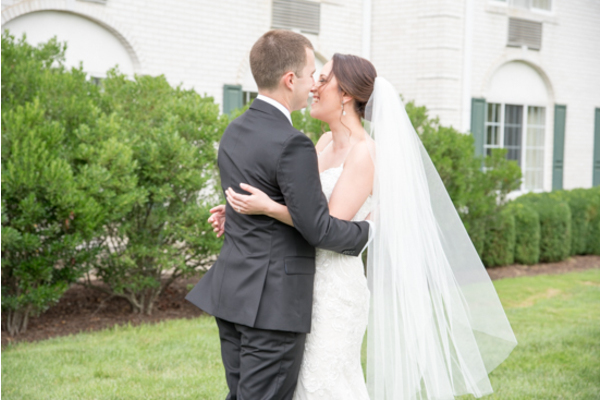 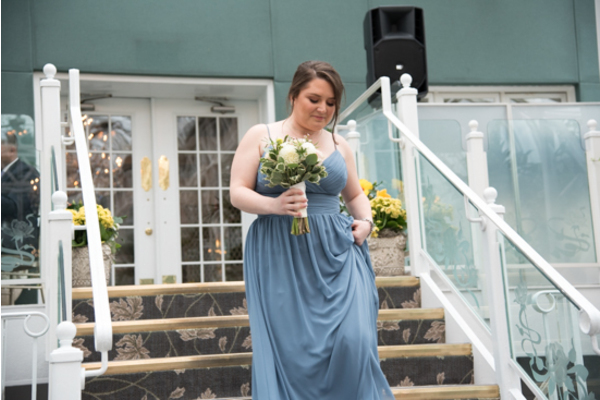 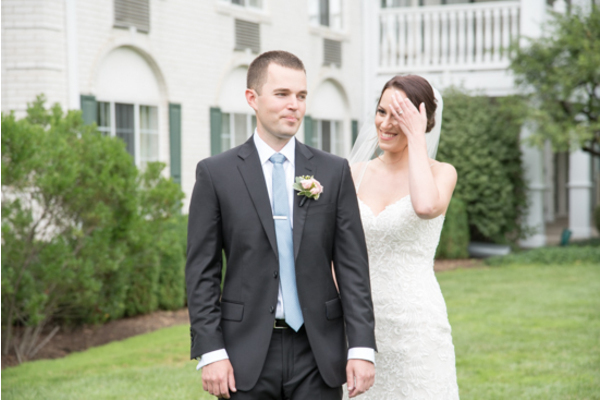 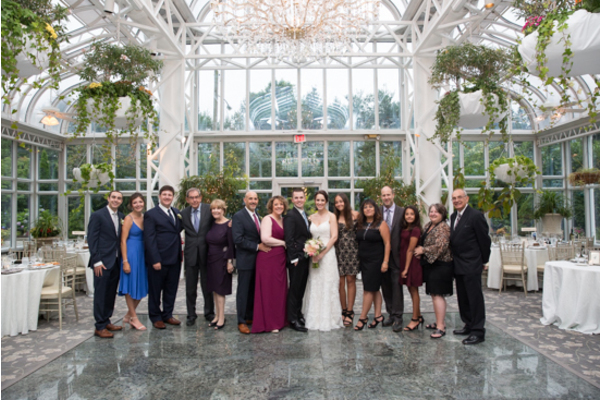 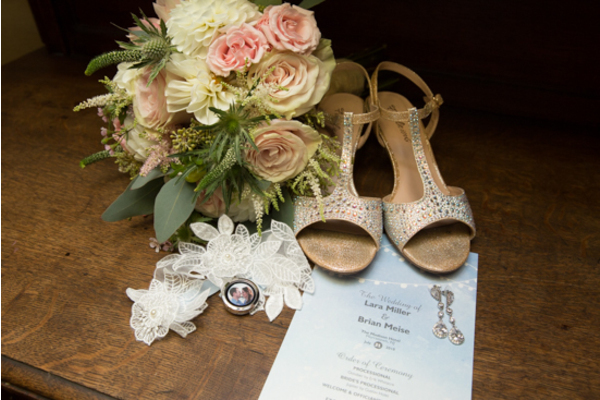 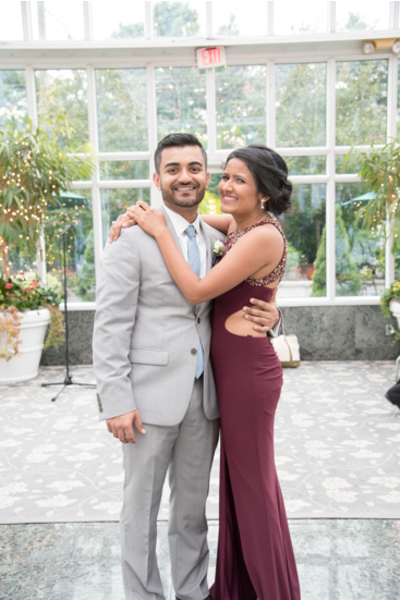 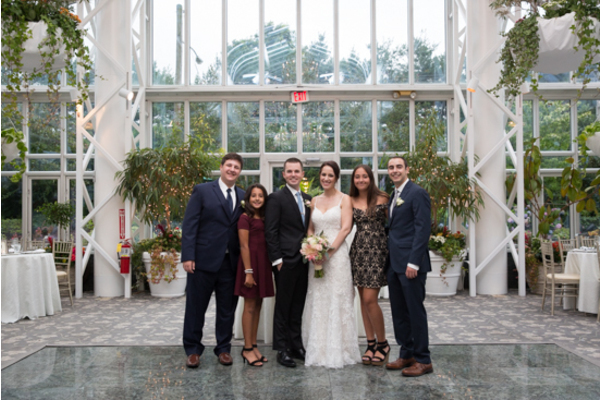 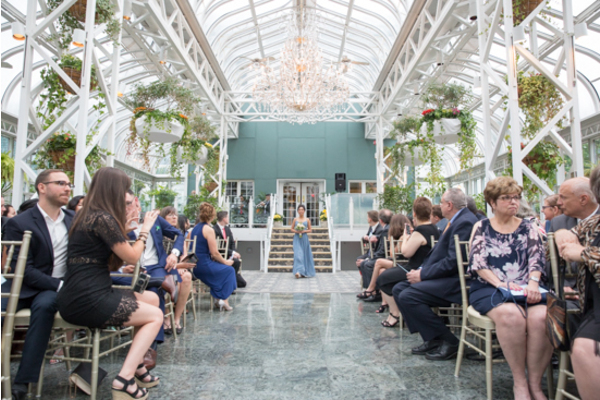 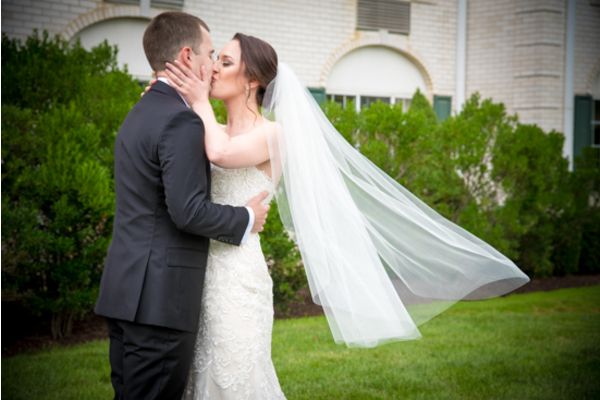 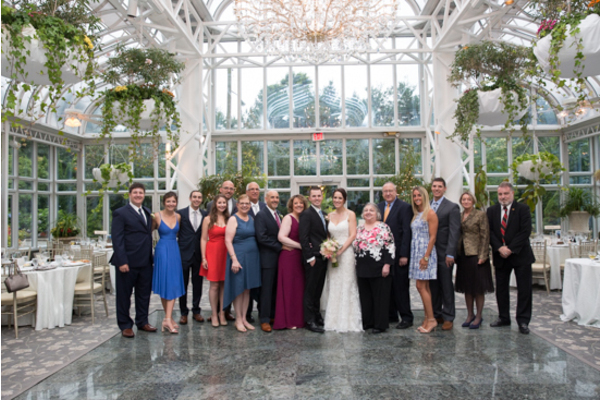 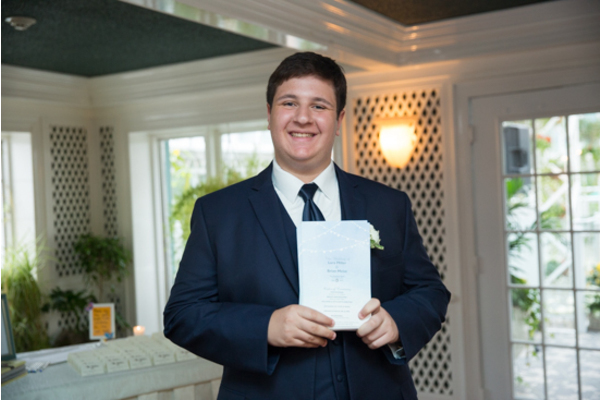 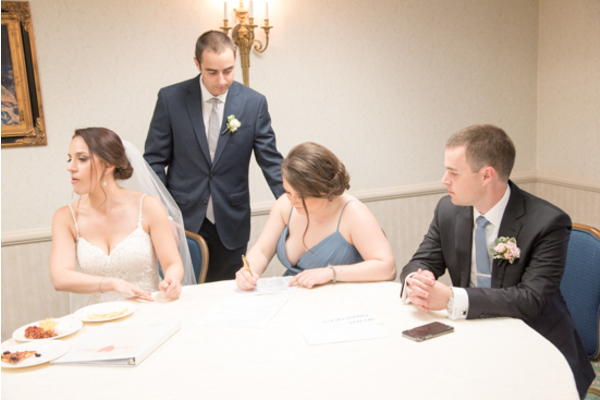 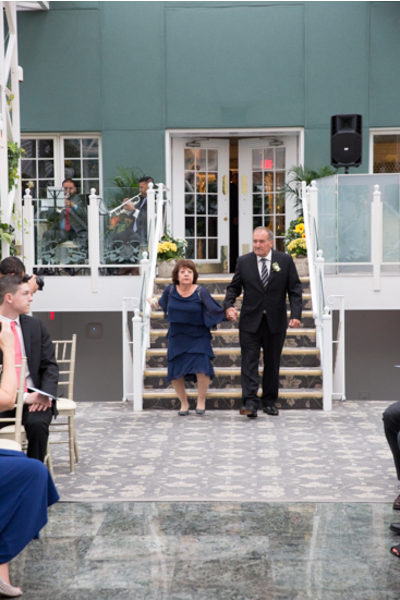 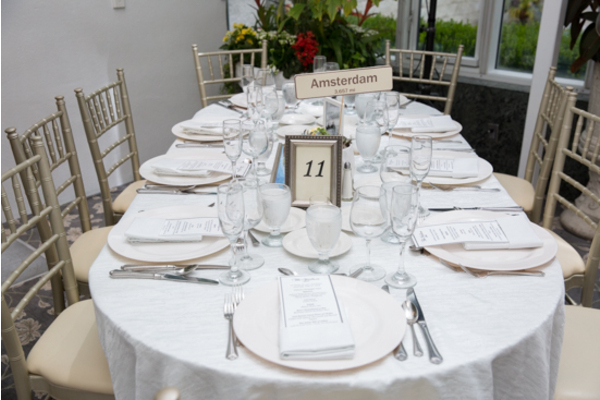 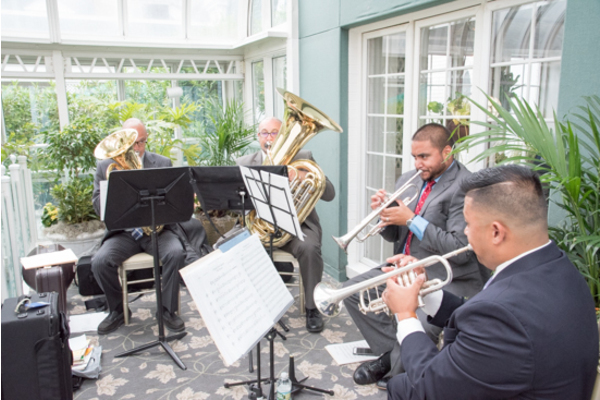 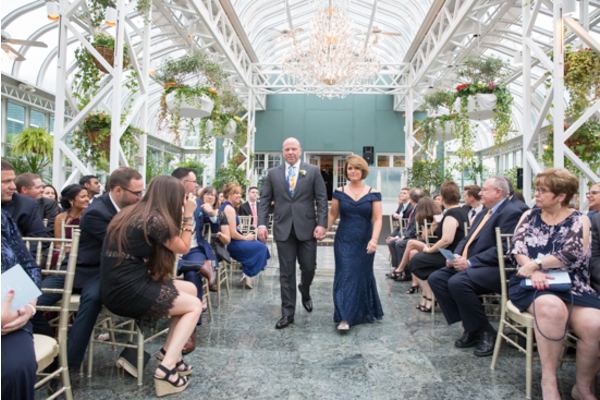 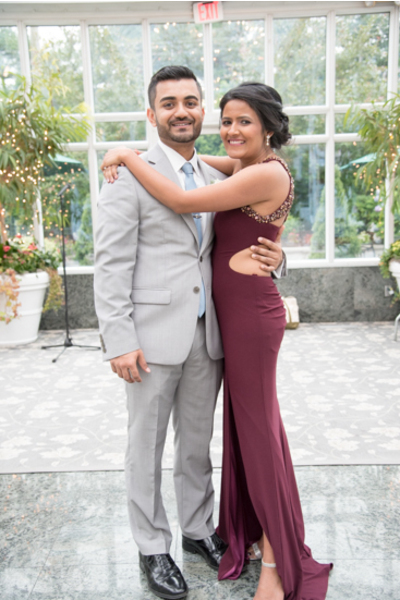 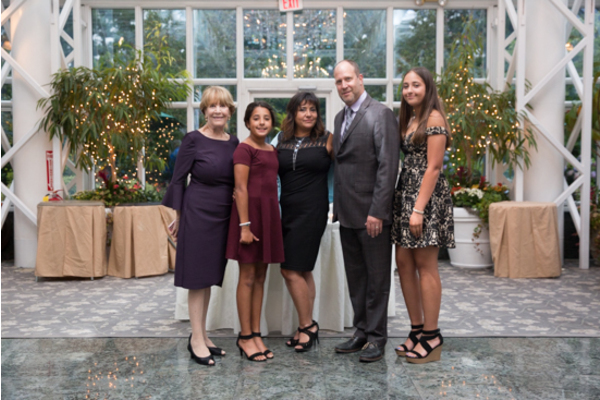 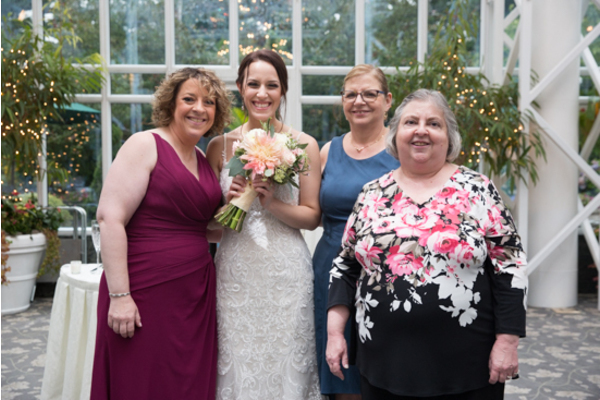 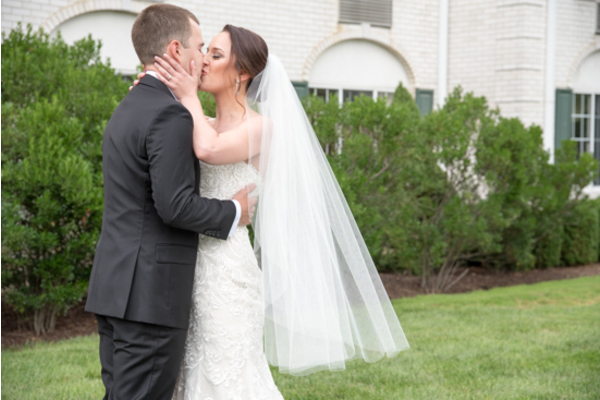 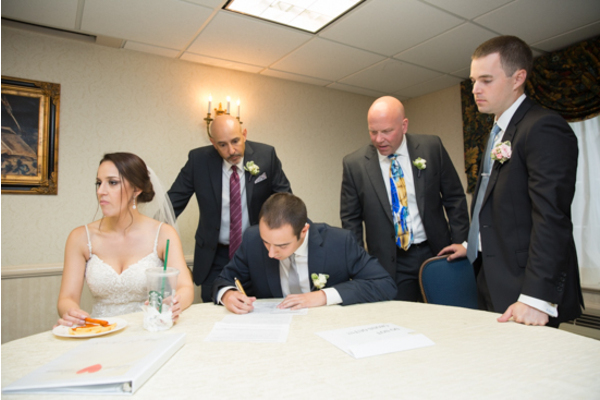 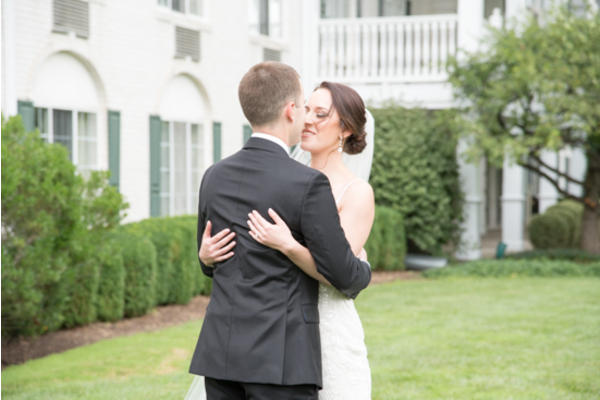 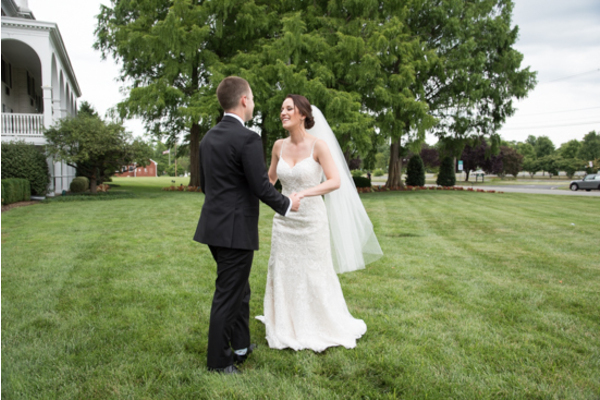 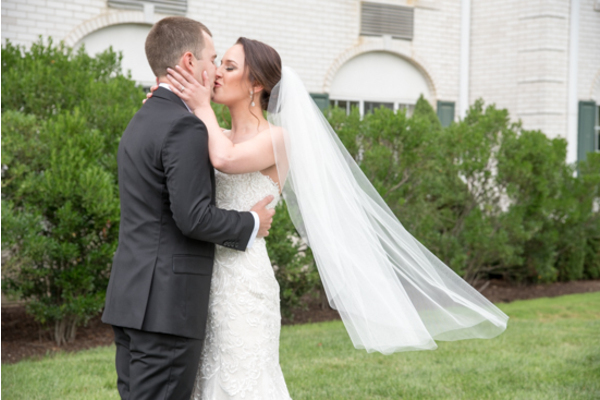 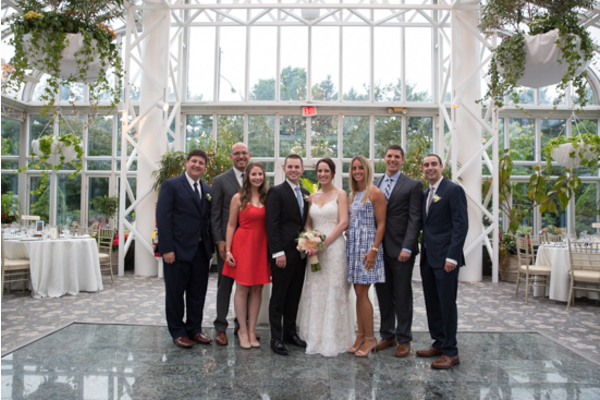 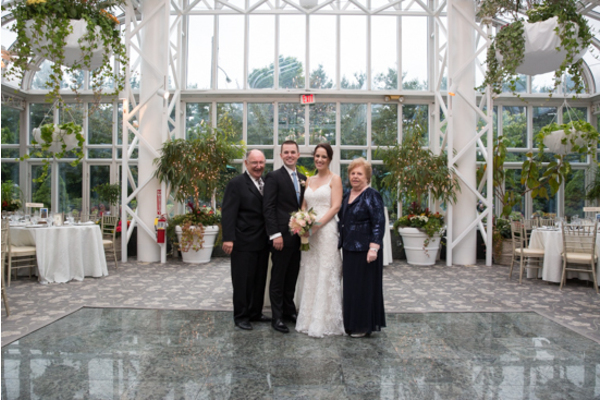 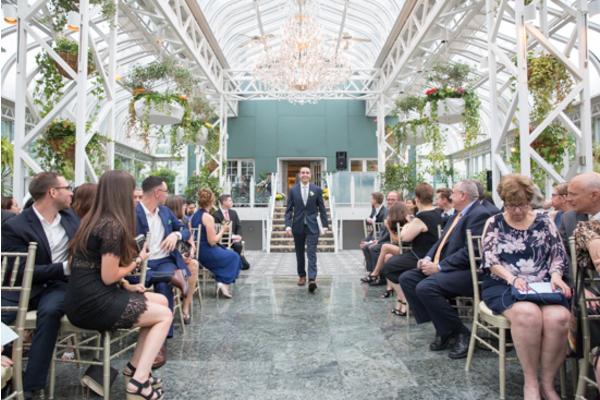 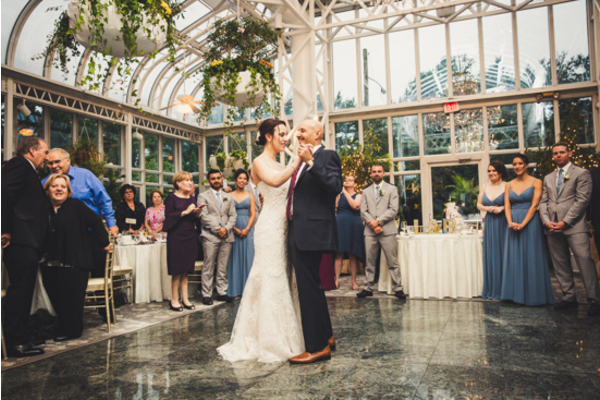 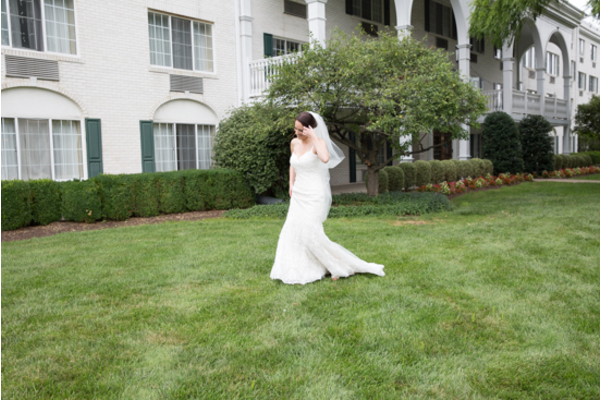 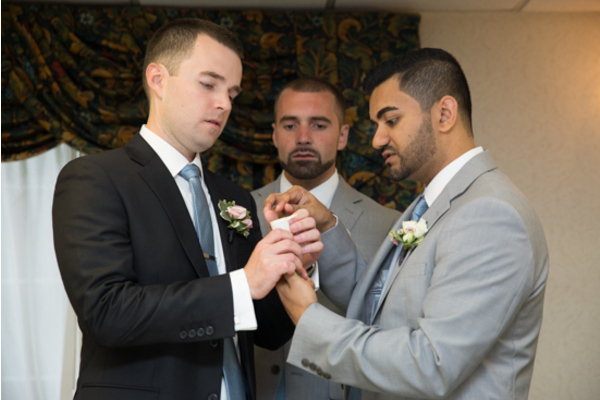 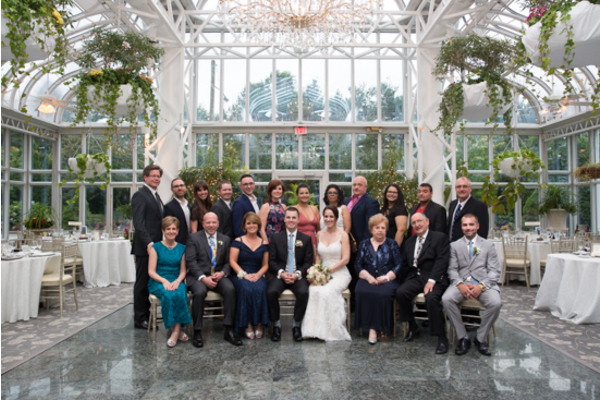 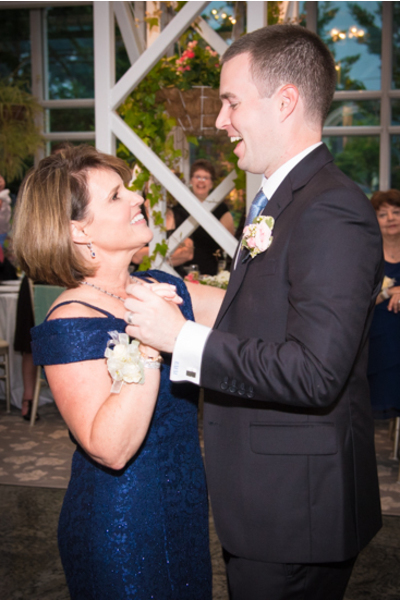 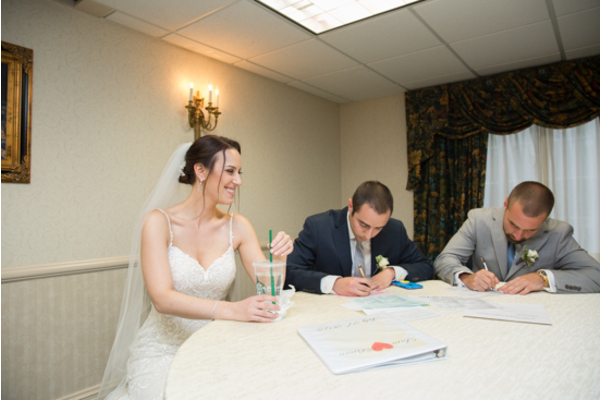 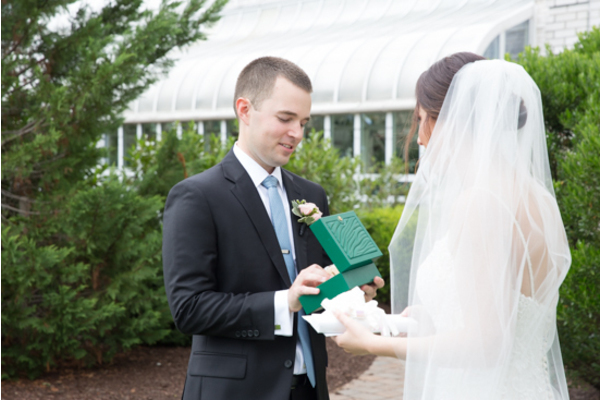 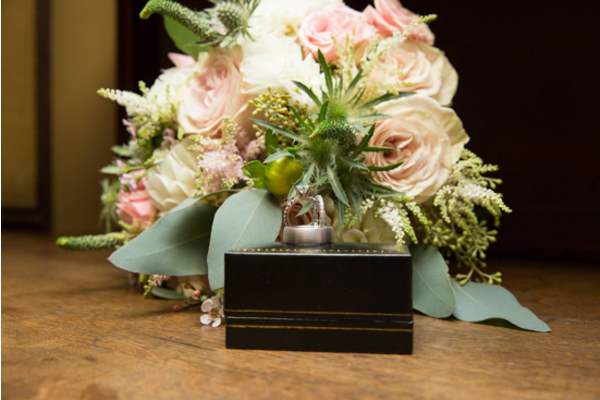 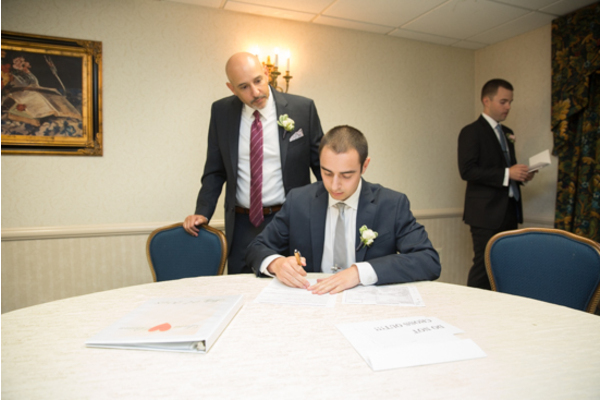 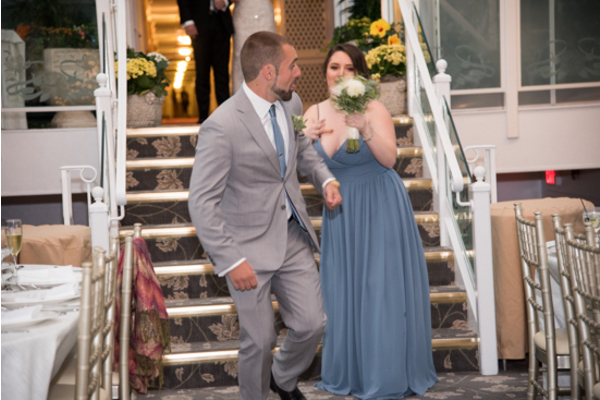 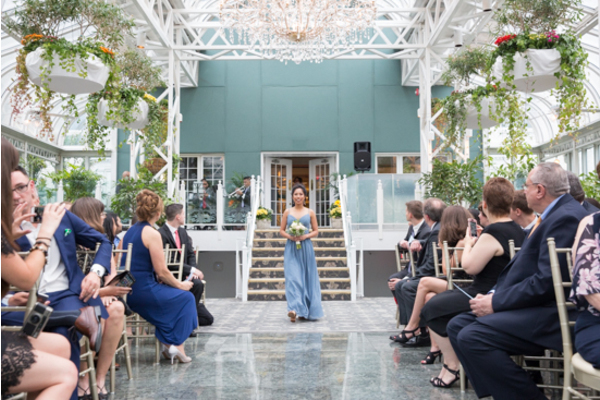 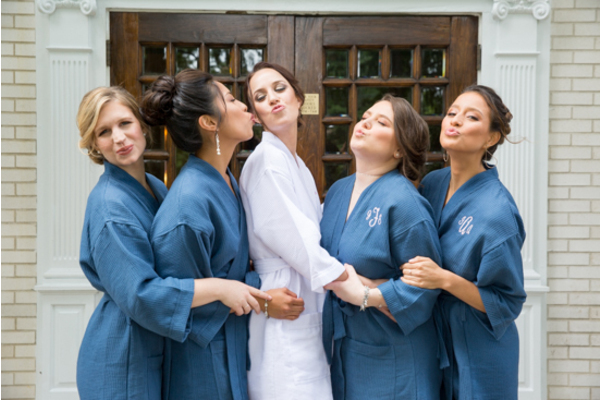 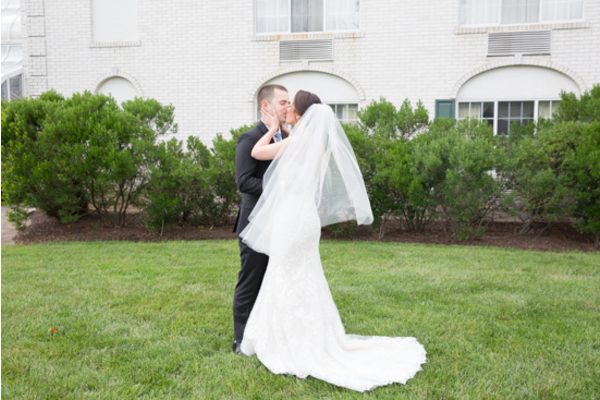 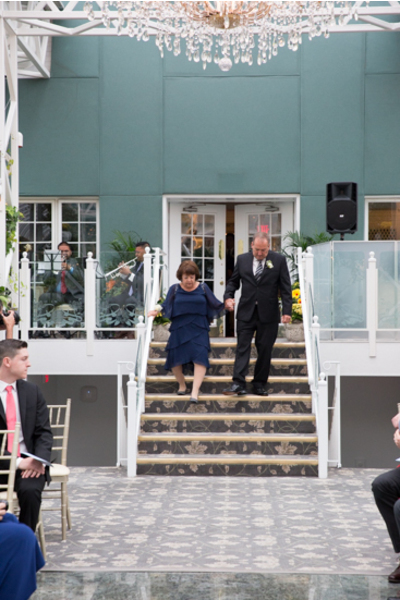 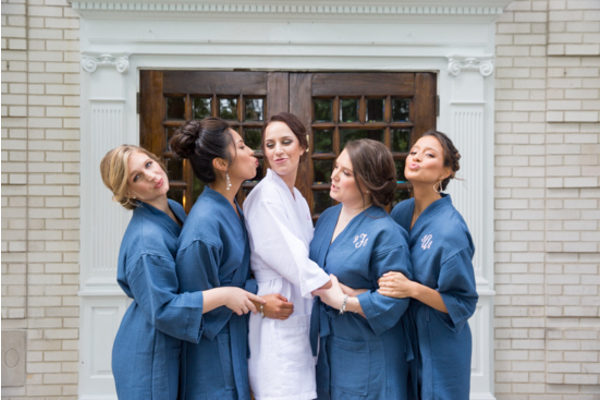 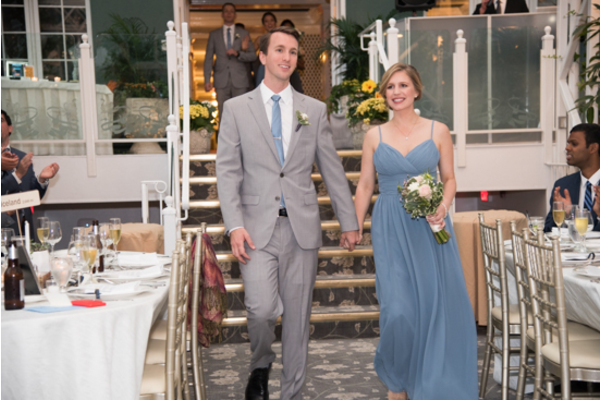 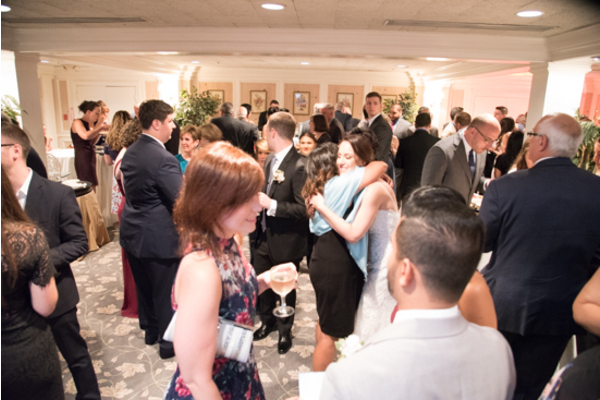 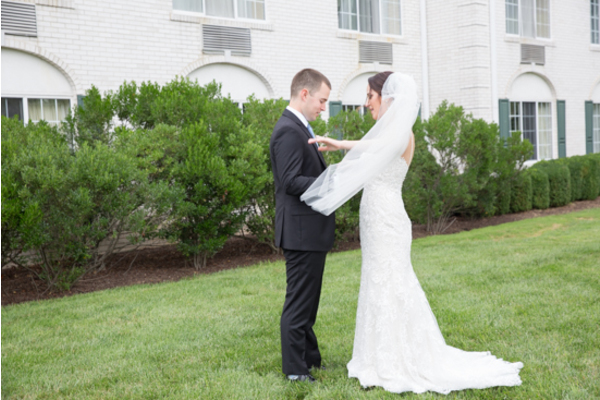 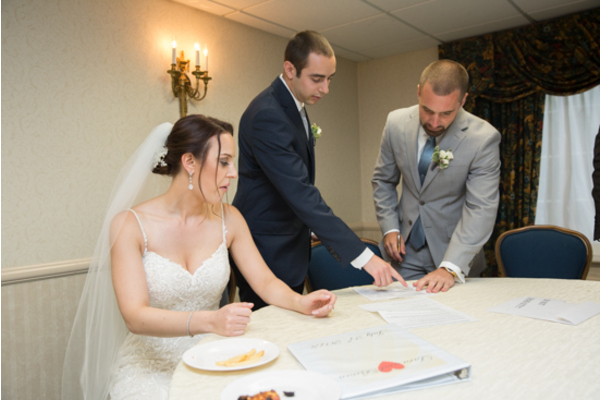 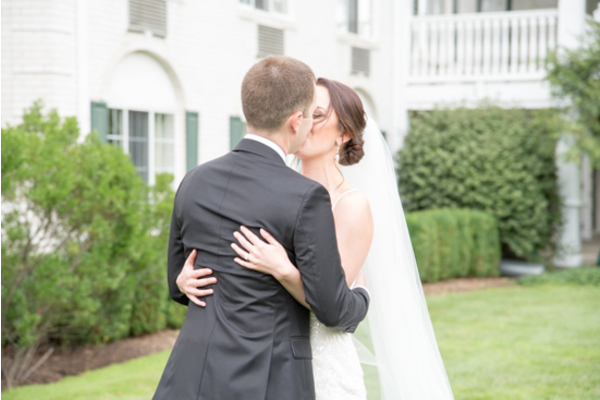 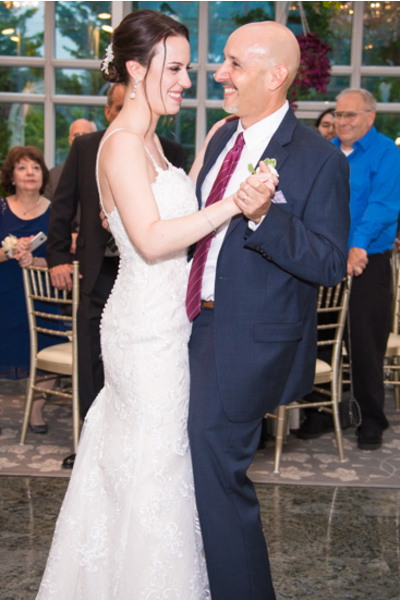 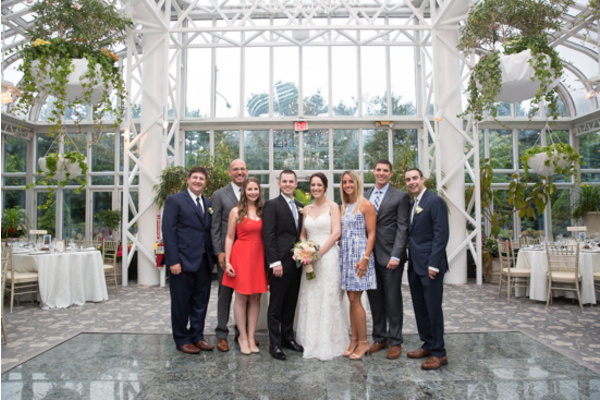 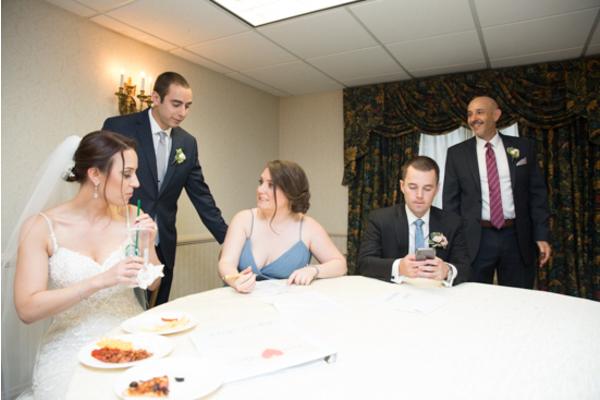 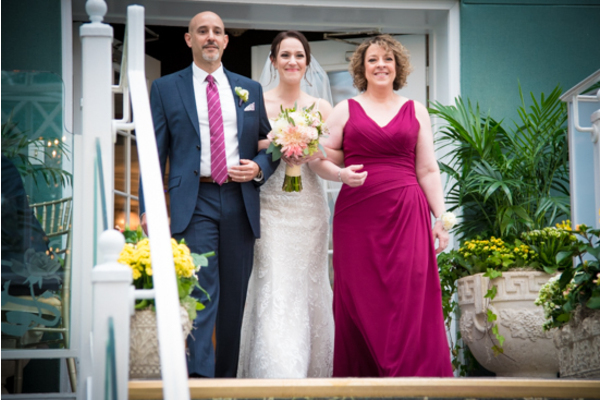 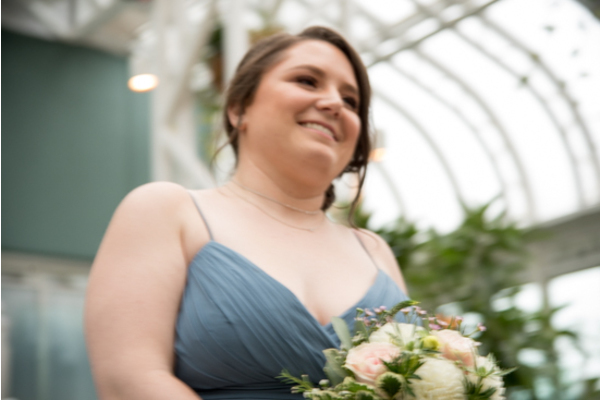 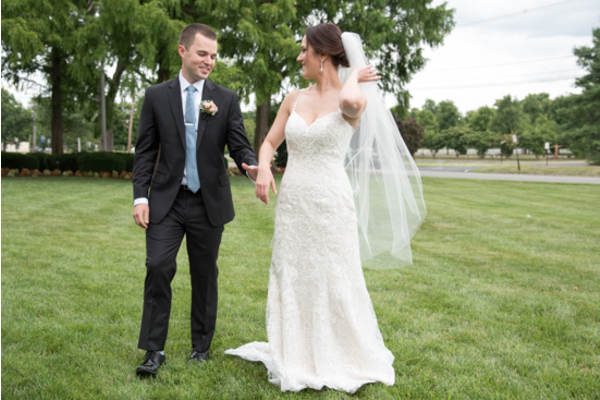 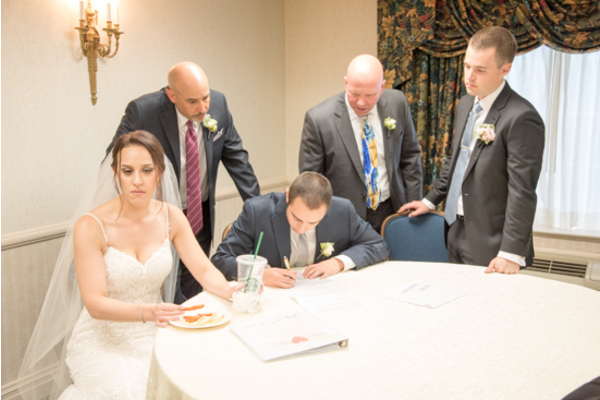 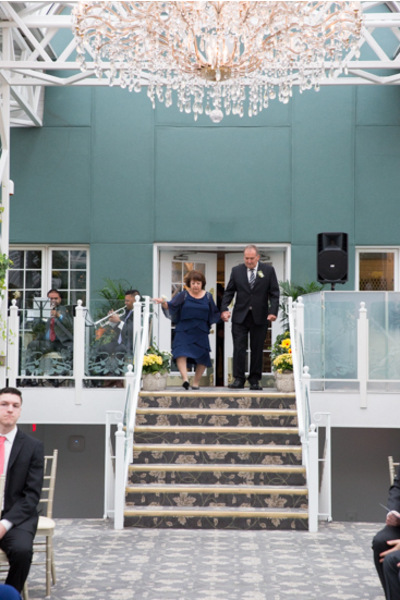 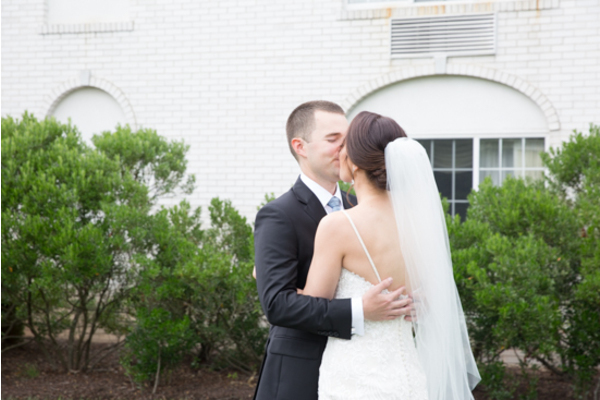 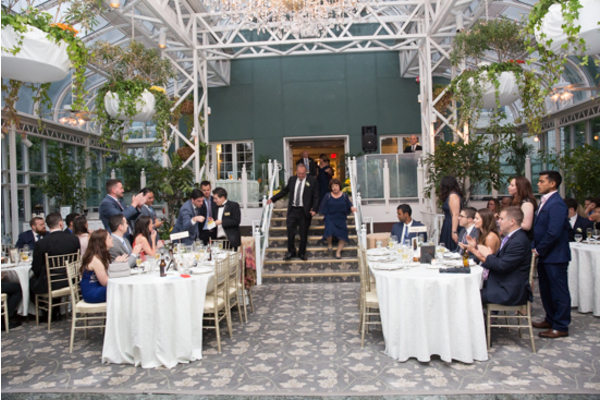 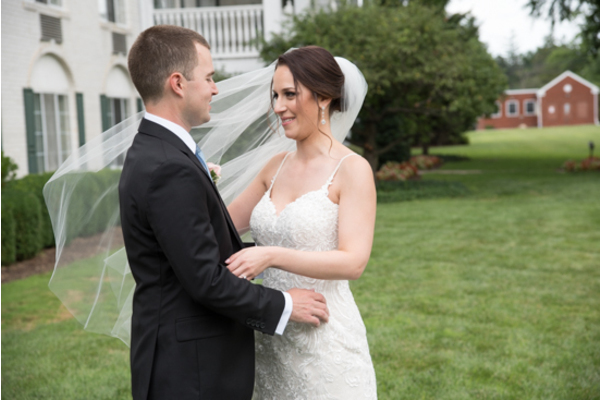 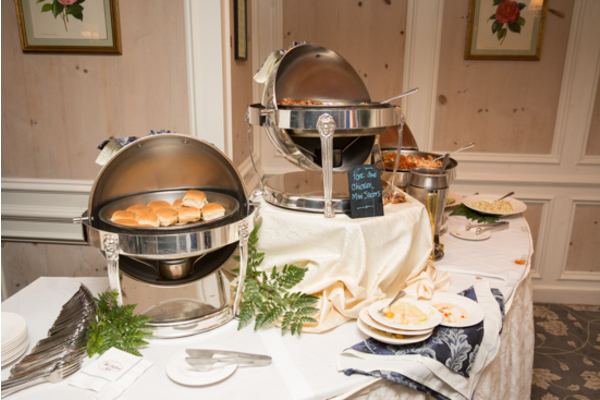 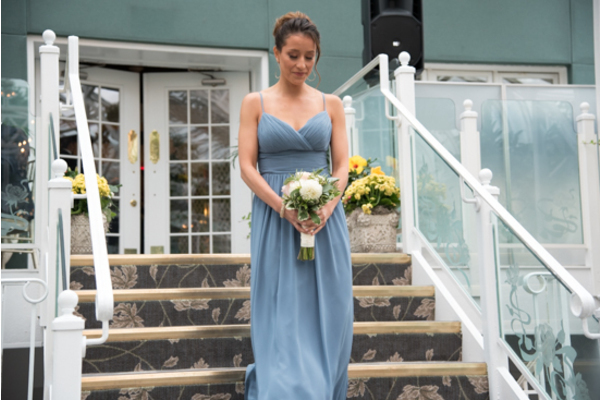 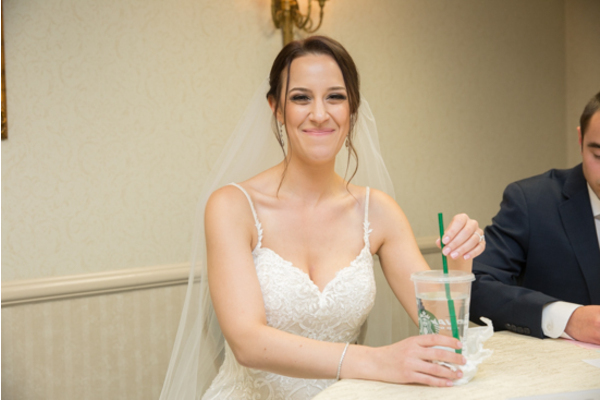 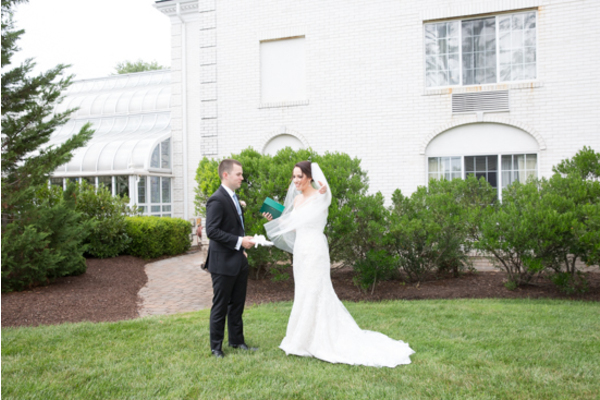 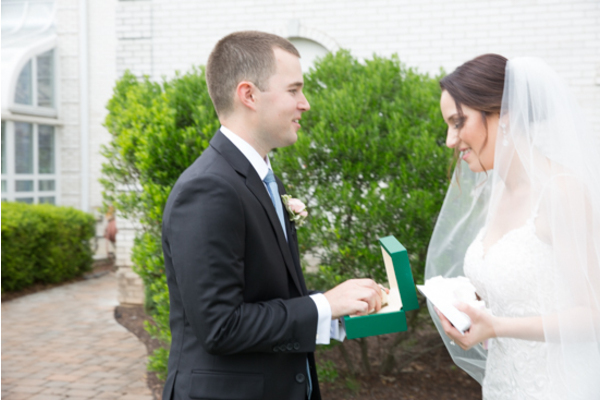 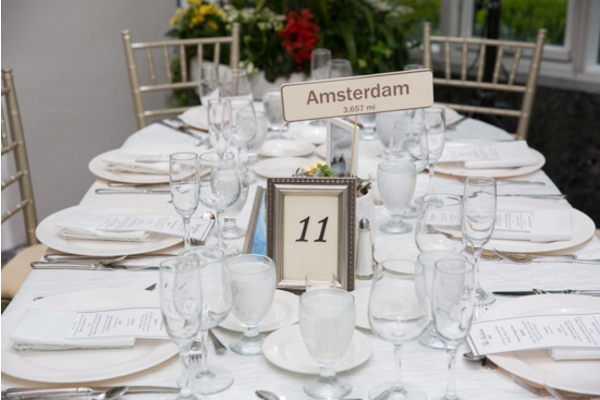 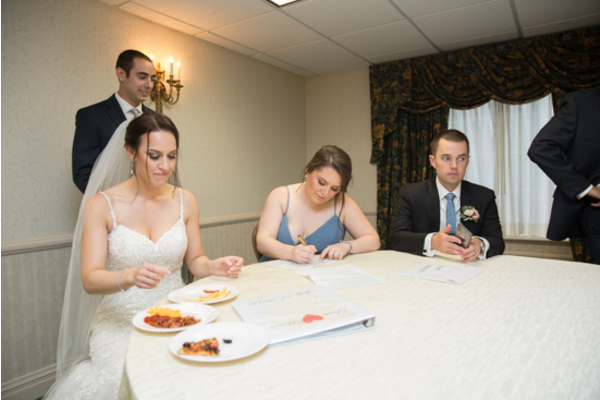 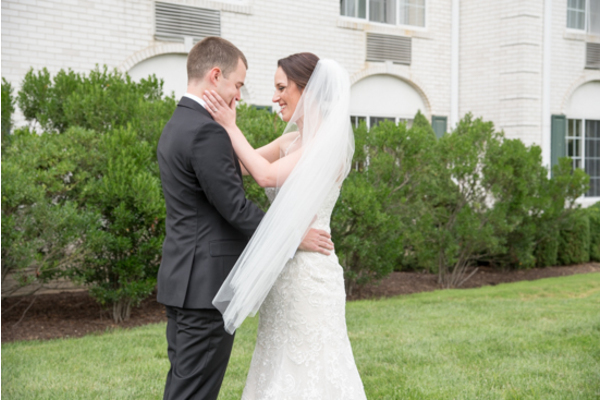 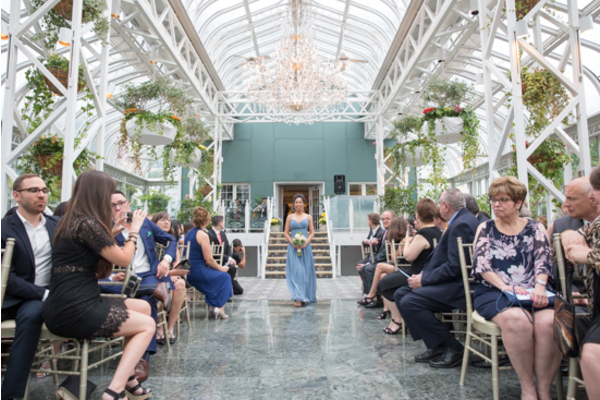 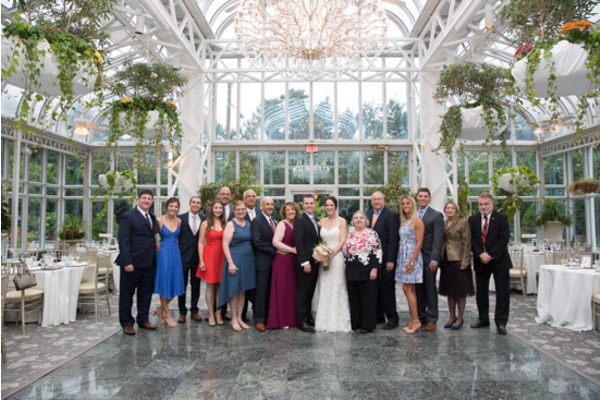 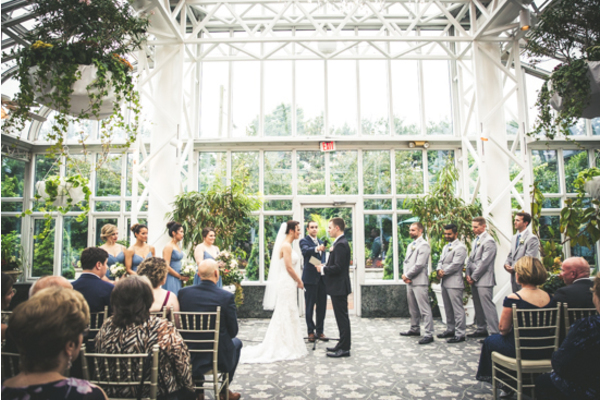 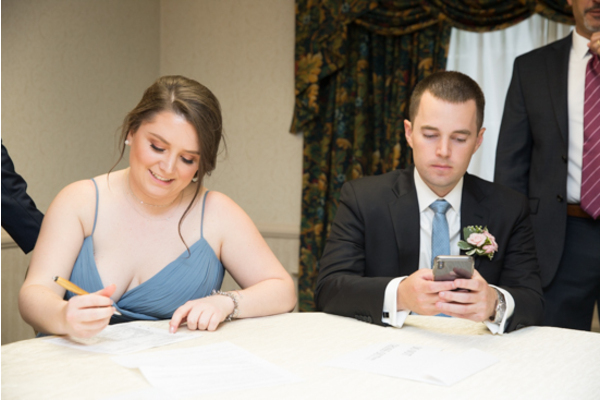 Our NJ Wedding Photographer was able to capture the precious moment as it all took place. 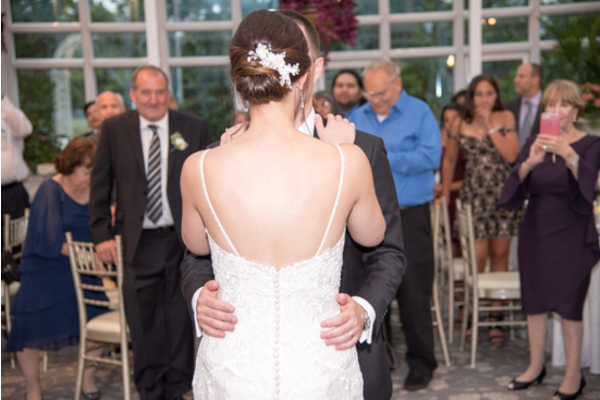 When Lara placed her hand on Brian’s shoulder, he turned around to face her. 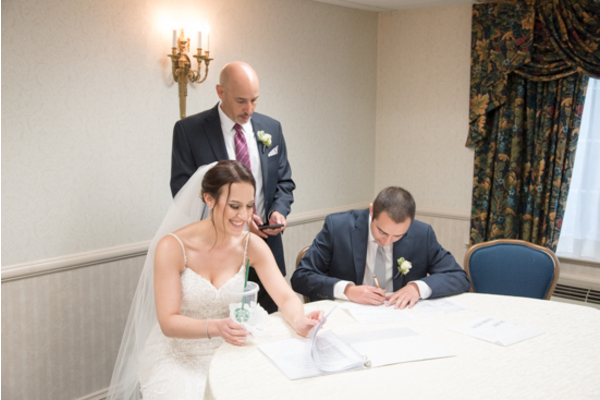 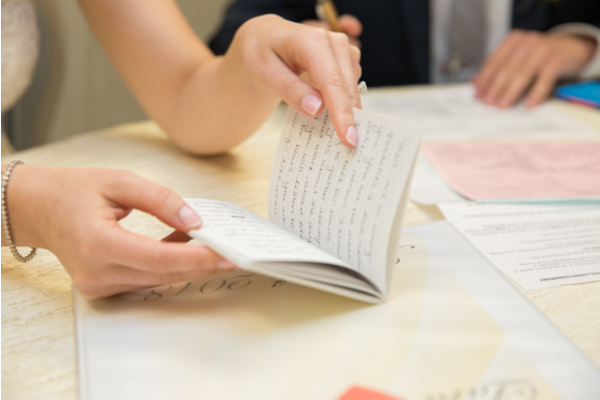 To top off this magical moment, the two also exchanged personal gifts and heartfelt hand-written letters. 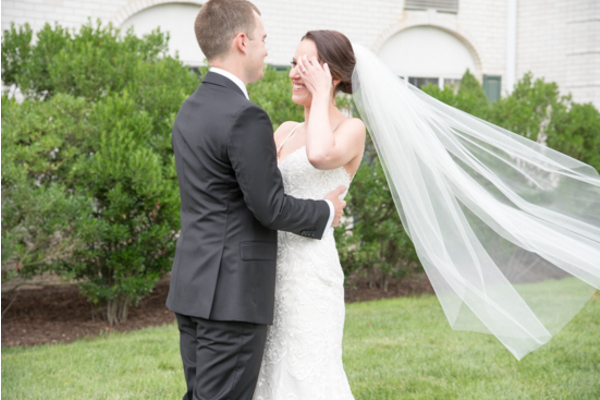 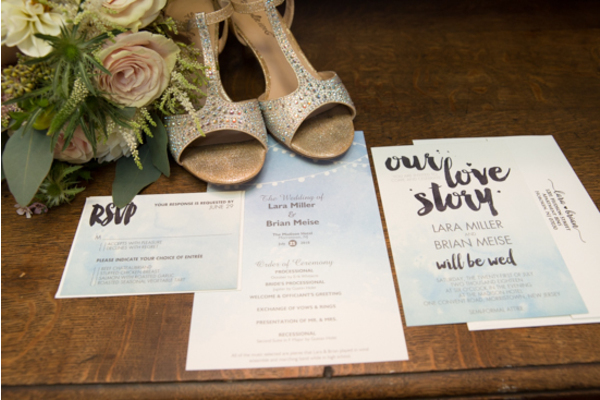 Overwhelmed with joy, these lovers could not wait to make their love an official statement to all! 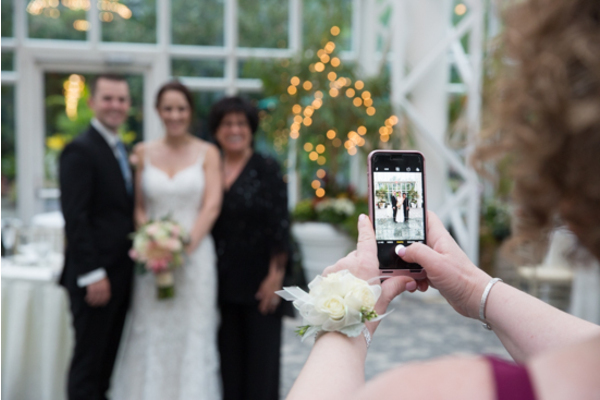 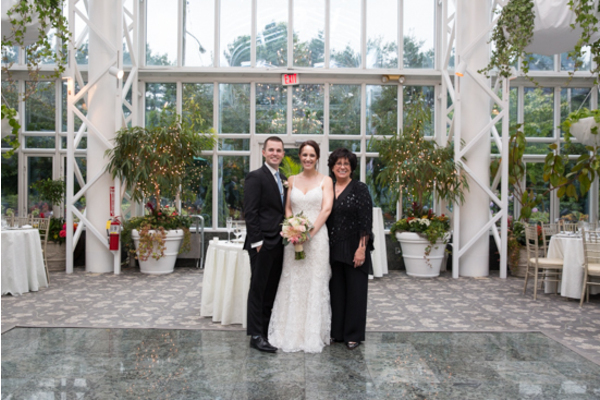 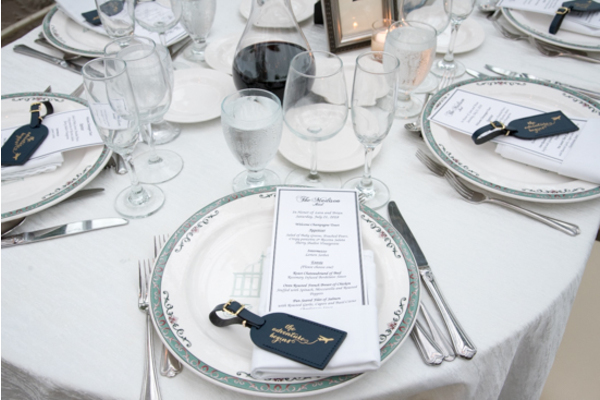 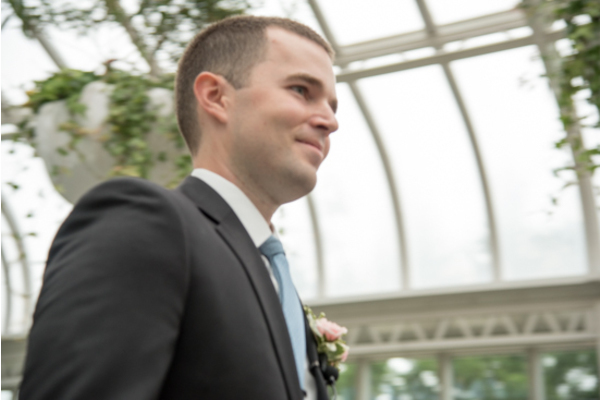 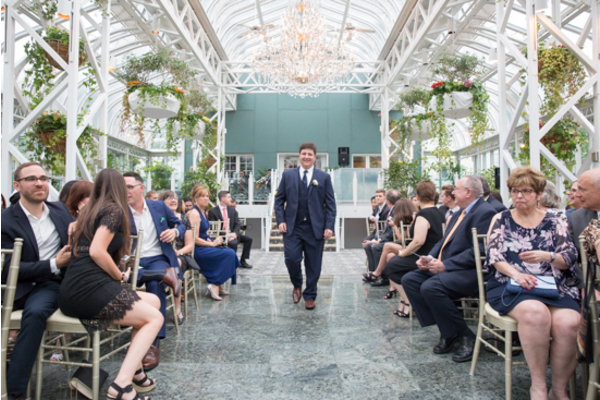 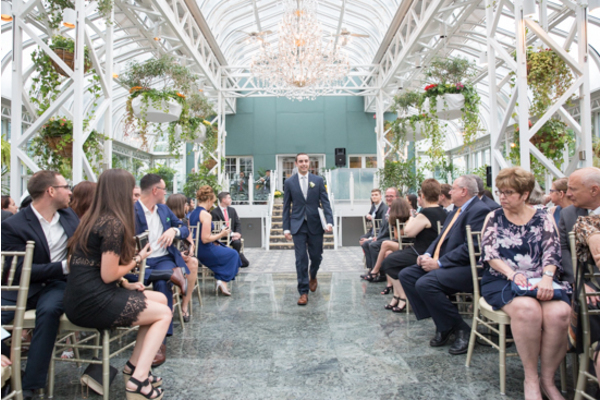 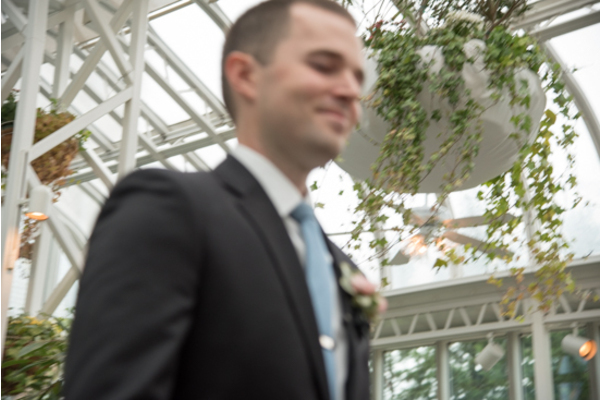 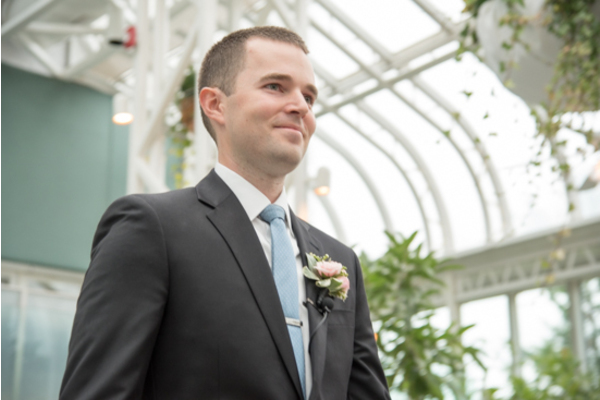 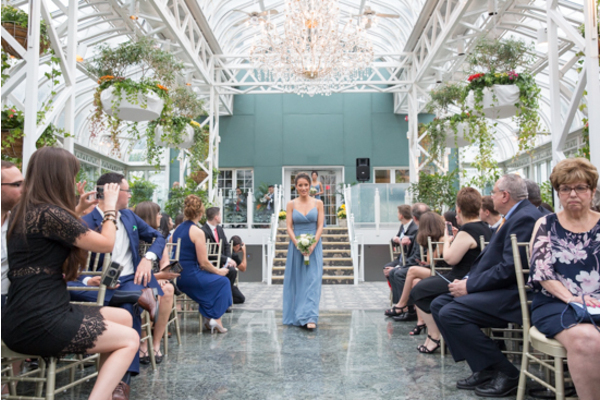 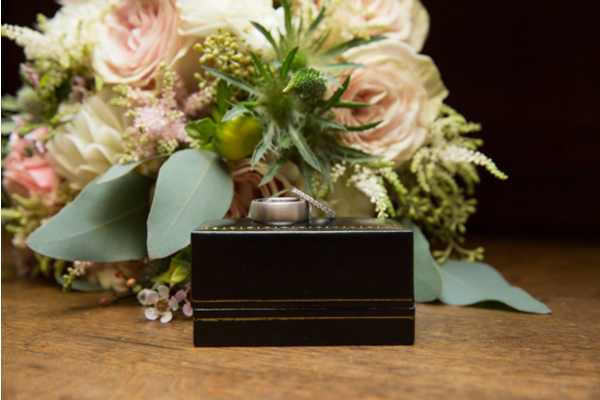 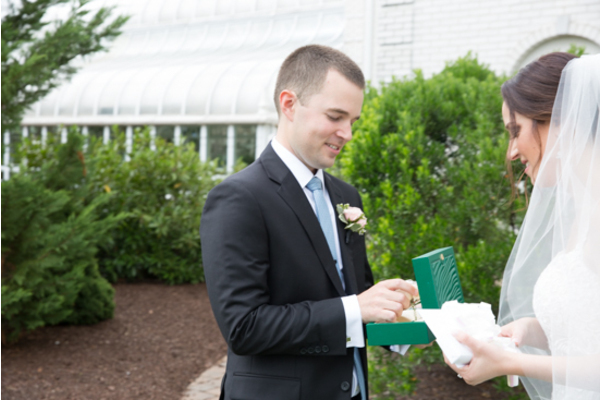 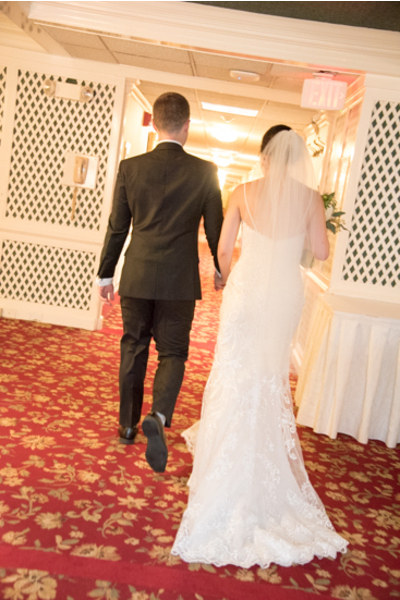 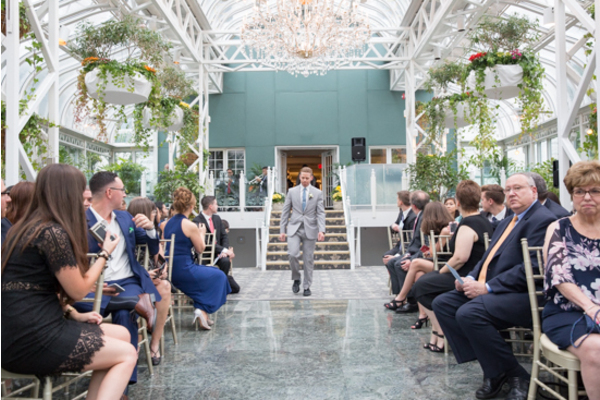 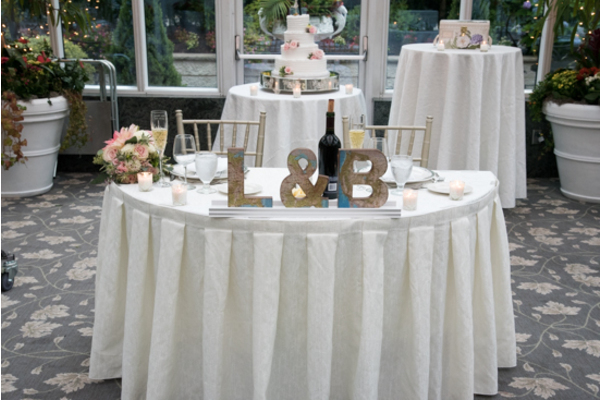 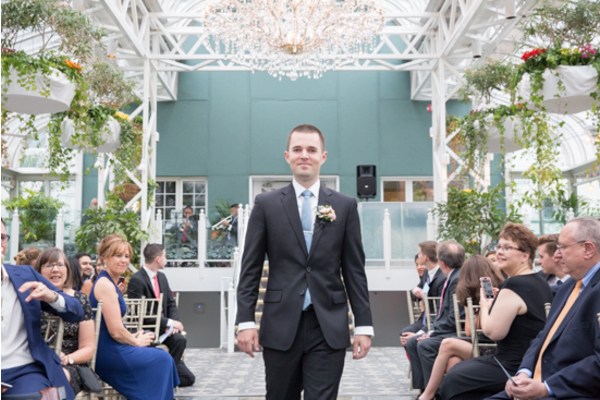 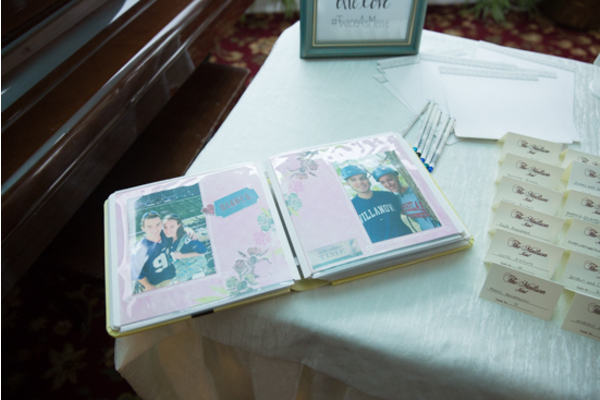 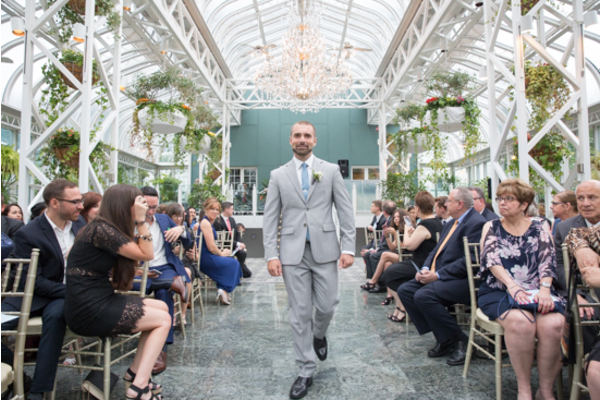 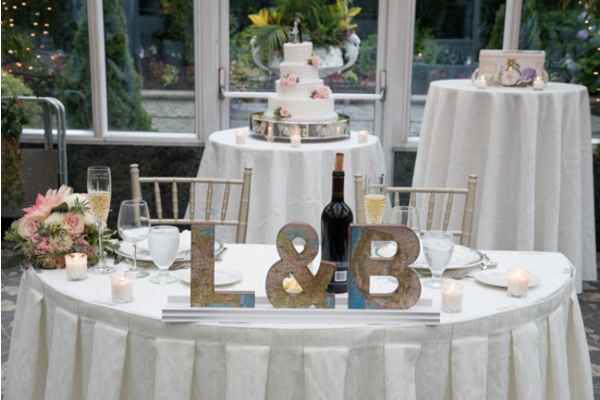 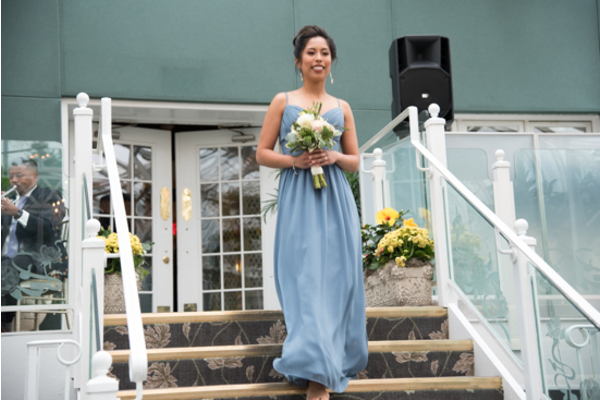 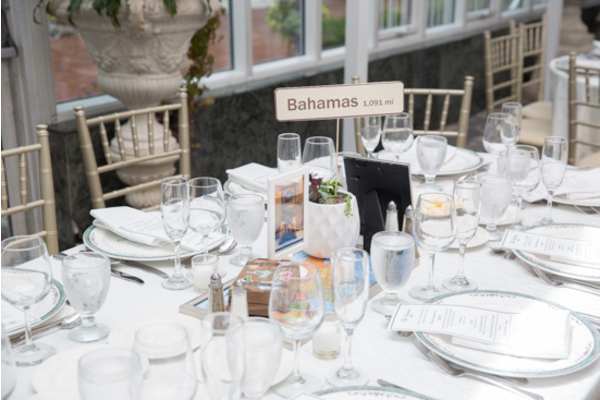 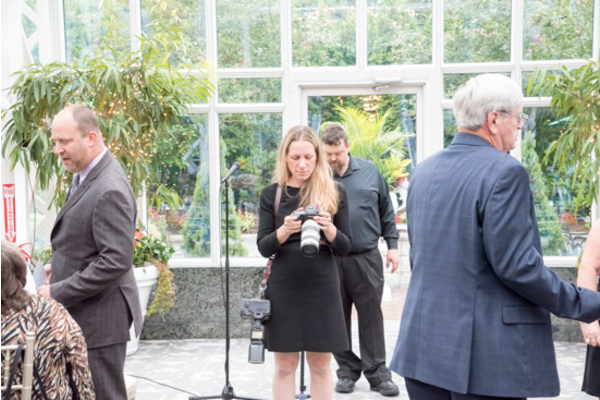 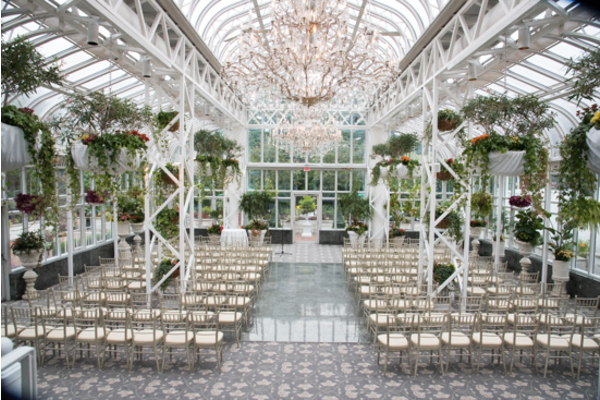 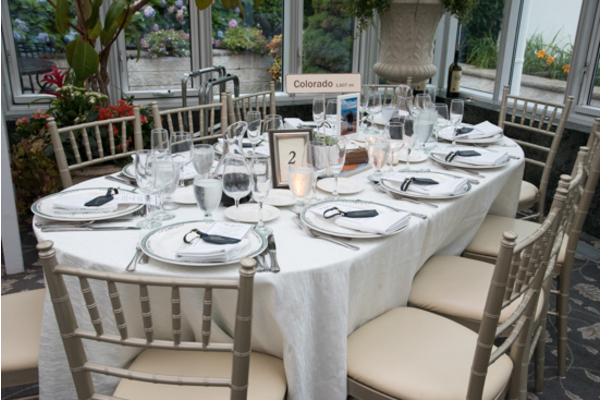 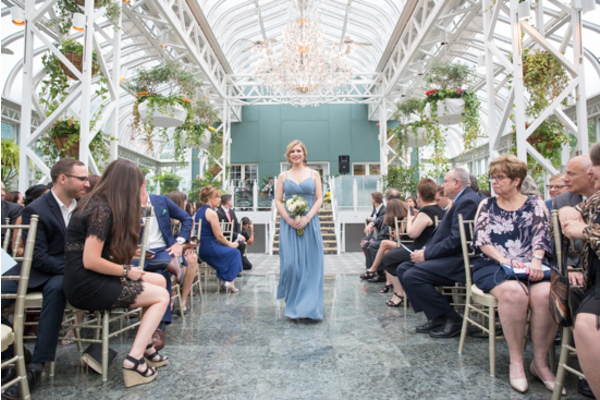 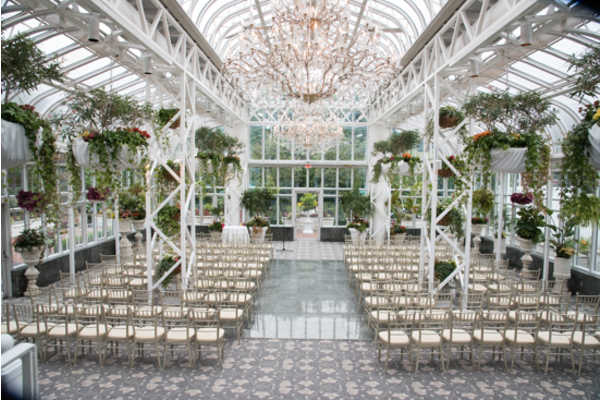 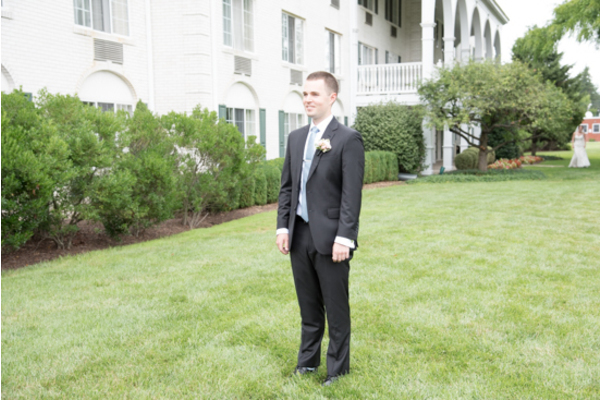 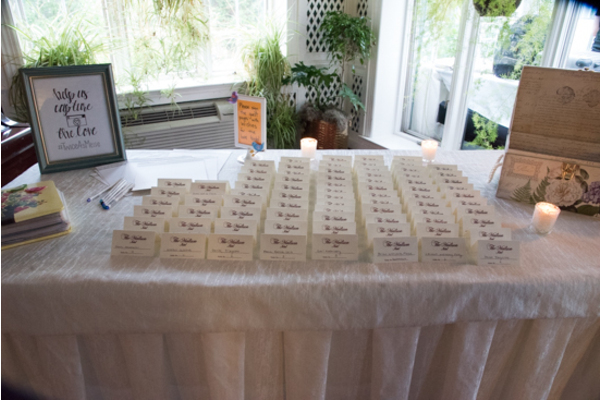 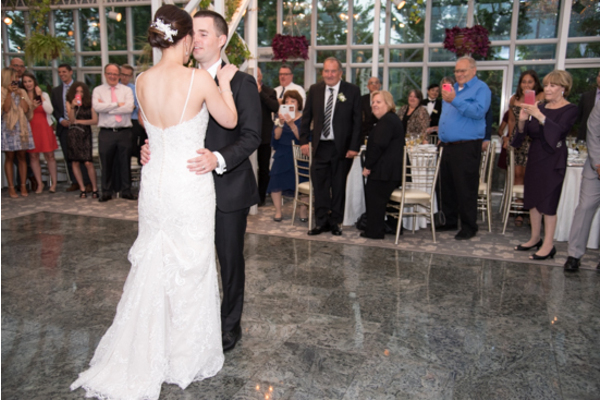 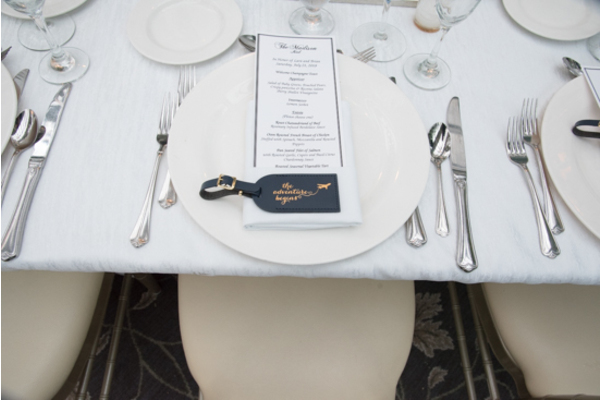 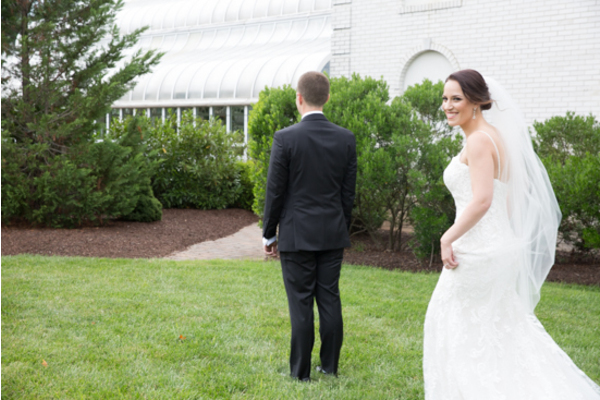 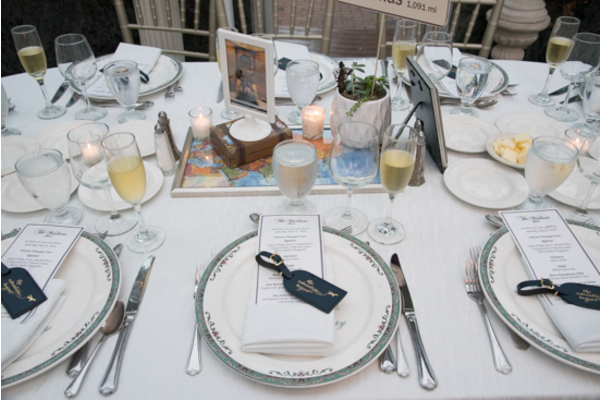 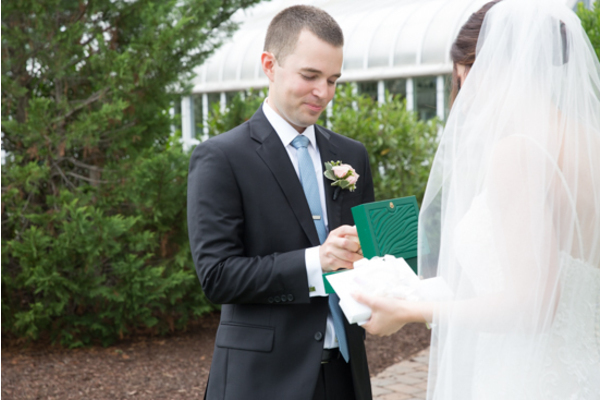 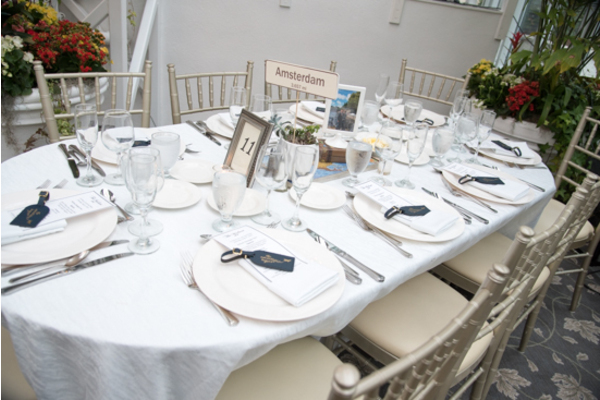 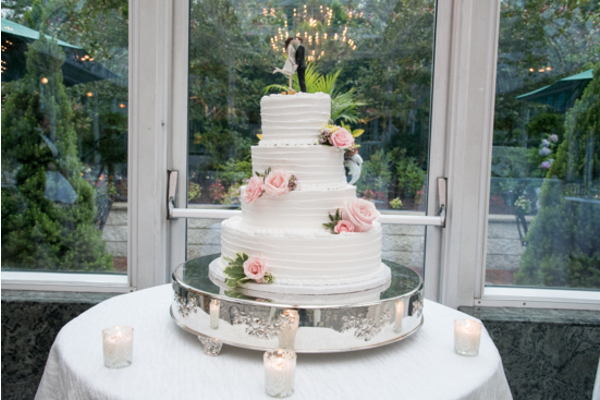 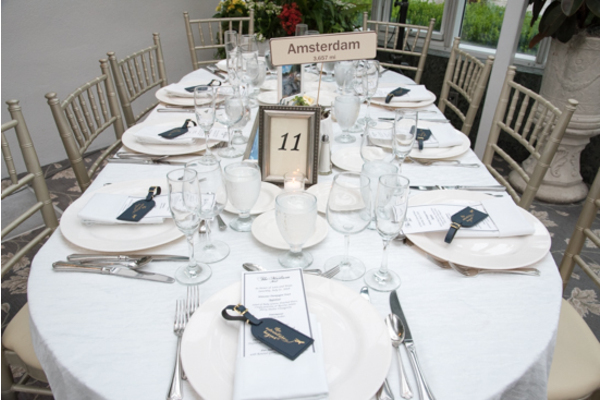 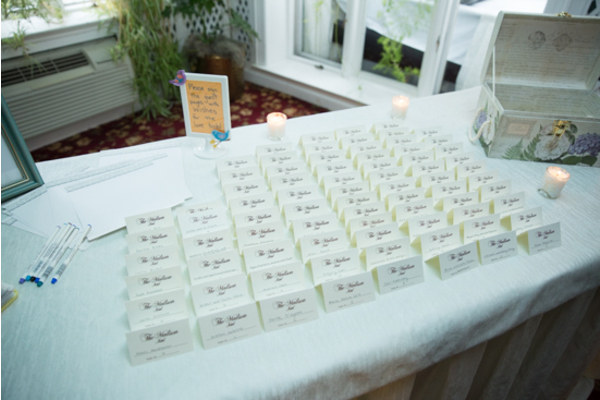 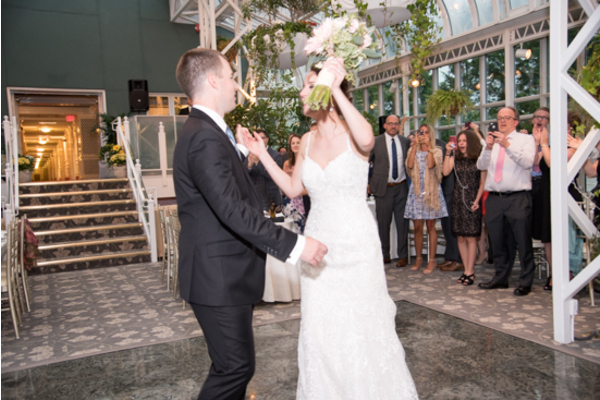 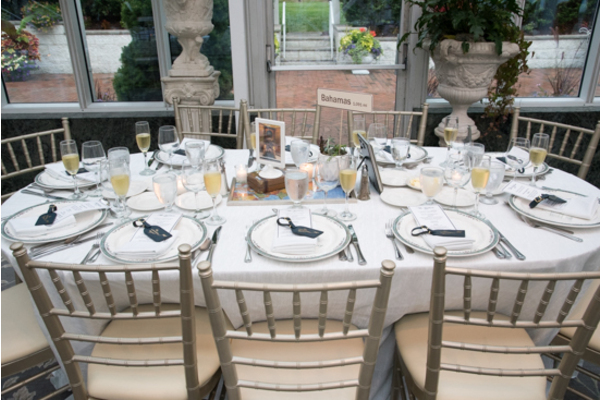 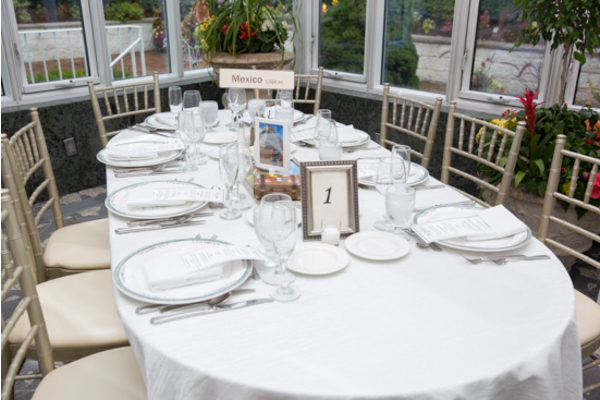 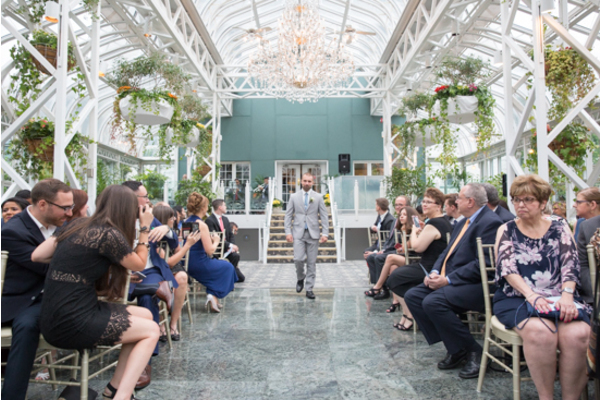 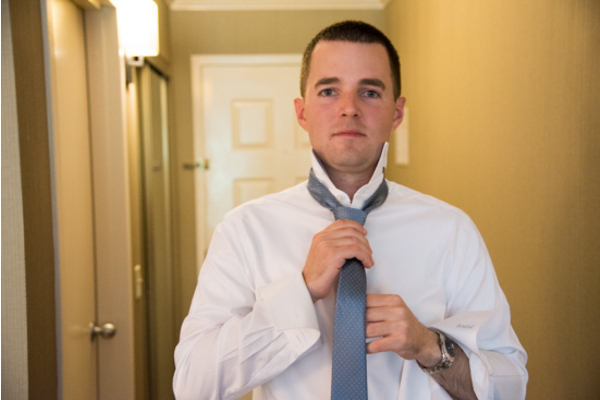 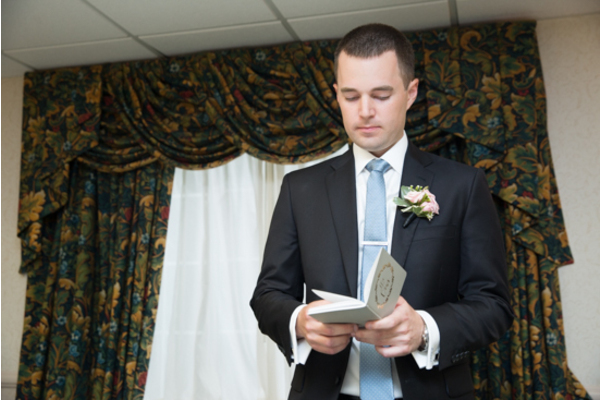 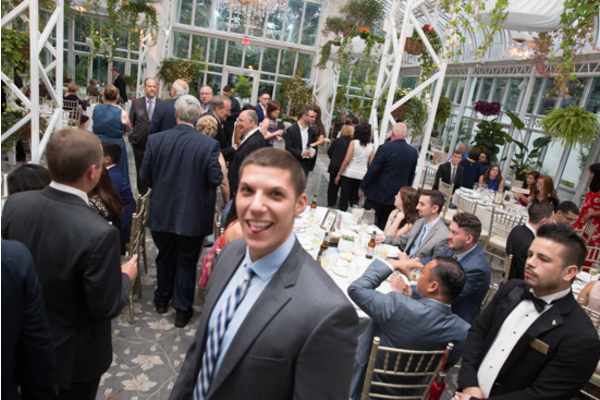 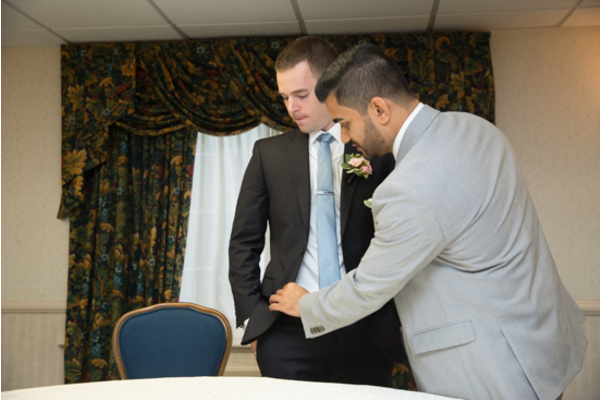 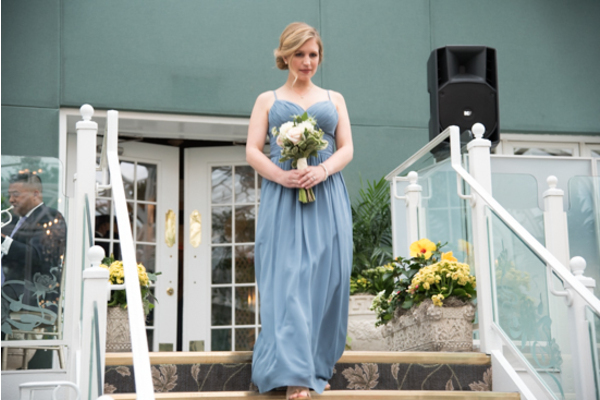 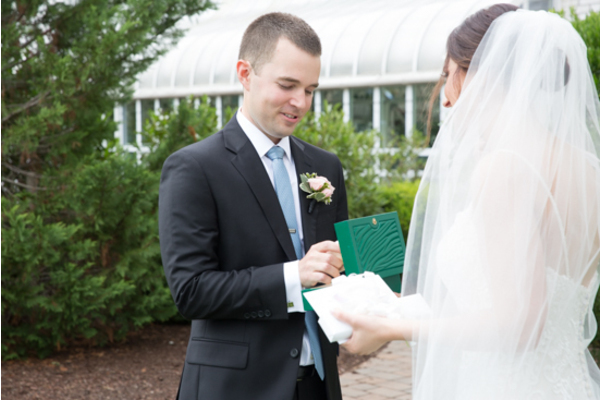 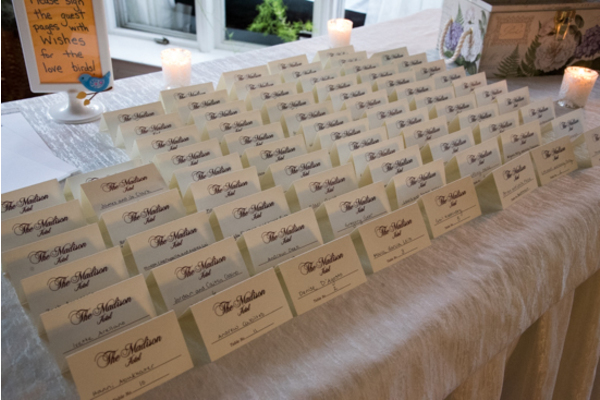 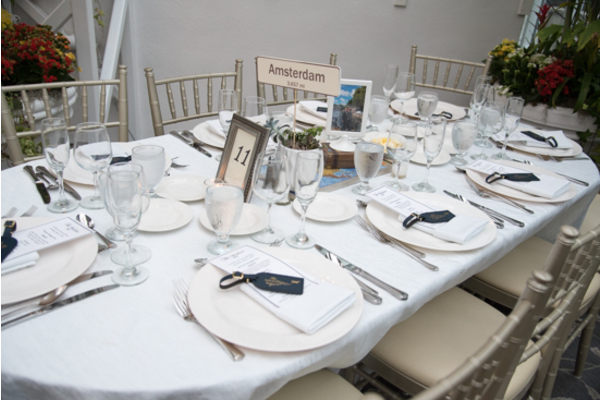 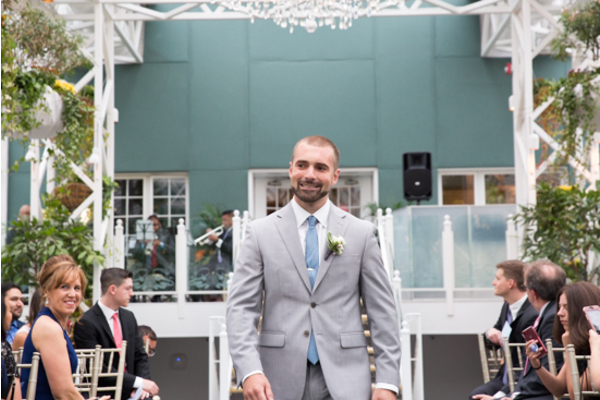 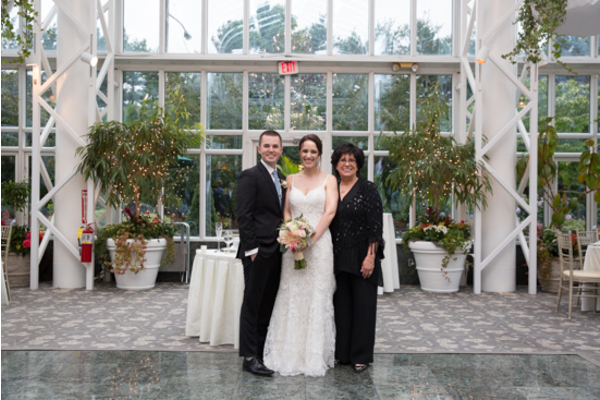 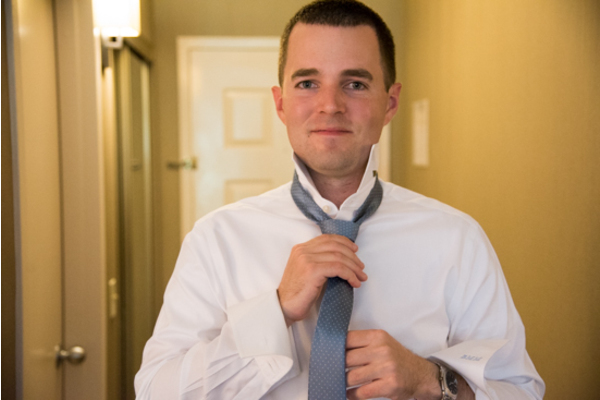 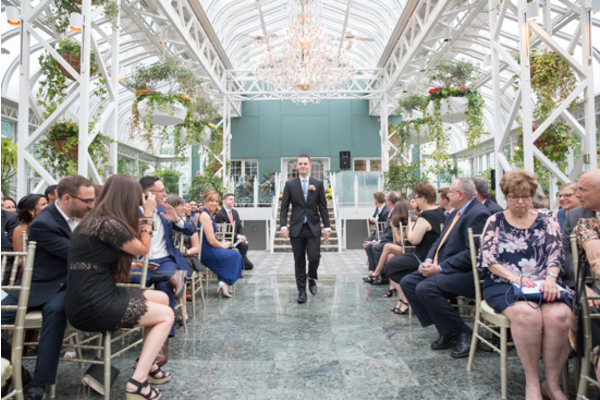 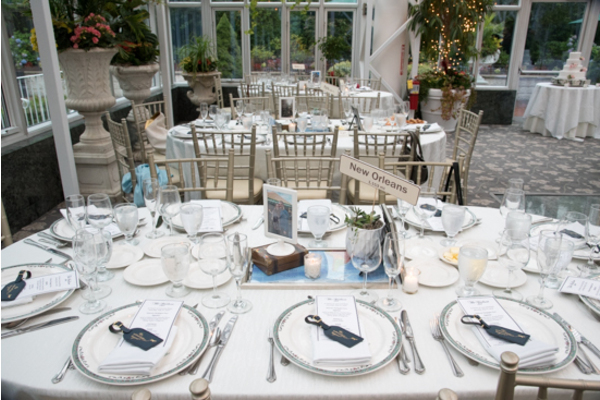 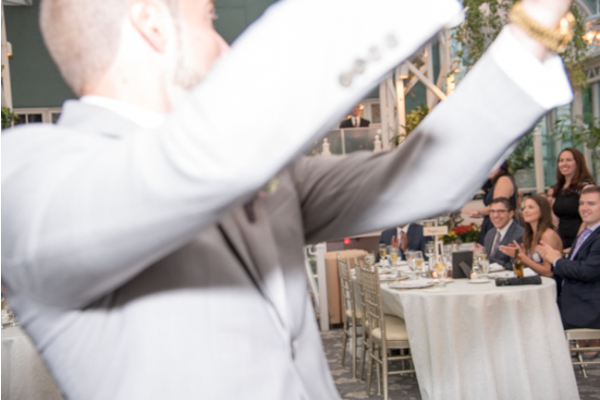 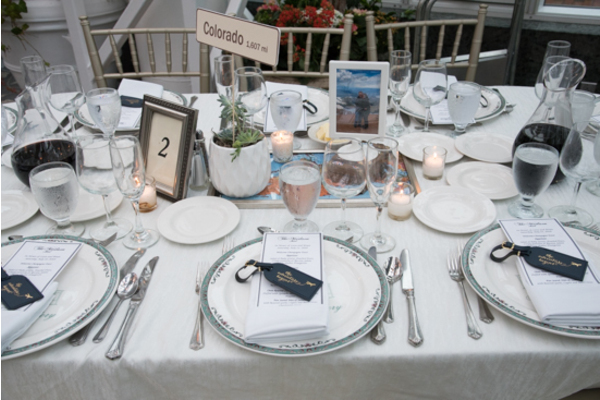 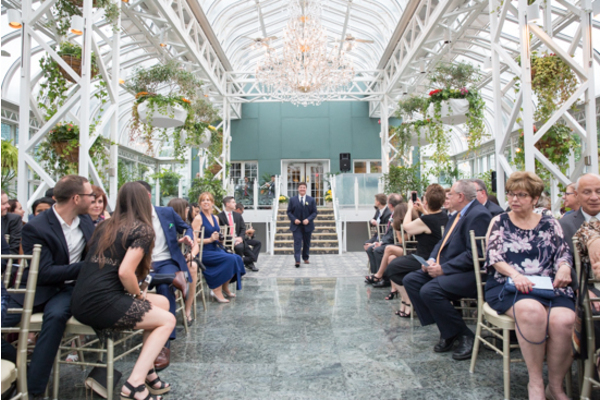 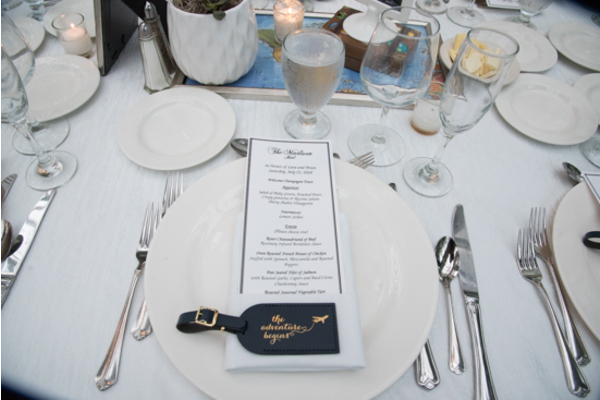 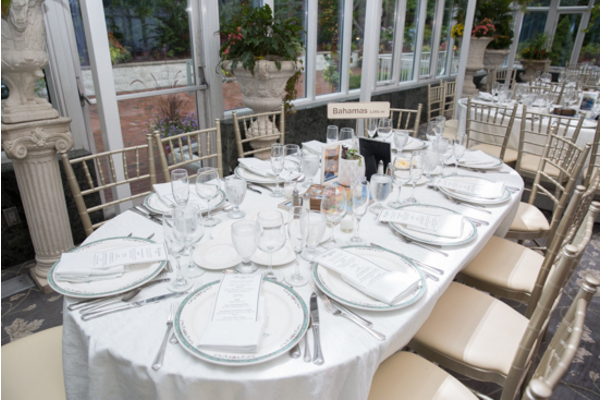 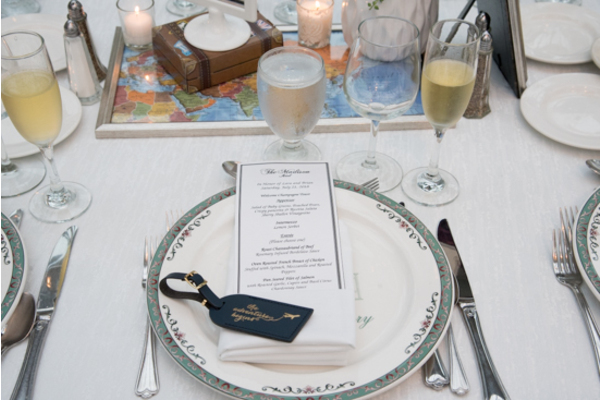 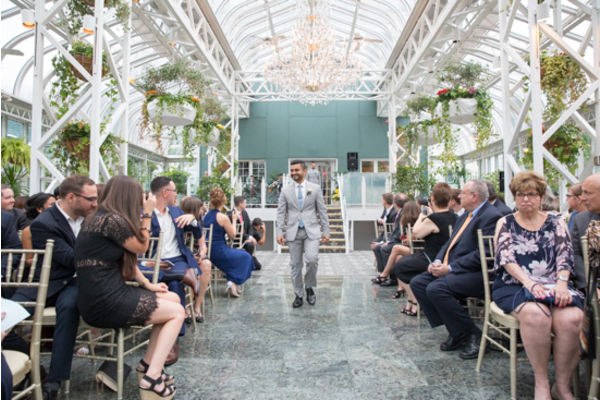 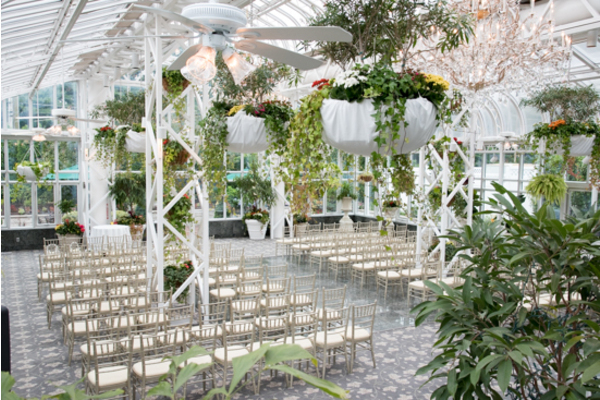 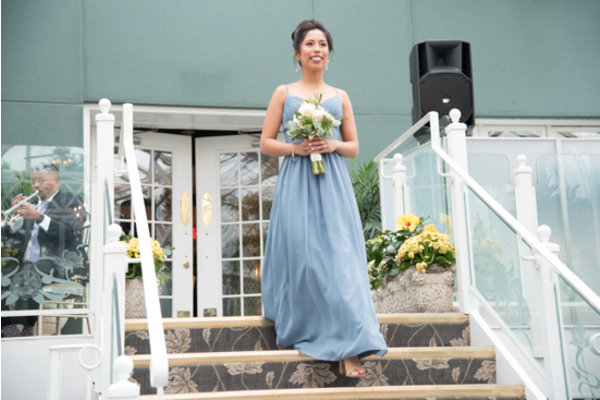 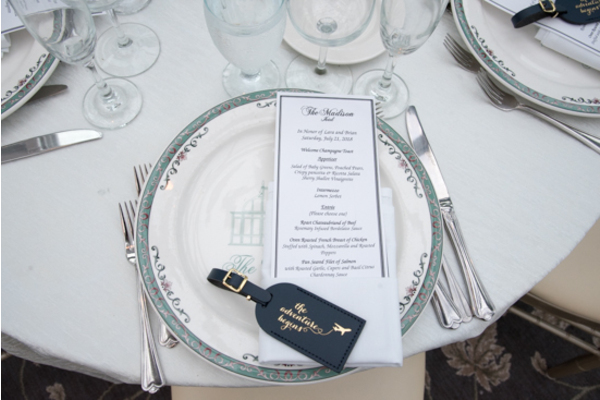 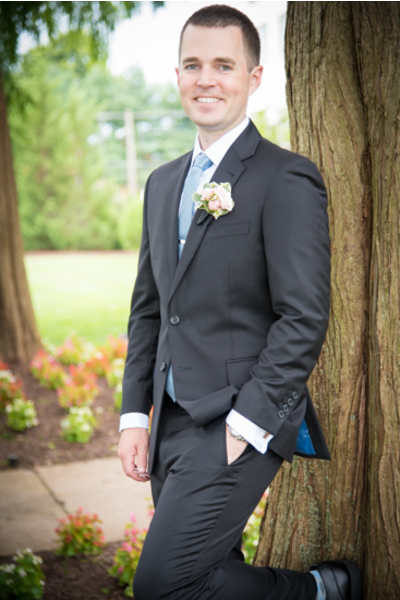 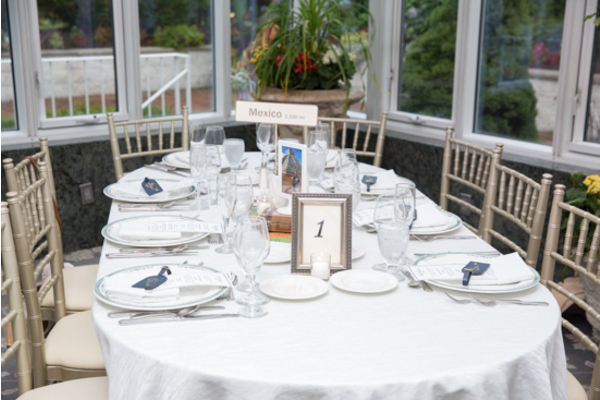 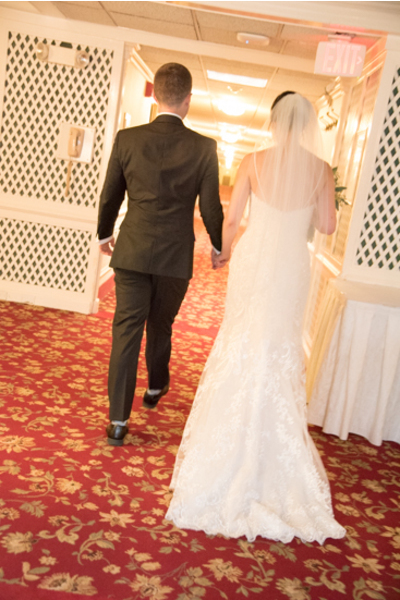 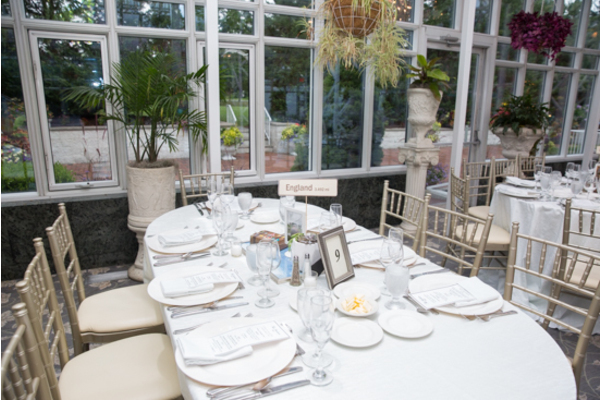 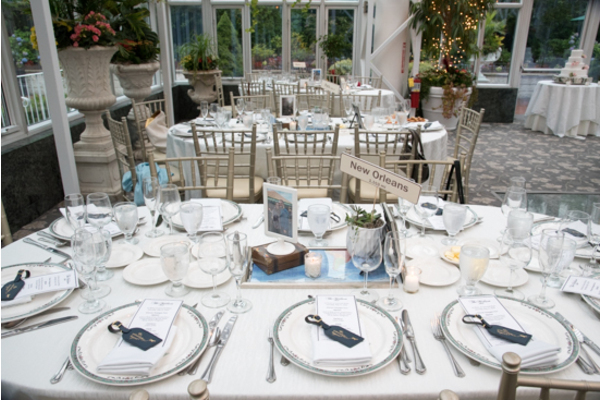 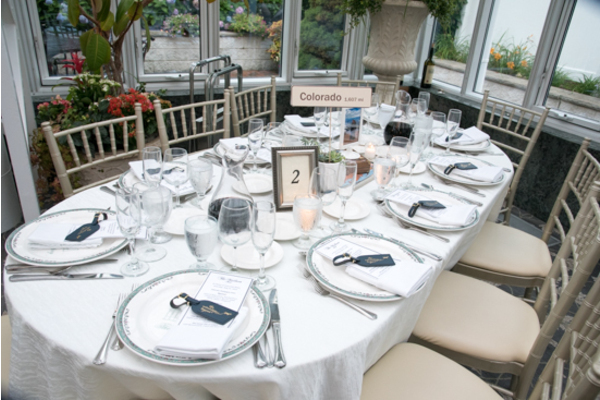 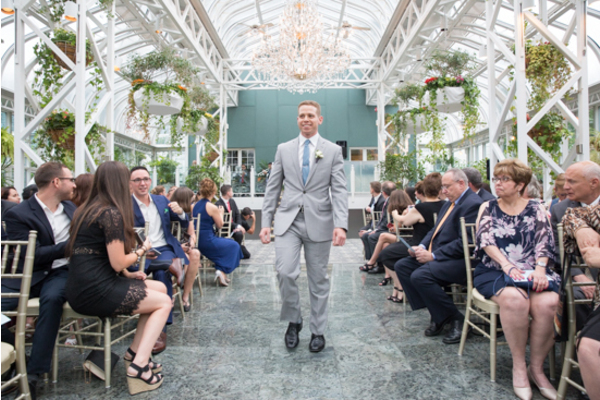 As guest filed into their seats, our NJ Wedding Videographer was all set up to capture the most memorable moments. 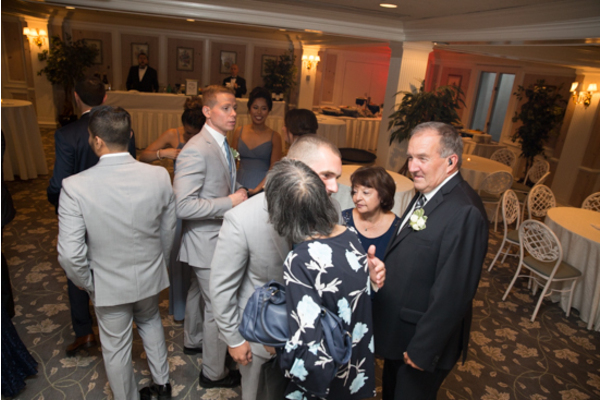 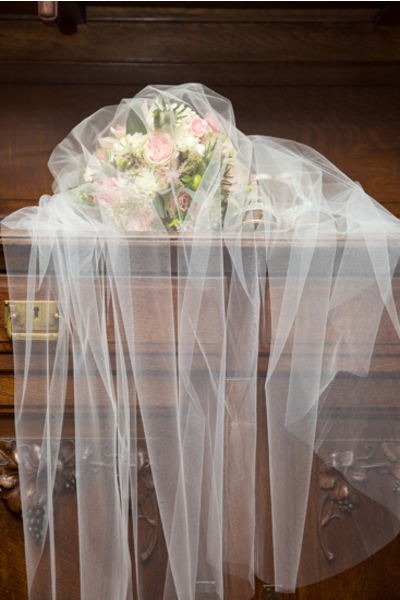 The bridal party lined the alter, and everyone began to stand for the arrival of the beautiful bride. 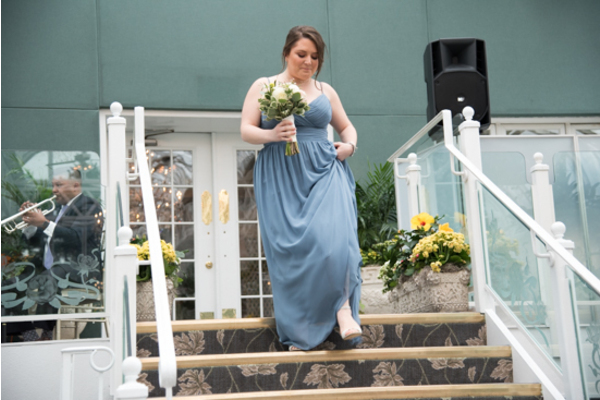 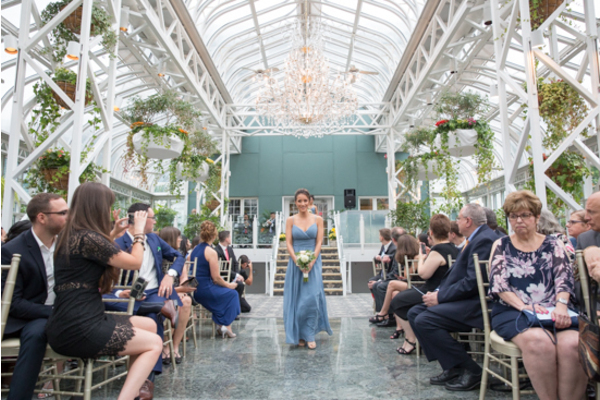 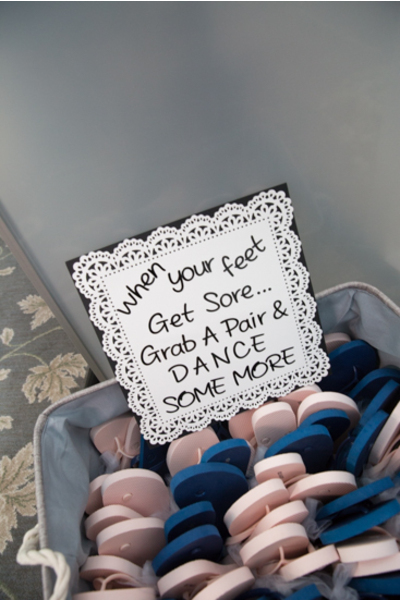 Lara gracefully glided up the aisle to meet the man of her dreams! 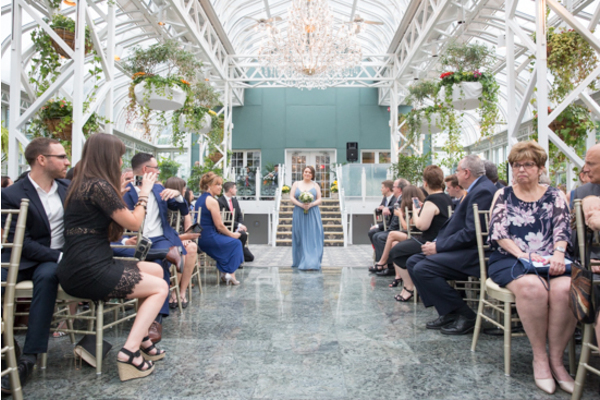 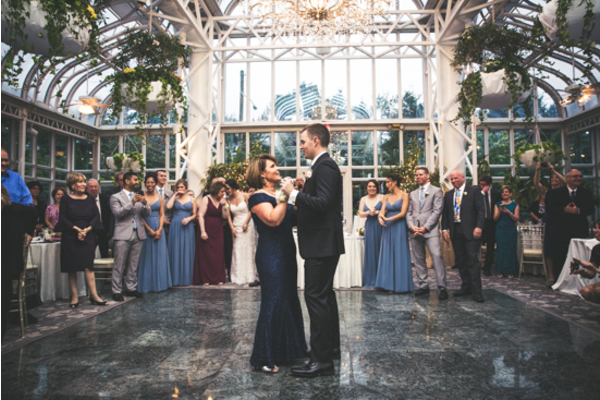 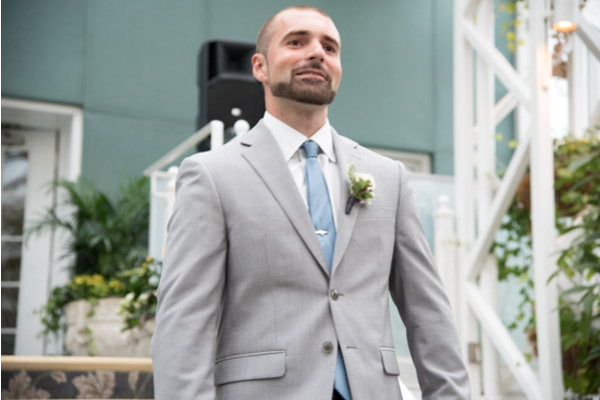 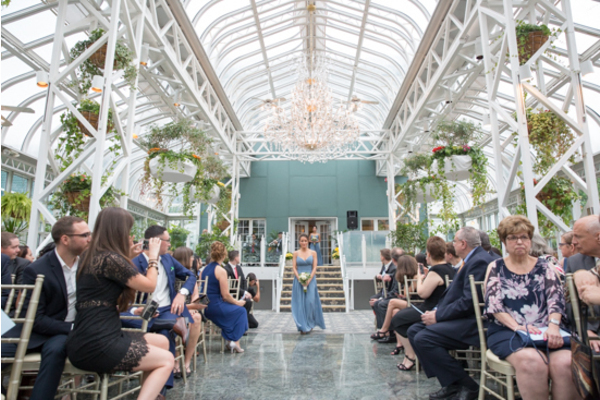 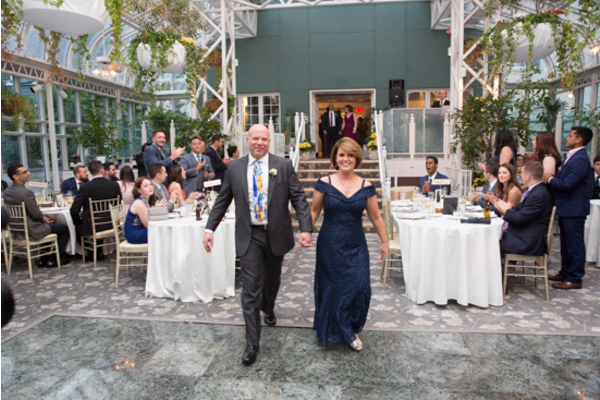 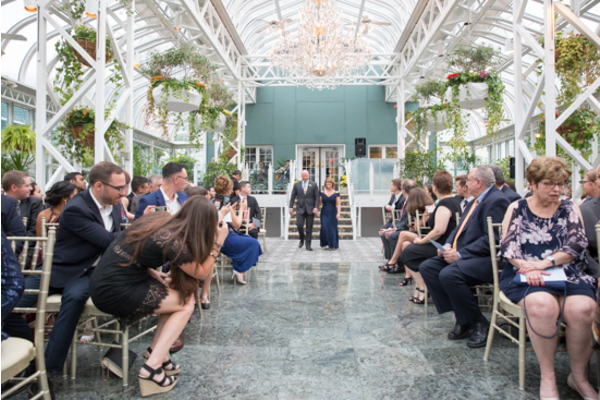 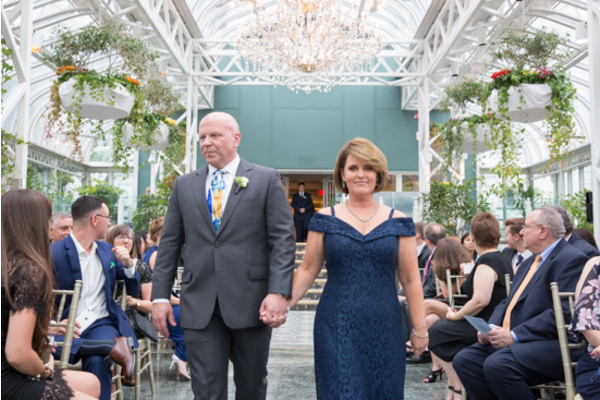 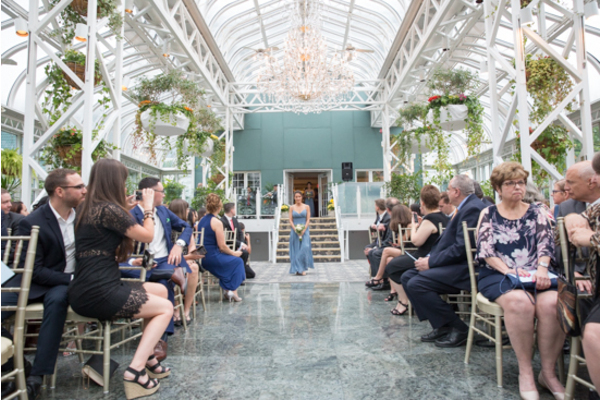 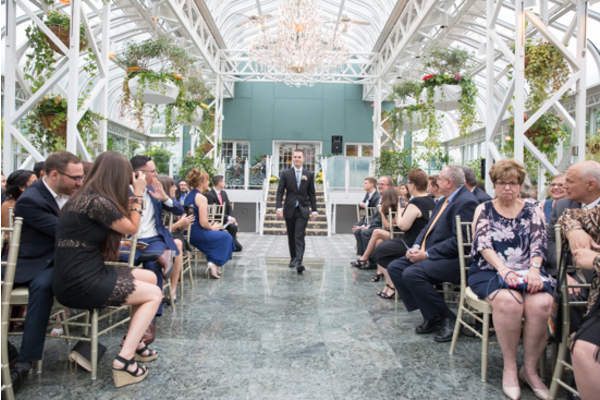 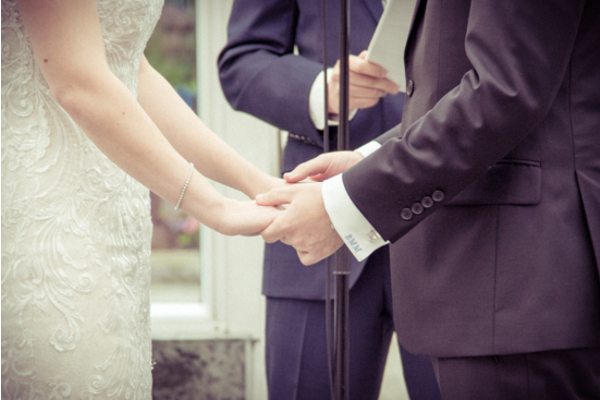 As the two stood before everyone and exchanged vows, the emotion took over the room! 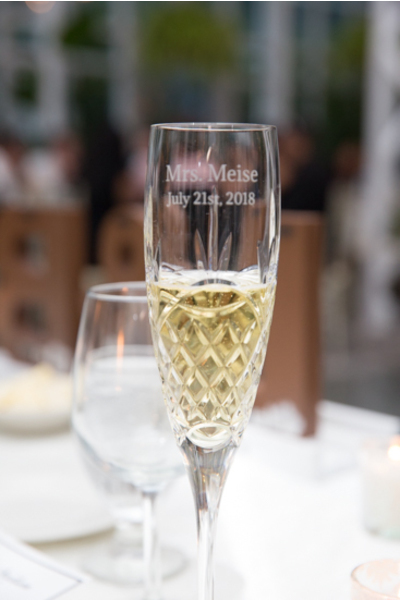 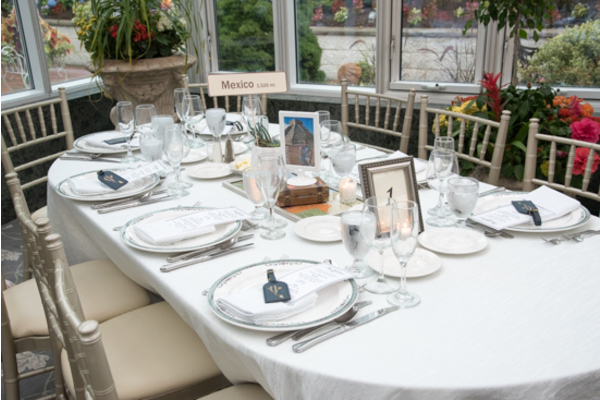 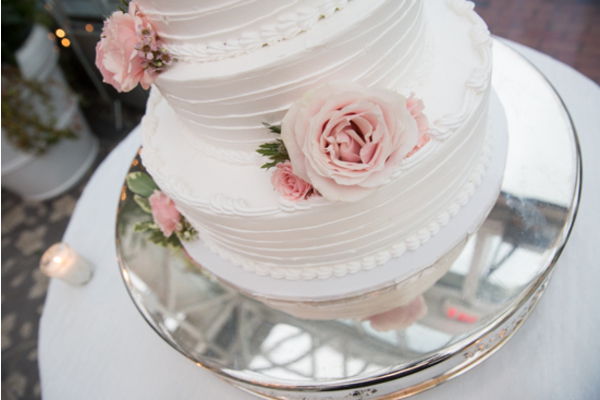 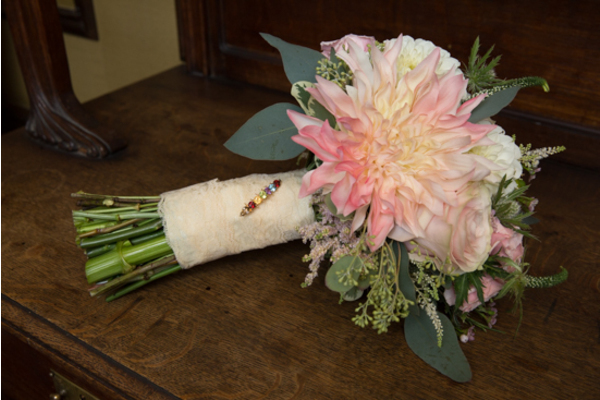 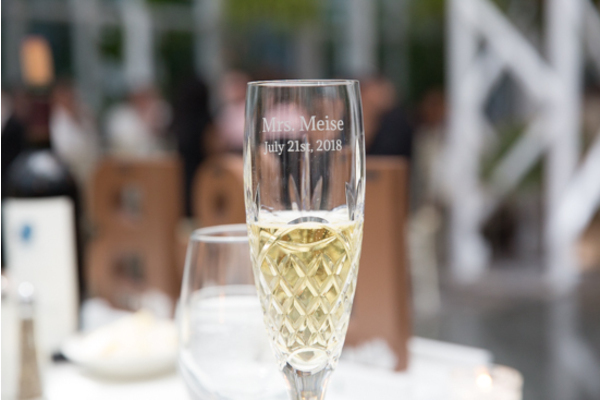 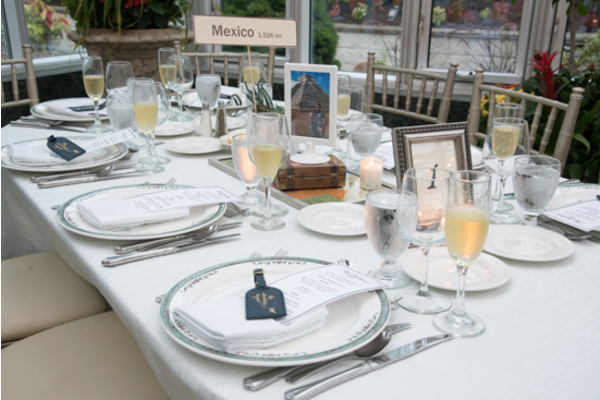 With the breaking of a glass and just one kiss, the two families became one and it was time to celebrate! 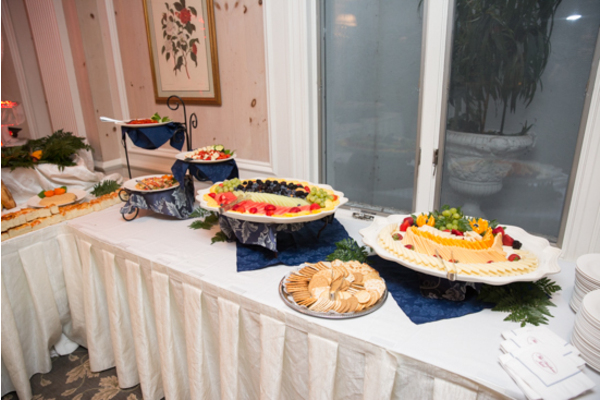 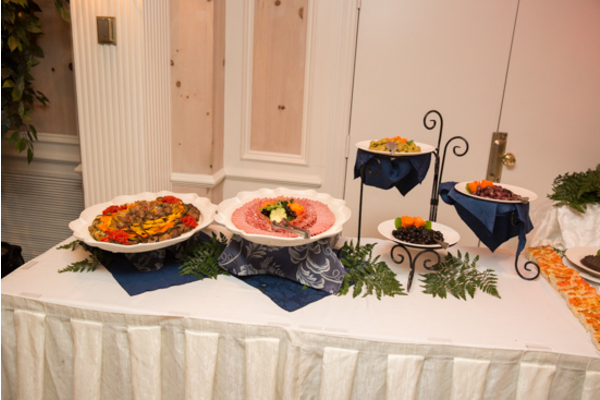 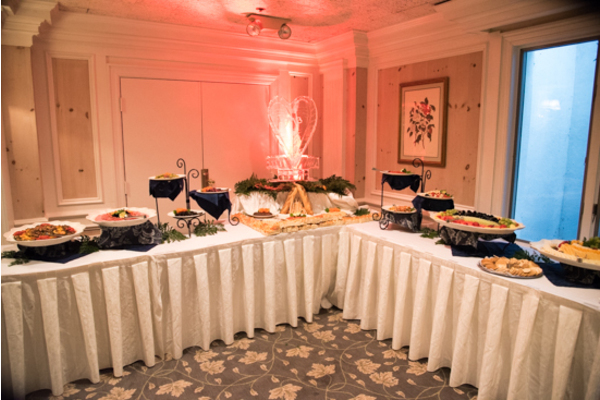 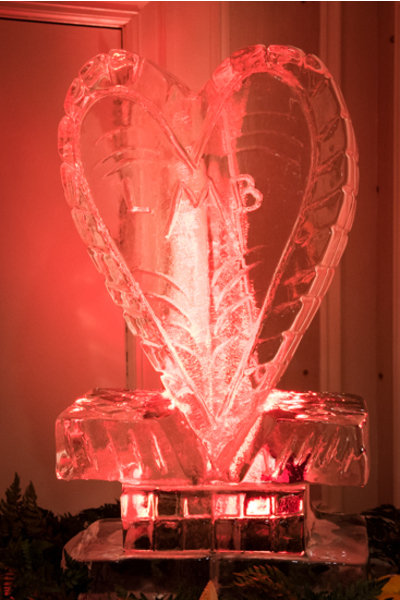 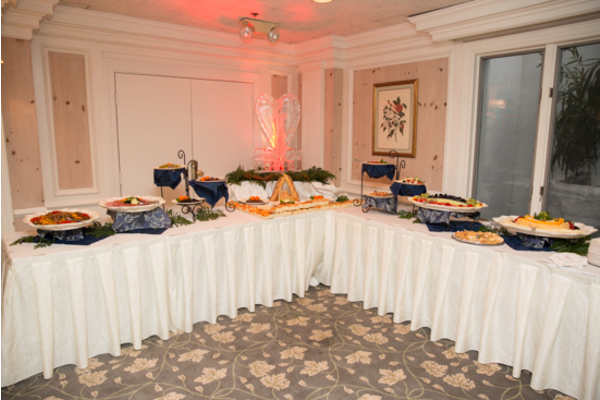 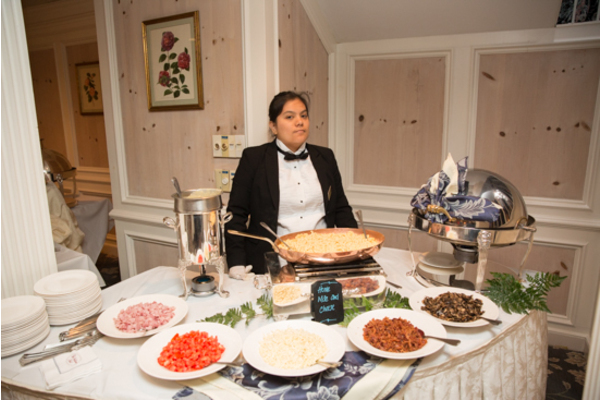 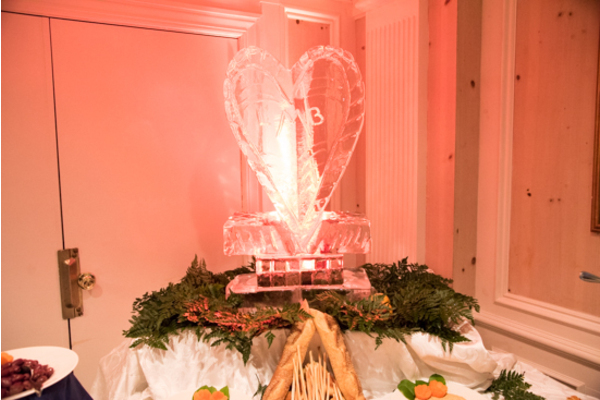 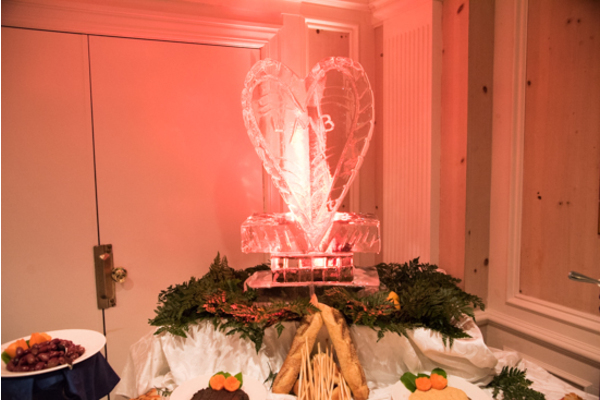 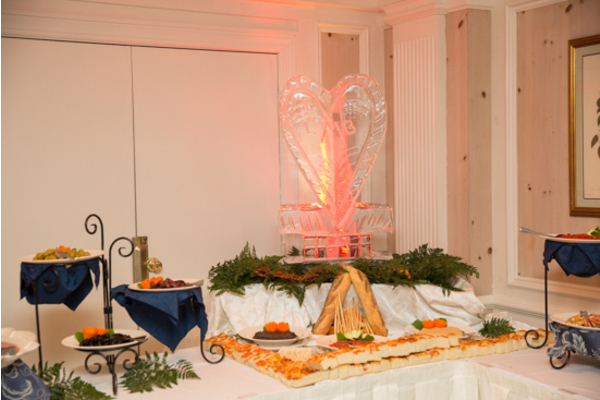 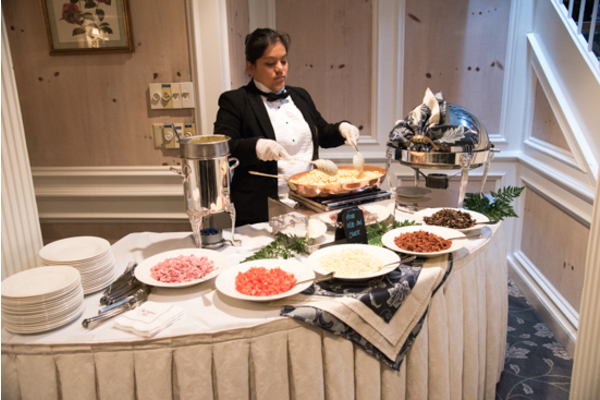 A heart-shaped ice sculpture and appetizers covered the tables for the cocktail hour. 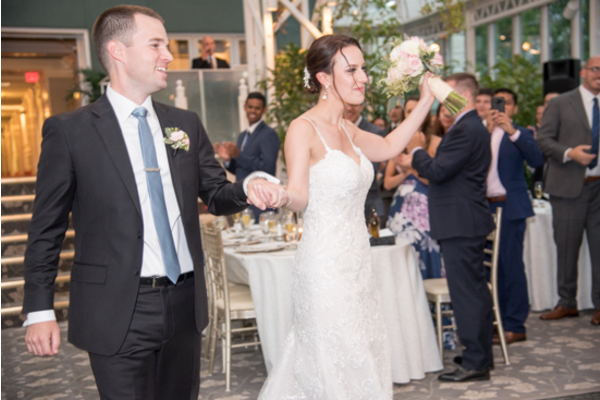 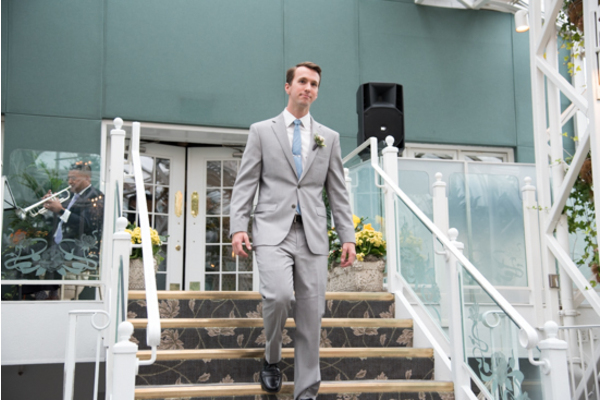 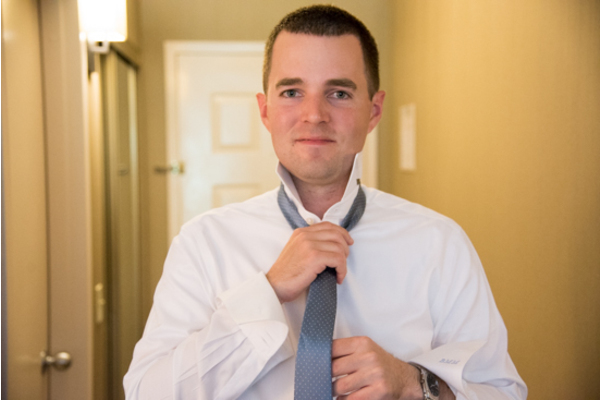 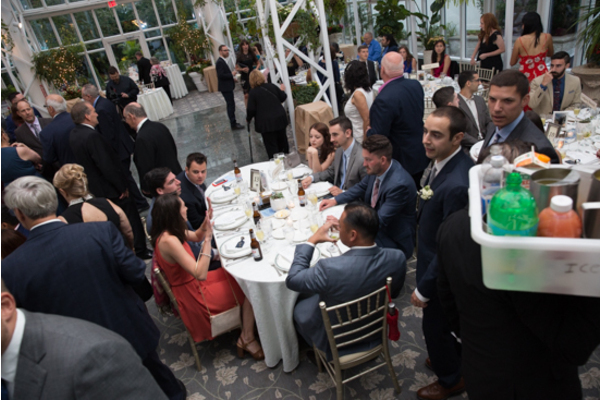 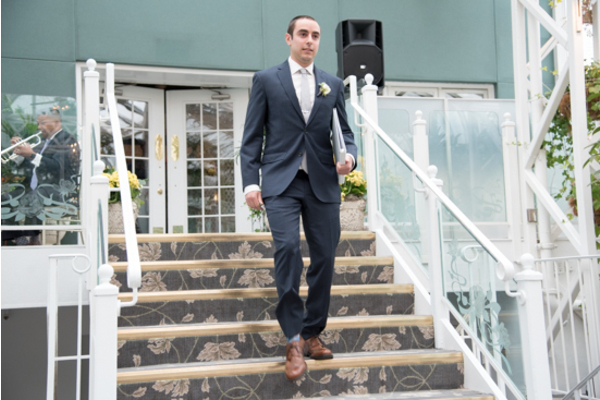 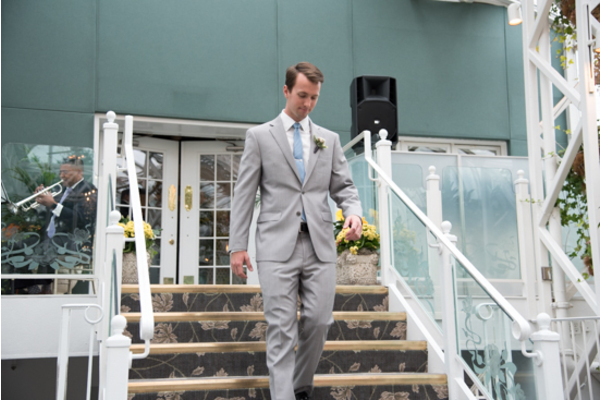 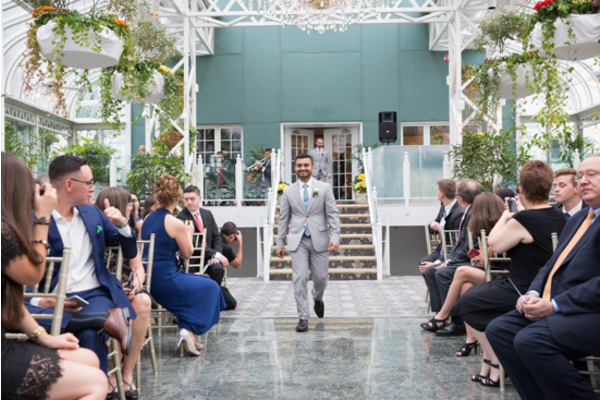 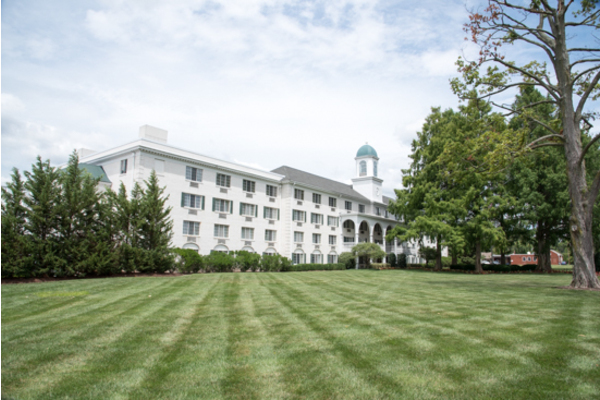 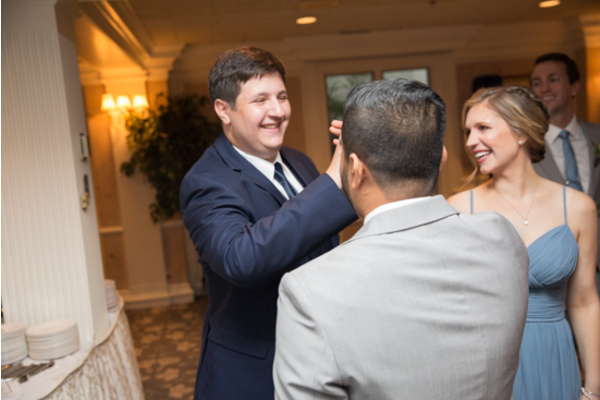 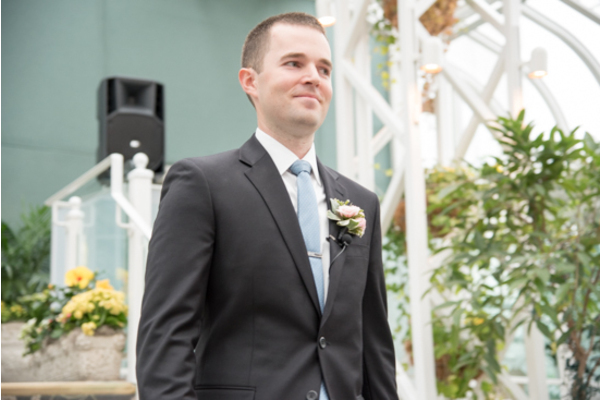 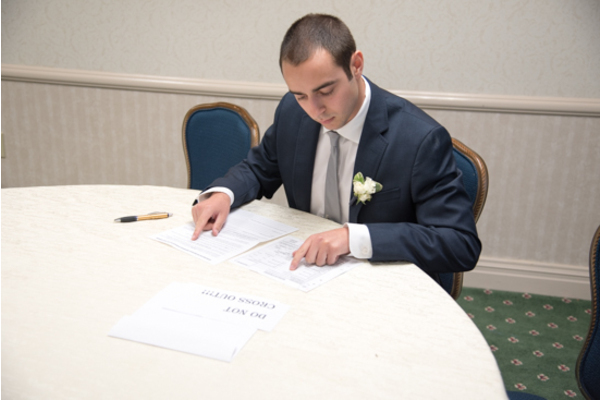 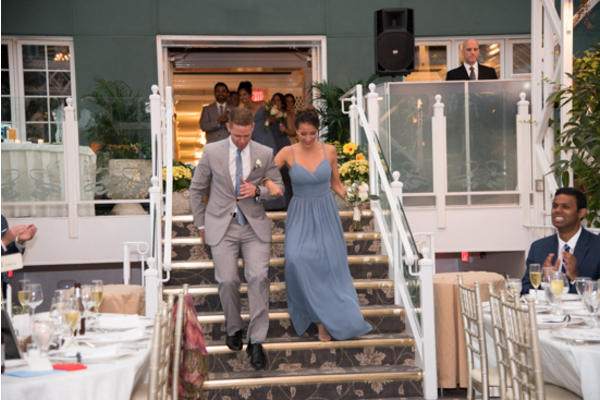 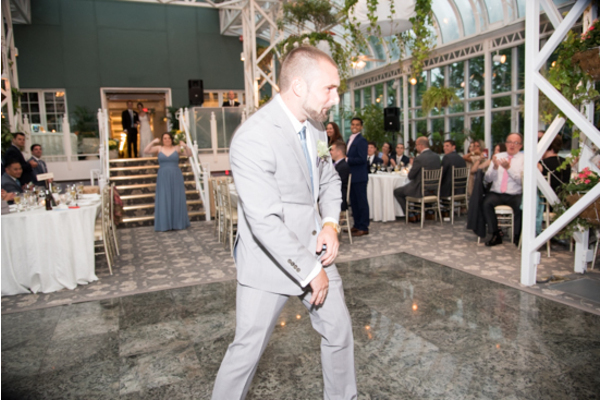 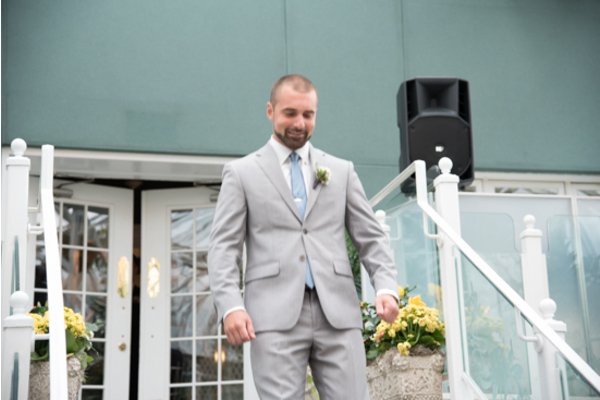 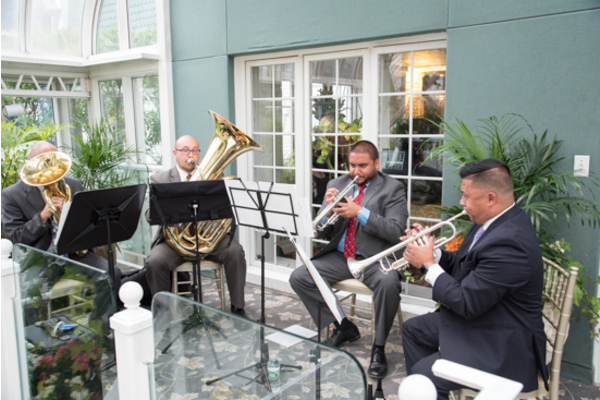 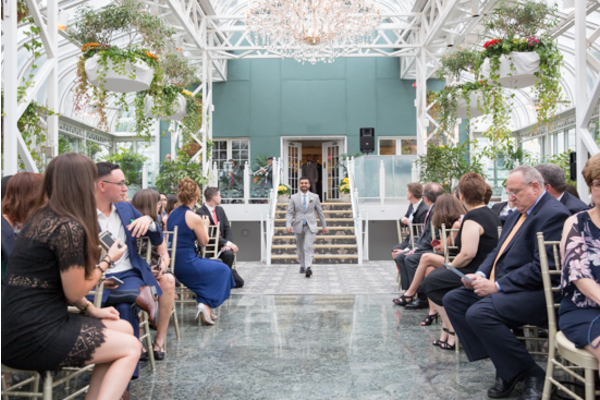 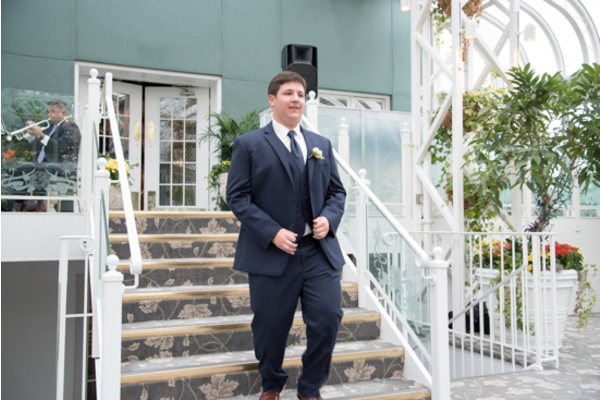 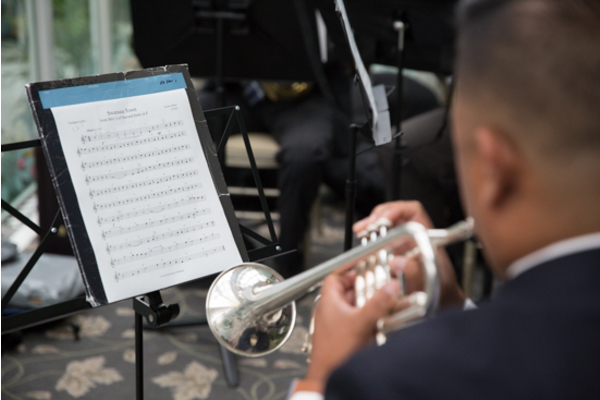 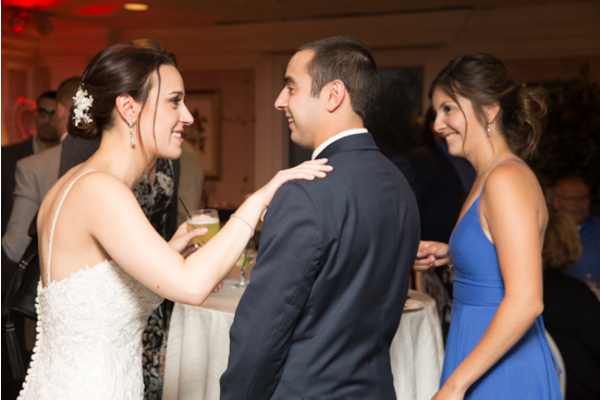 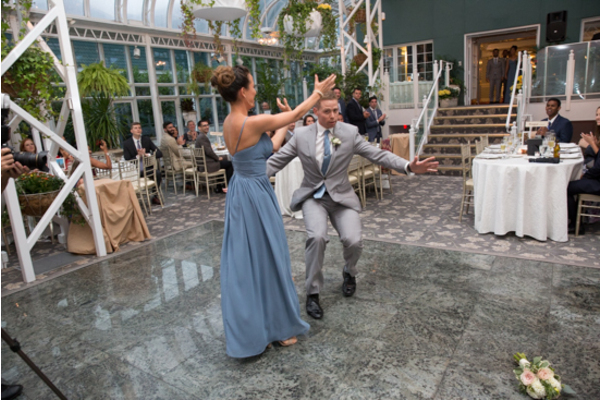 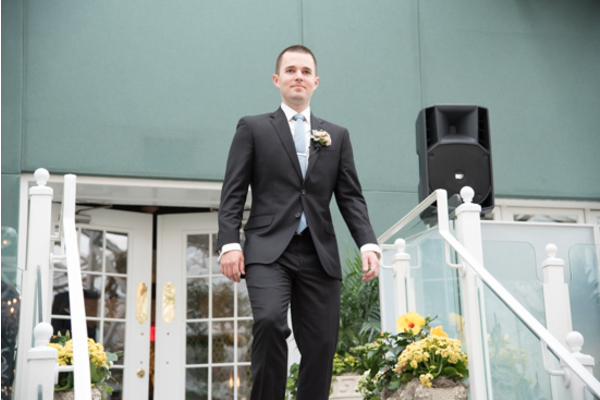 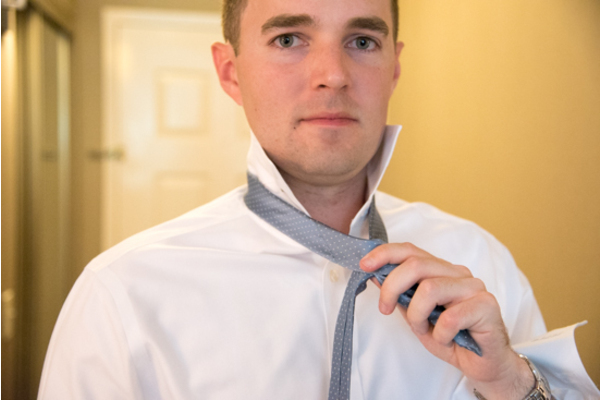 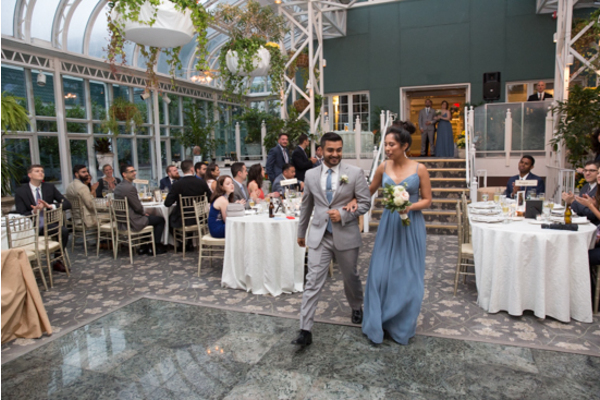 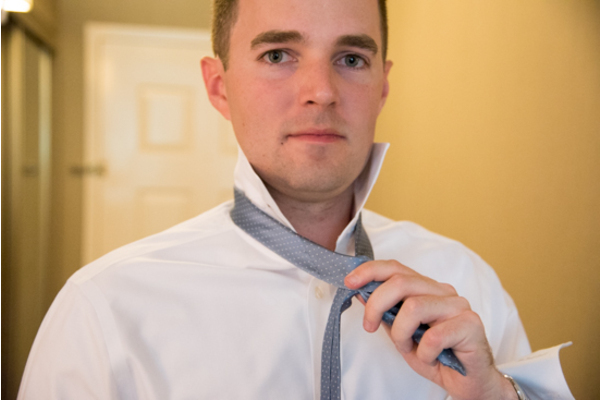 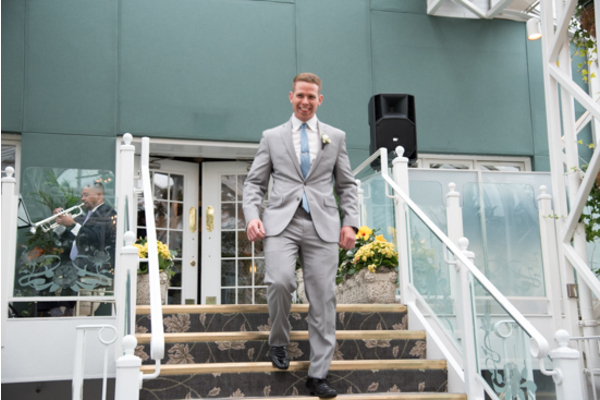 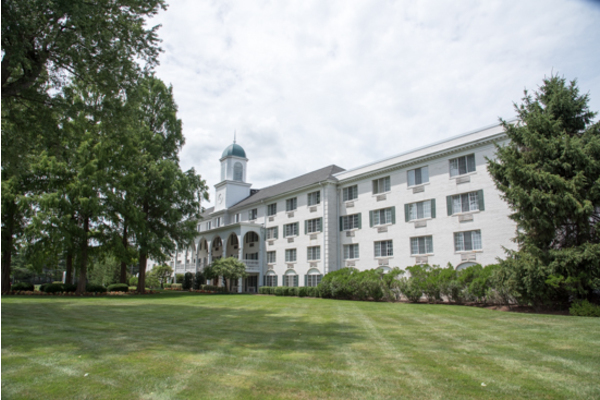 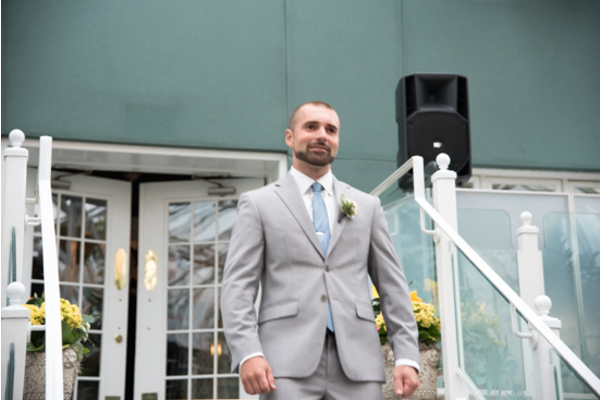 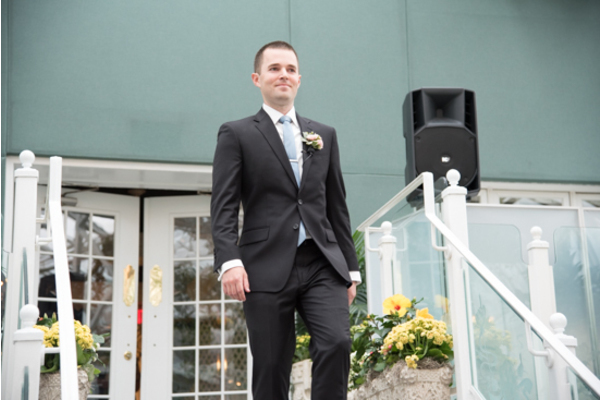 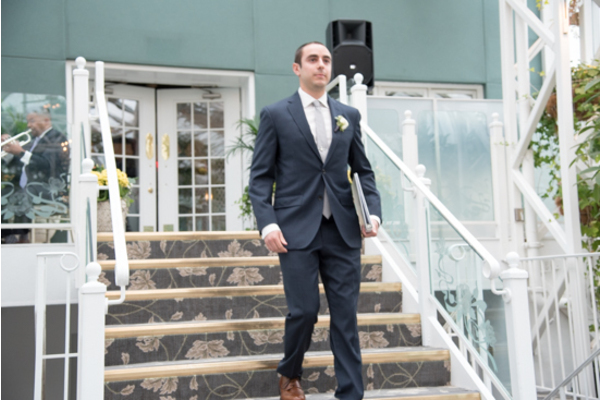 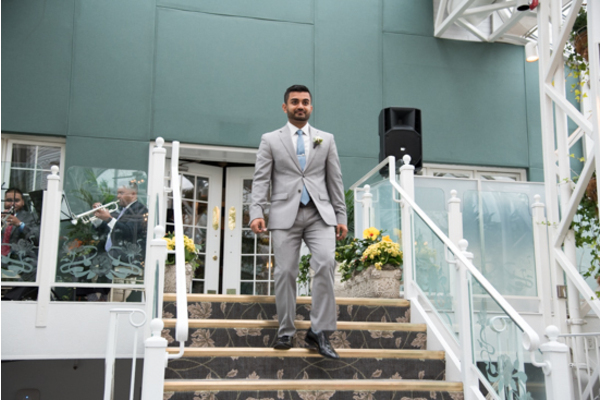 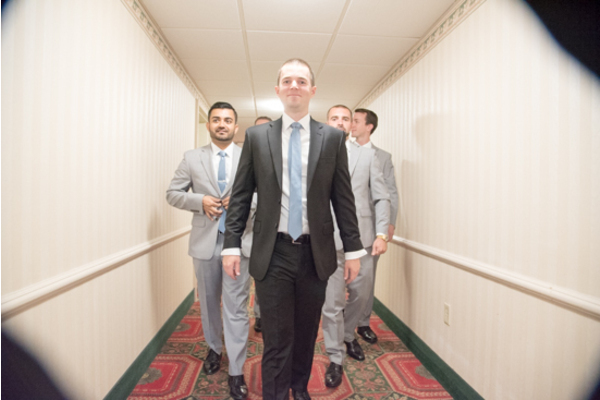 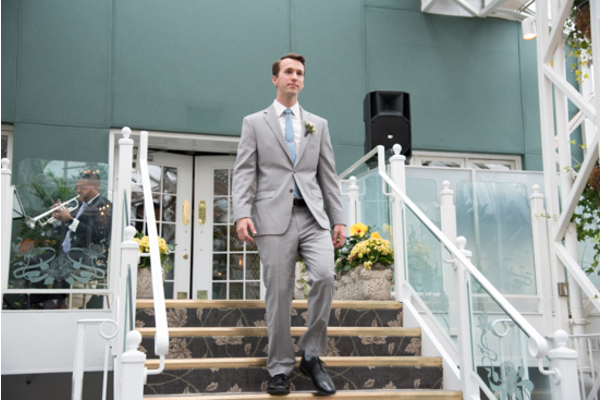 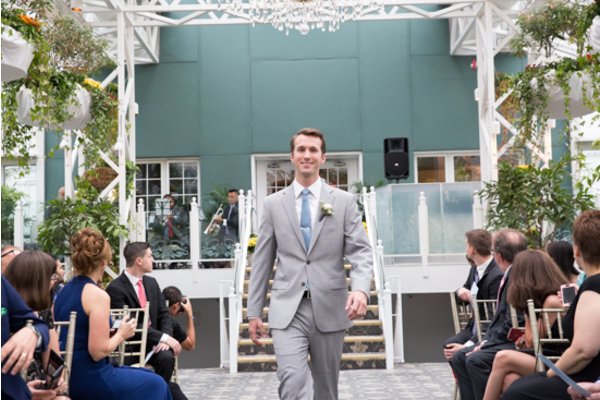 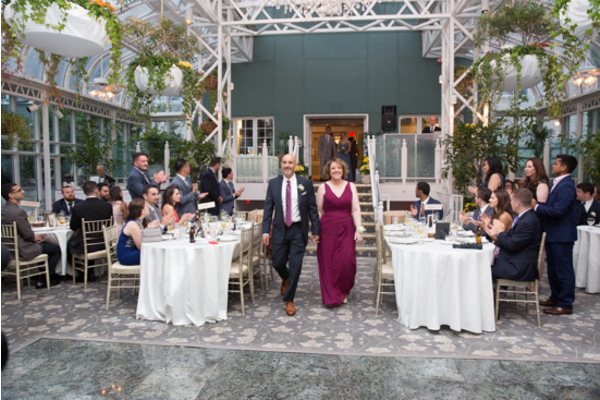 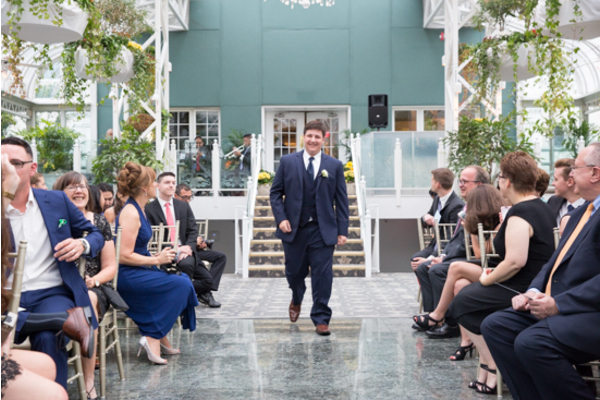 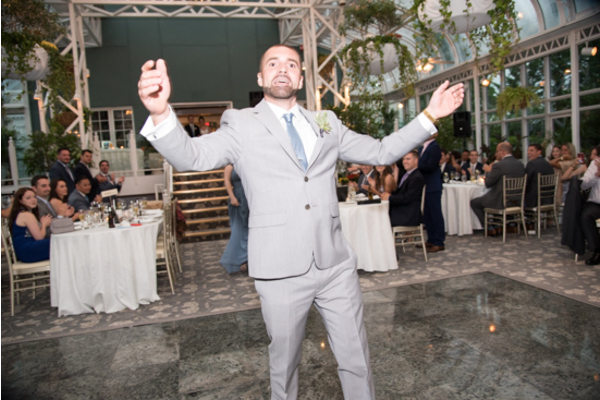 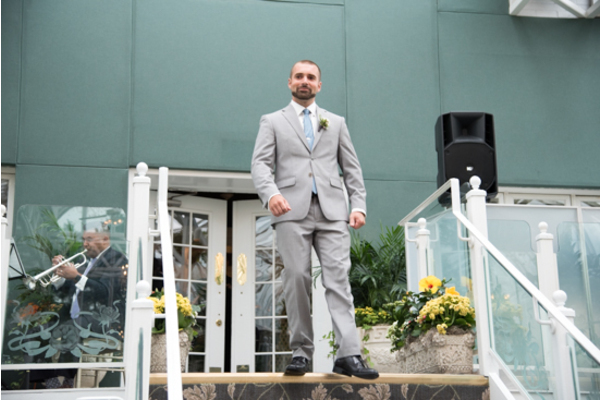 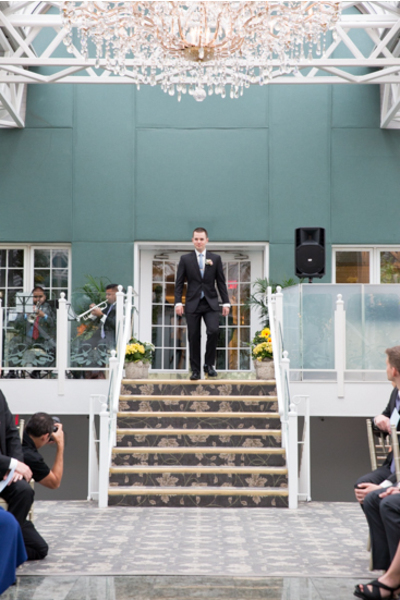 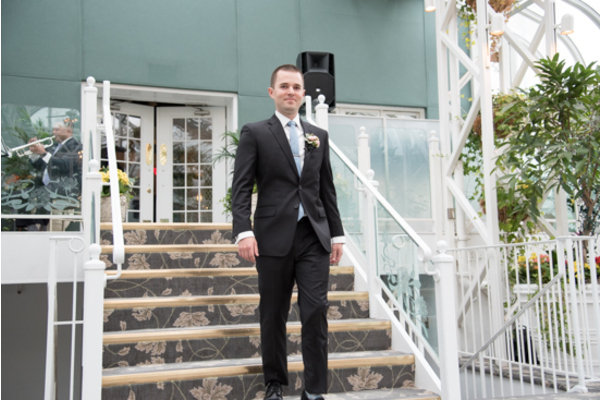 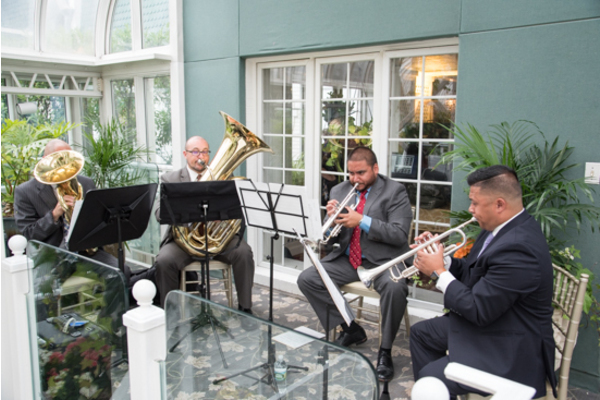 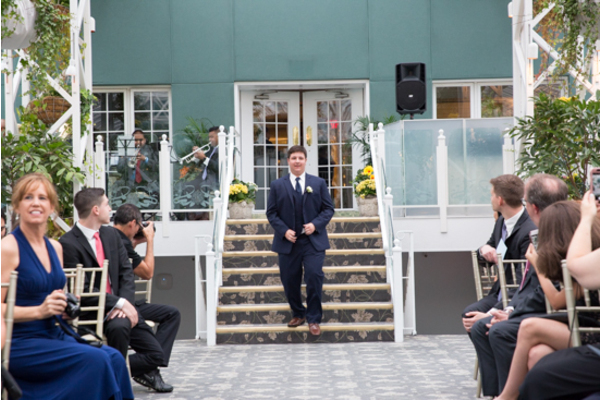 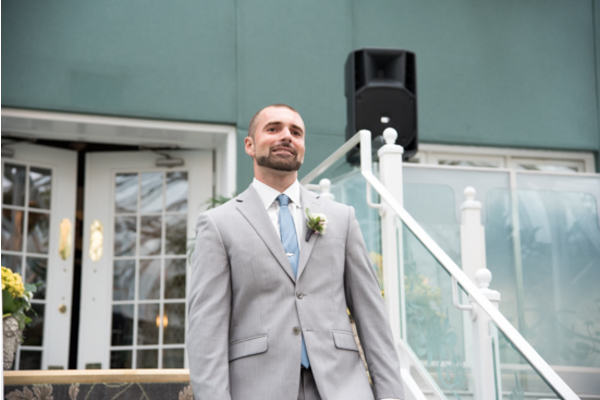 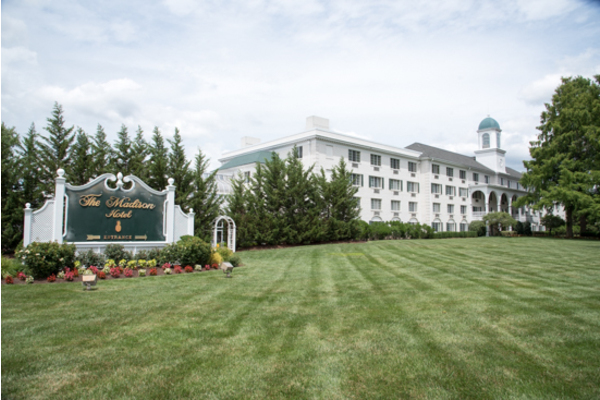 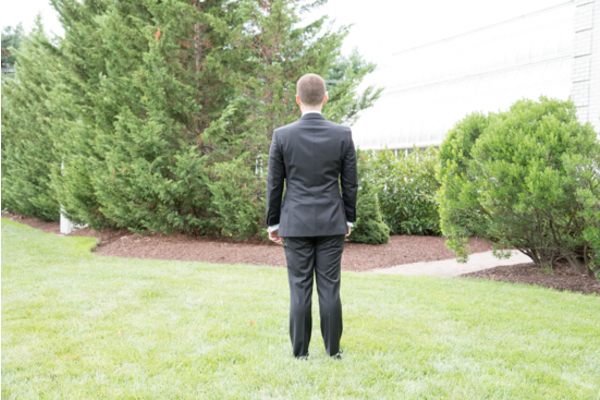 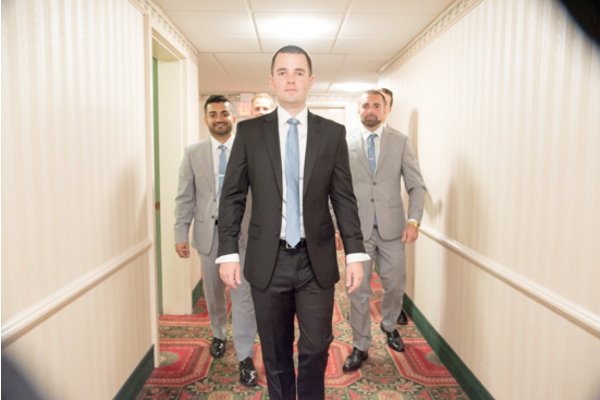 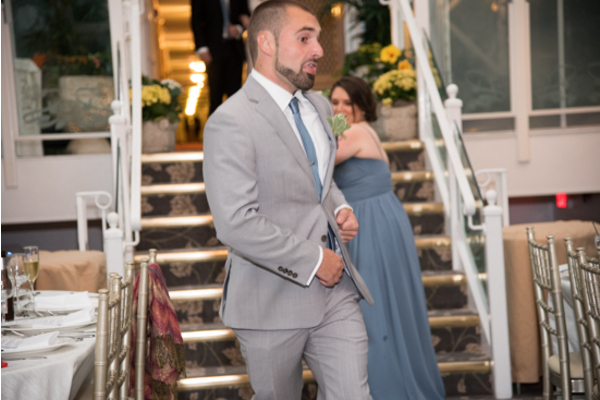 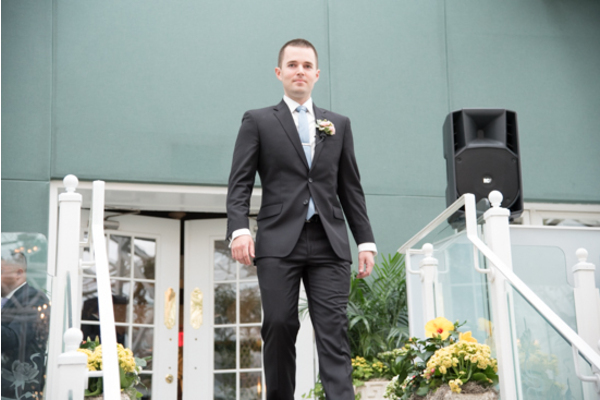 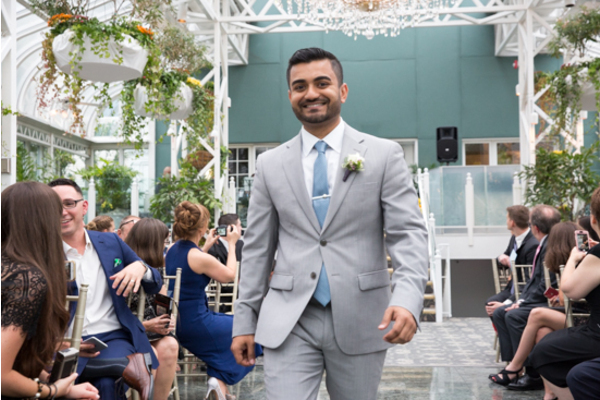 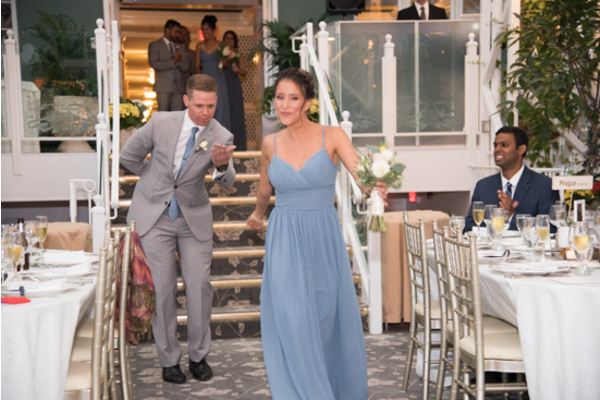 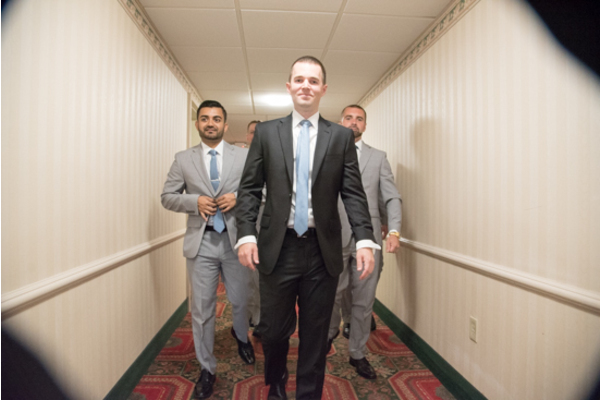 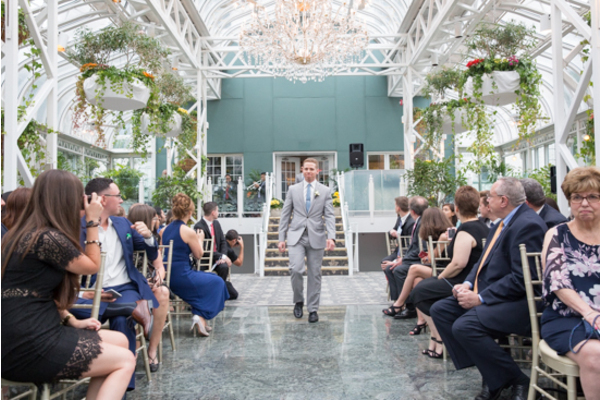 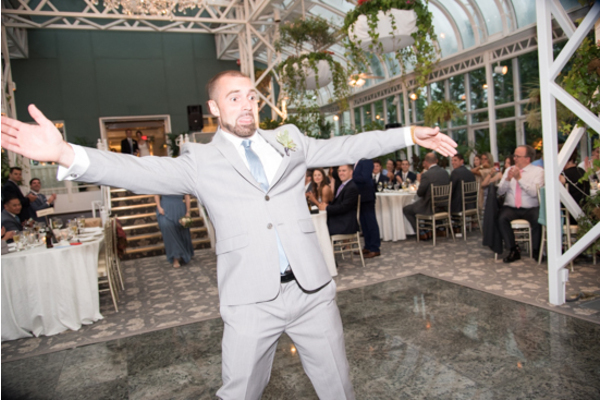 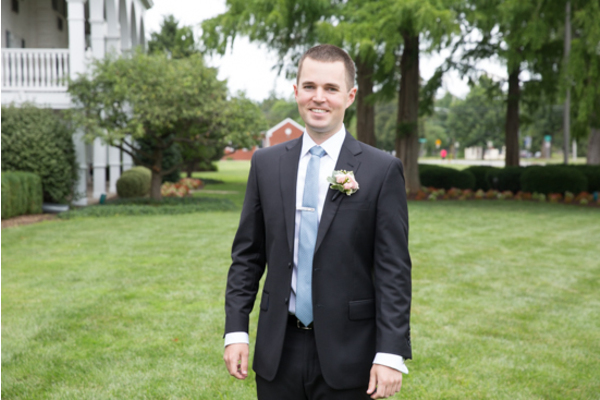 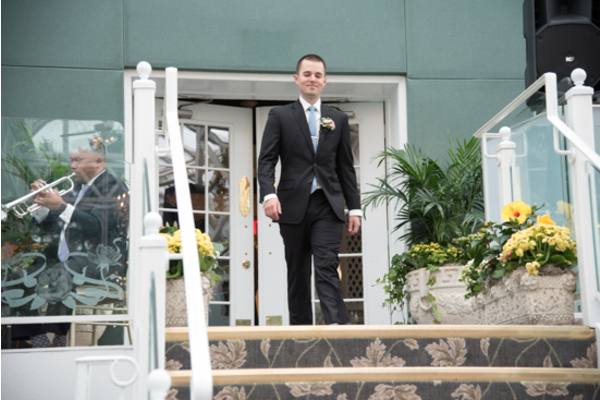 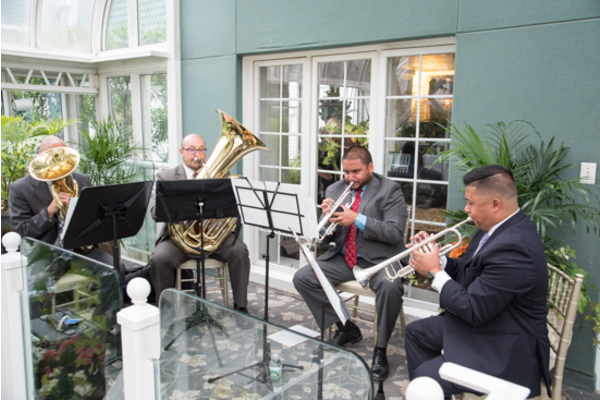 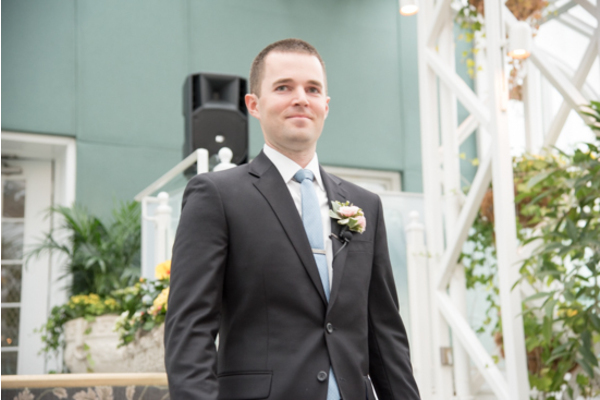 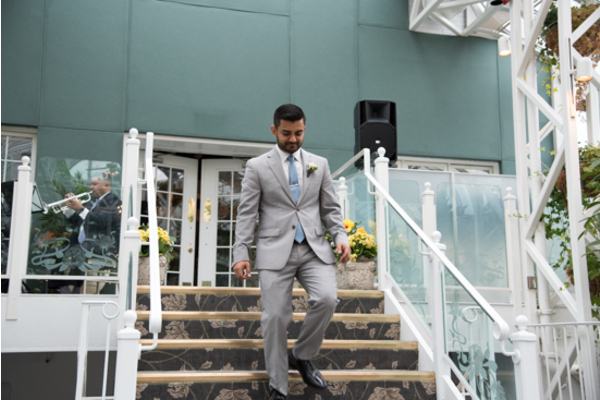 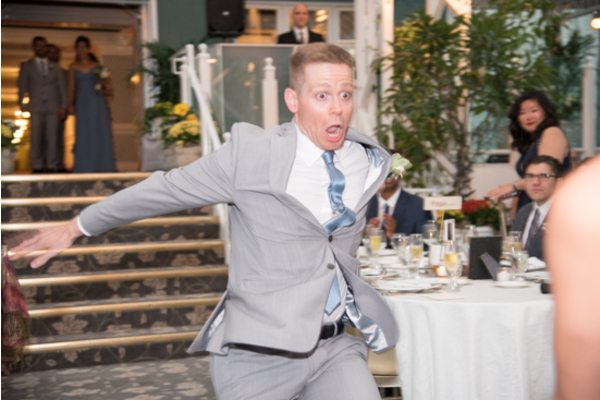 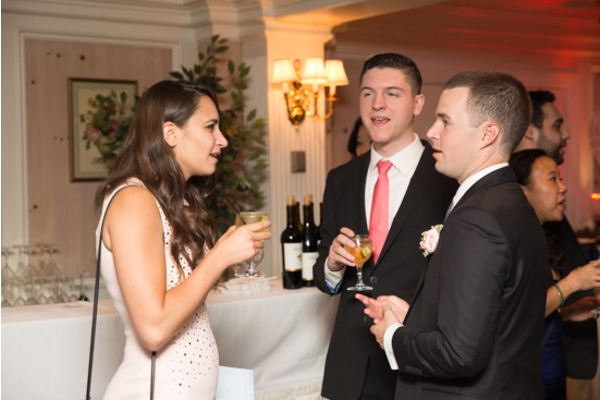 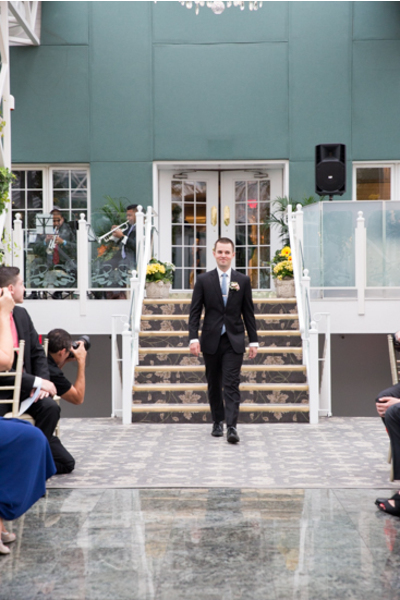 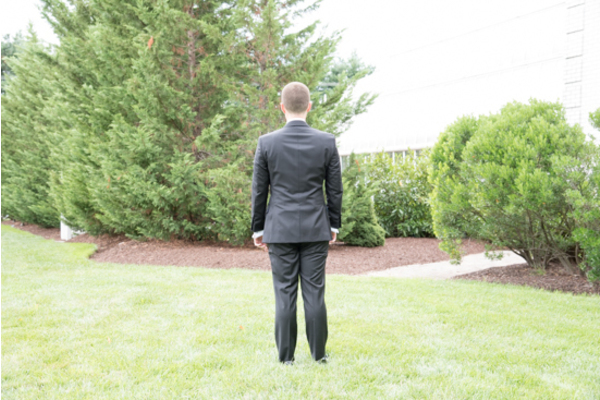 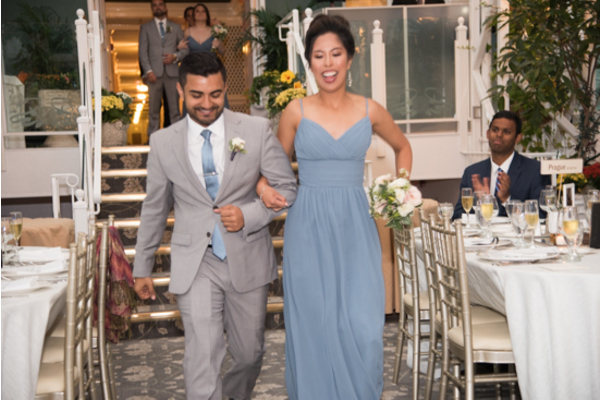 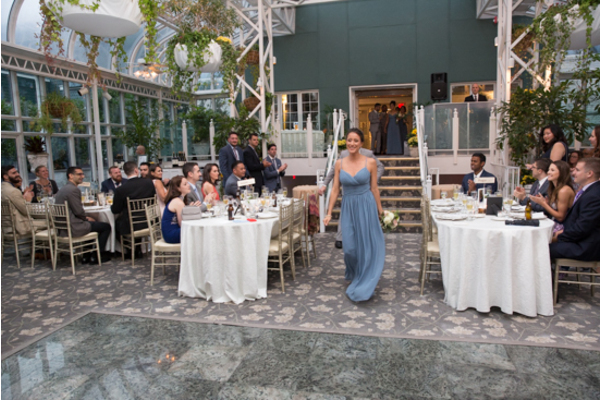 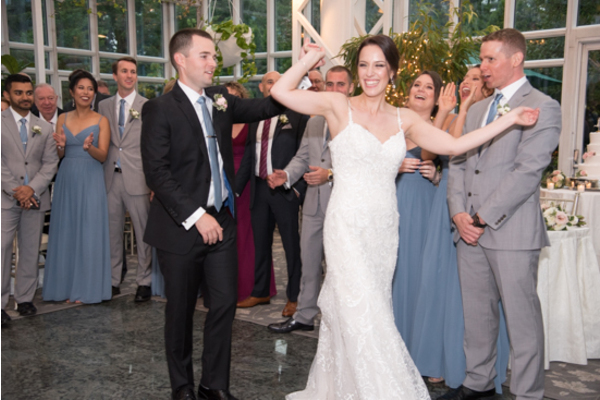 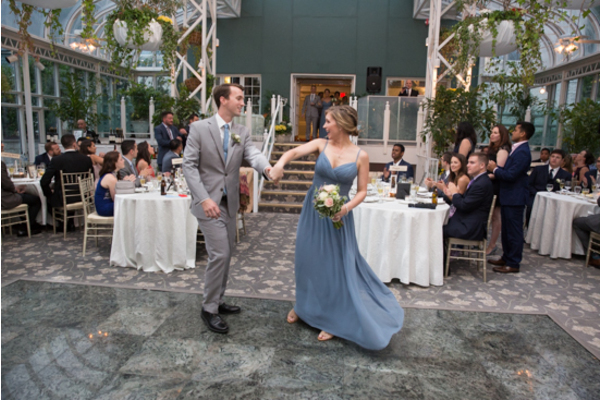 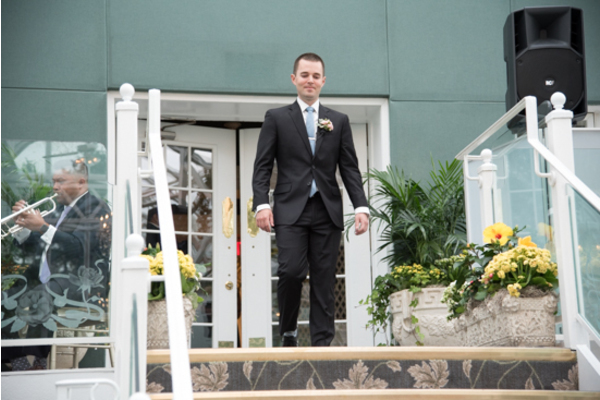 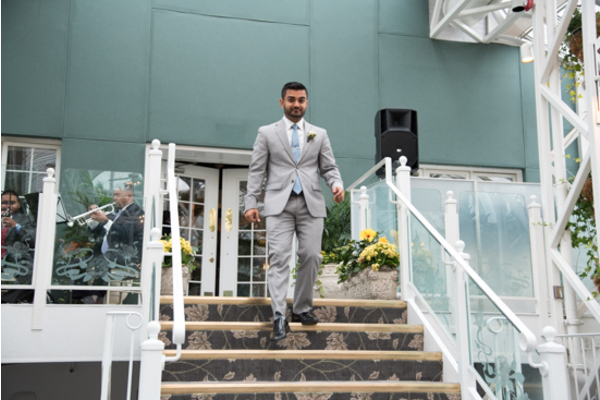 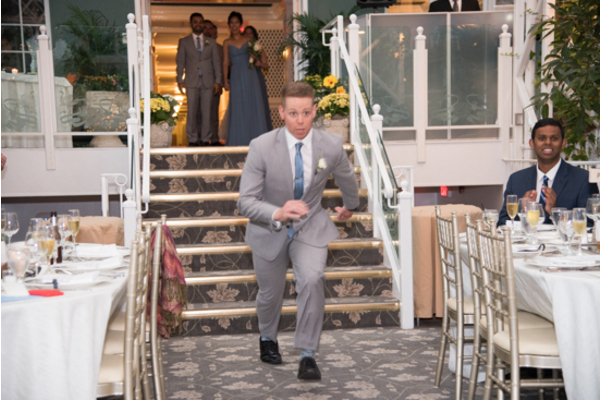 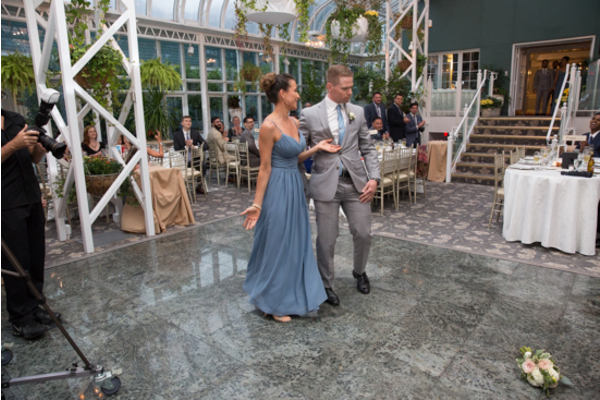 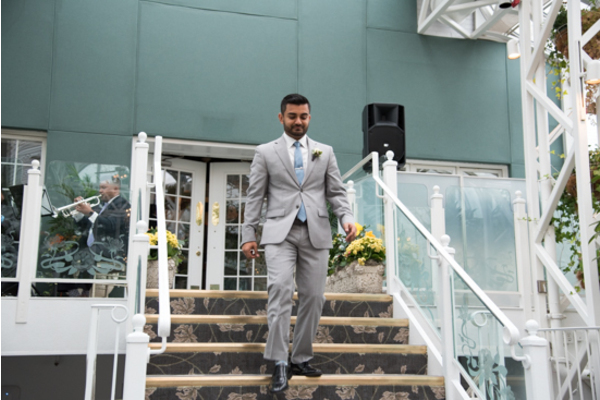 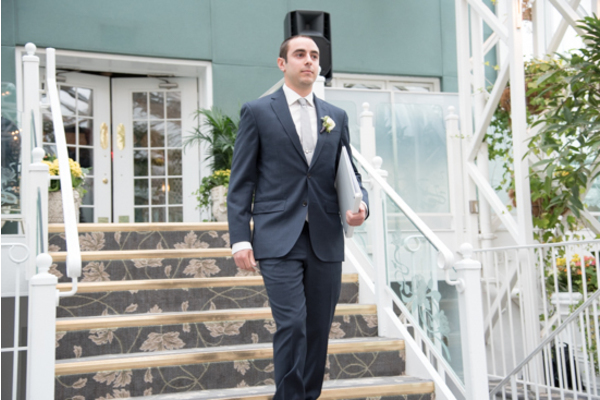 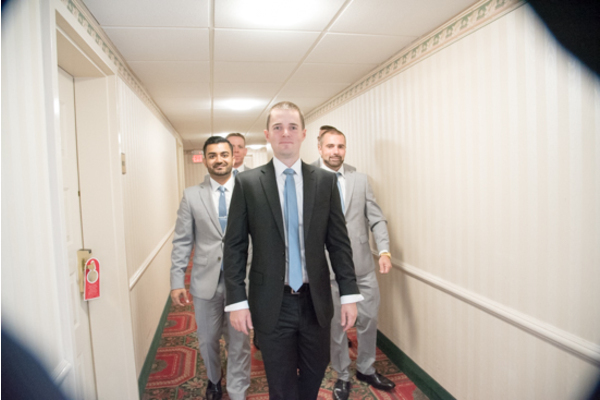 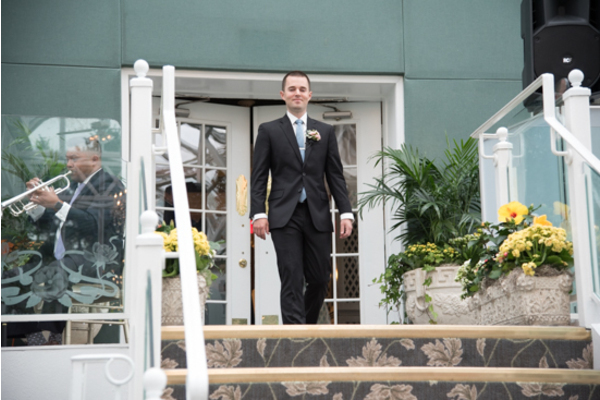 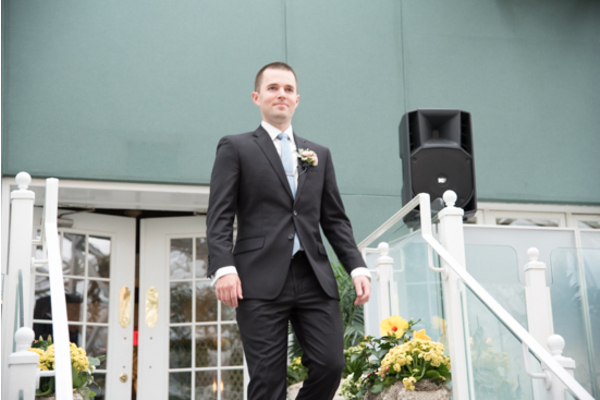 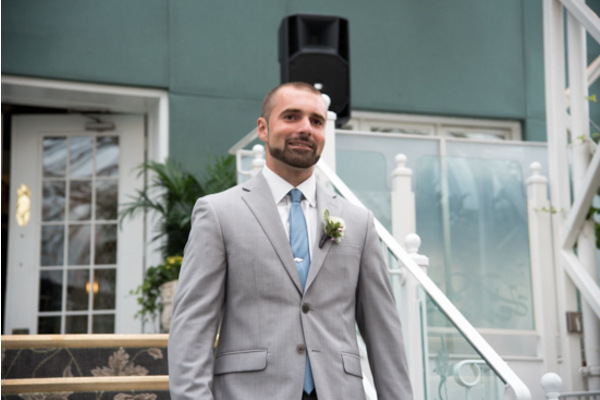 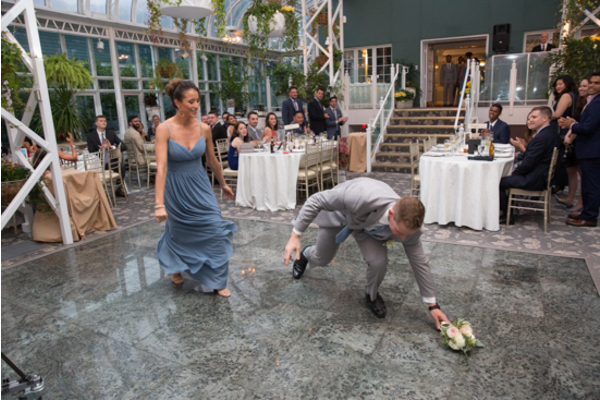 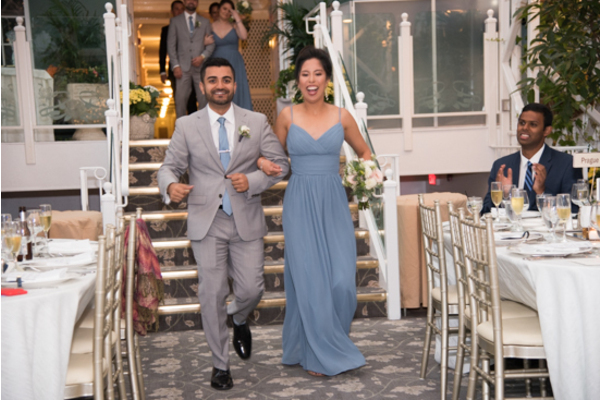 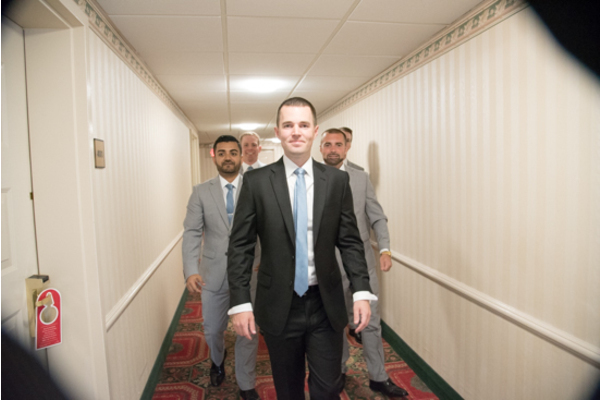 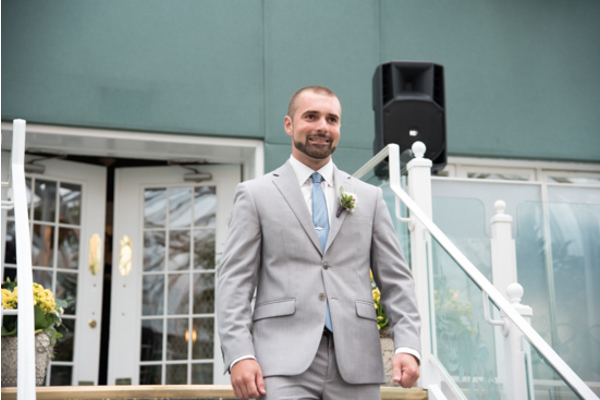 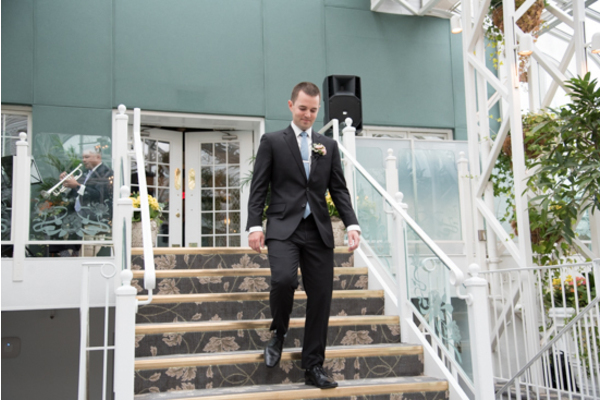 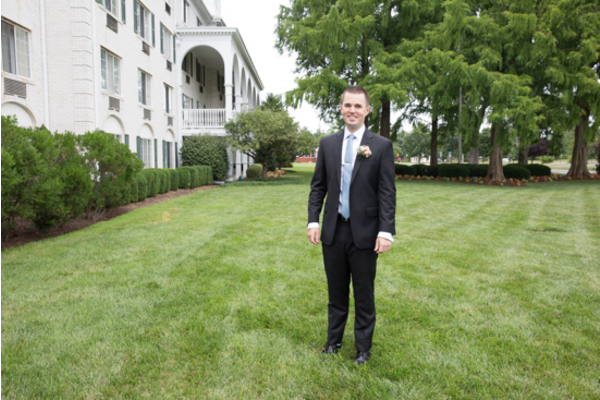 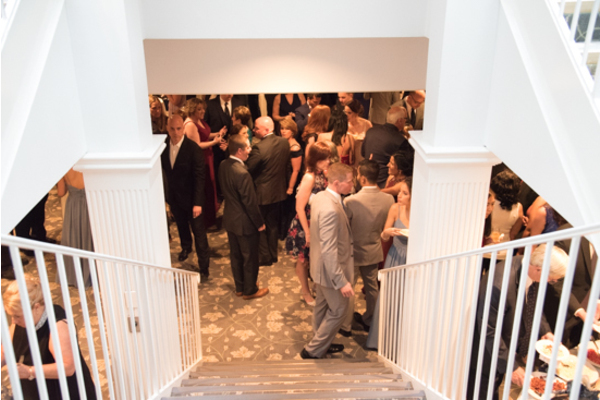 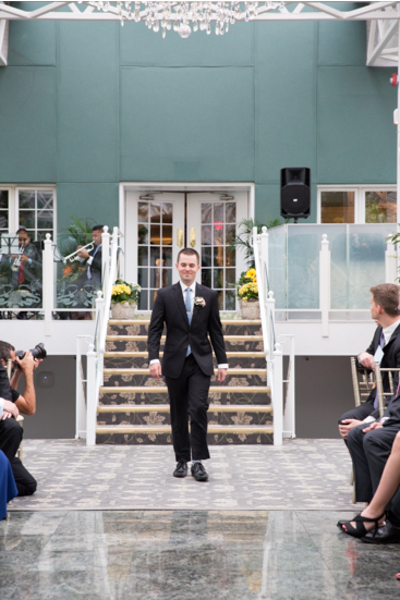 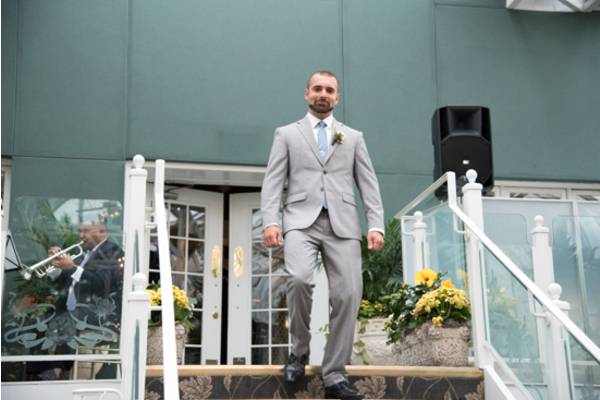 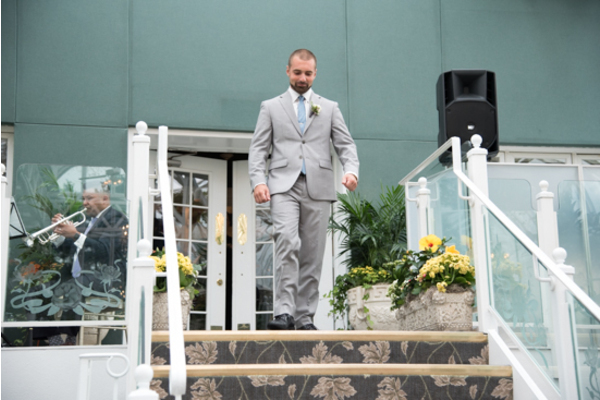 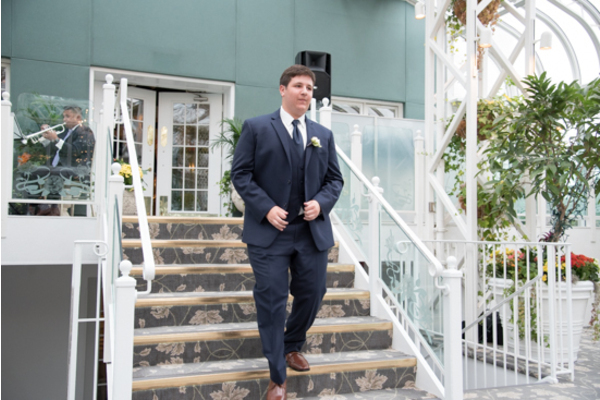 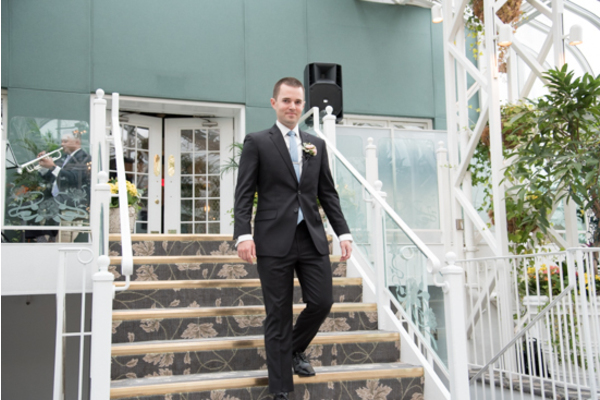 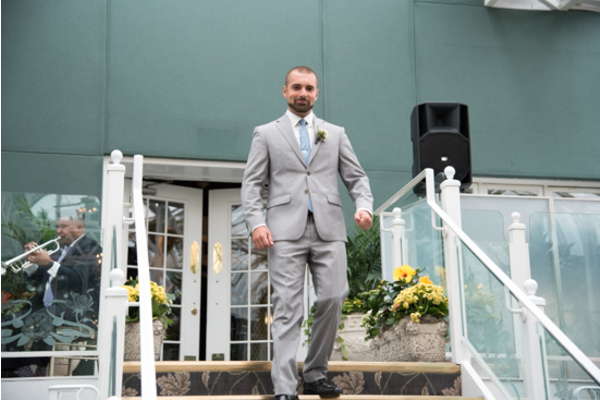 Our NJ Wedding DJ made sure to give the newly weds the perfect entrance with the song of their choice. 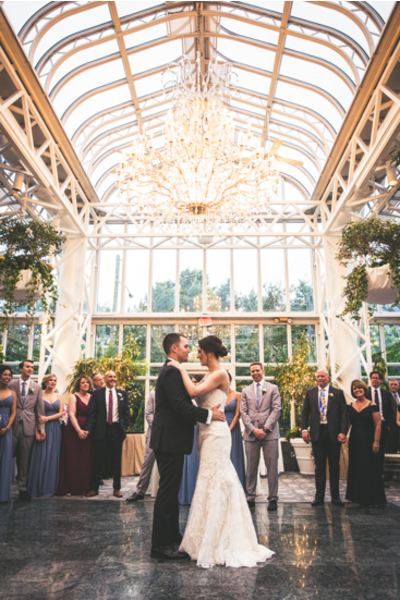 From their first dance to their last, every moment was truly unforgettable. 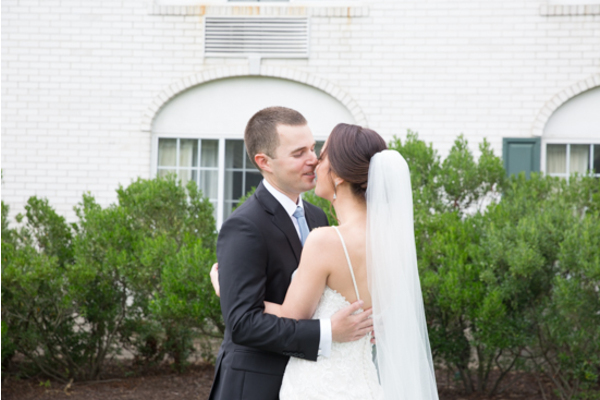 Congratulations, again, to these two soul mates! 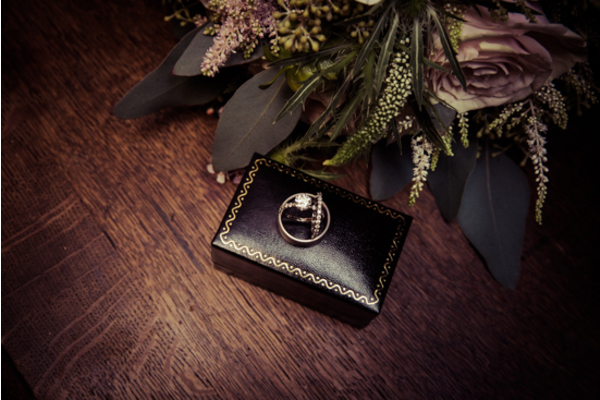 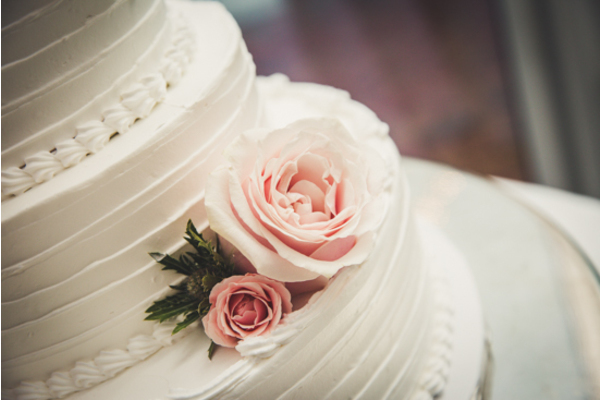 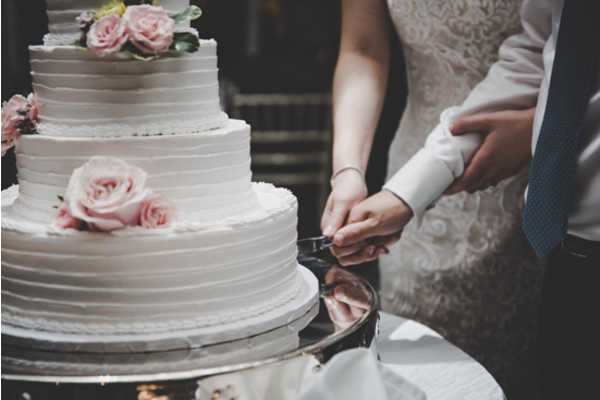 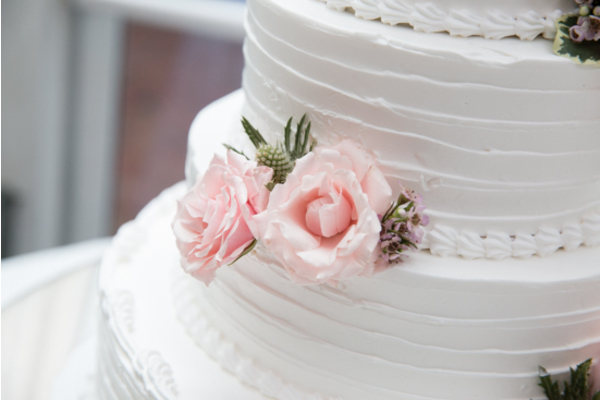 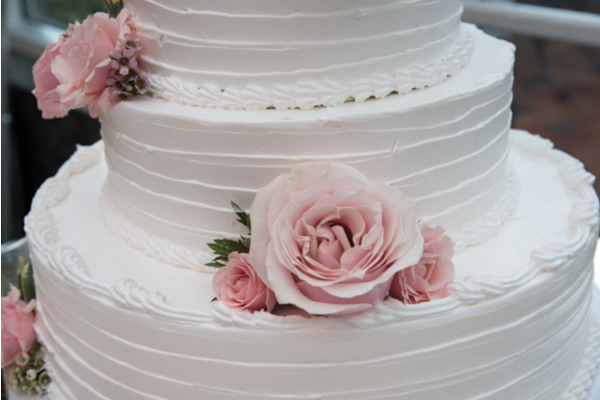 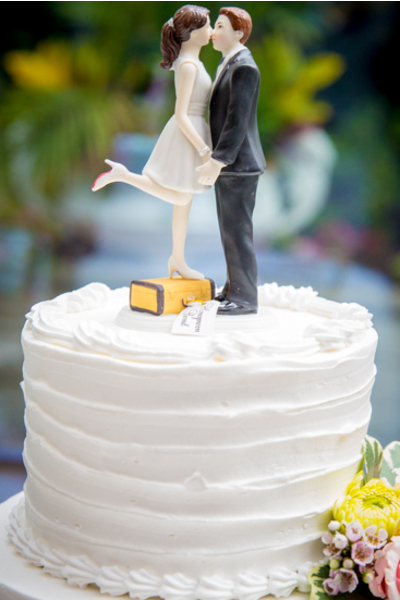 We wish you lots of happiness, laughter, and always love in your new life together!